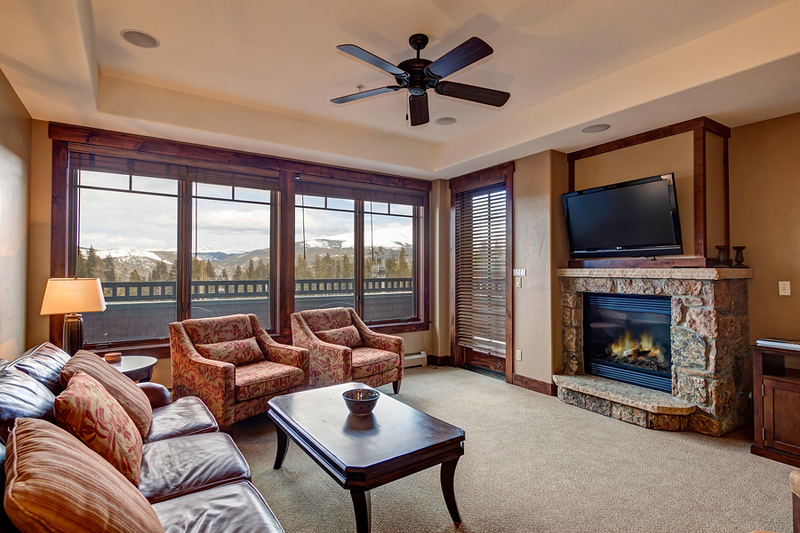 Welcome to the Towers at Lakepoint 704, where you’ll enjoy the most incredible views Frisco has to offer. 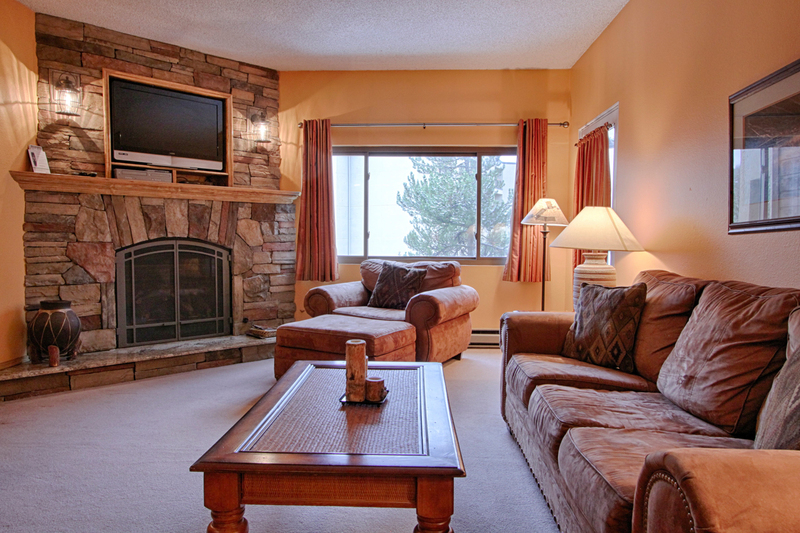 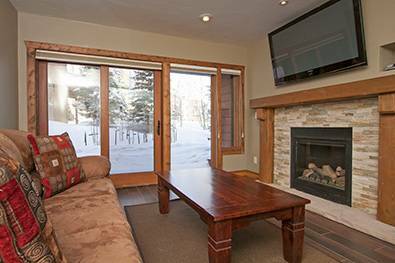 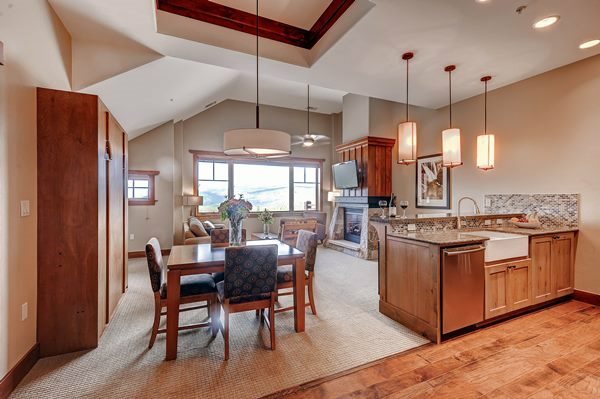 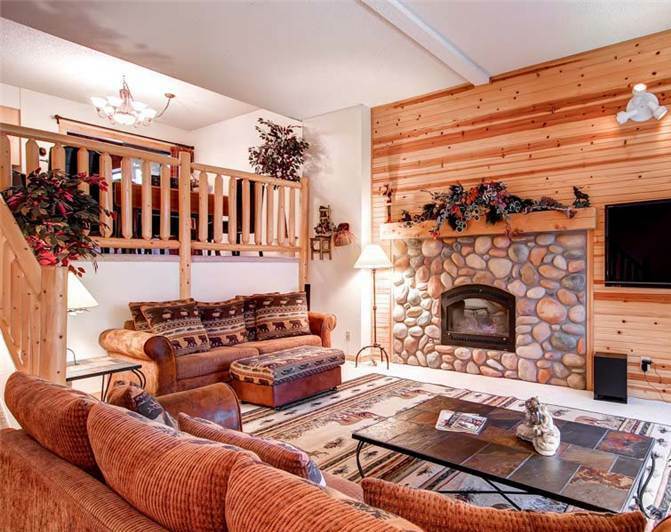 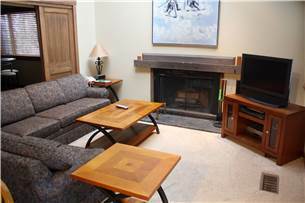 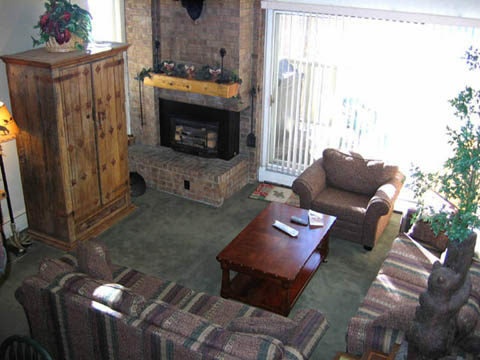 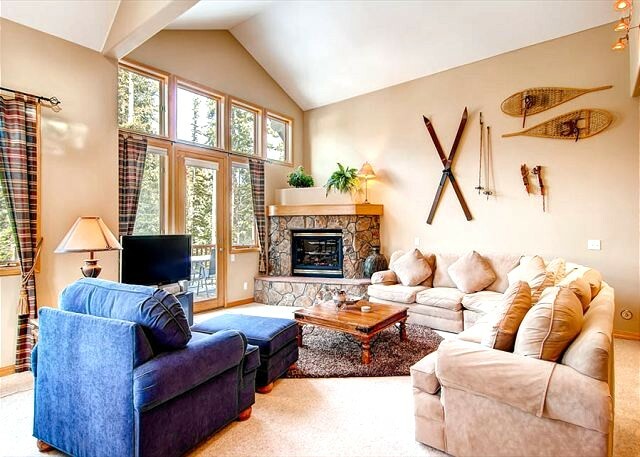 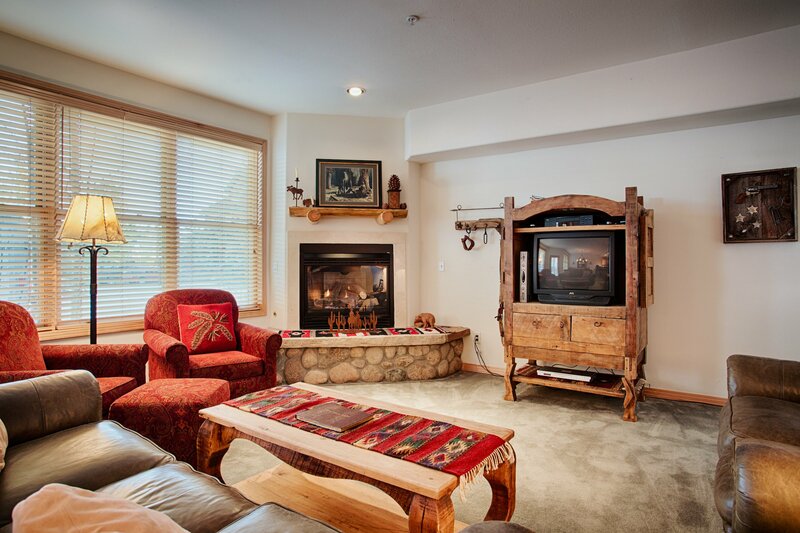 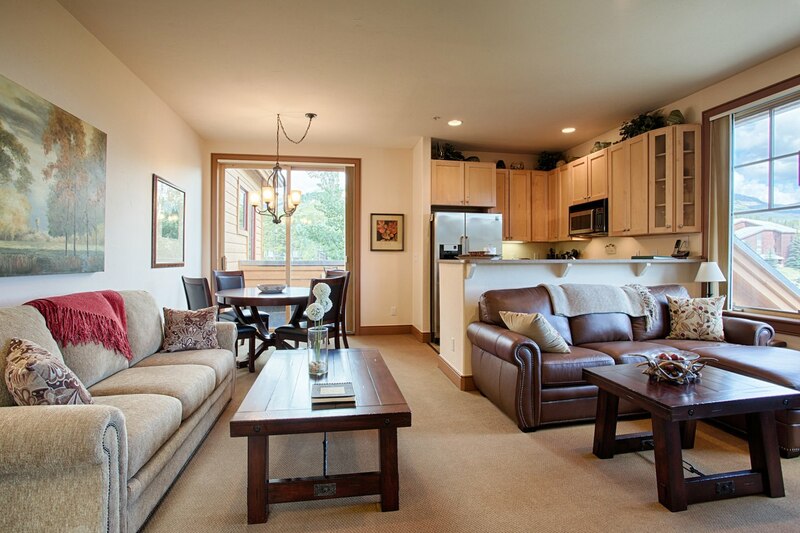 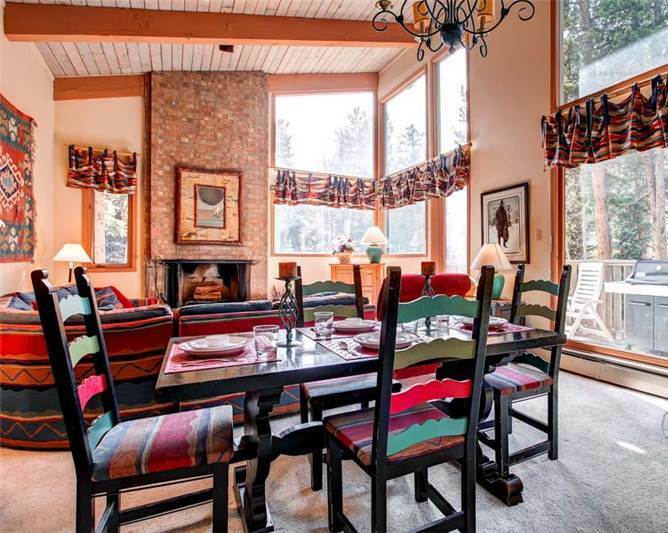 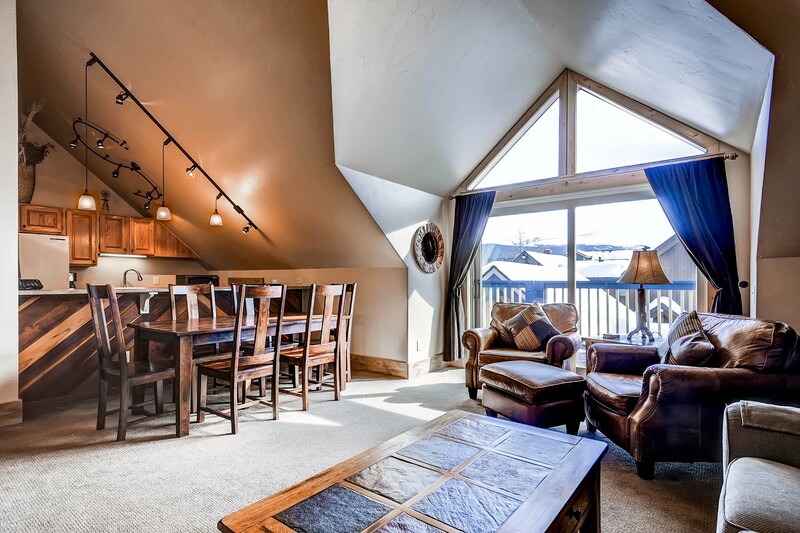 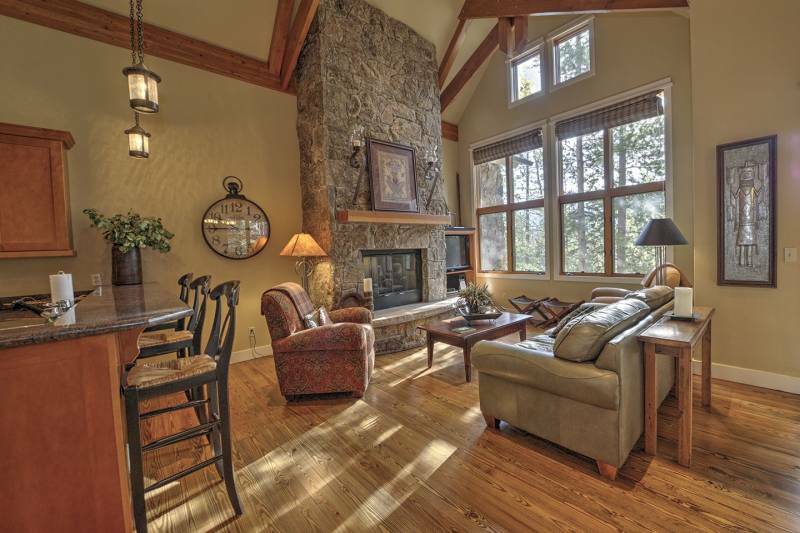 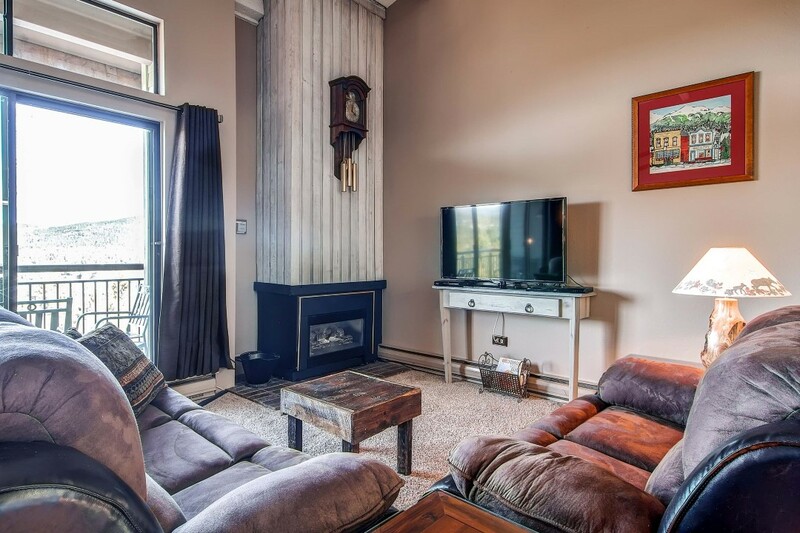 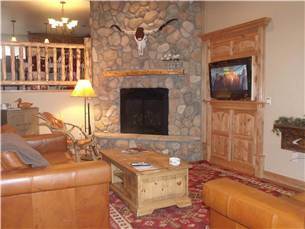 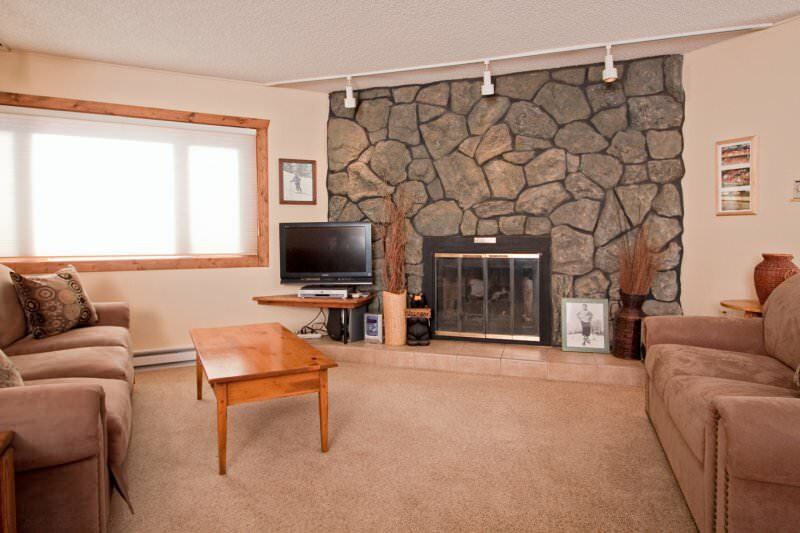 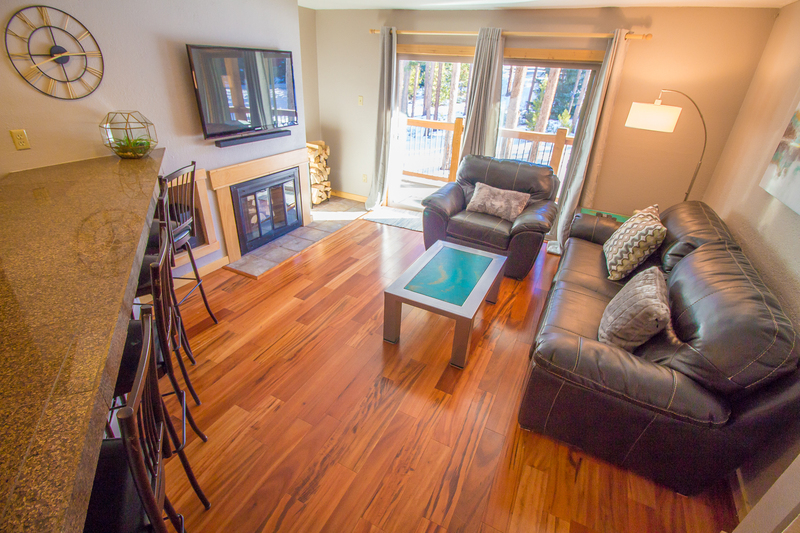 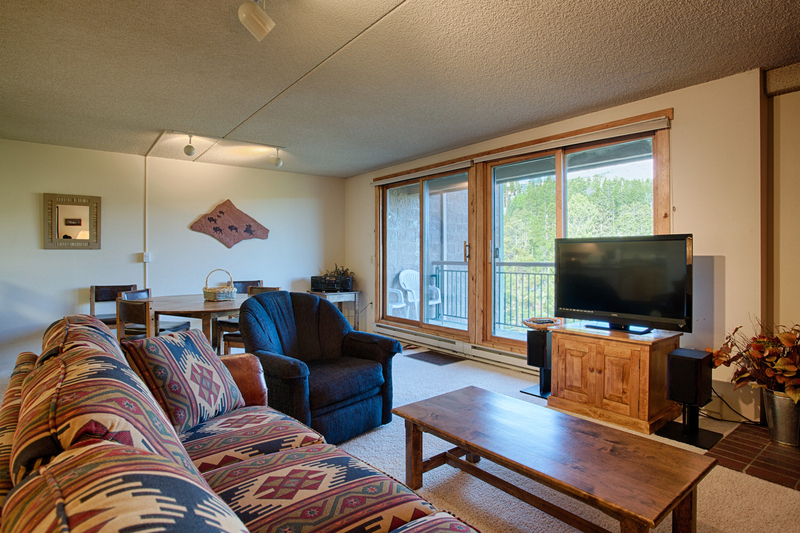 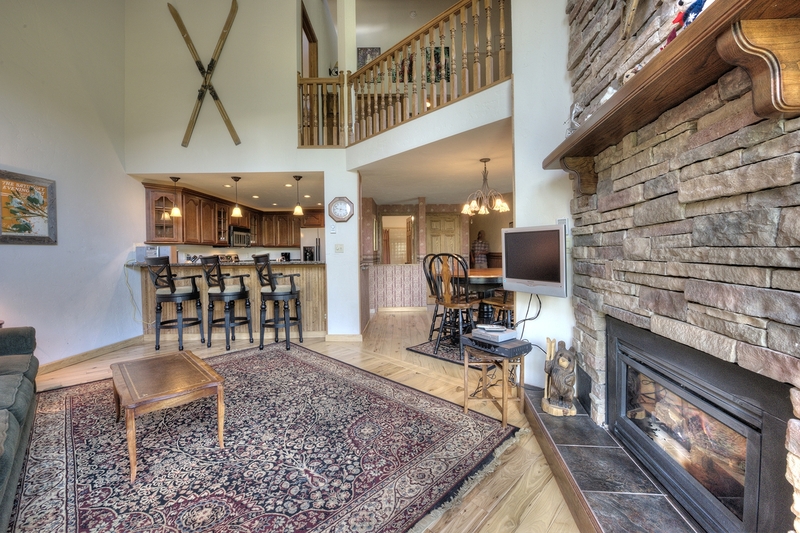 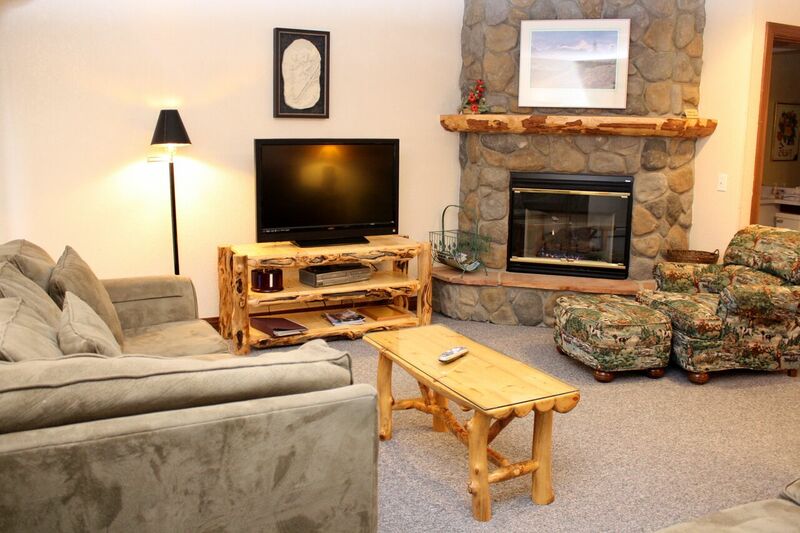 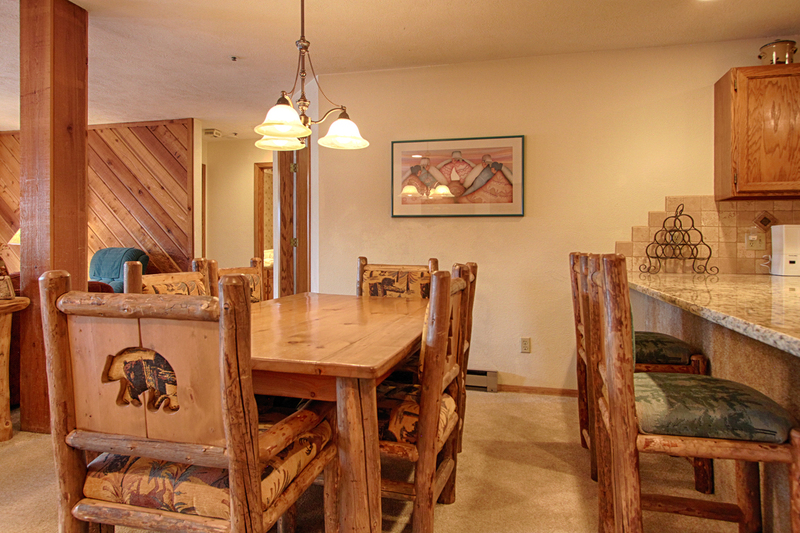 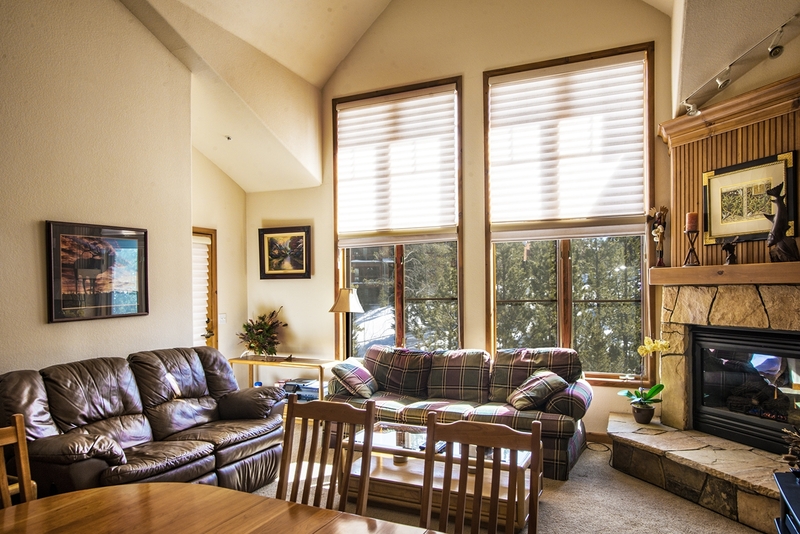 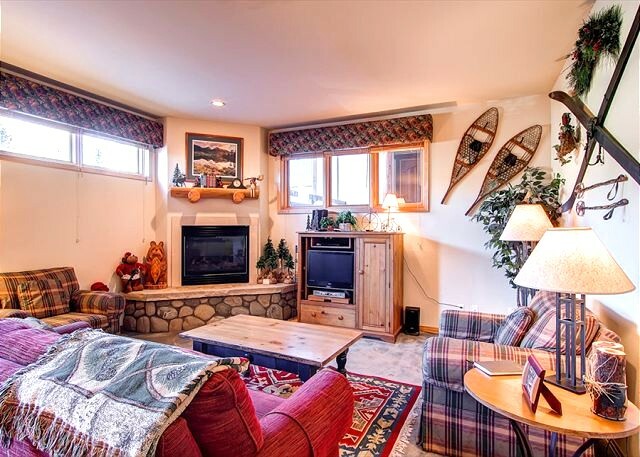 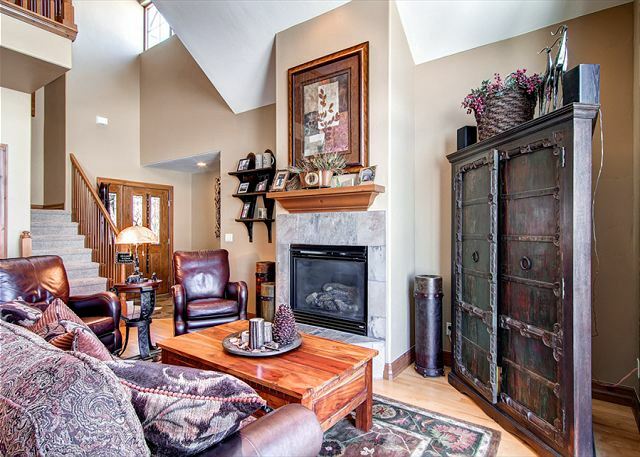 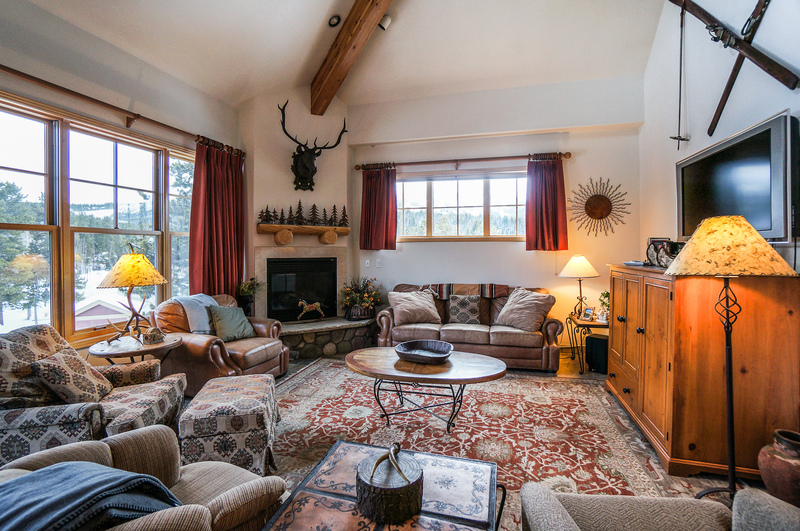 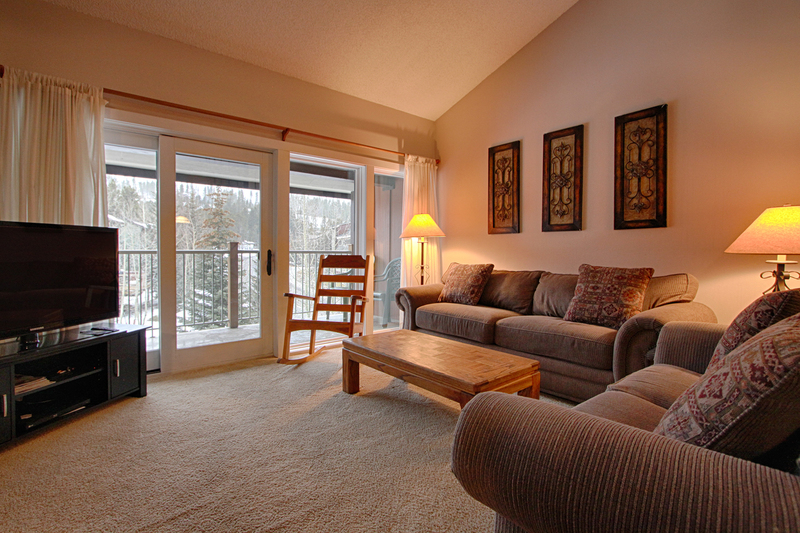 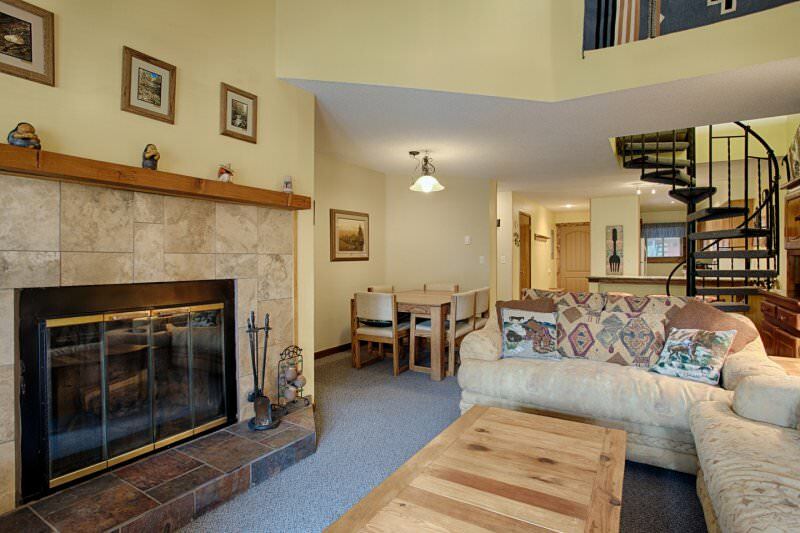 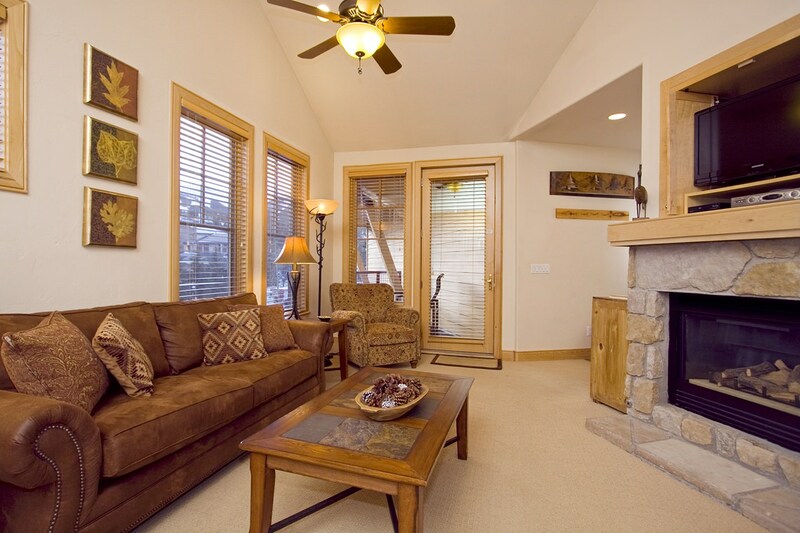 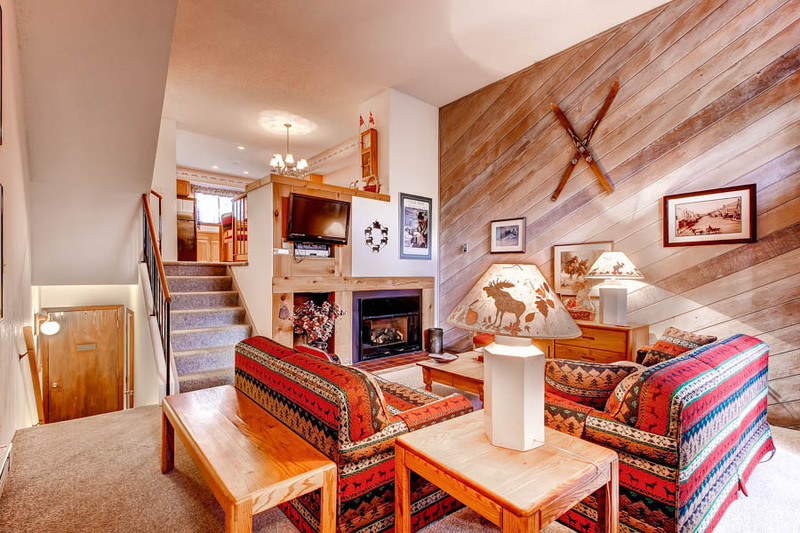 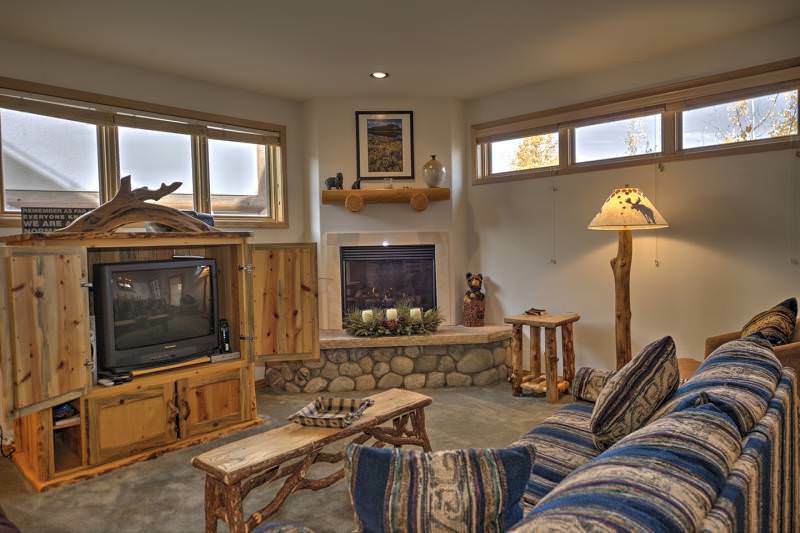 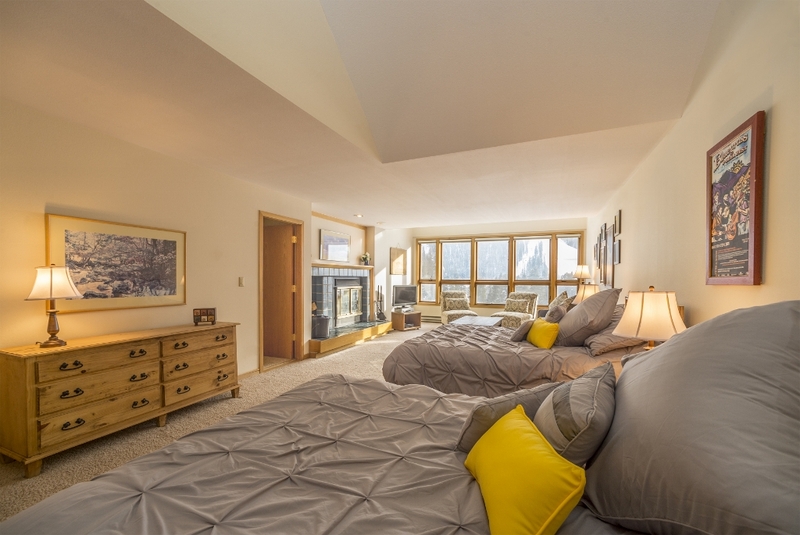 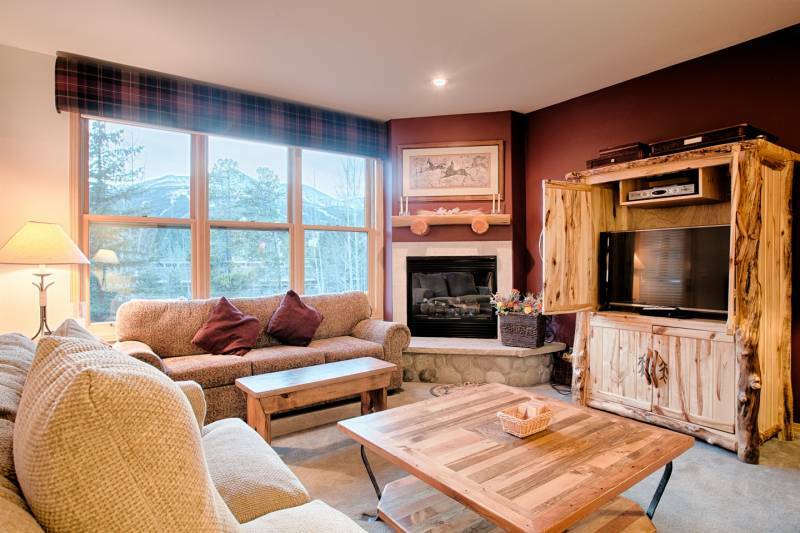 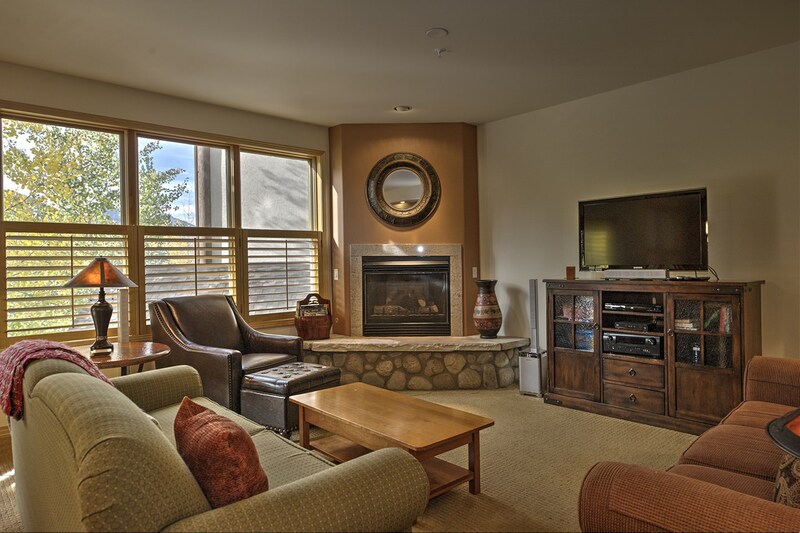 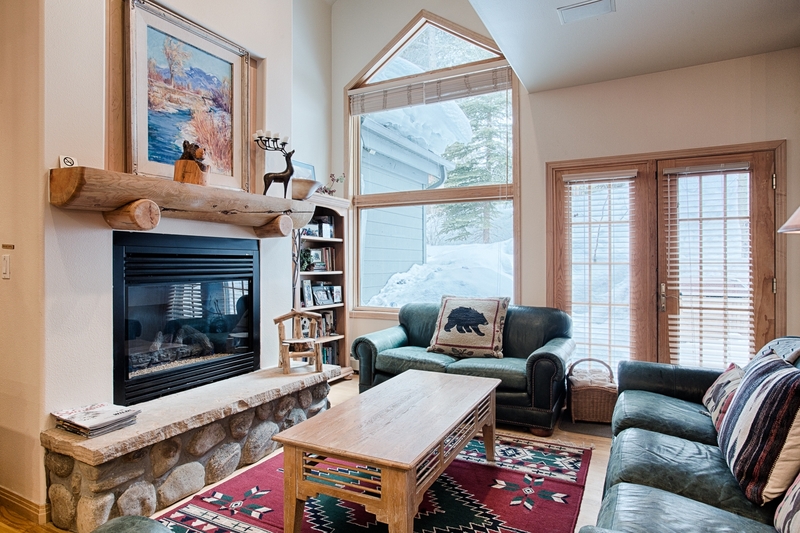 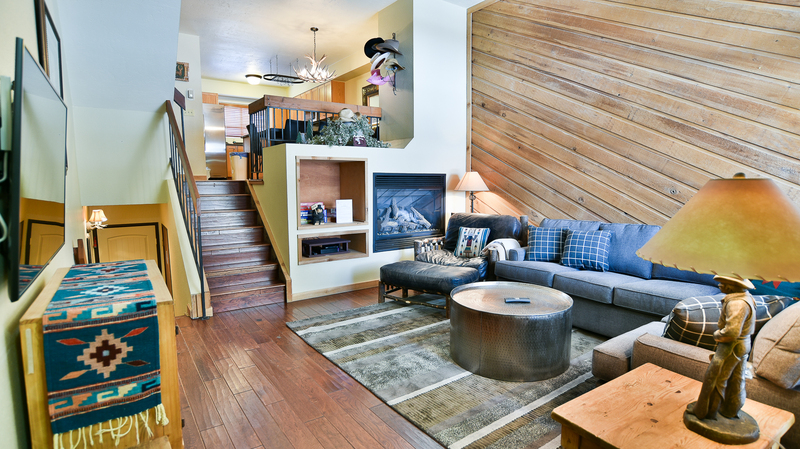 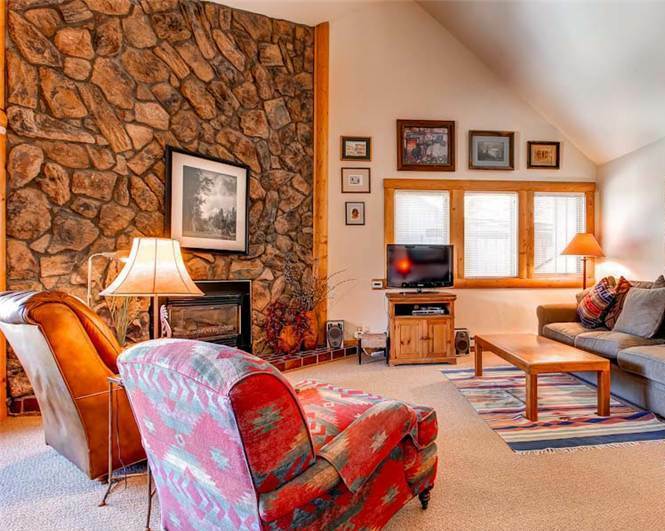 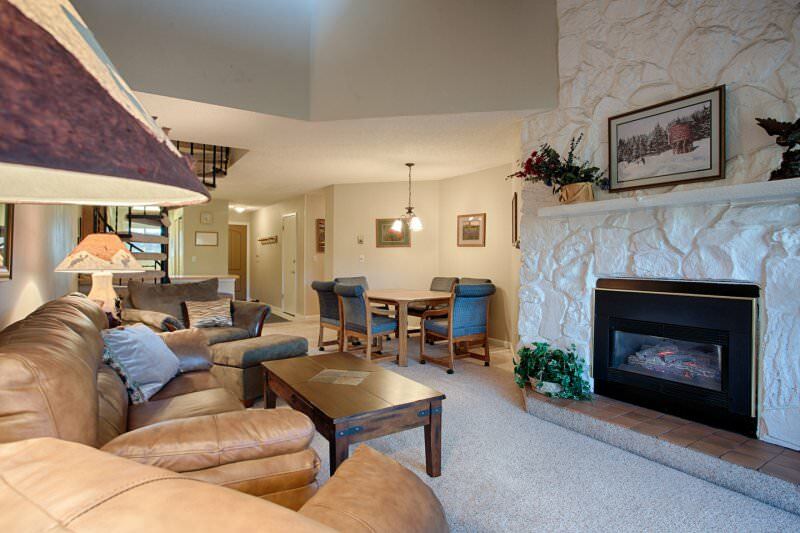 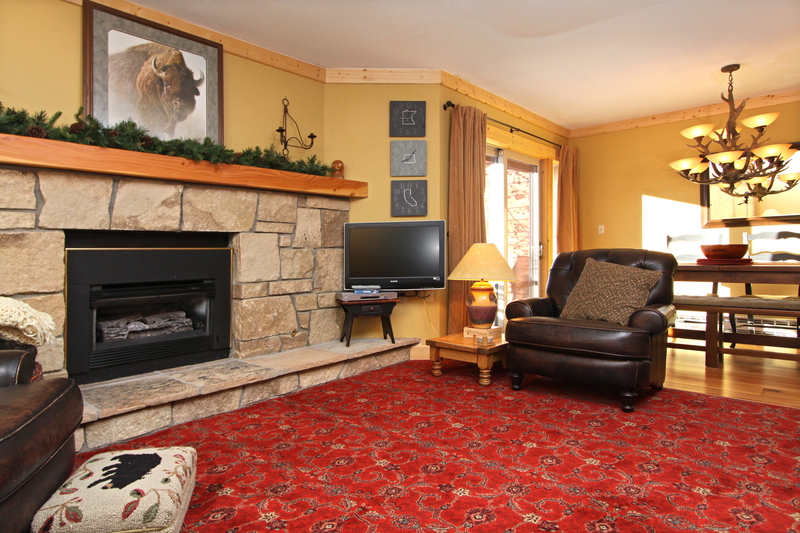 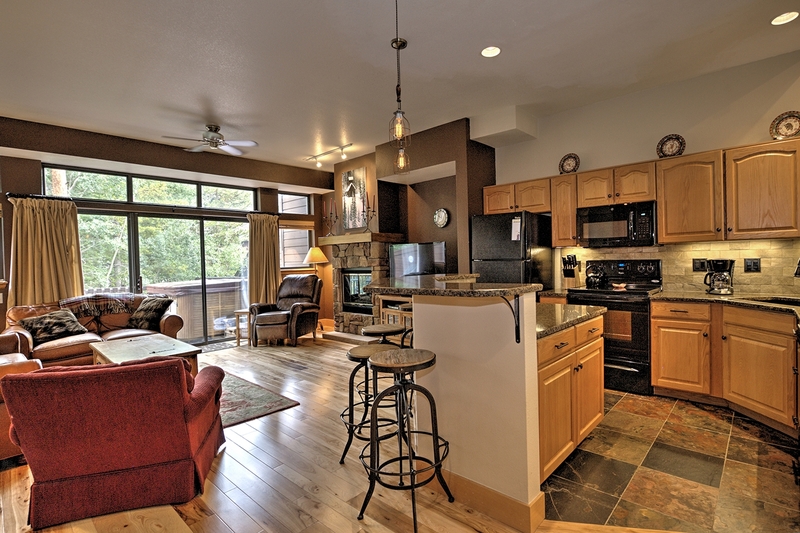 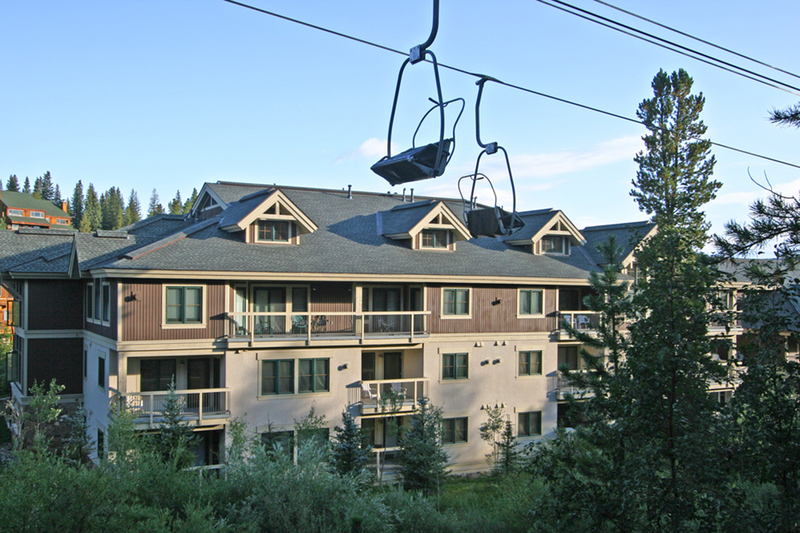 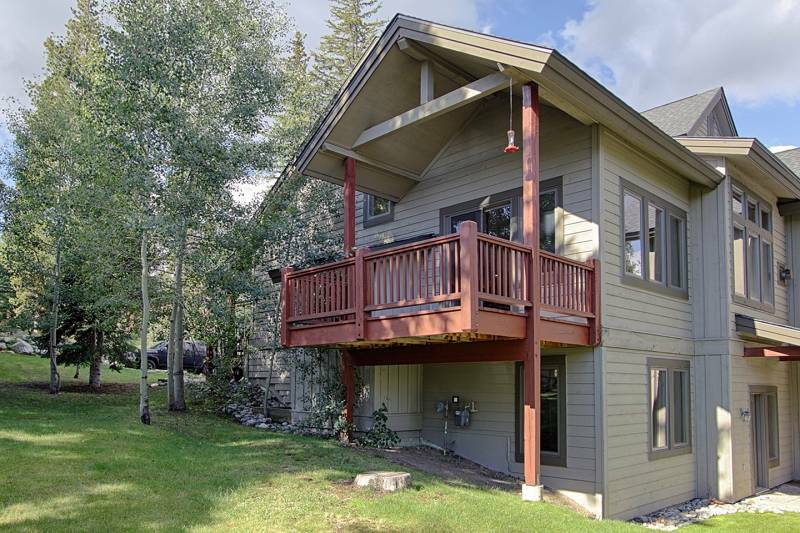 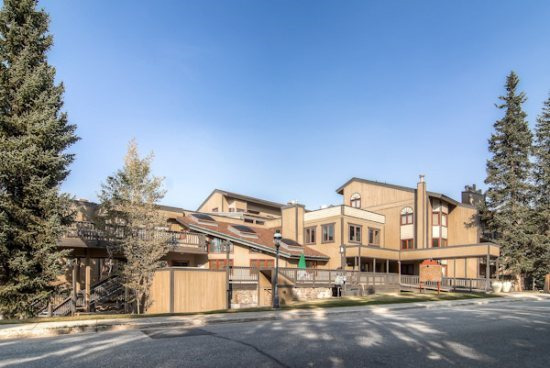 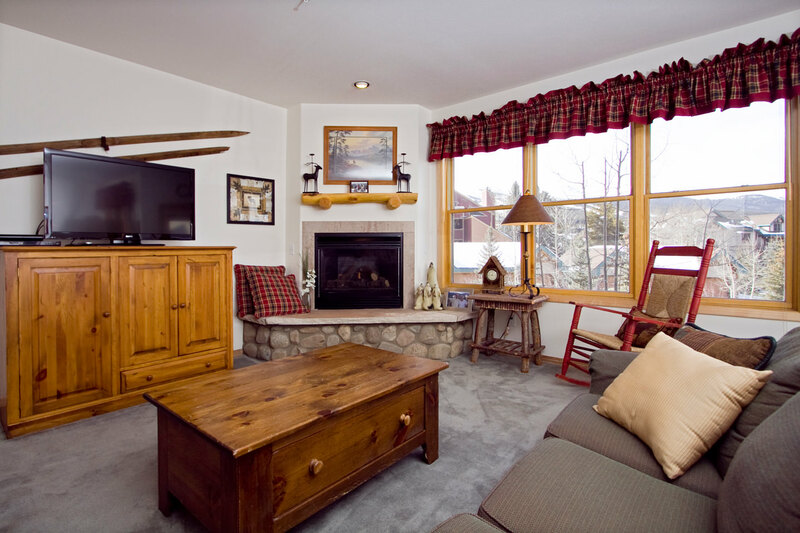 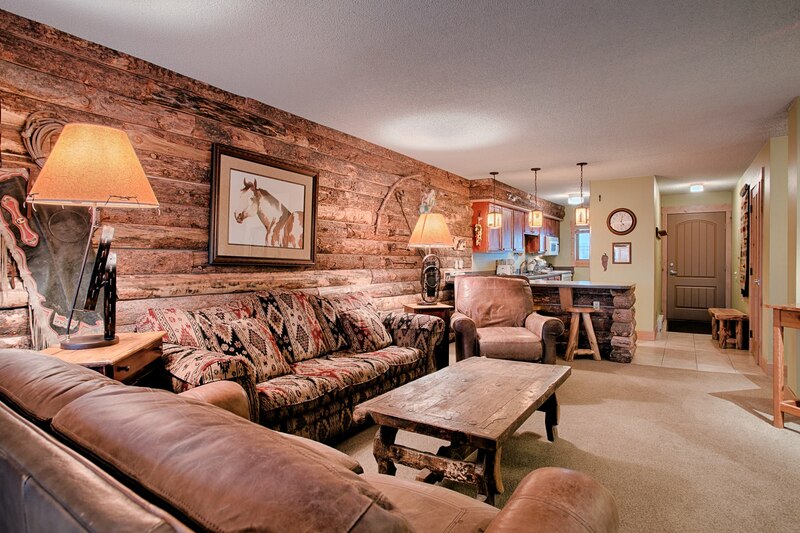 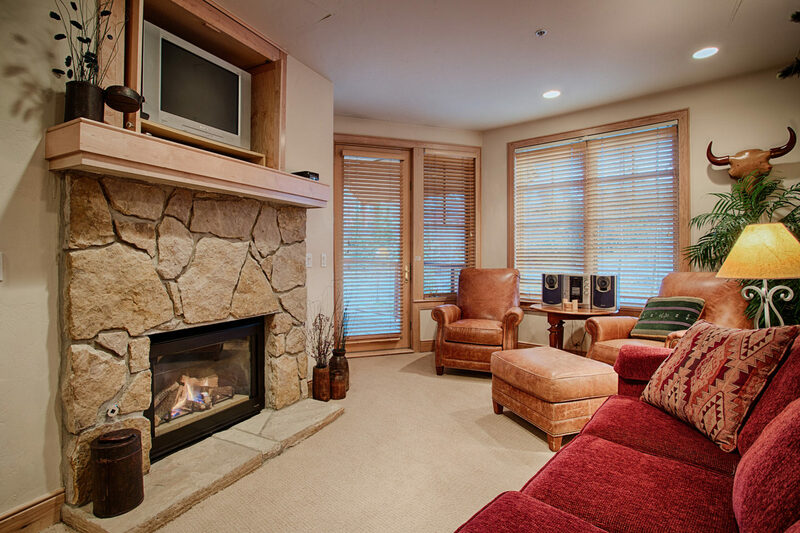 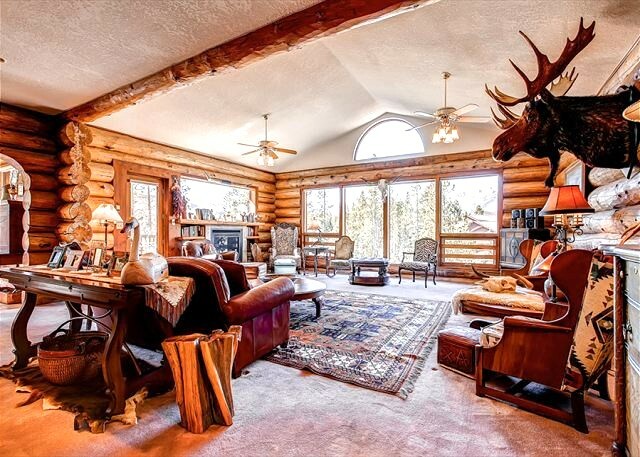 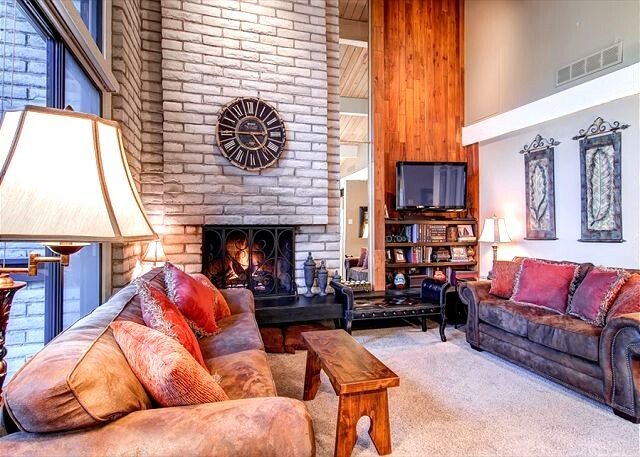 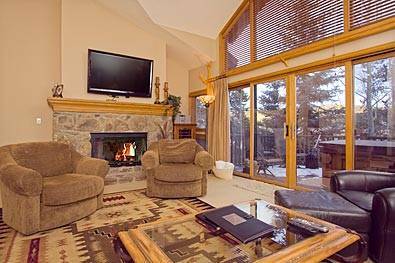 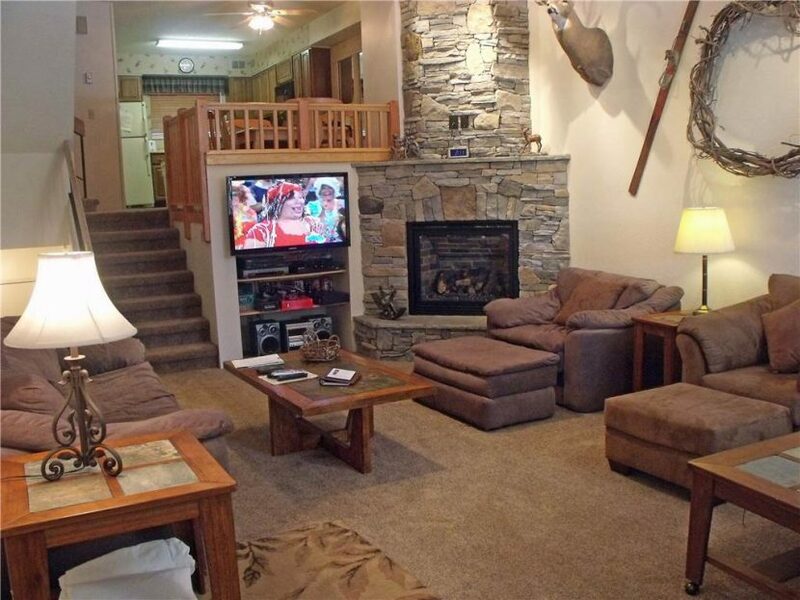 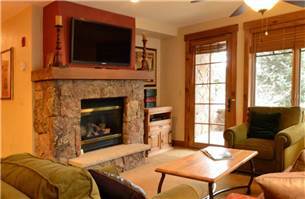 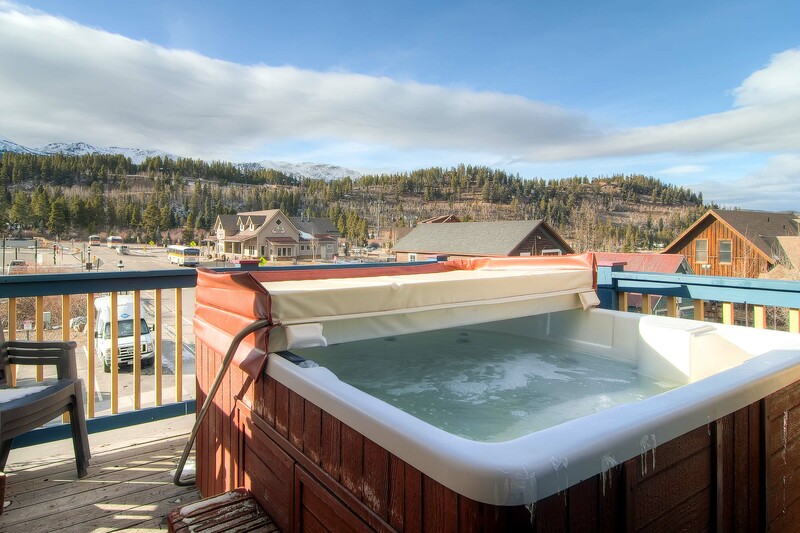 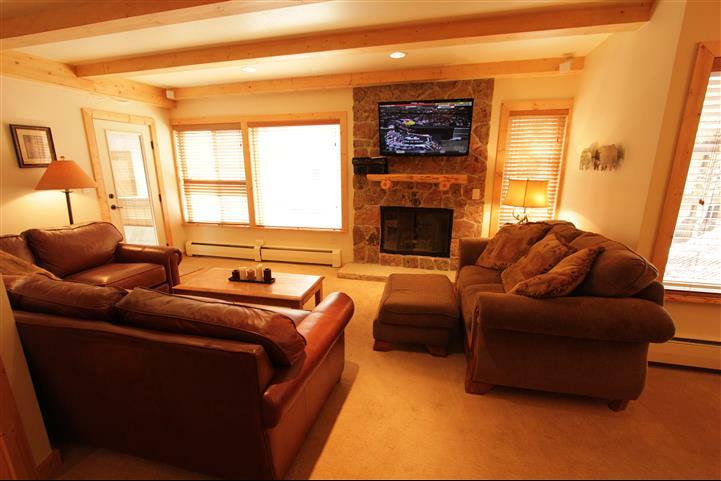 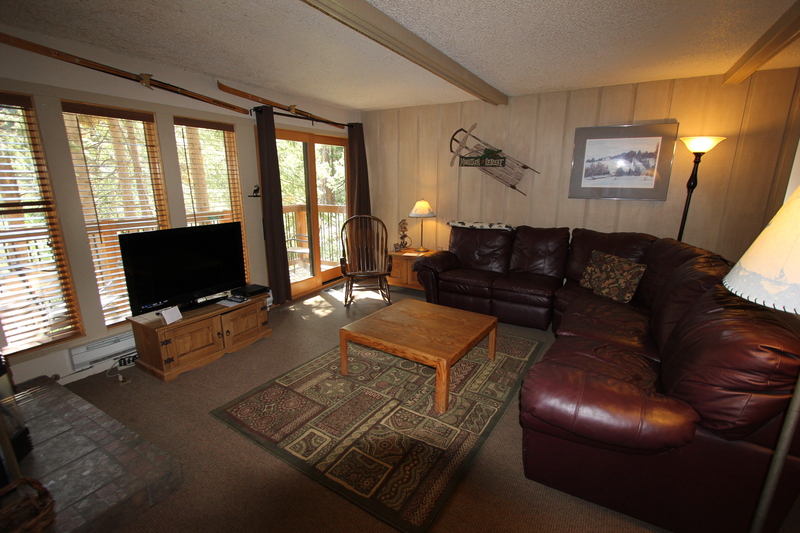 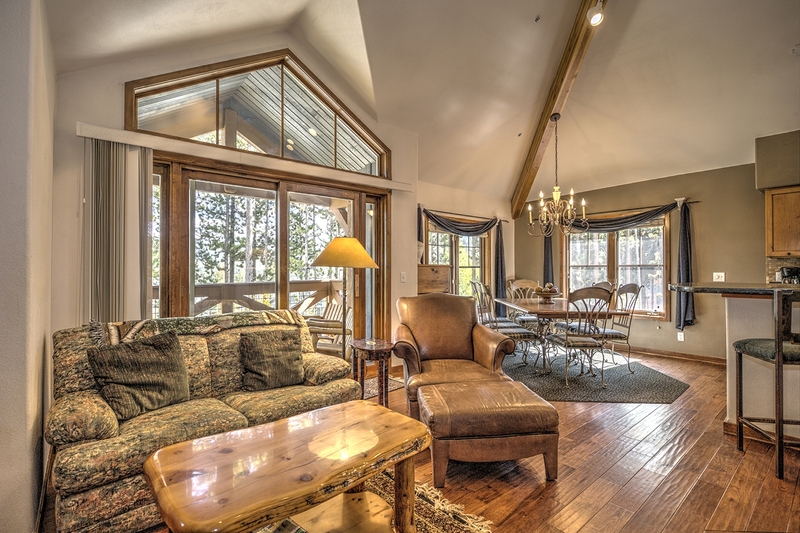 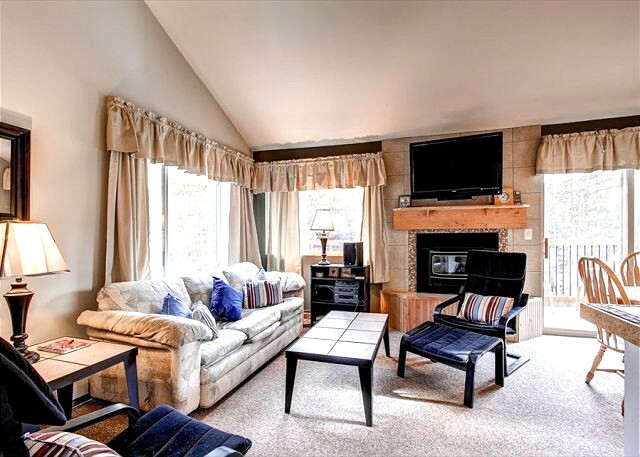 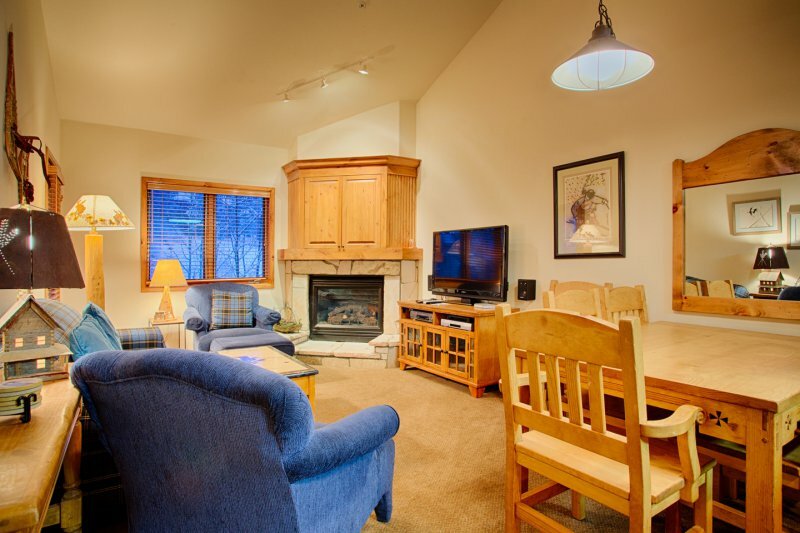 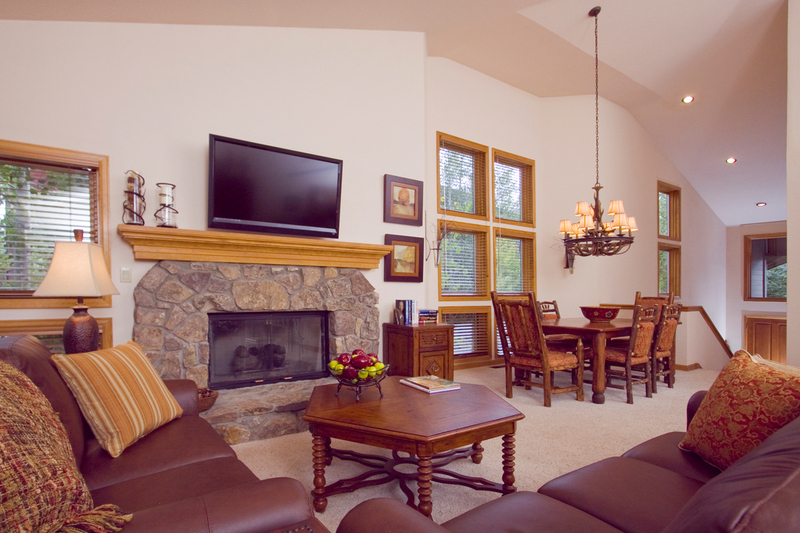 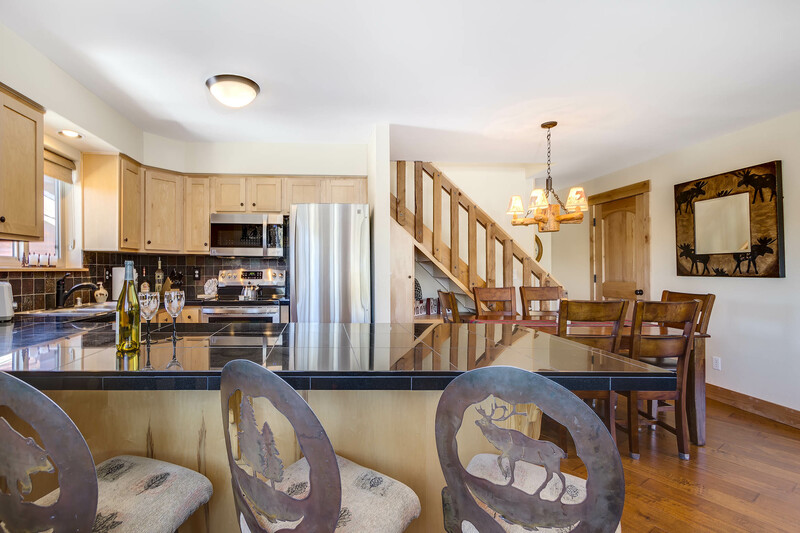 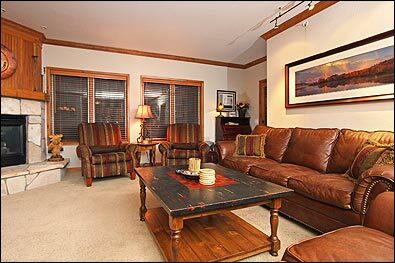 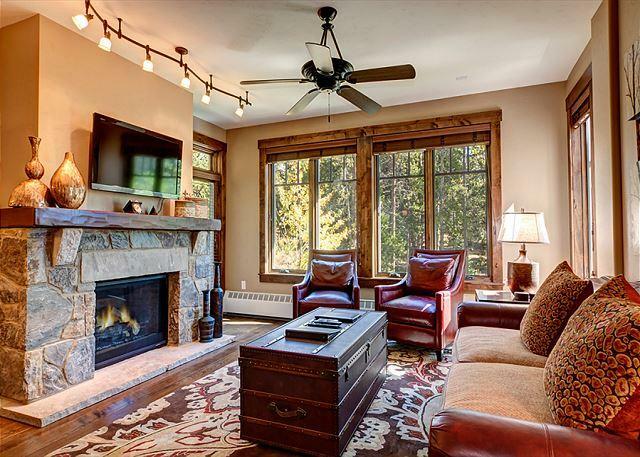 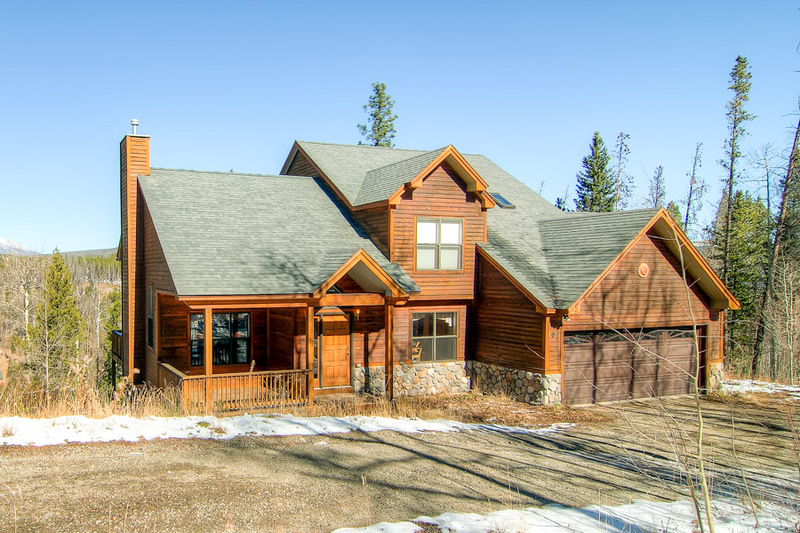 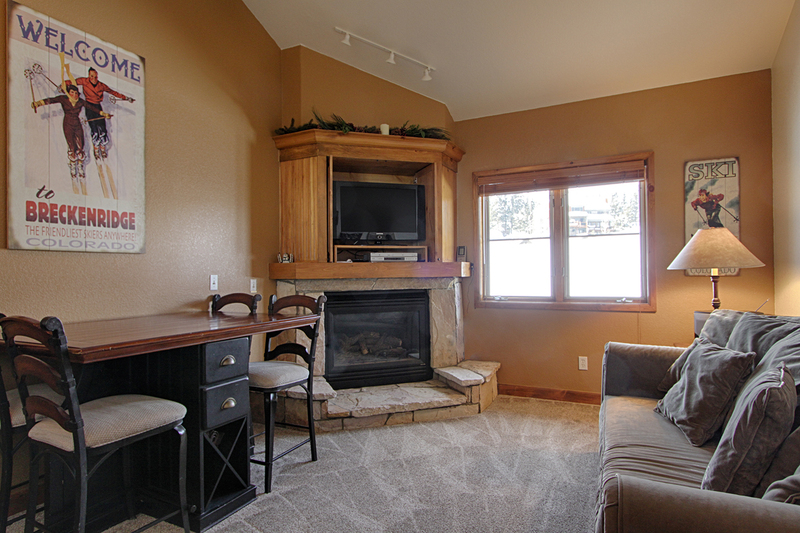 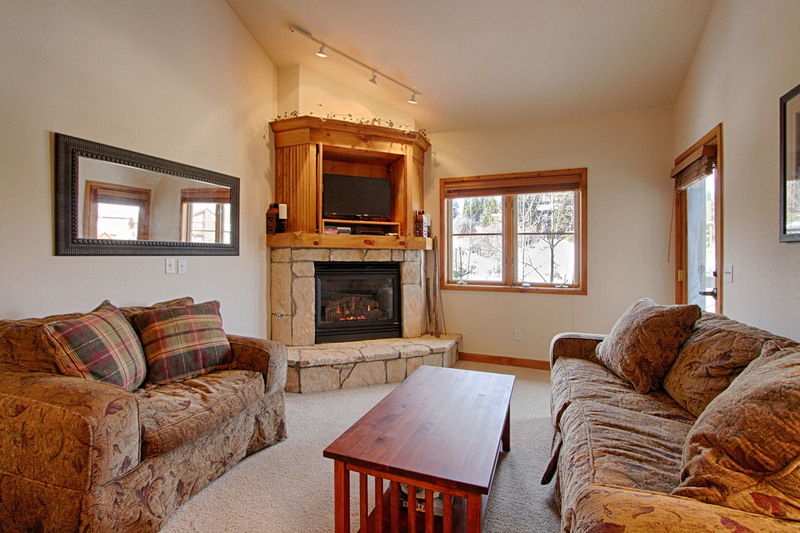 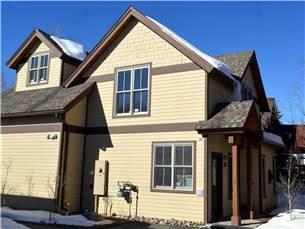 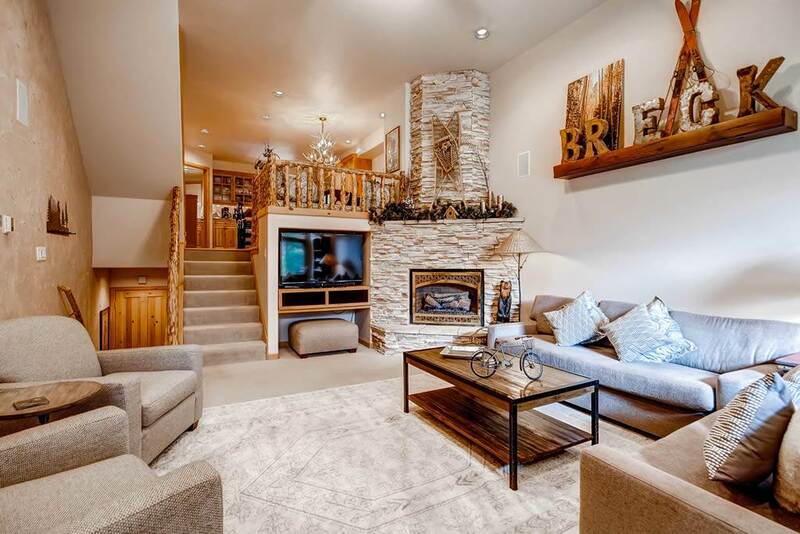 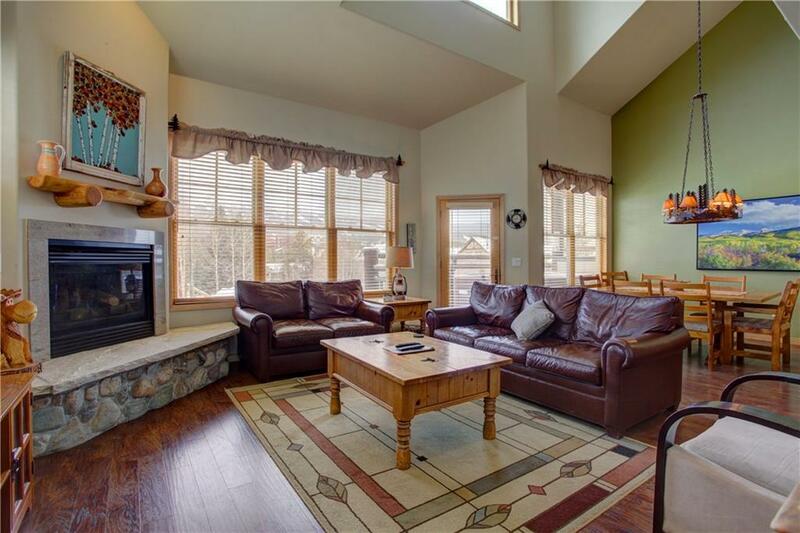 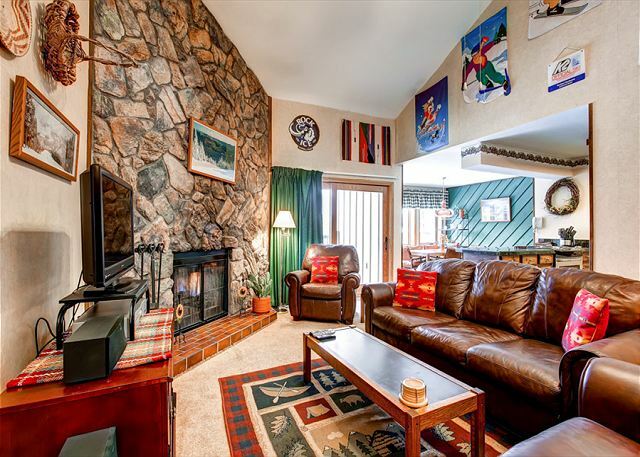 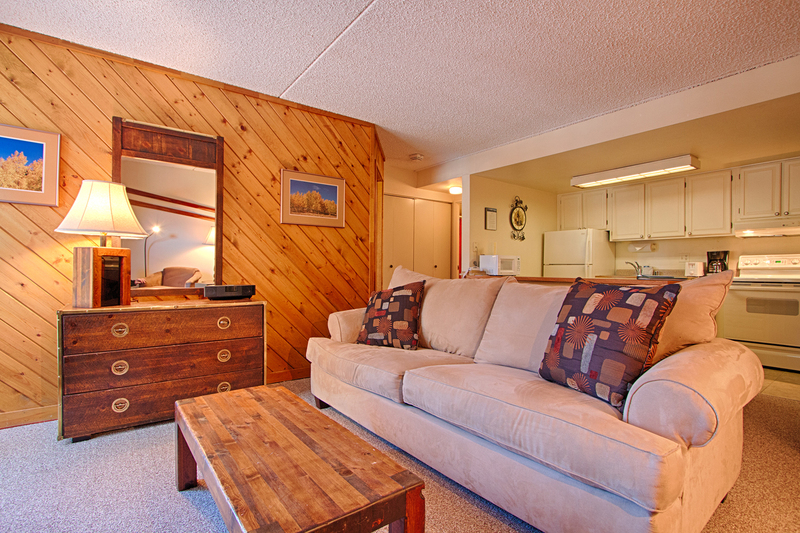 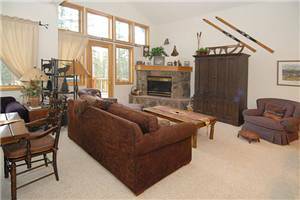 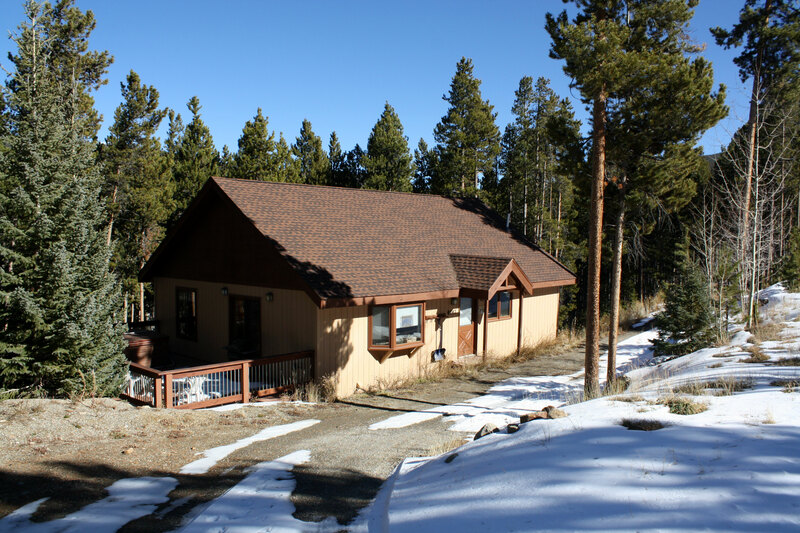 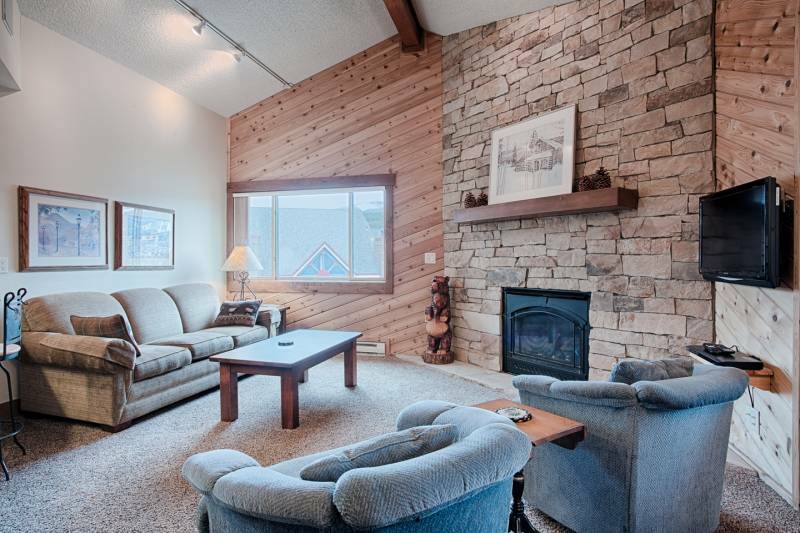 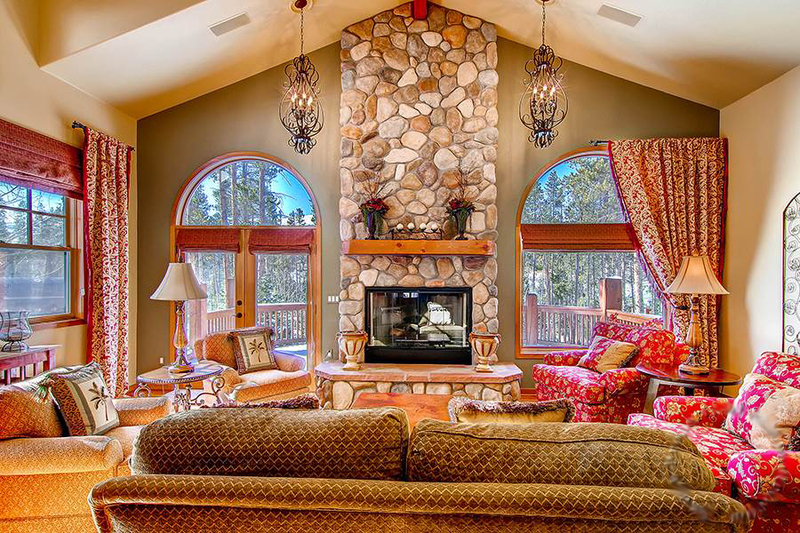 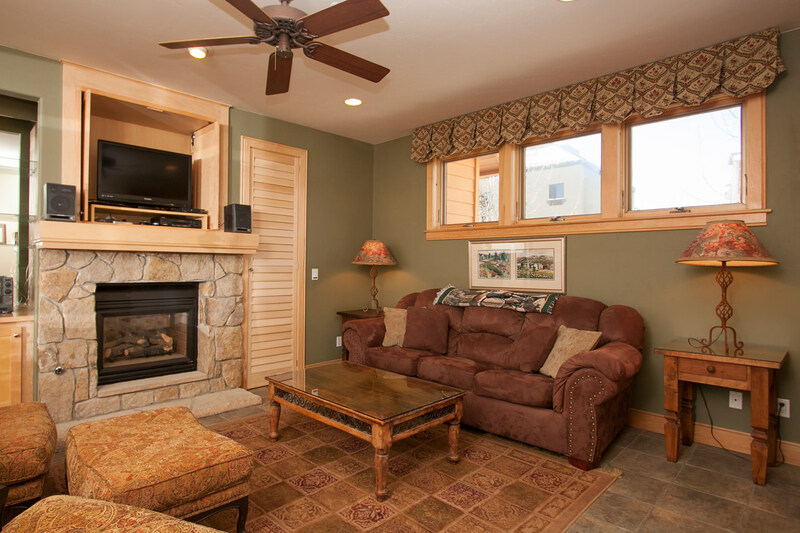 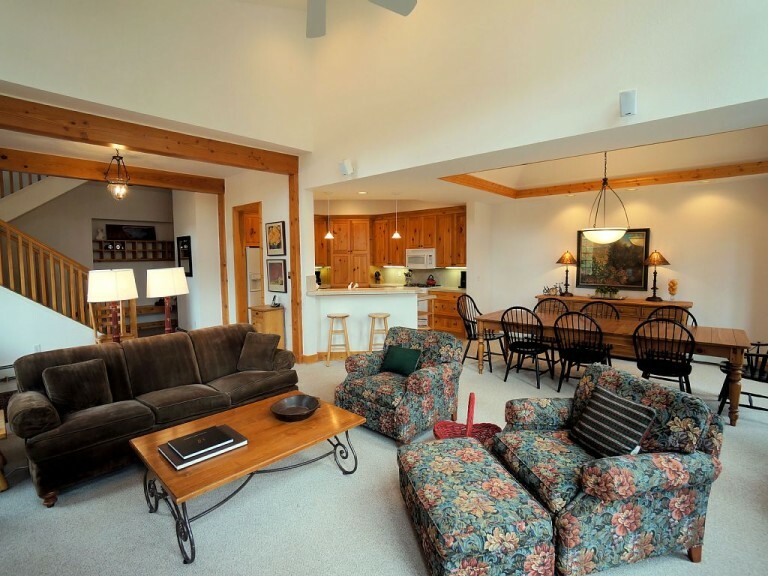 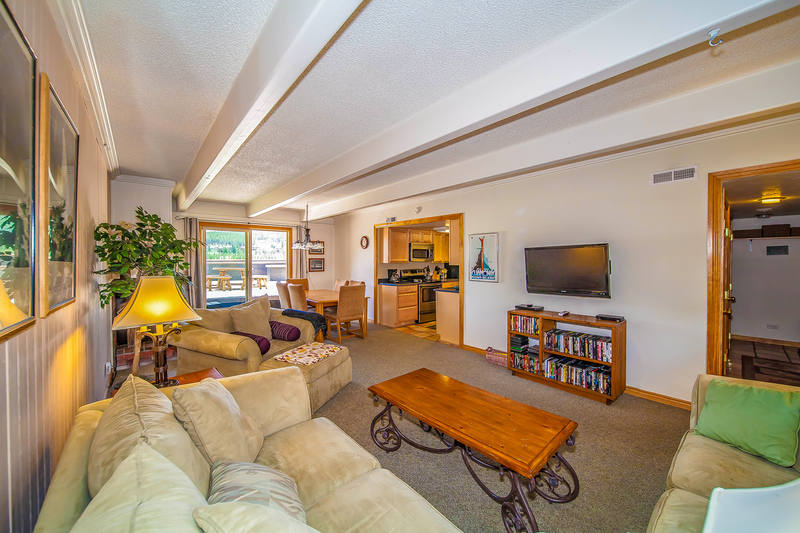 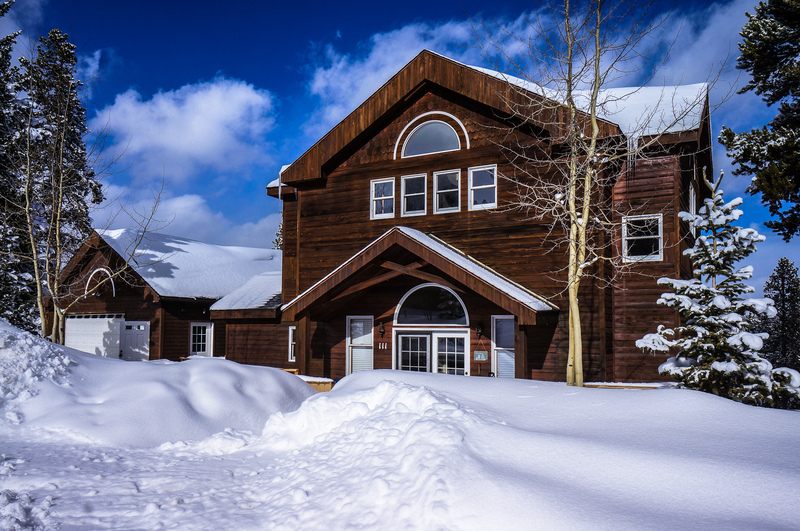 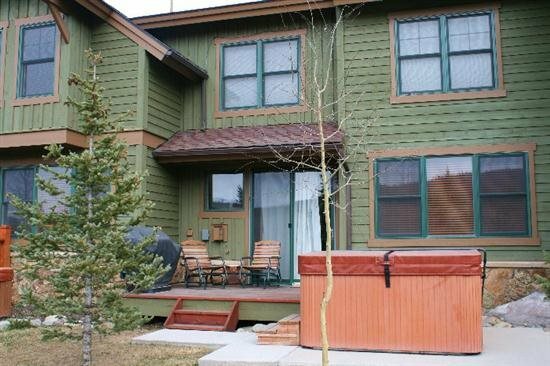 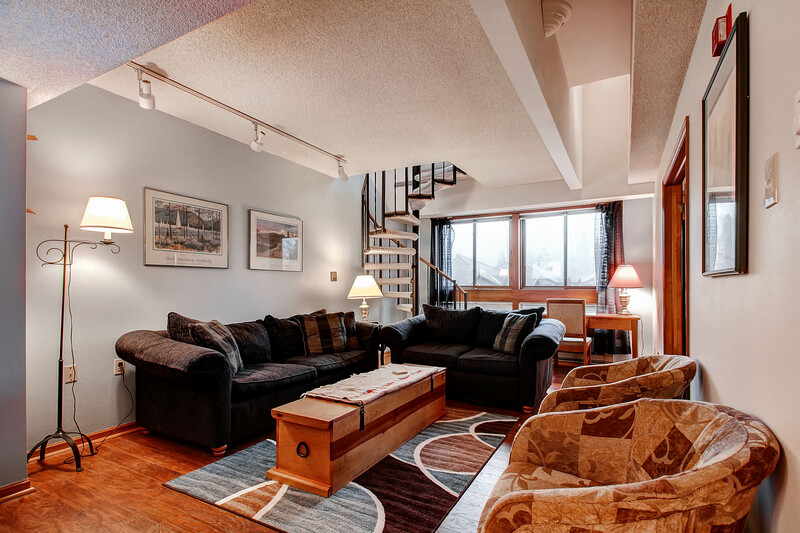 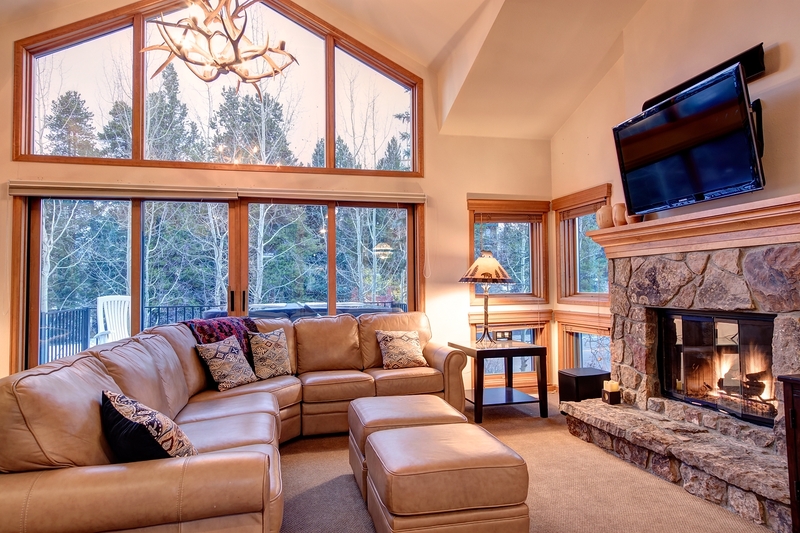 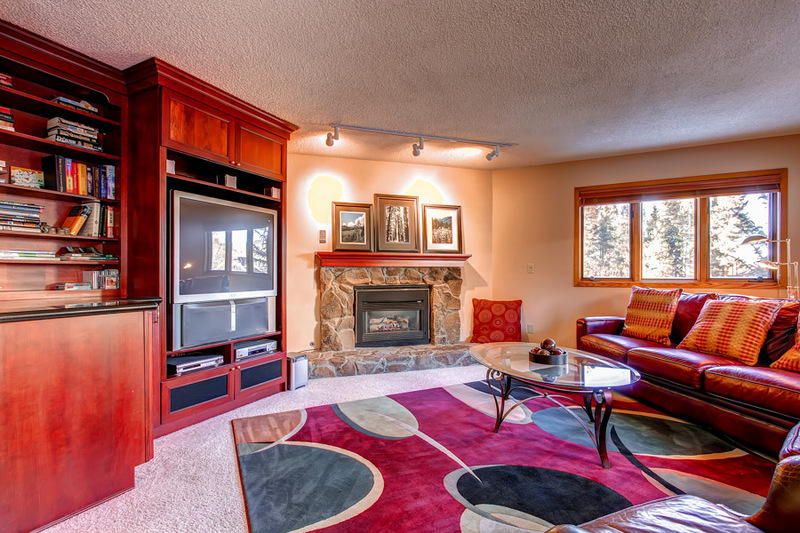 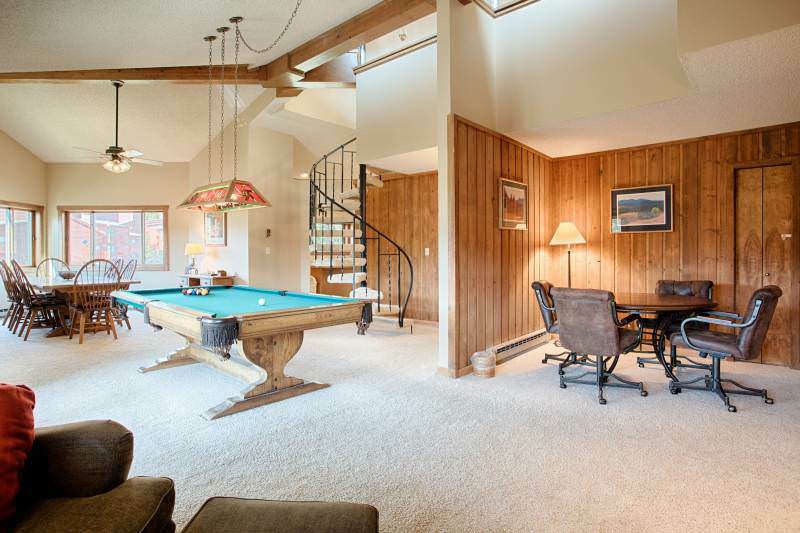 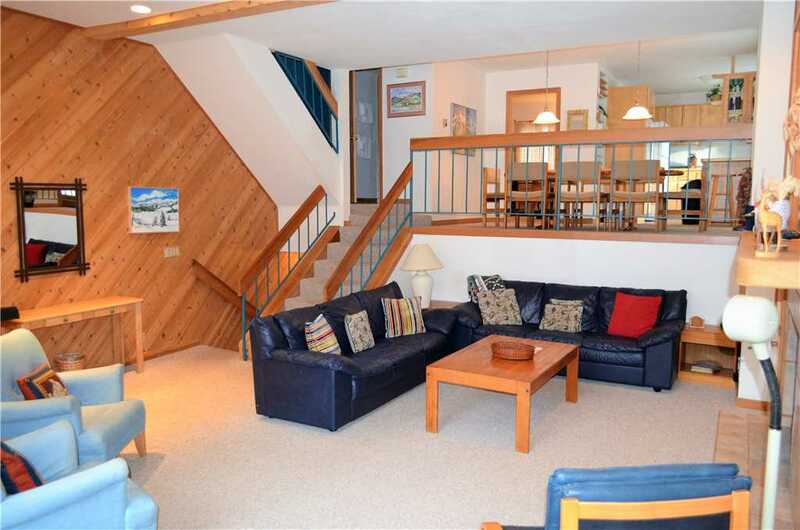 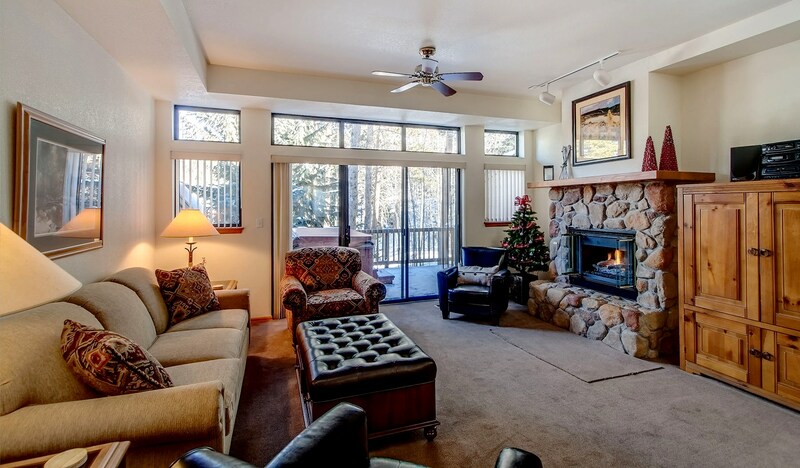 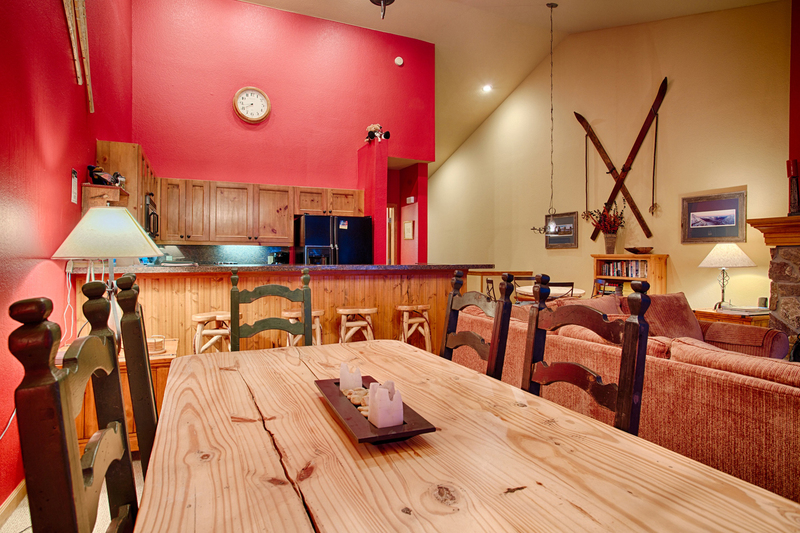 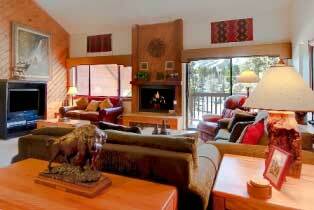 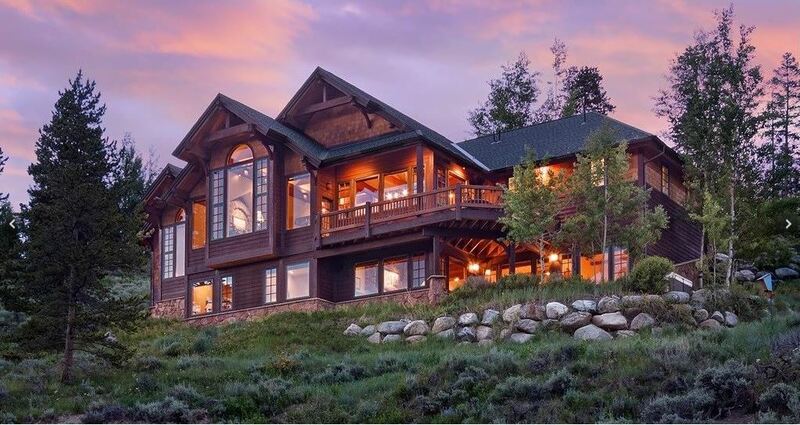 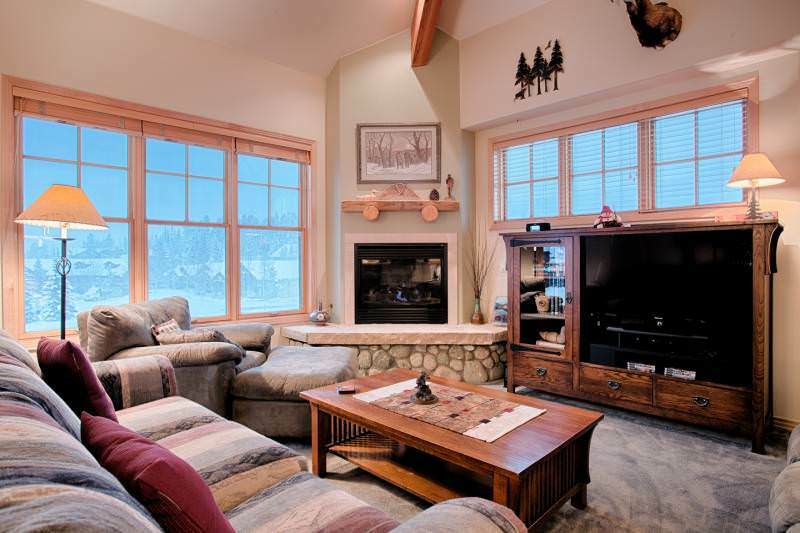 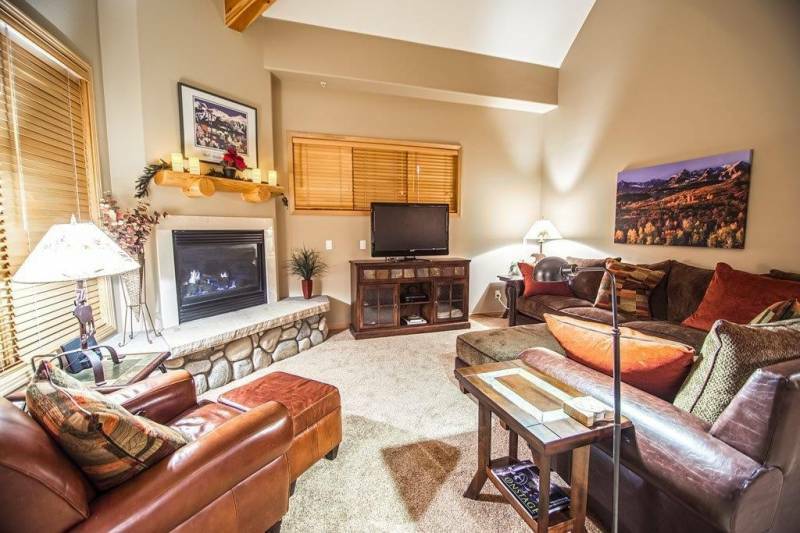 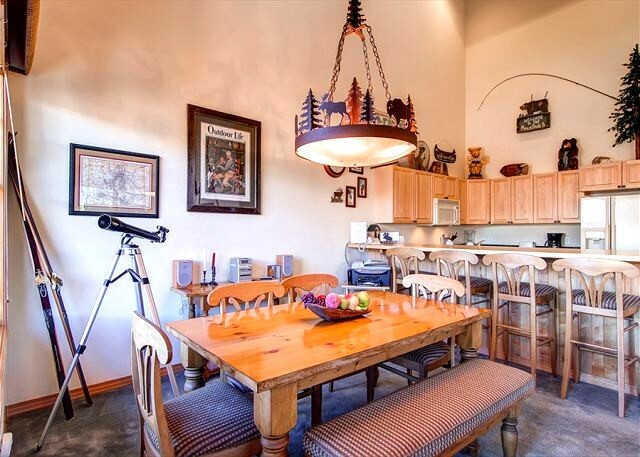 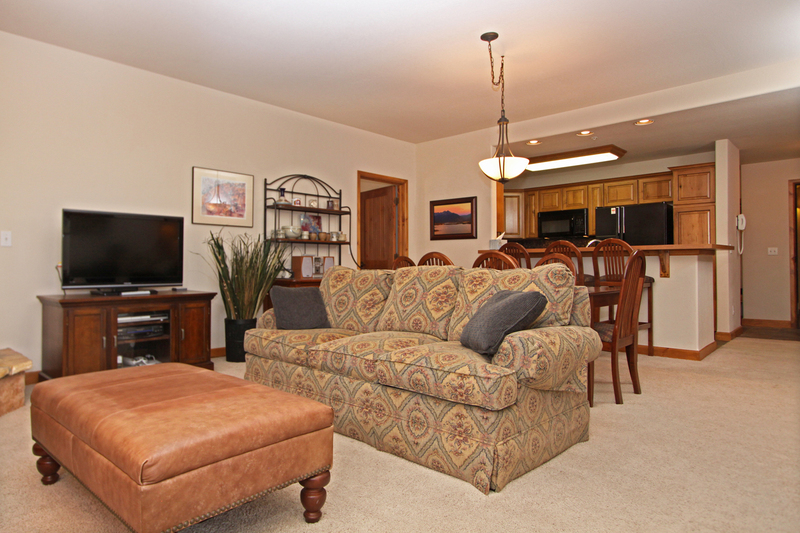 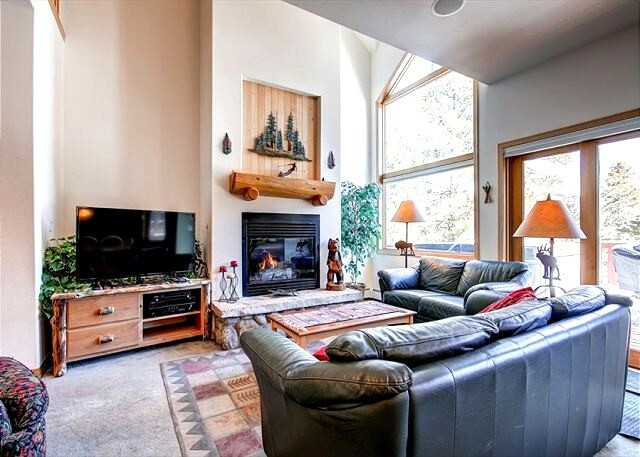 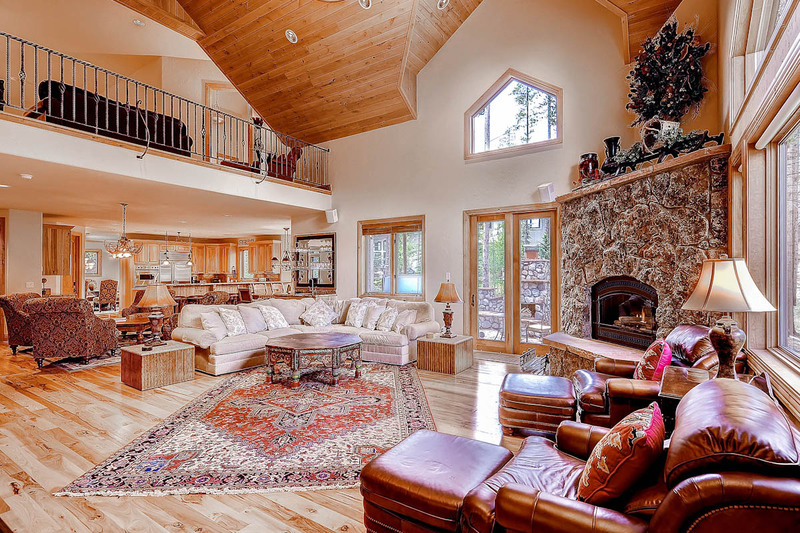 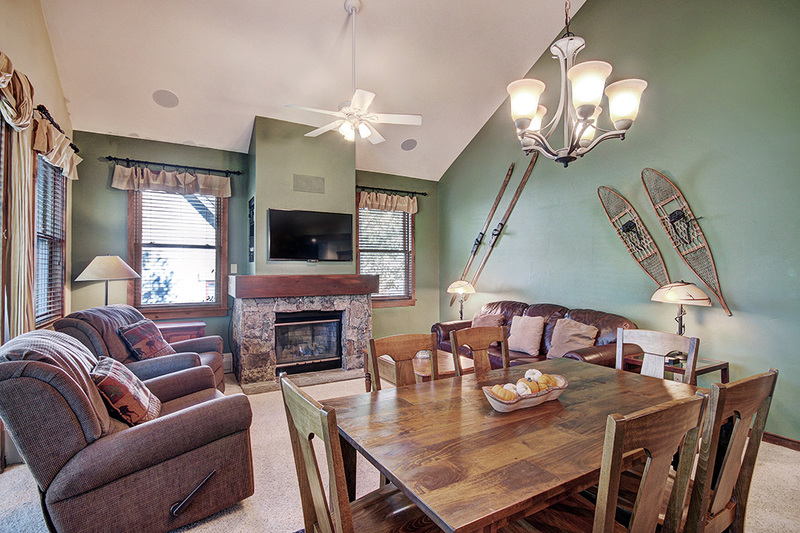 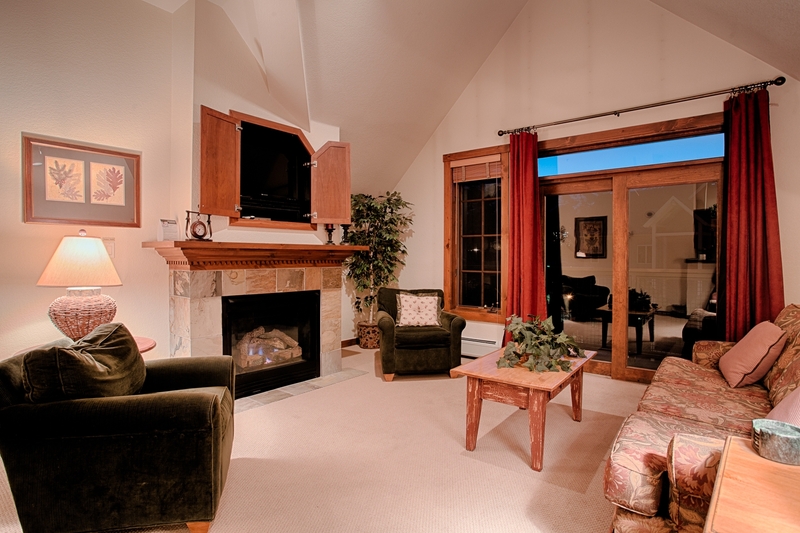 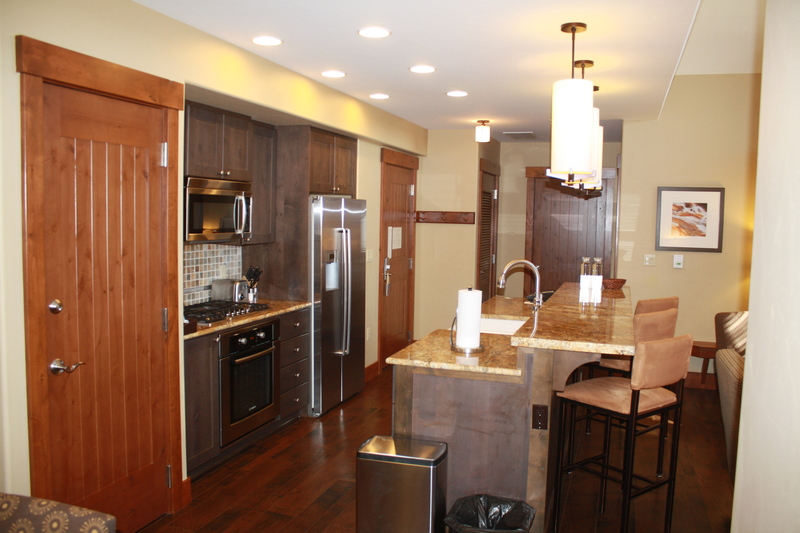 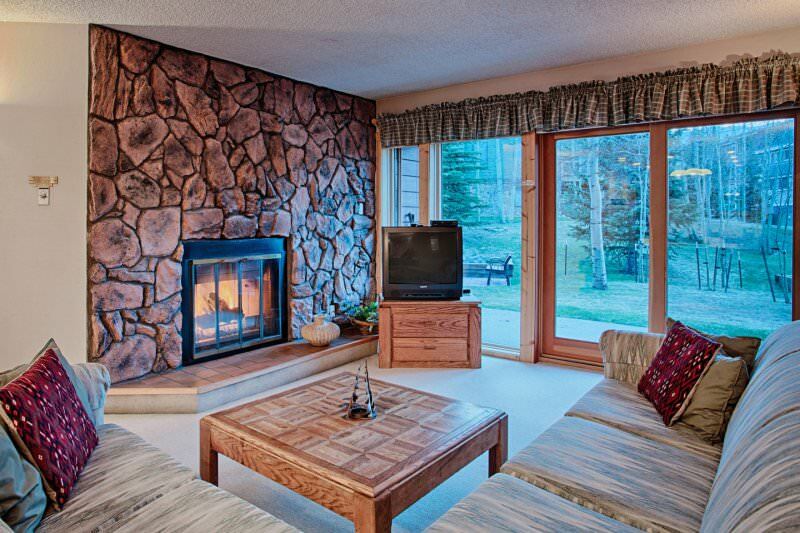 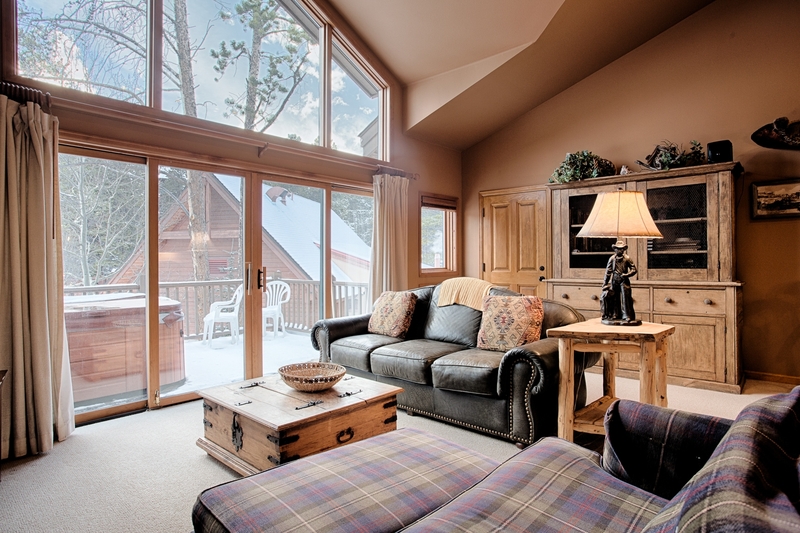 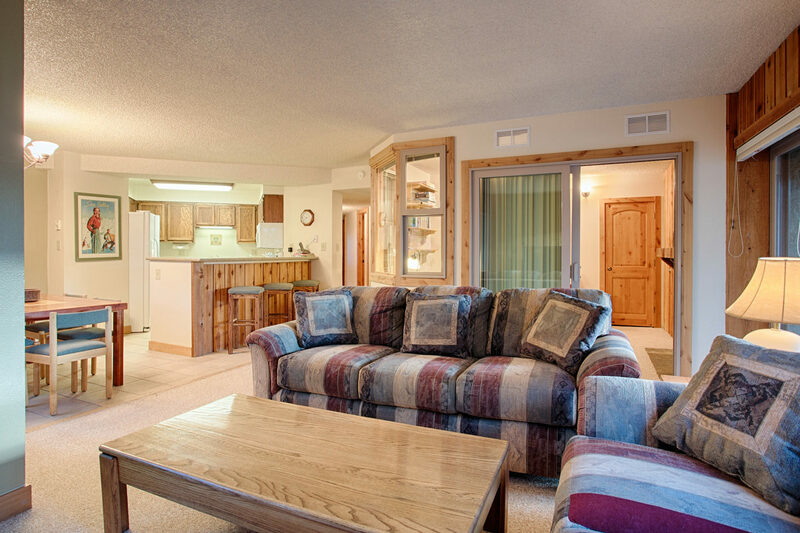 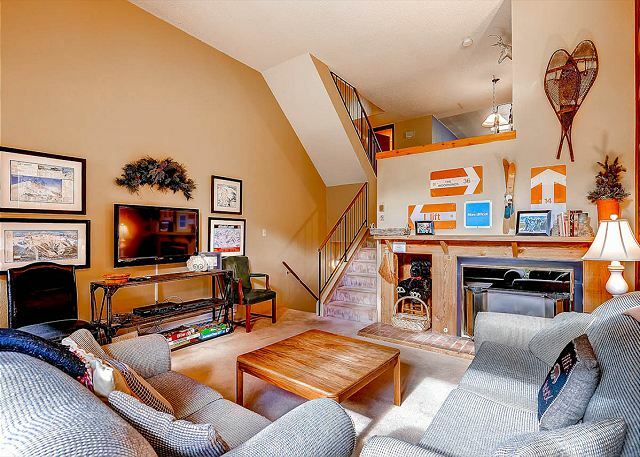 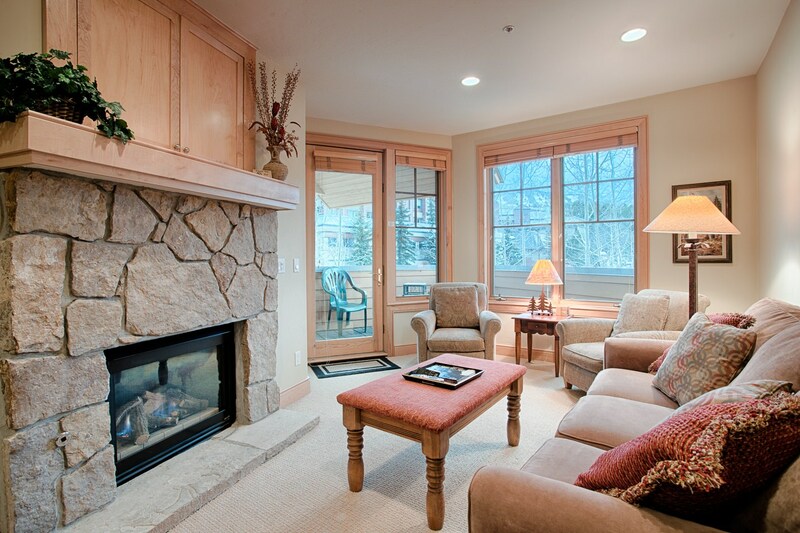 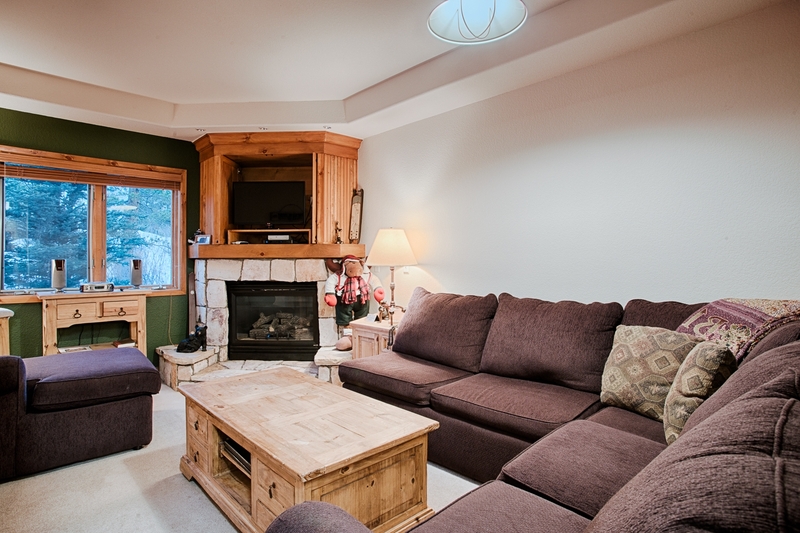 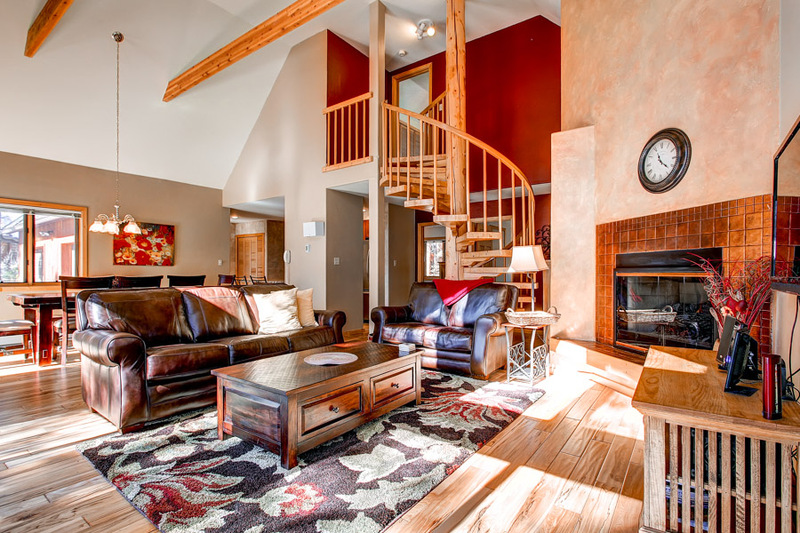 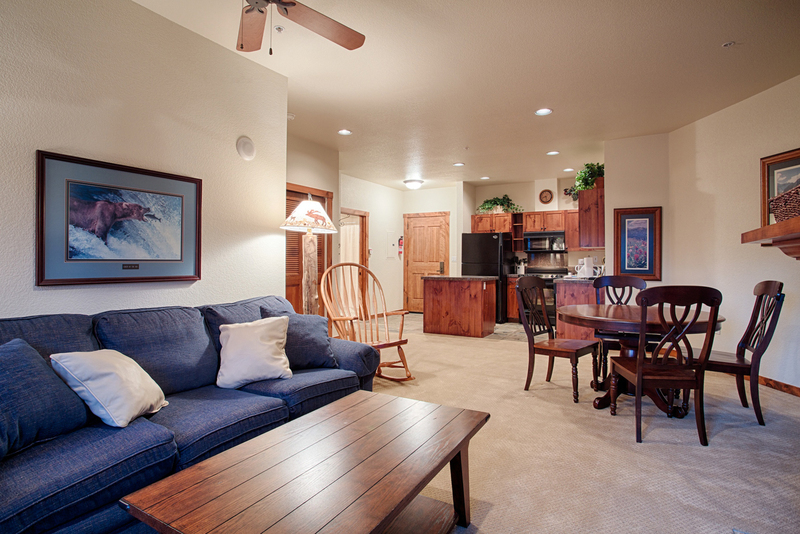 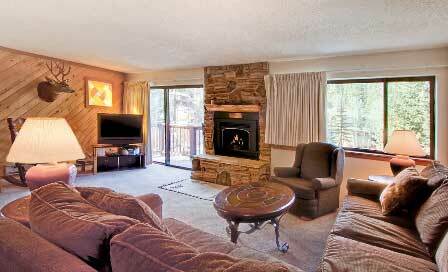 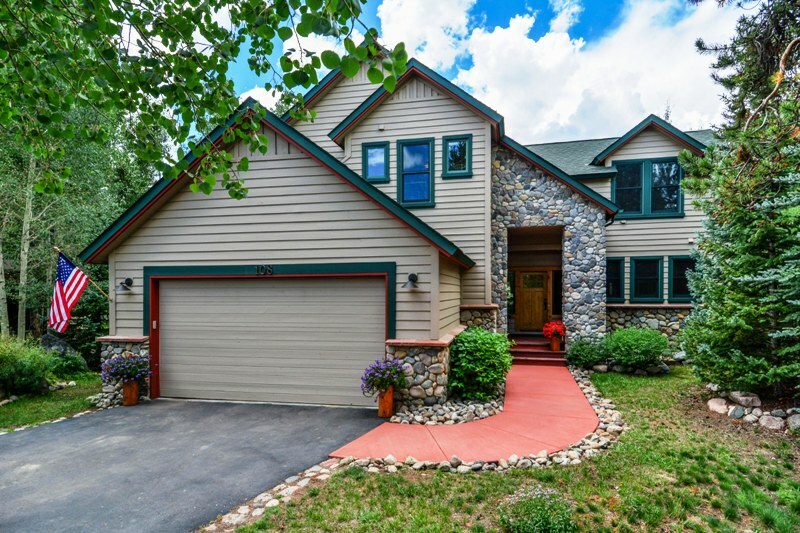 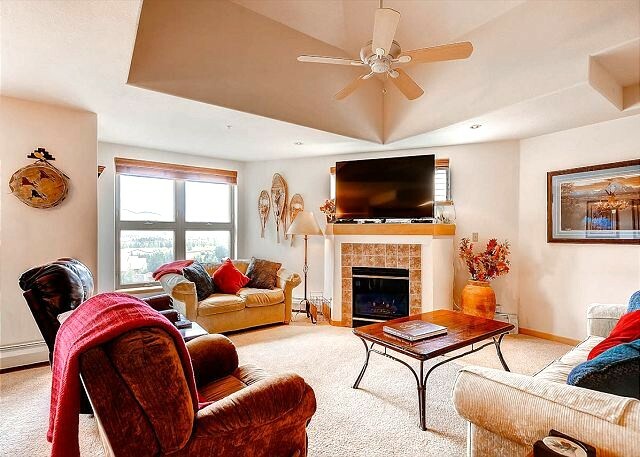 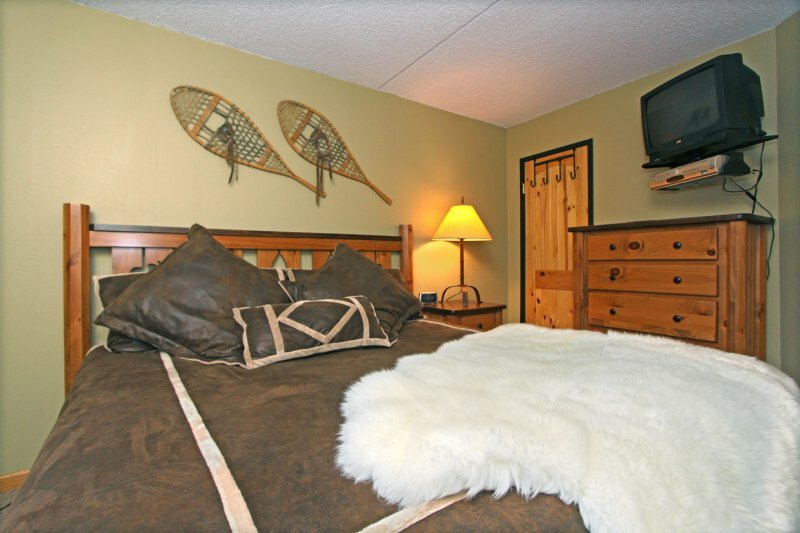 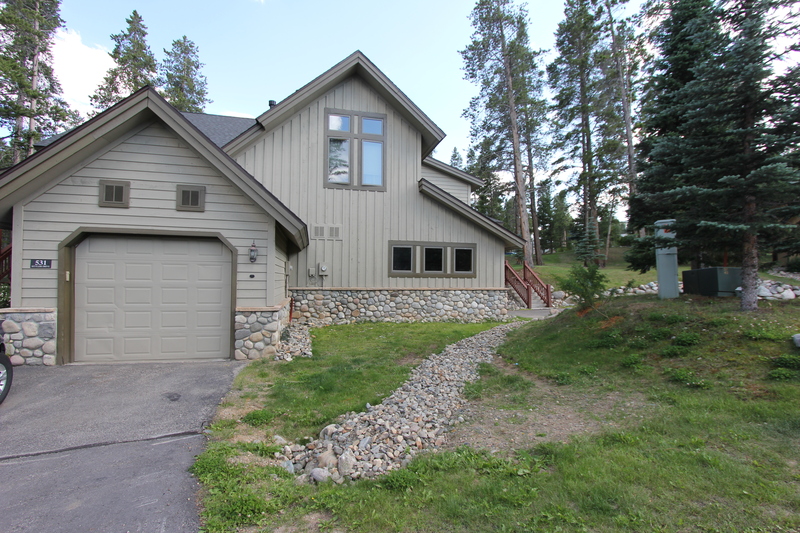 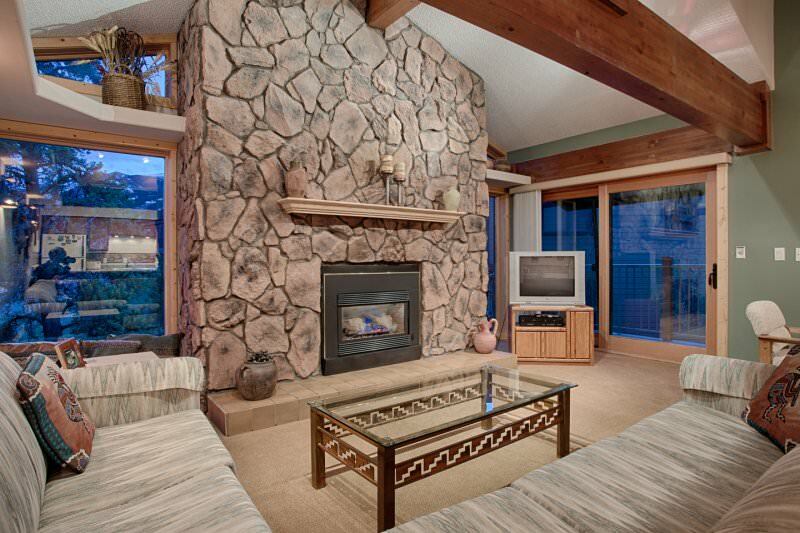 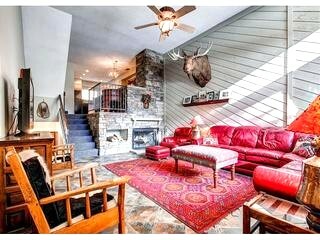 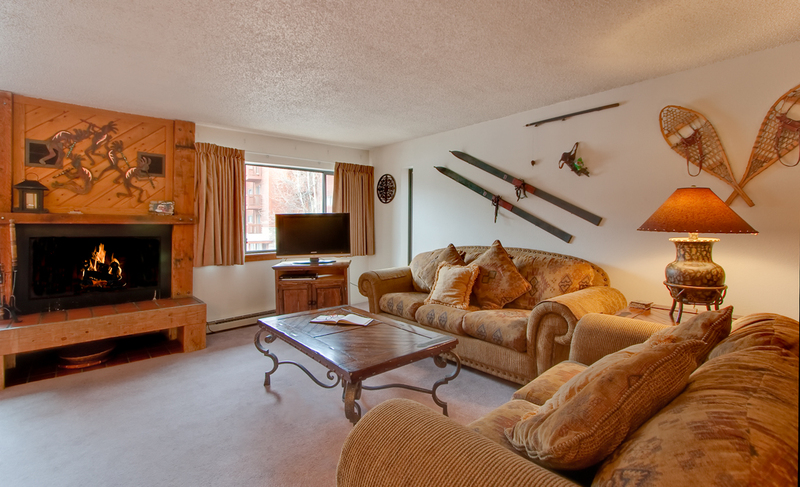 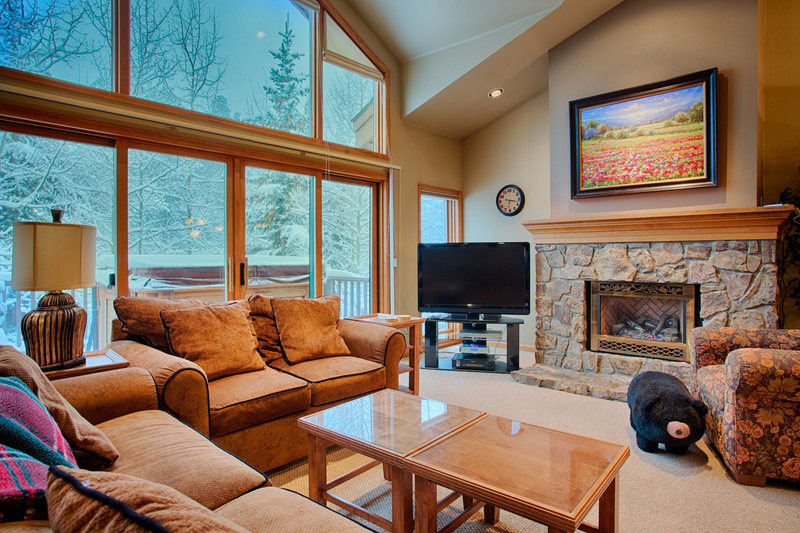 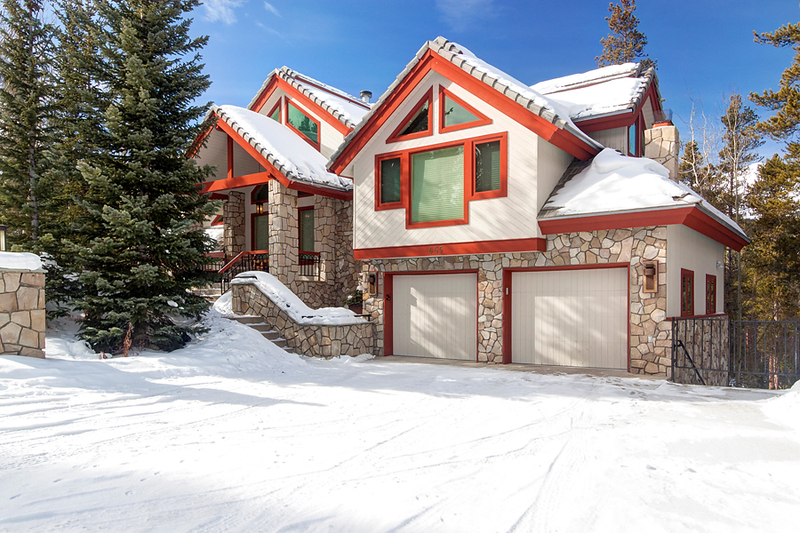 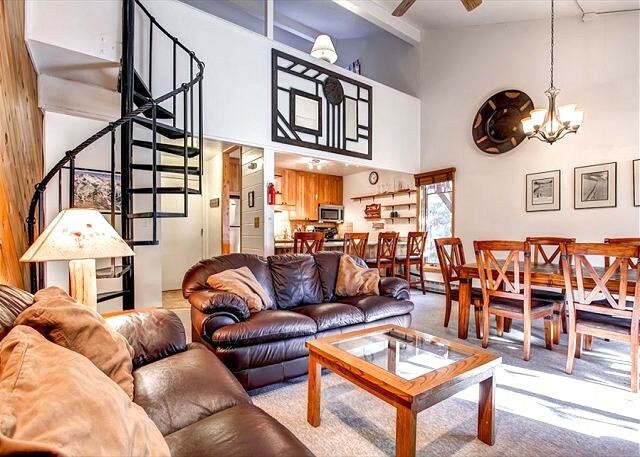 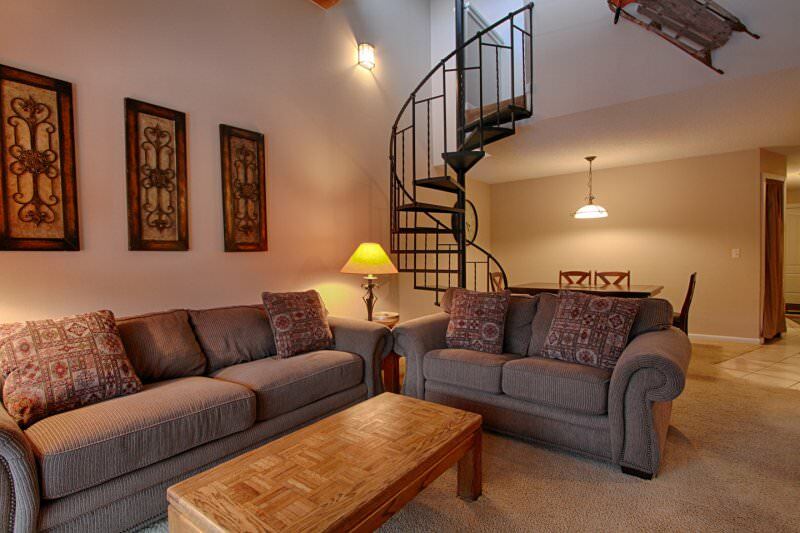 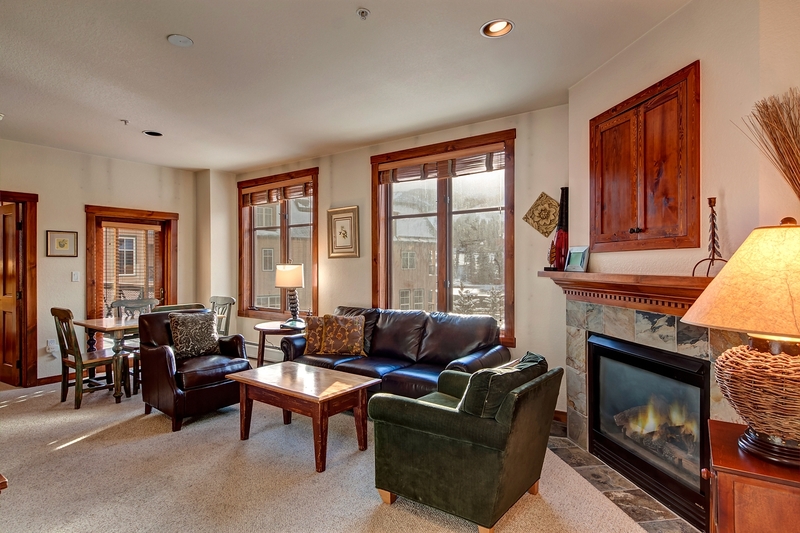 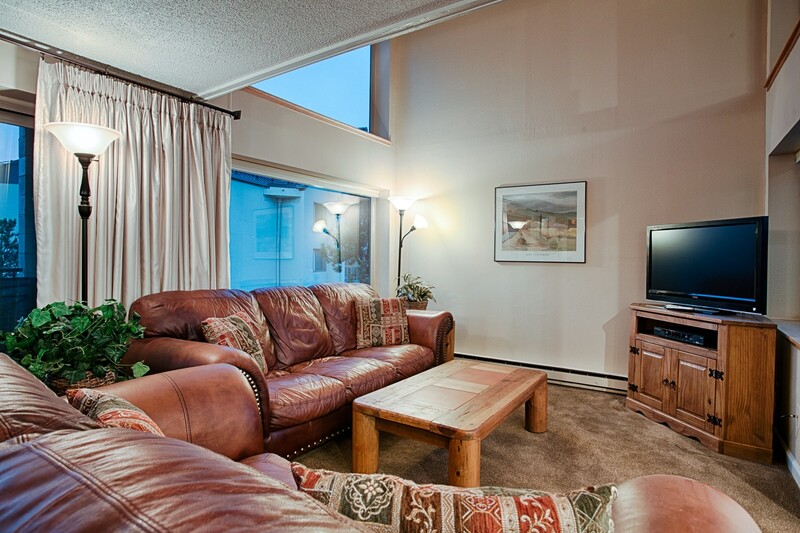 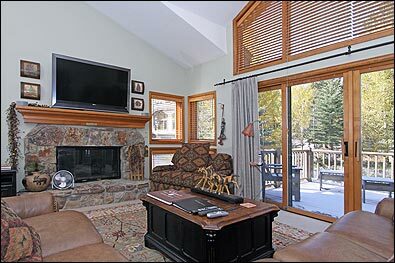 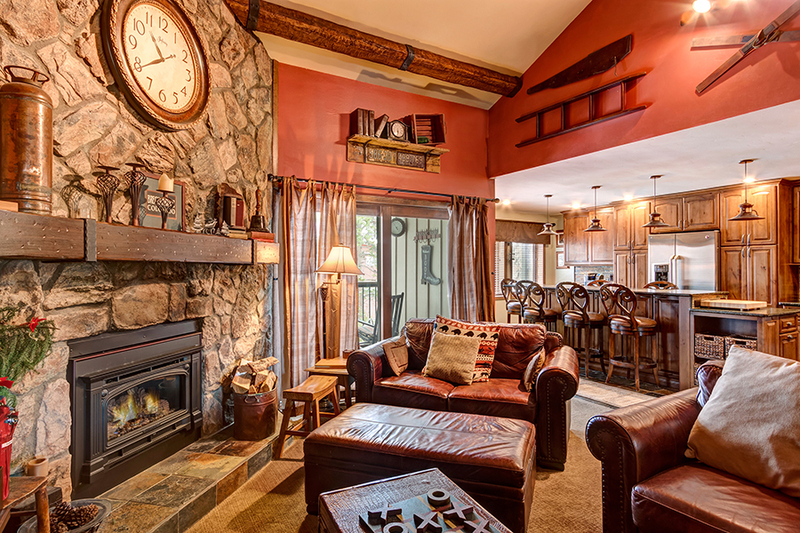 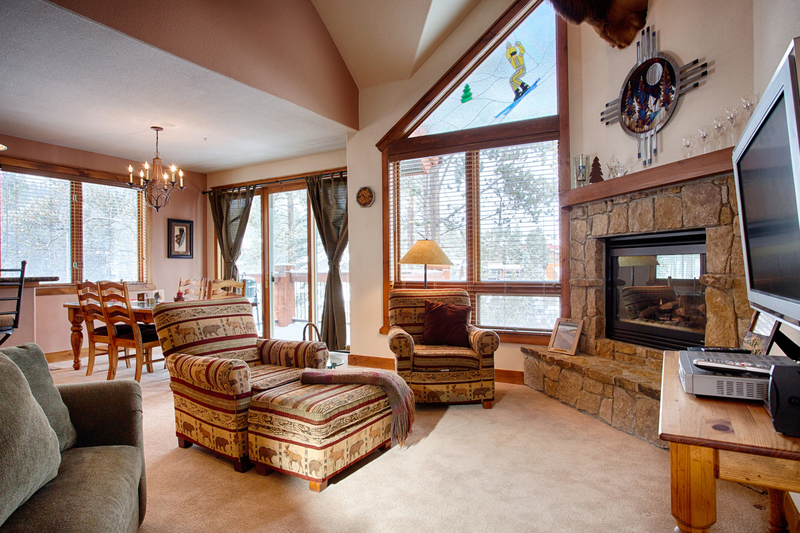 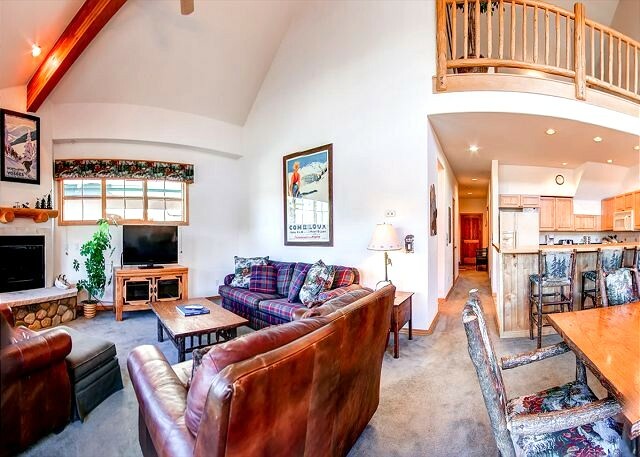 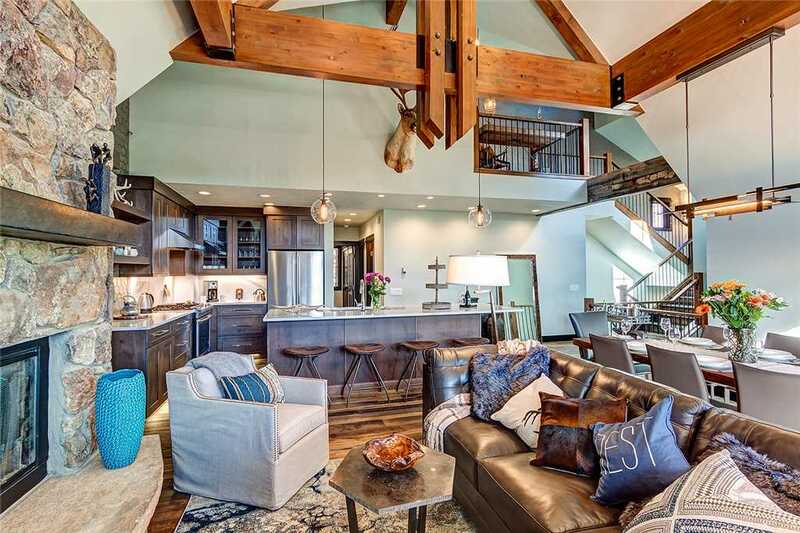 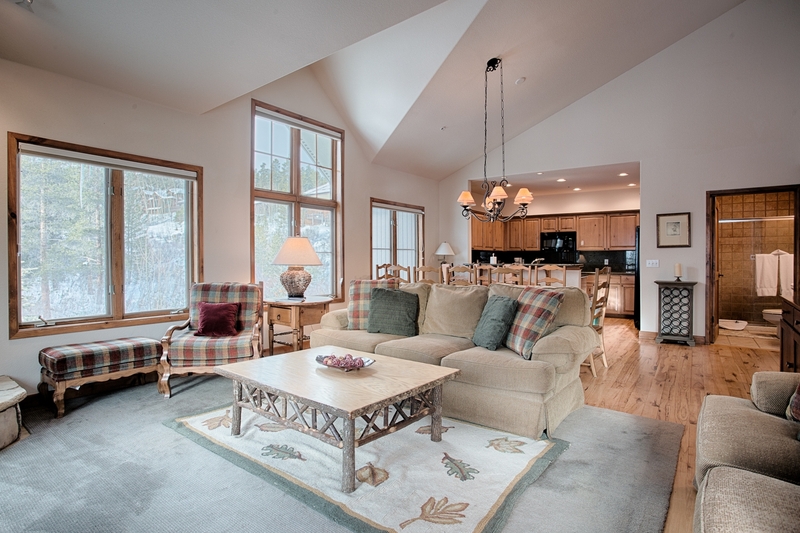 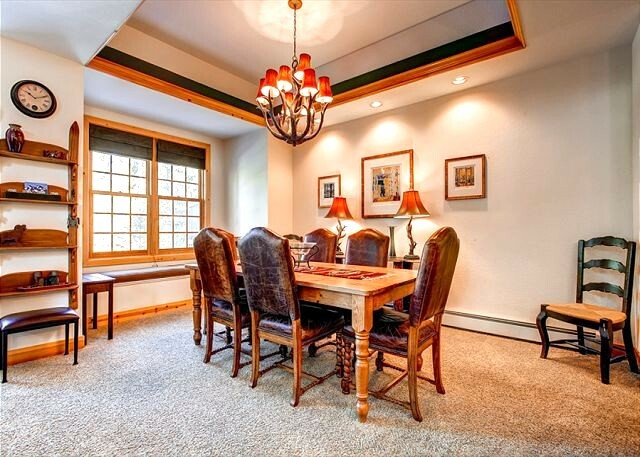 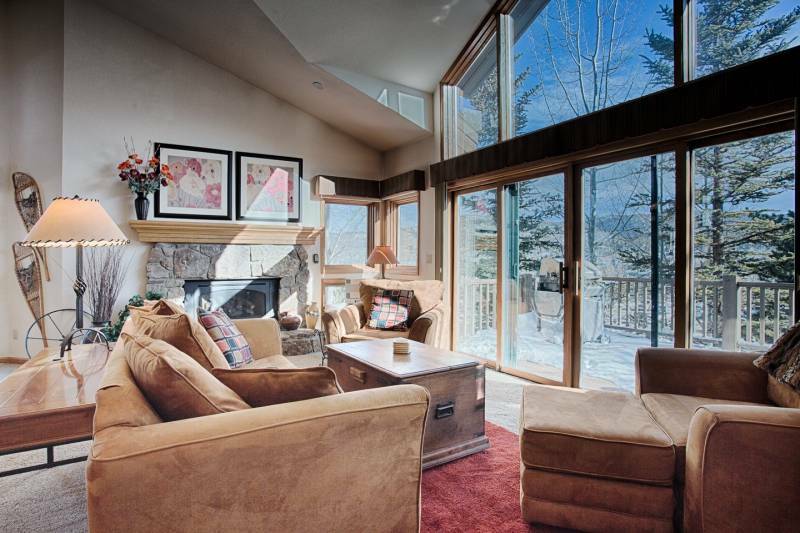 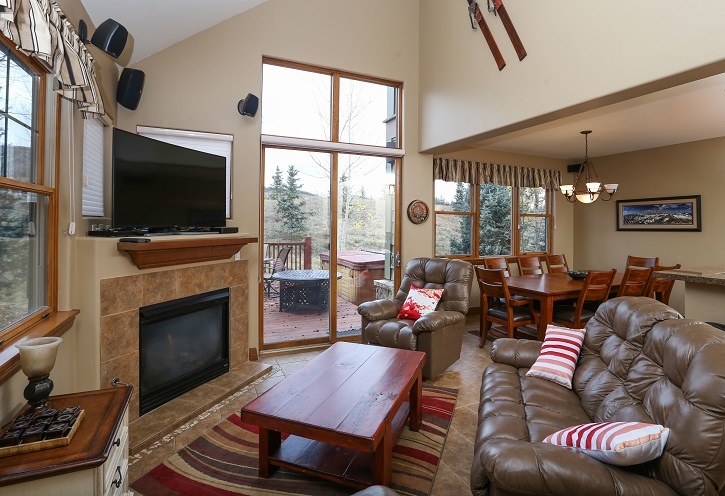 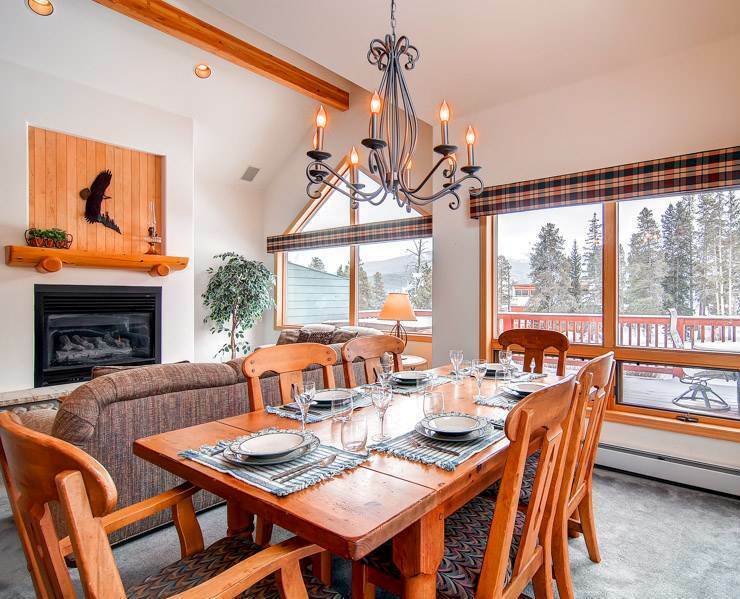 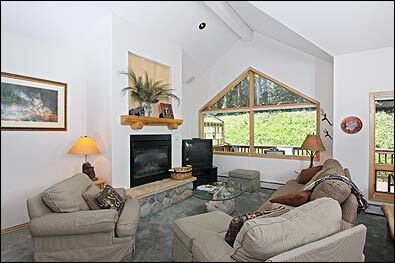 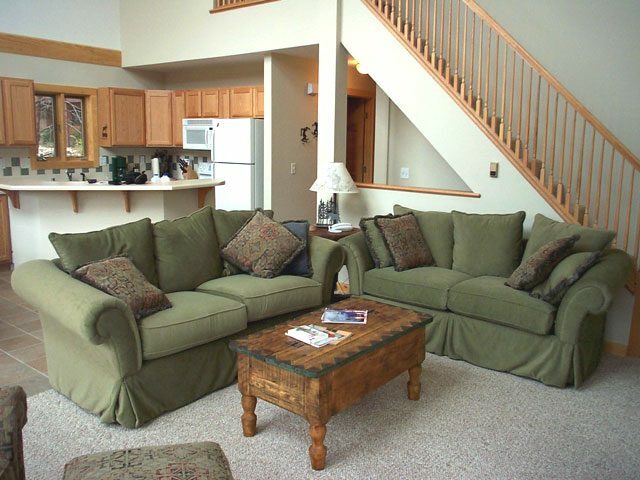 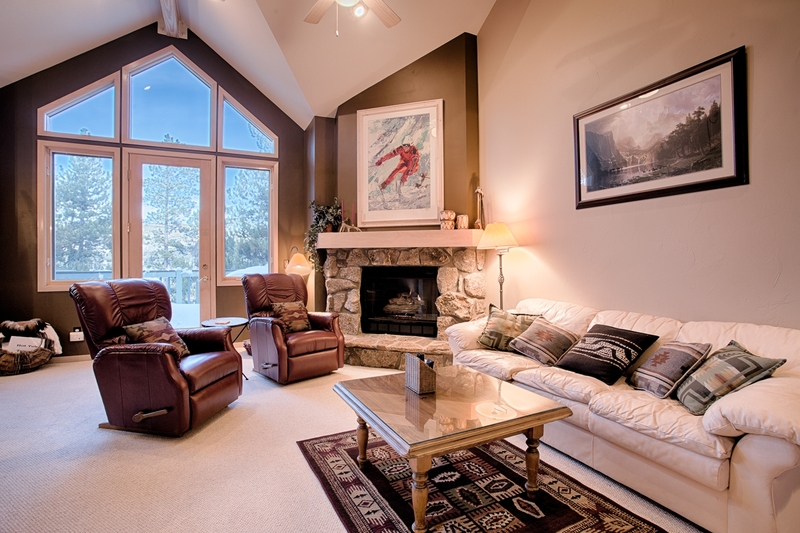 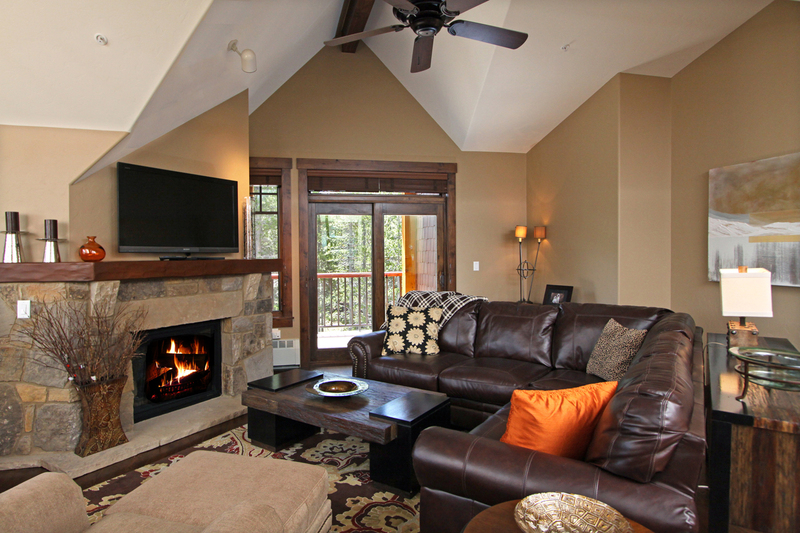 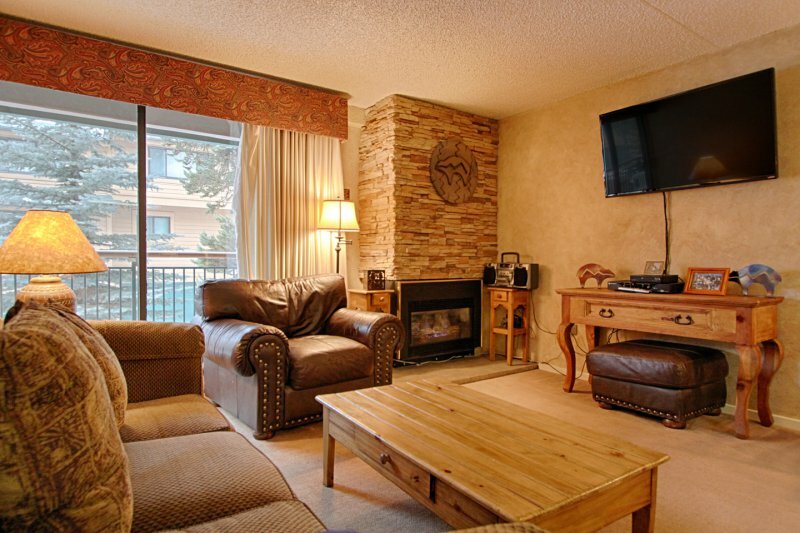 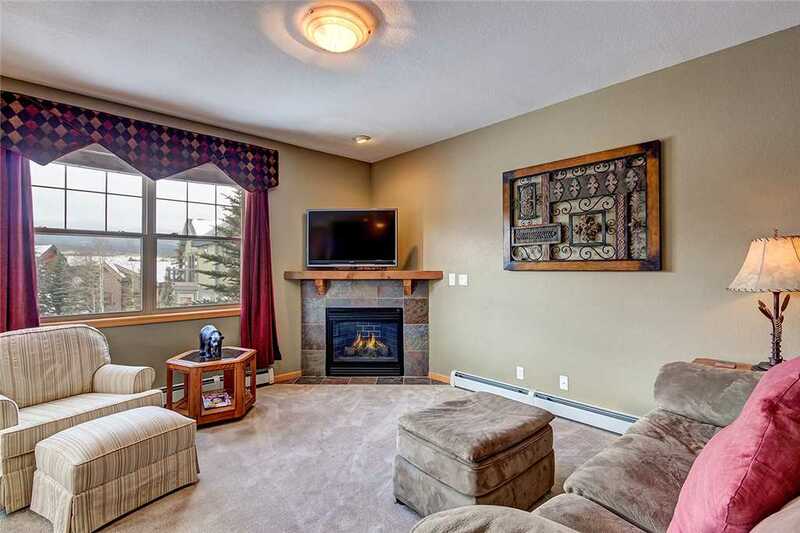 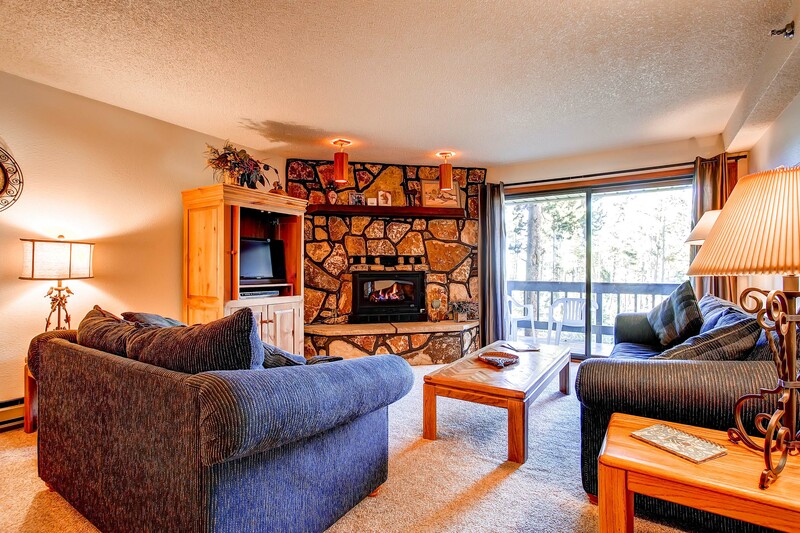 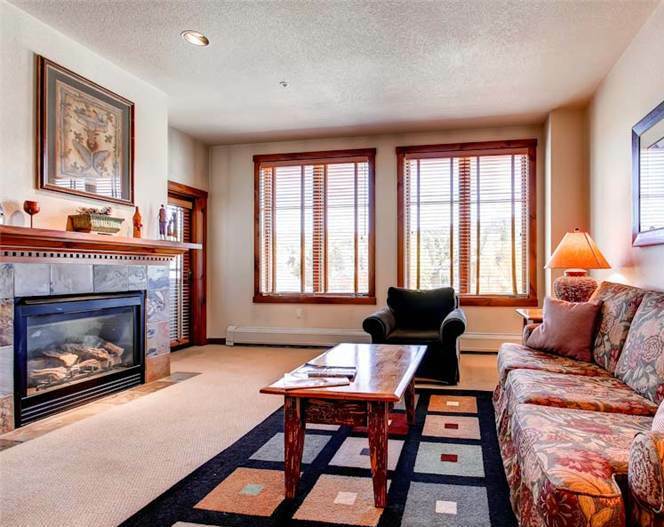 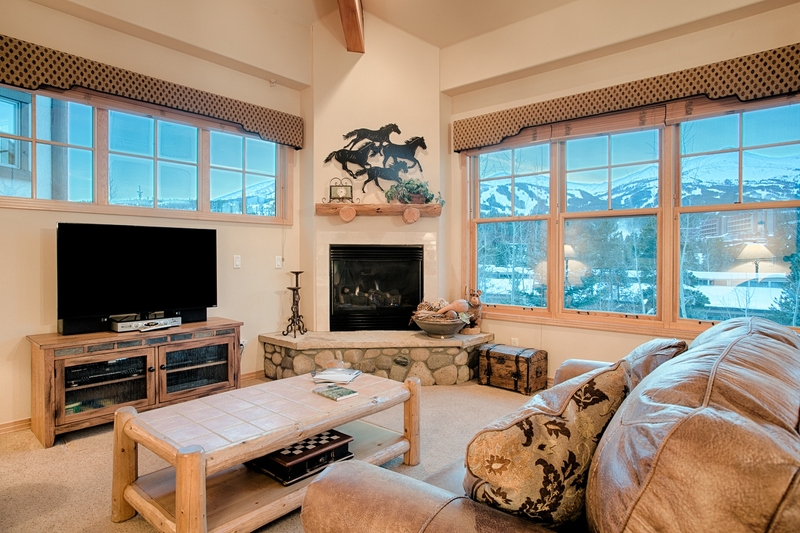 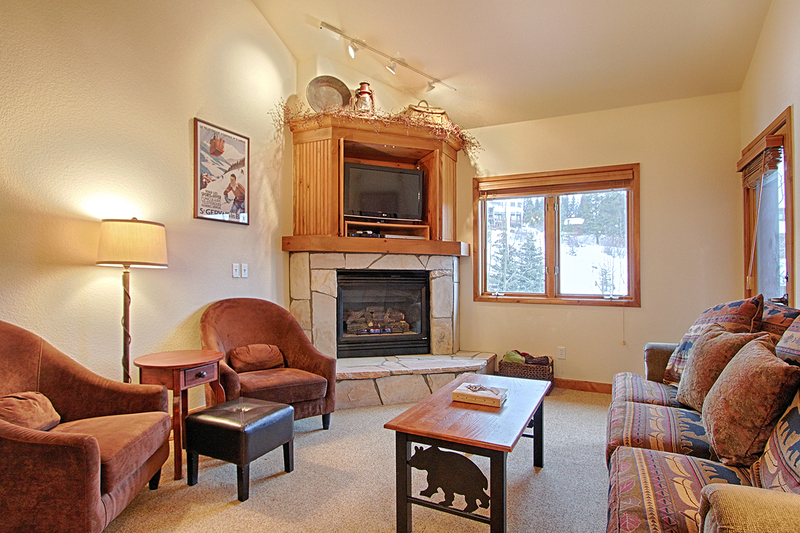 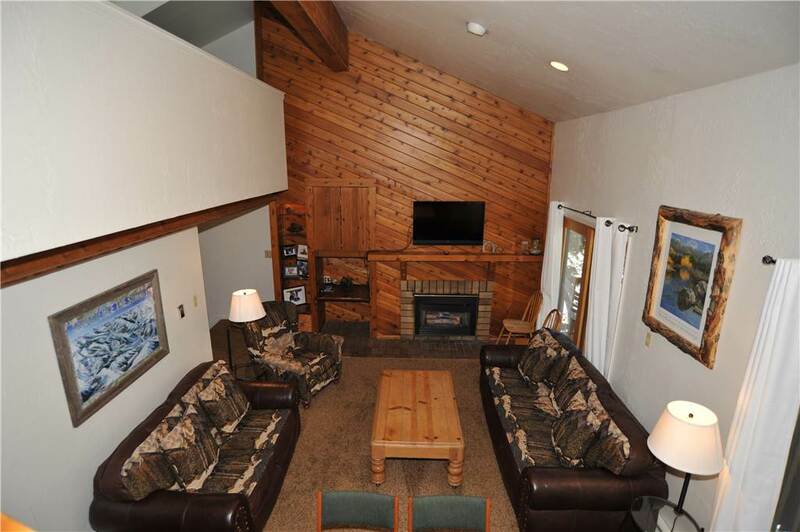 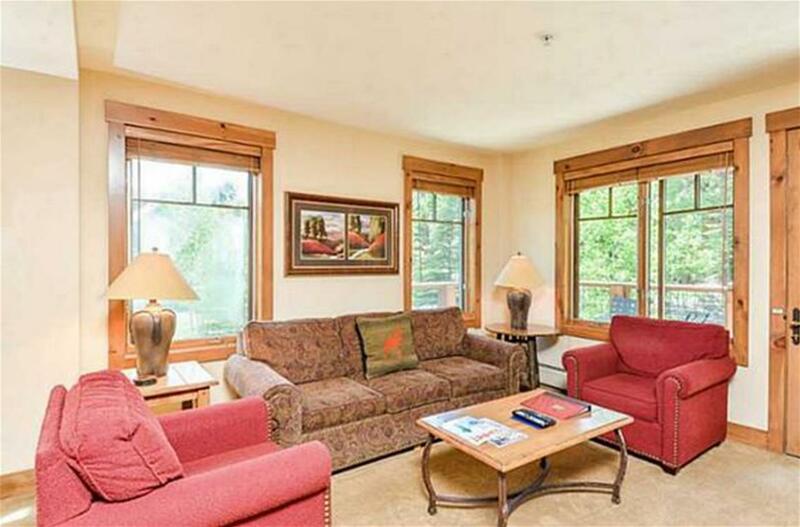 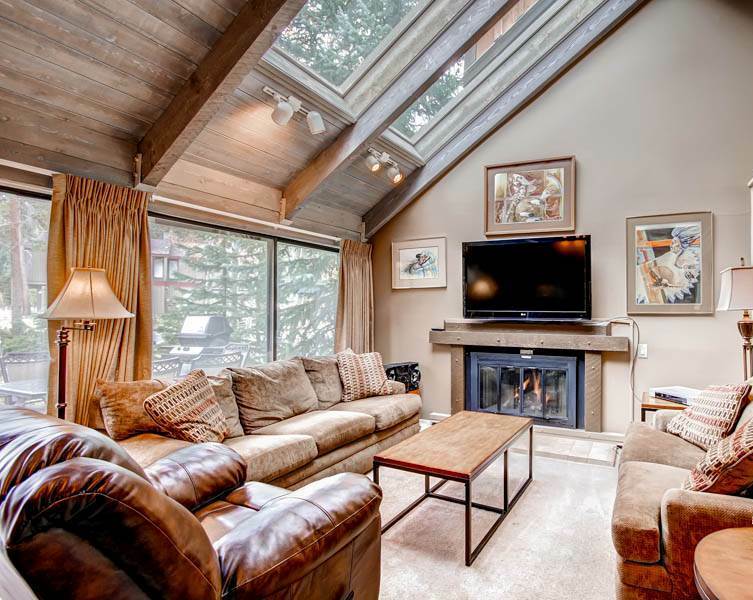 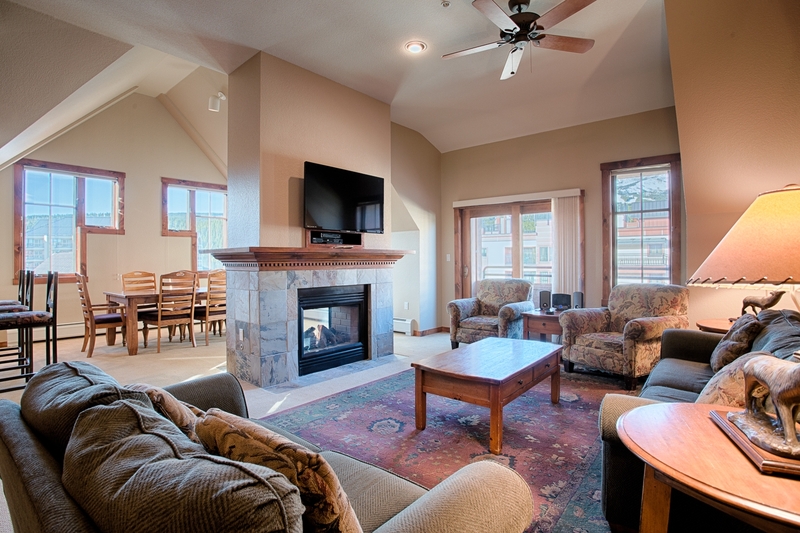 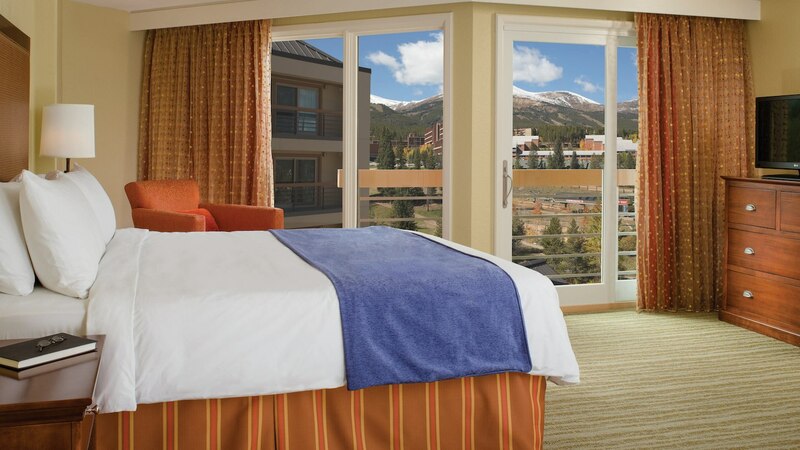 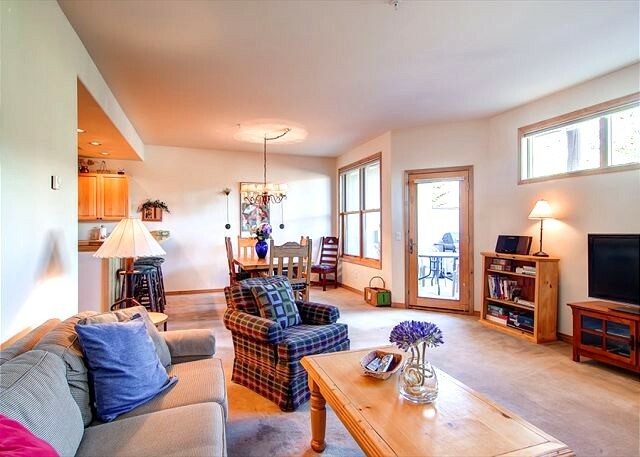 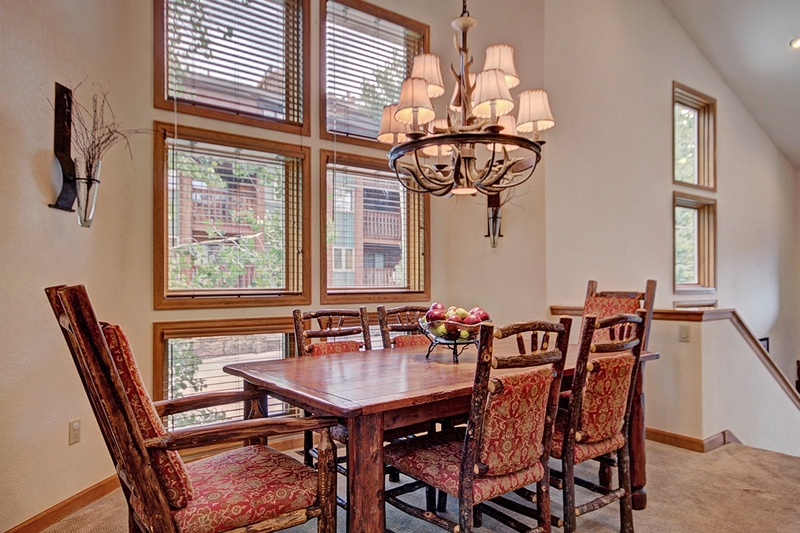 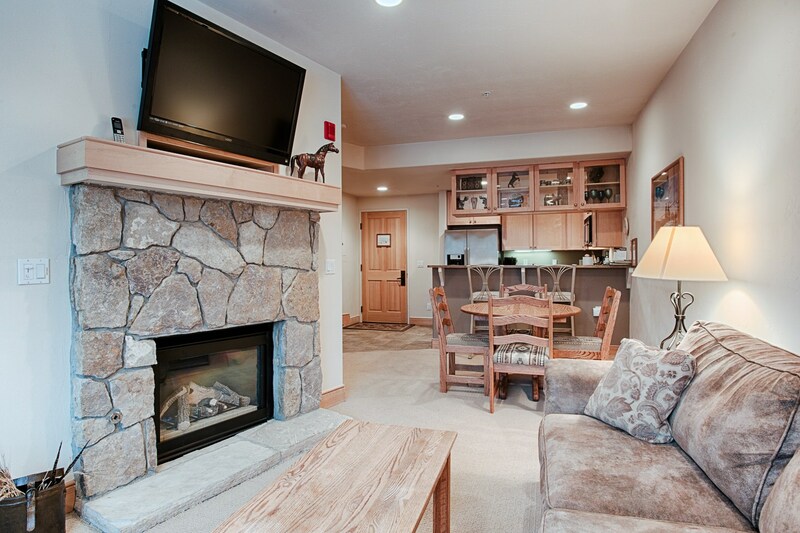 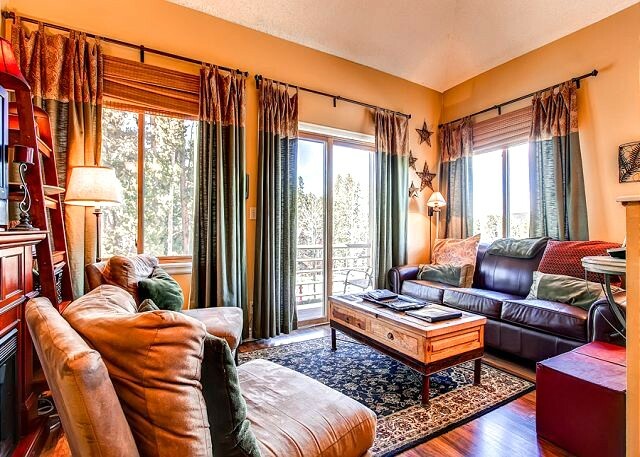 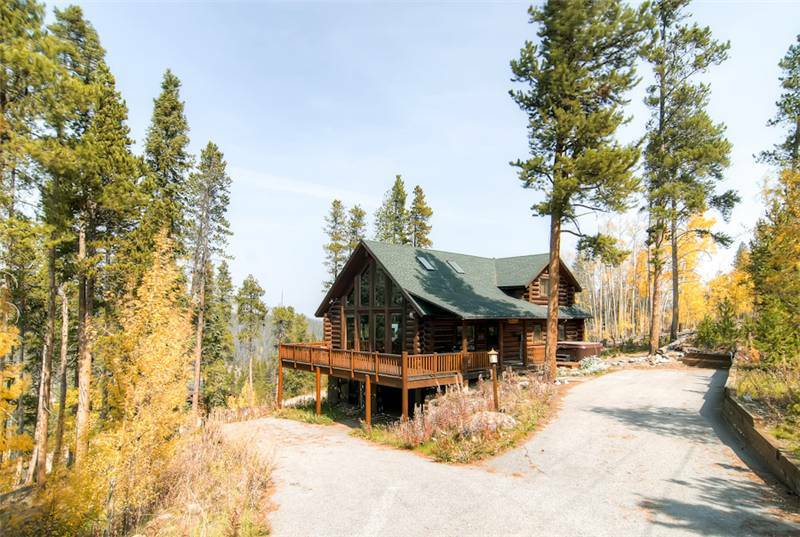 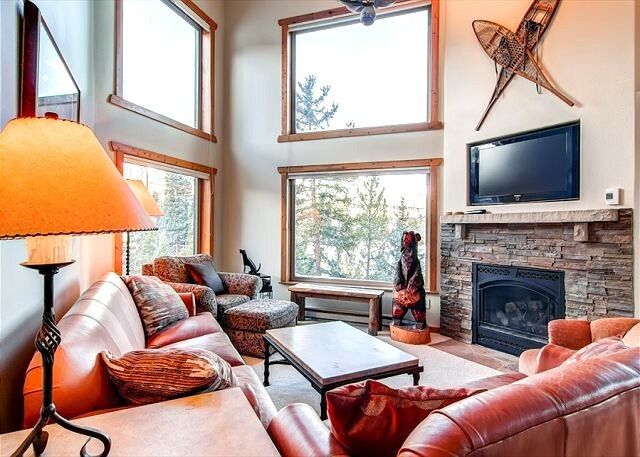 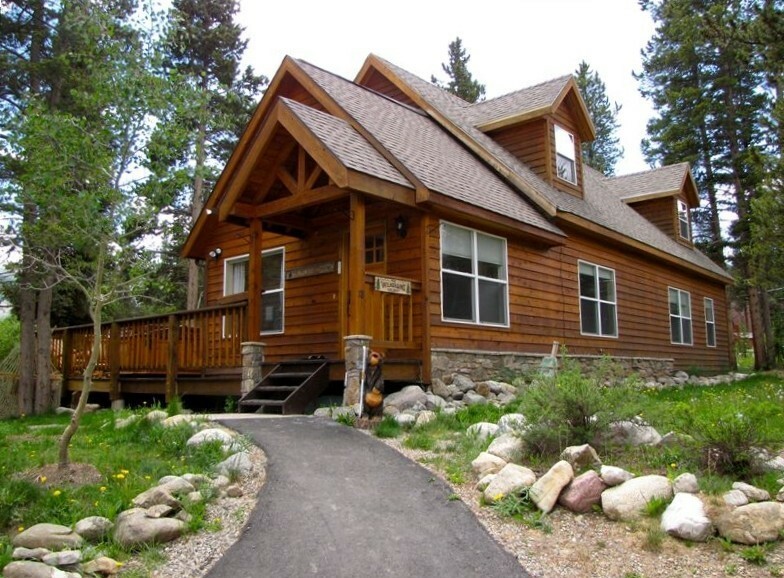 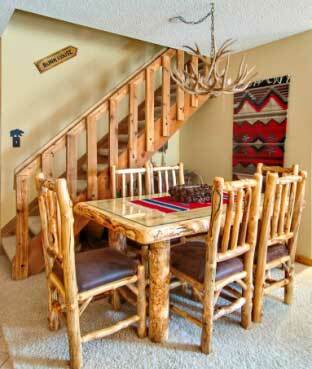 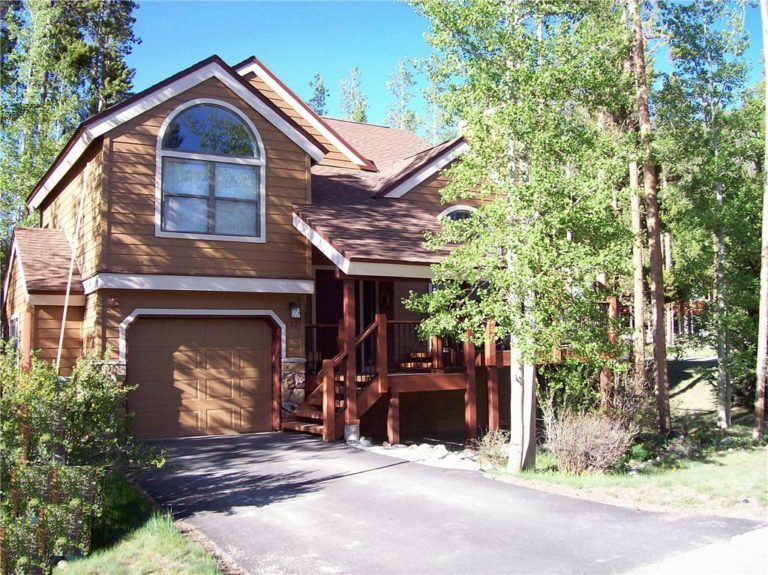 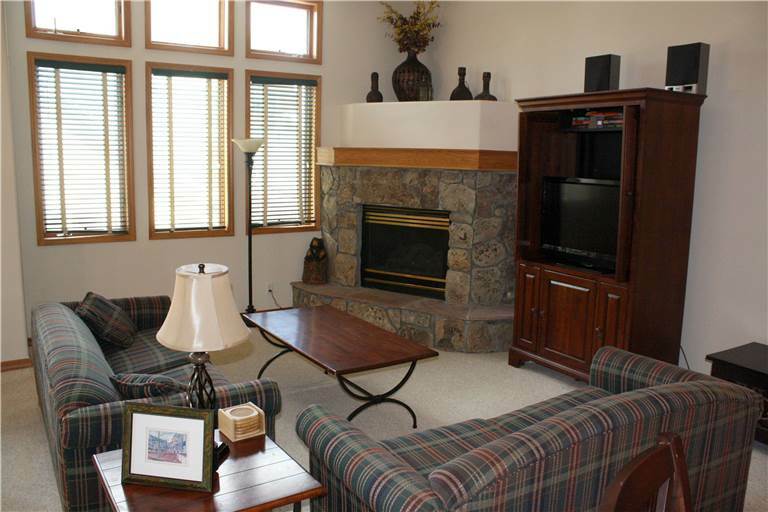 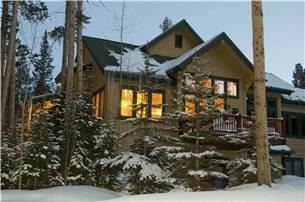 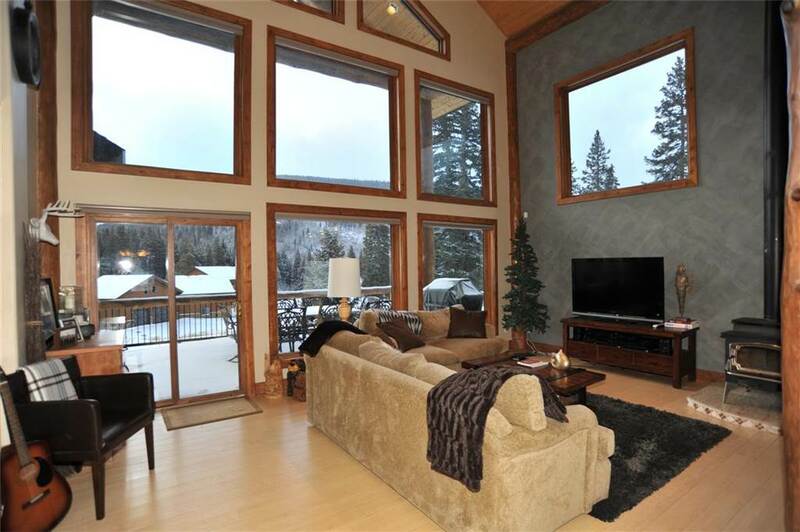 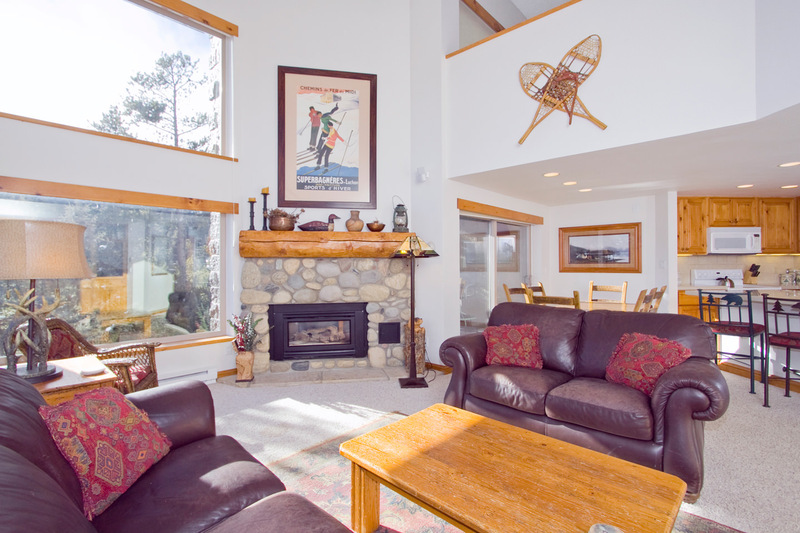 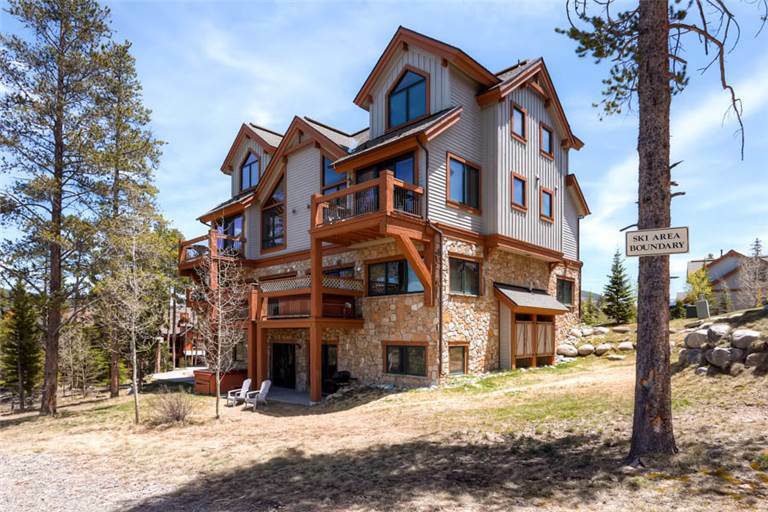 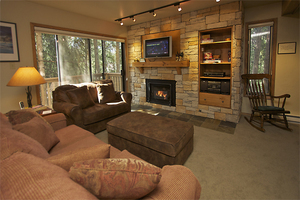 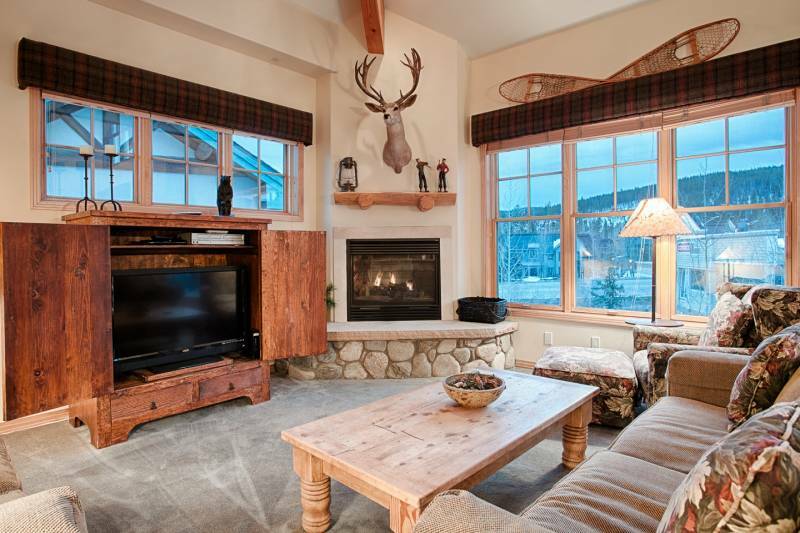 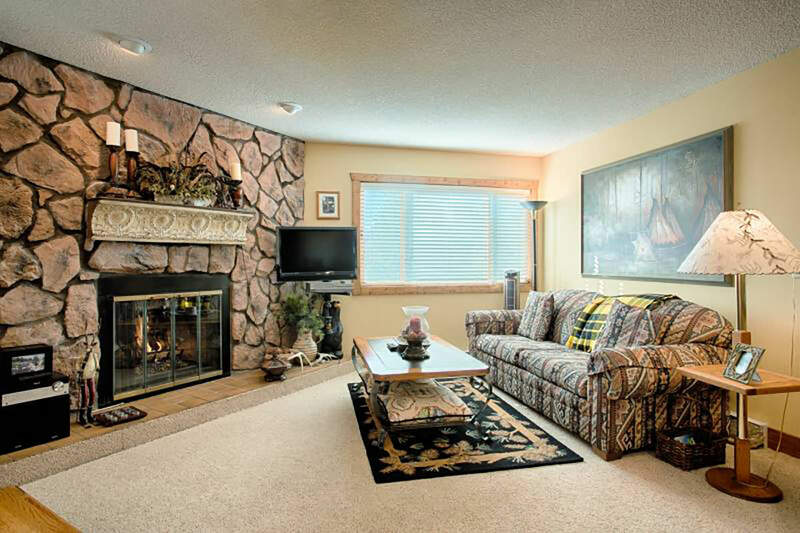 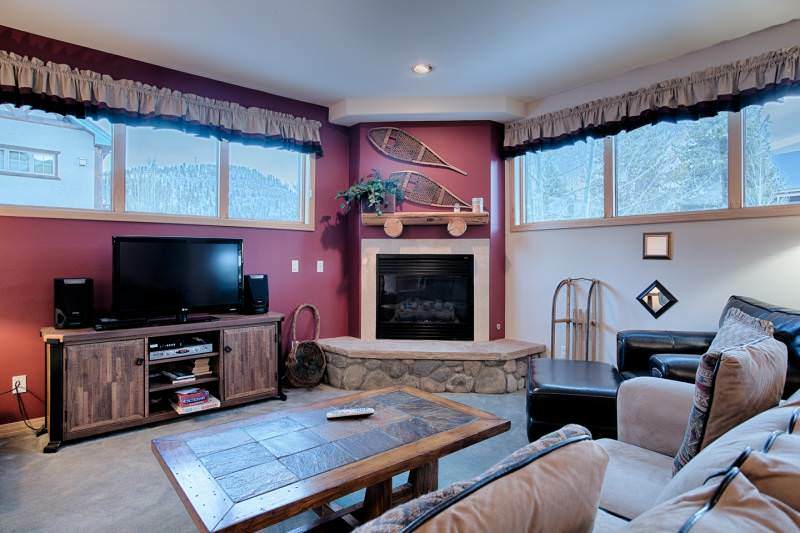 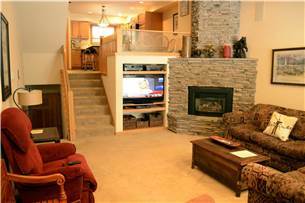 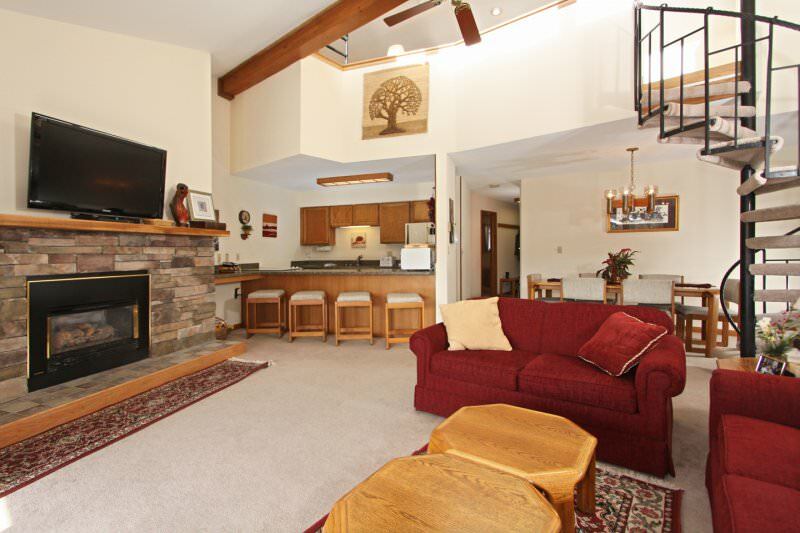 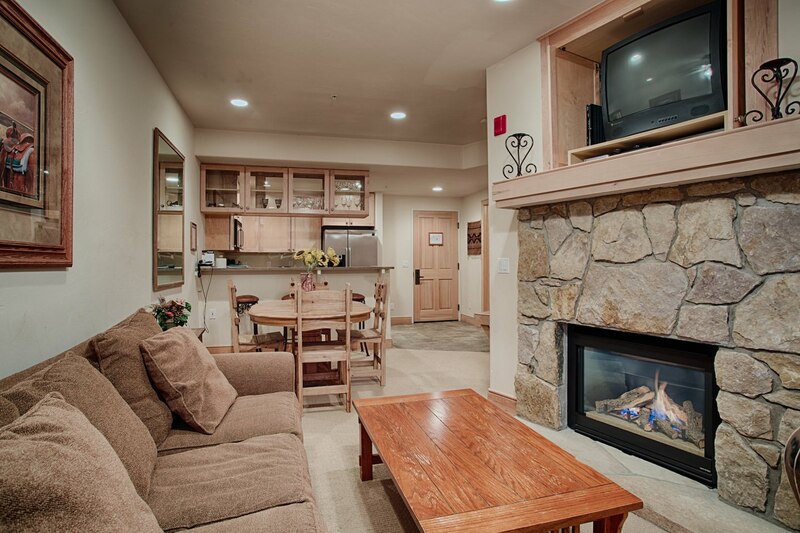 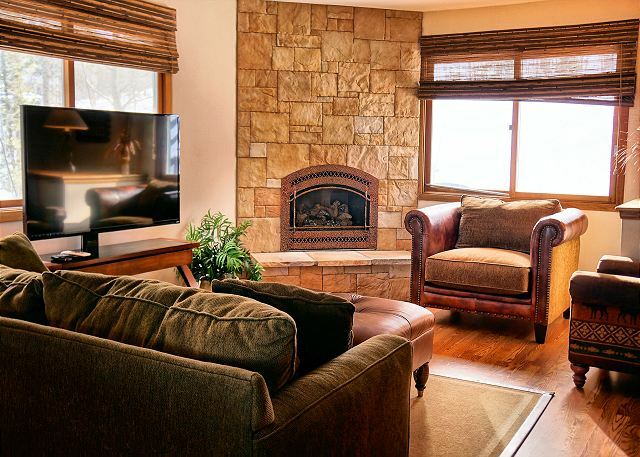 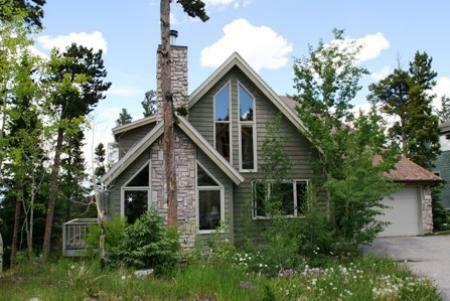 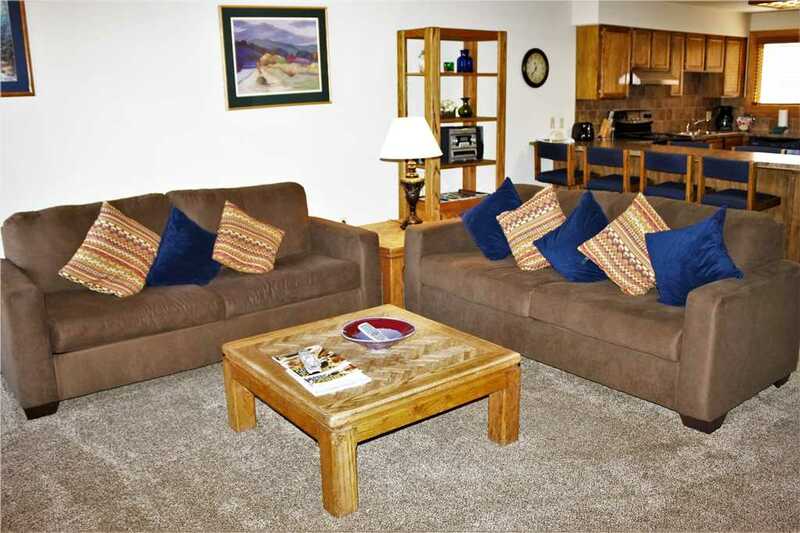 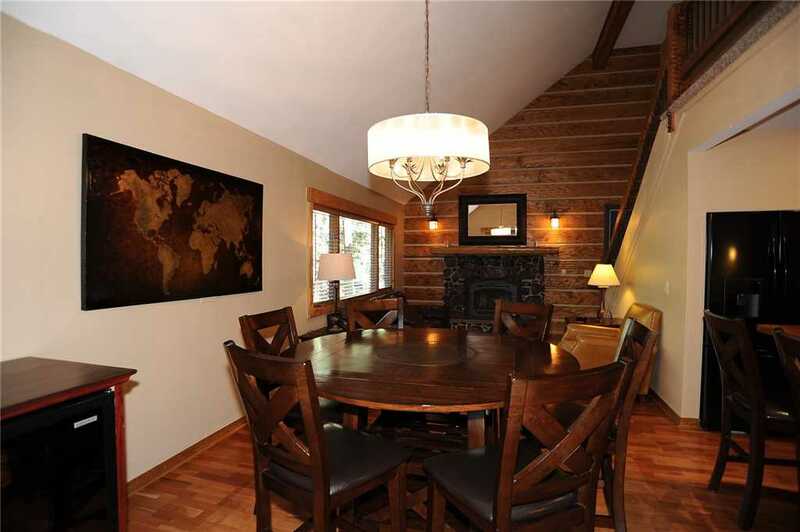 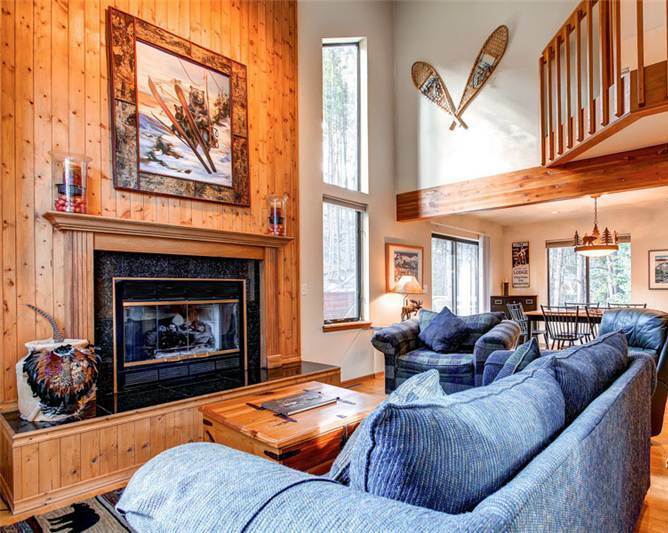 Spend your vacation in this beautiful 7th-floor 3-bedroom, 3-bathroom Penthouse on the edge of Lake Dillon. 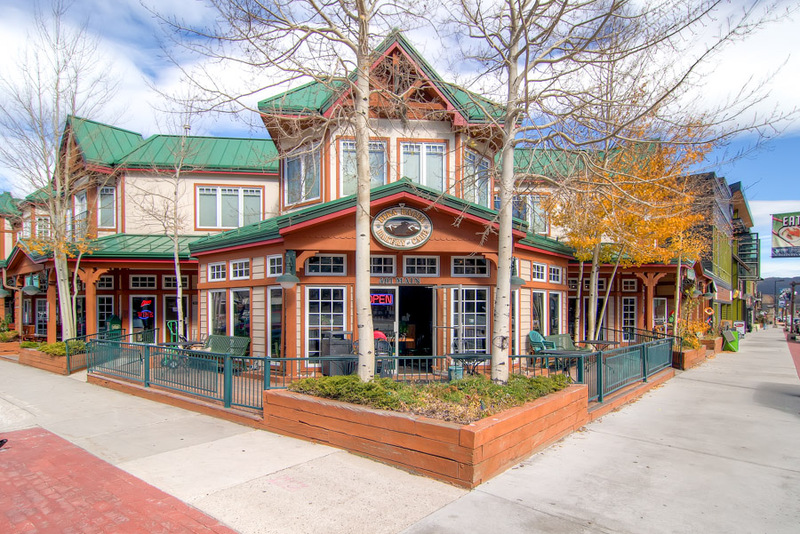 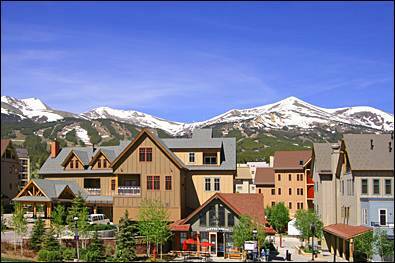 It’s a short one-block walk to the bus stop to access all of Summit County’s great ski areas — and in the summer, you’re right on the bike path! 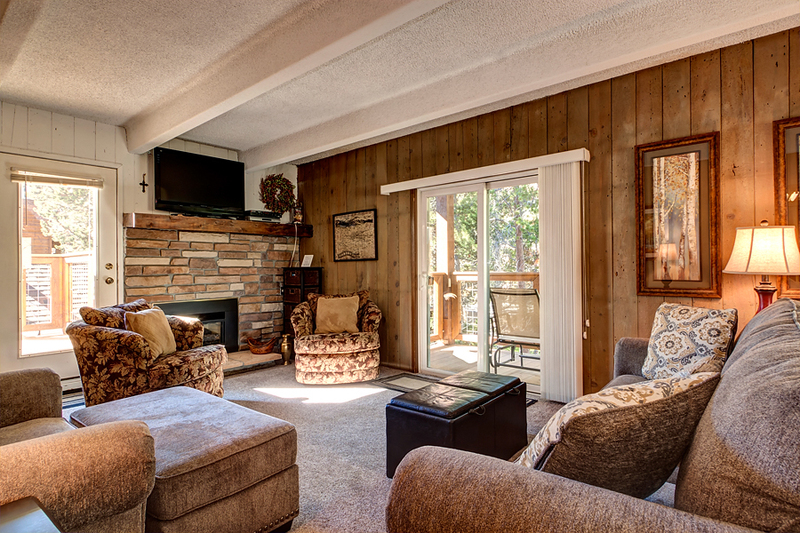 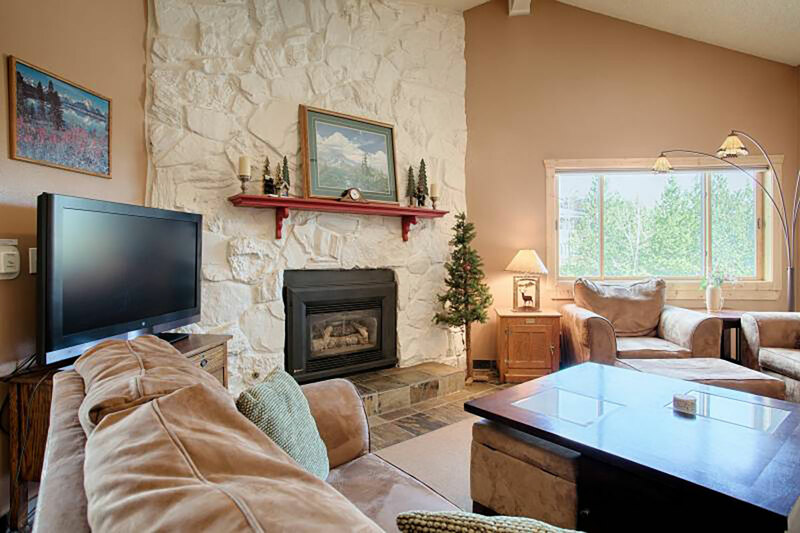 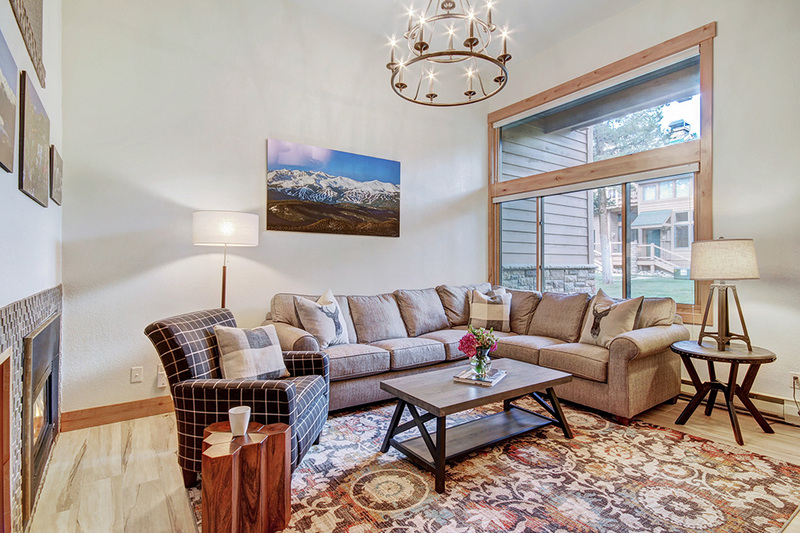 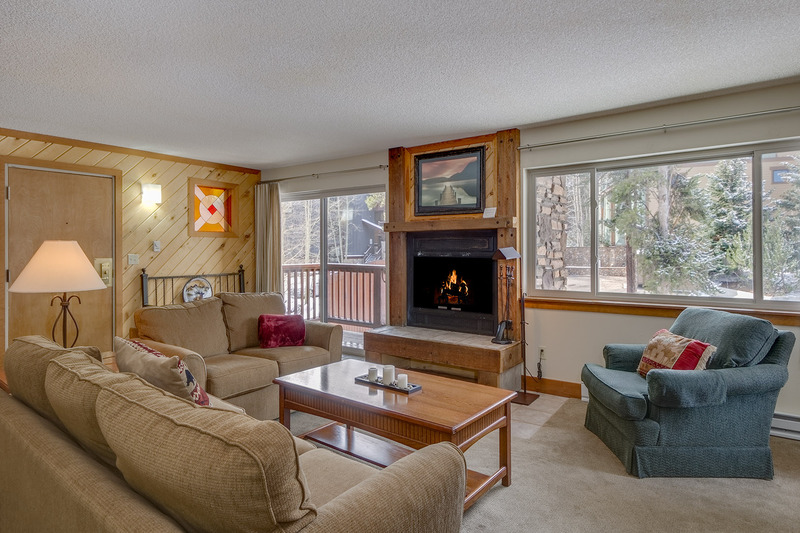 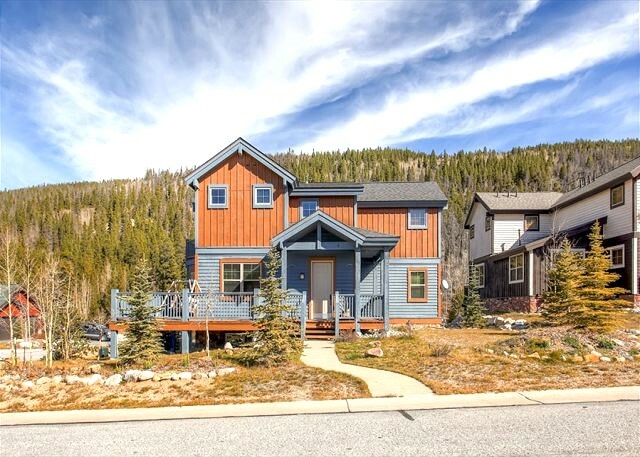 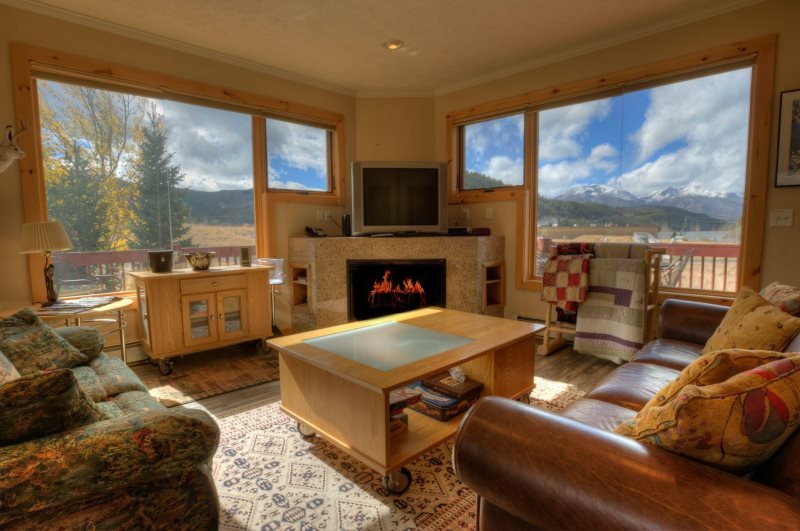 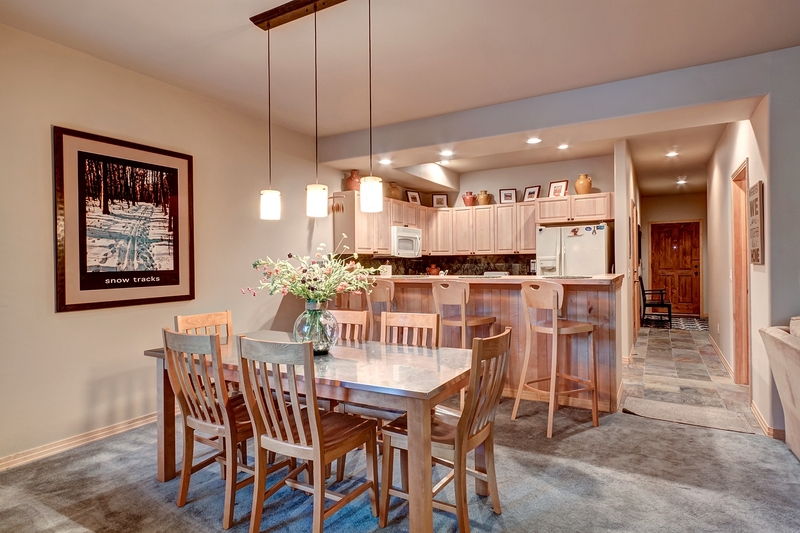 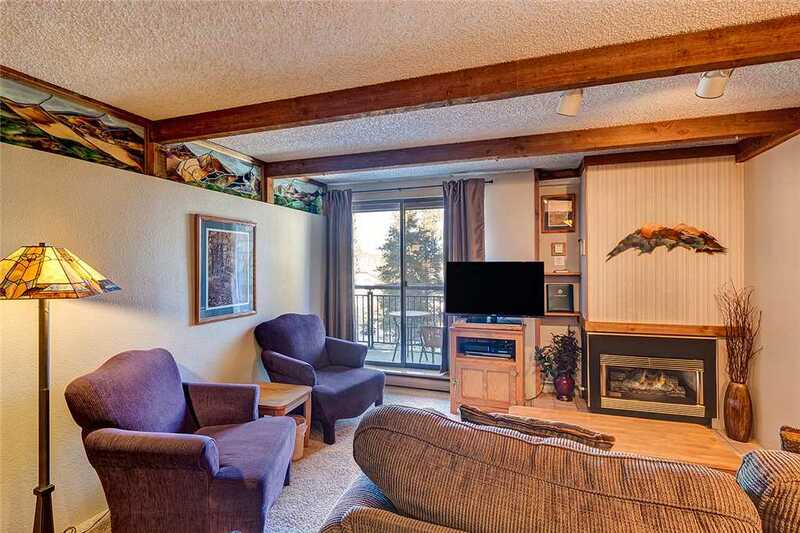 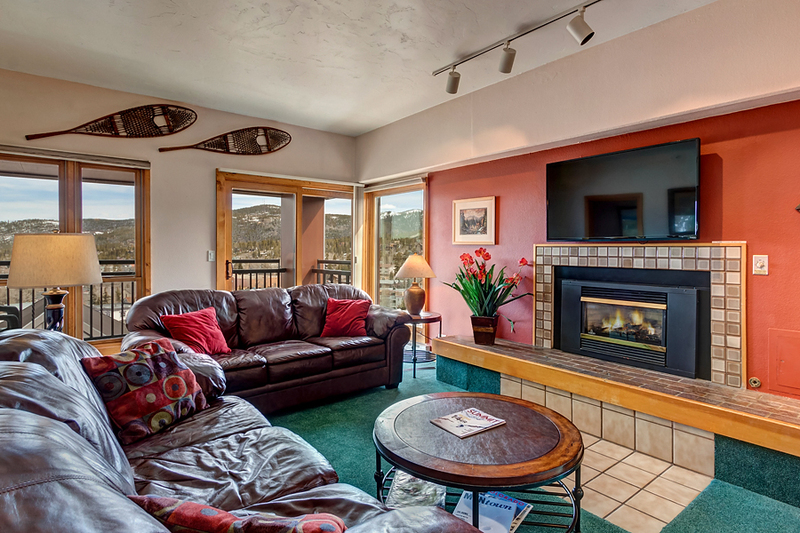 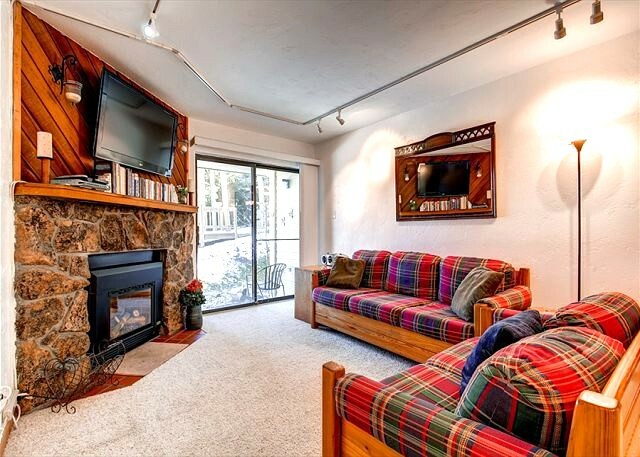 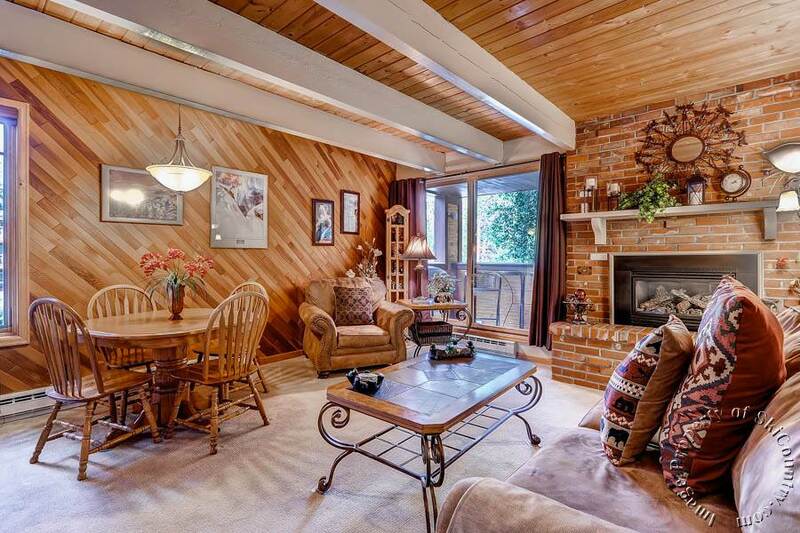 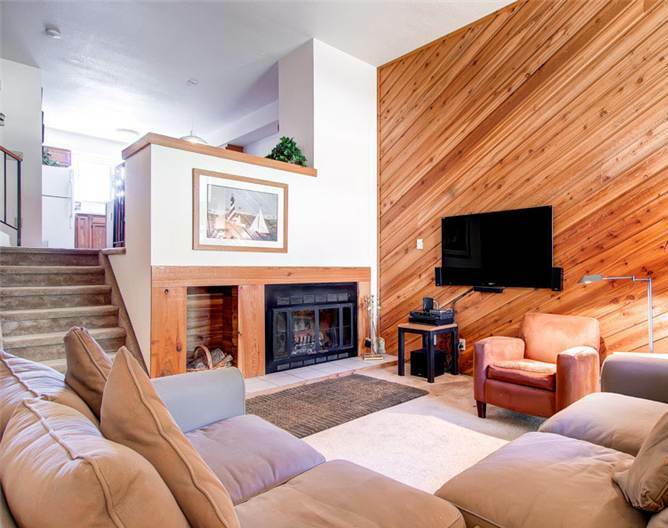 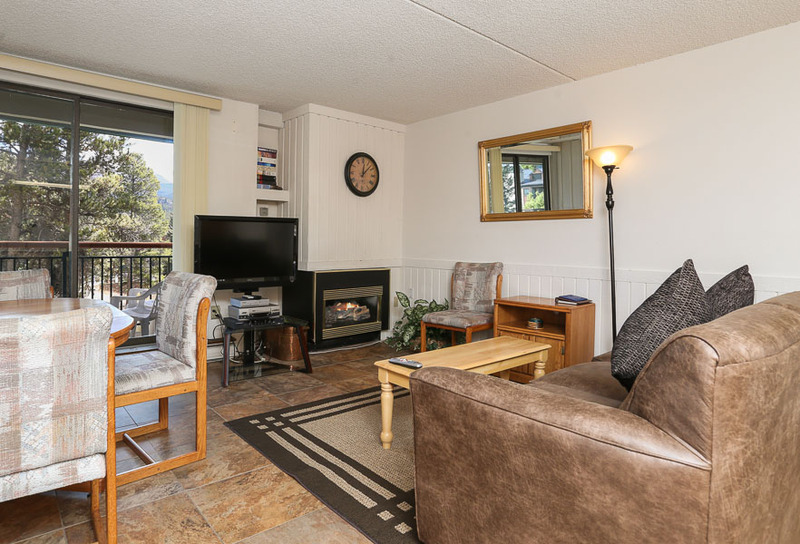 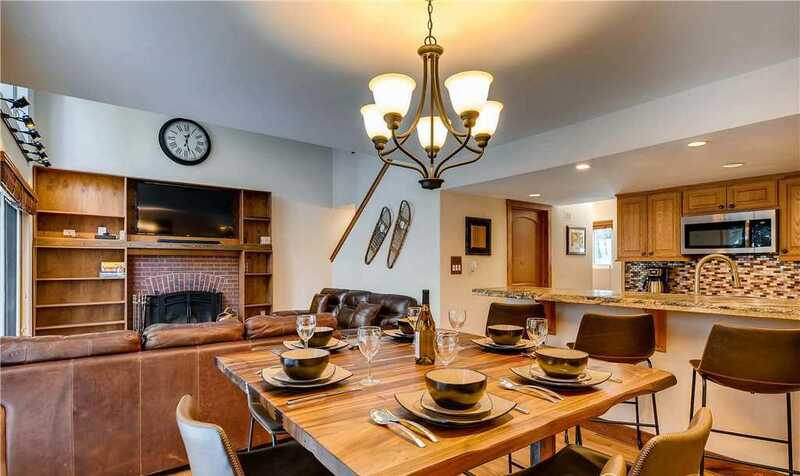 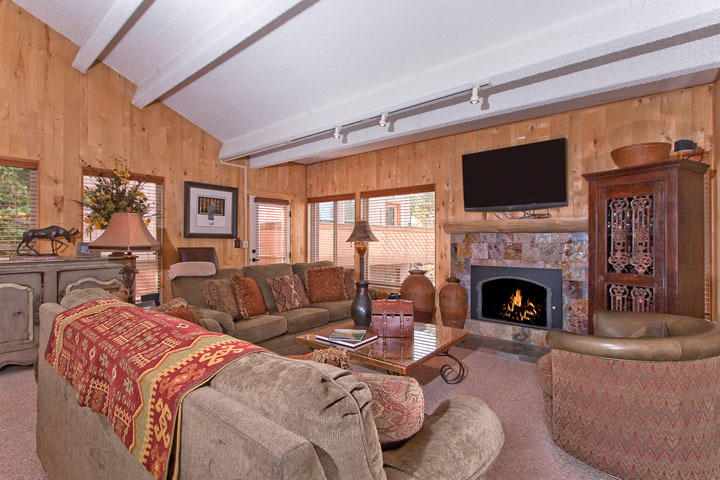 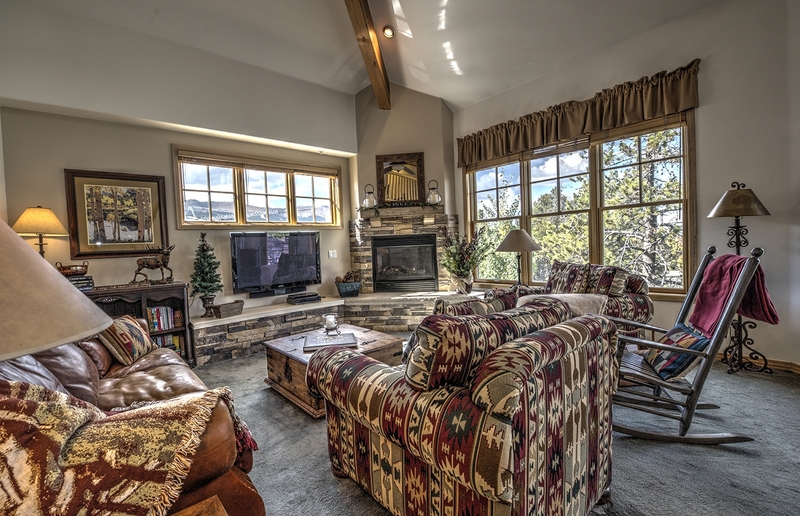 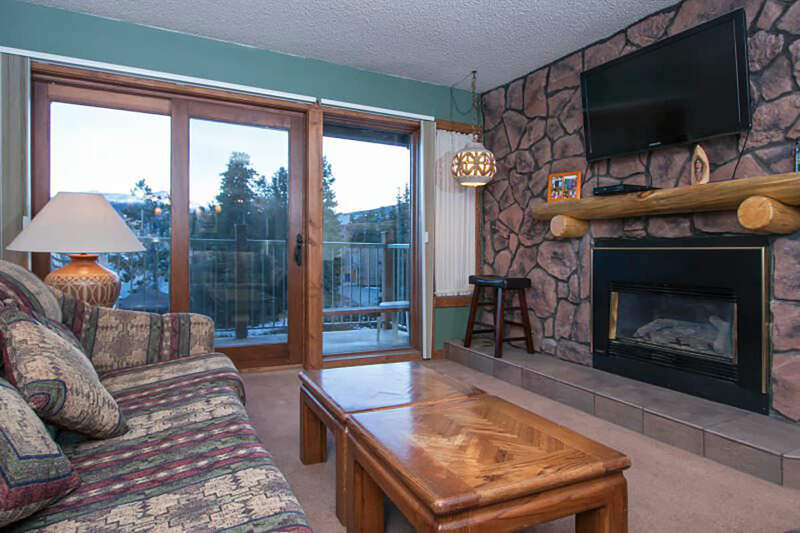 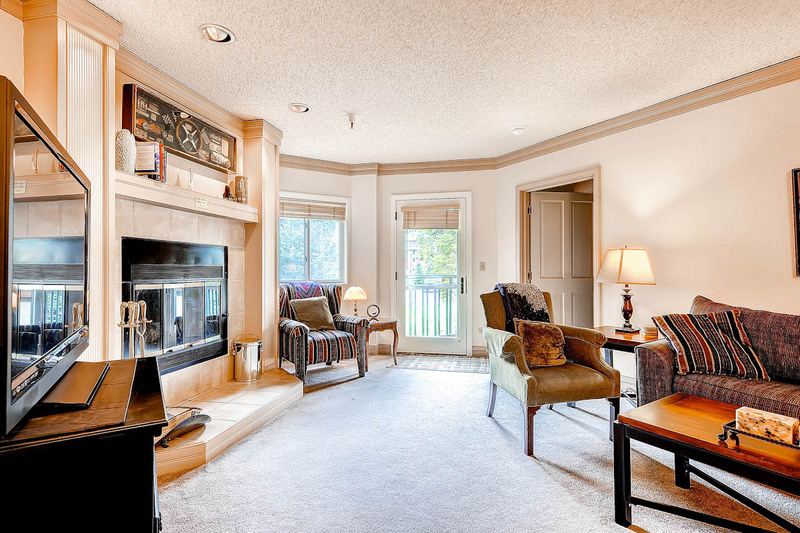 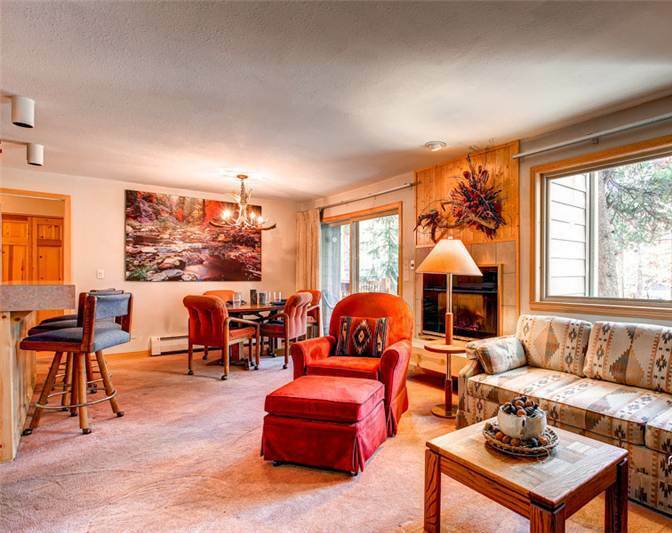 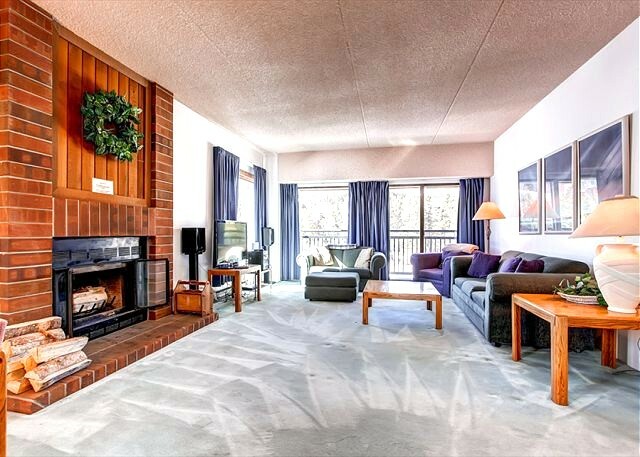 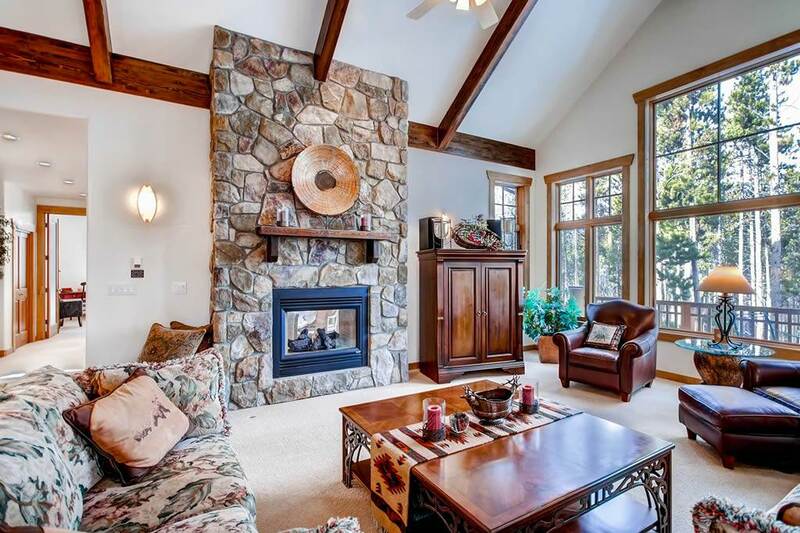 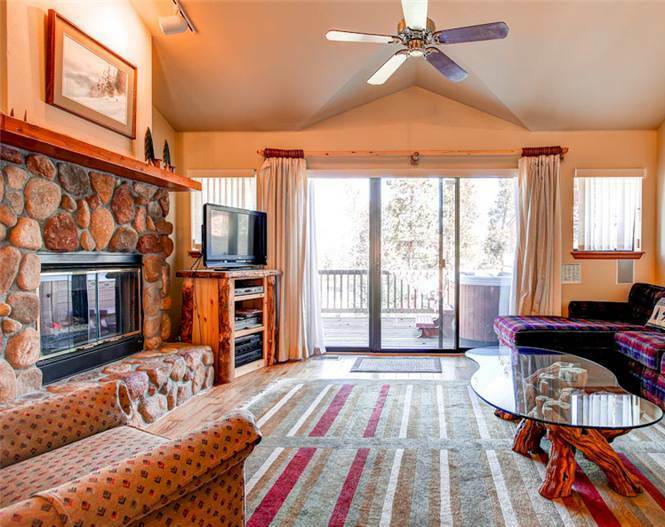 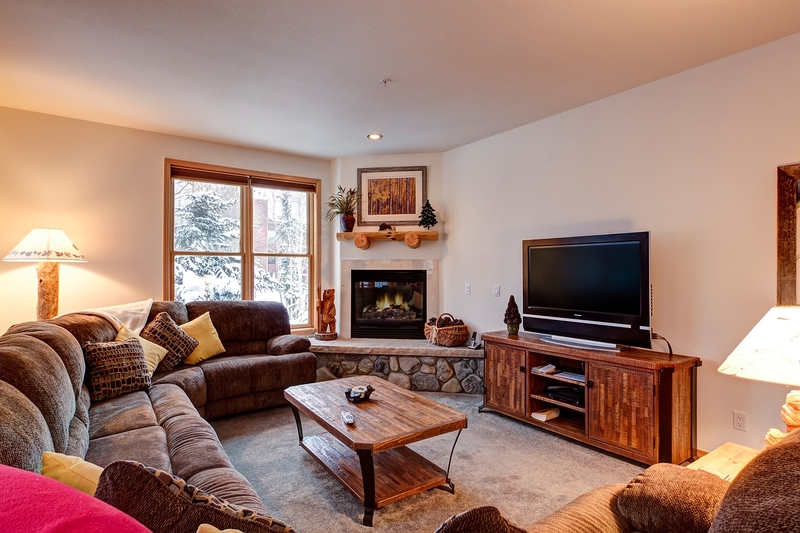 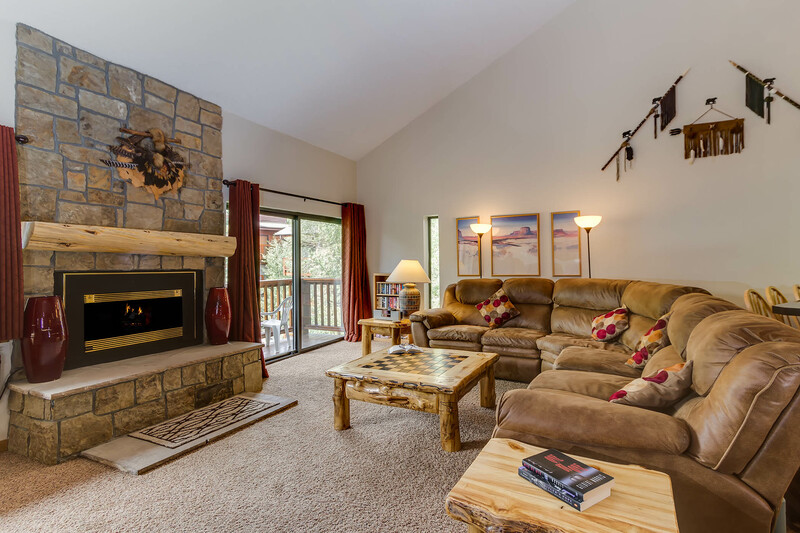 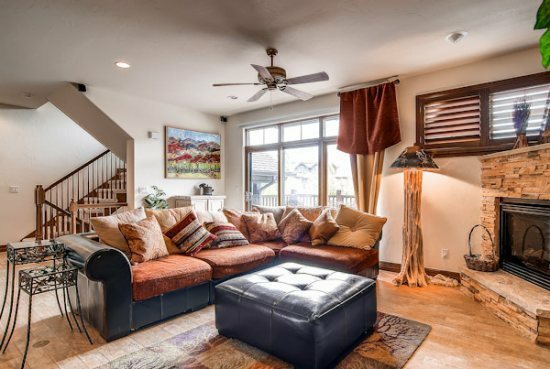 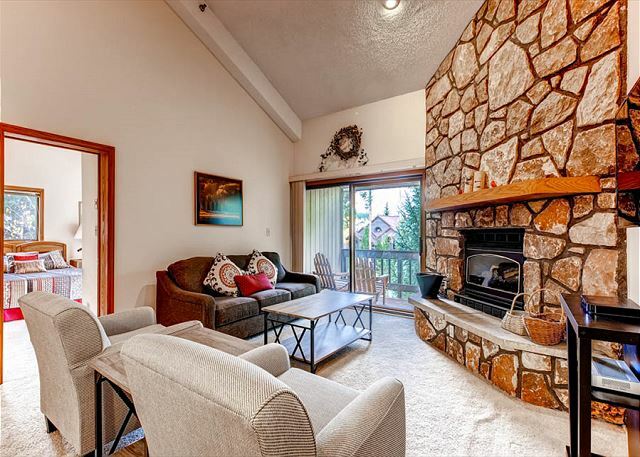 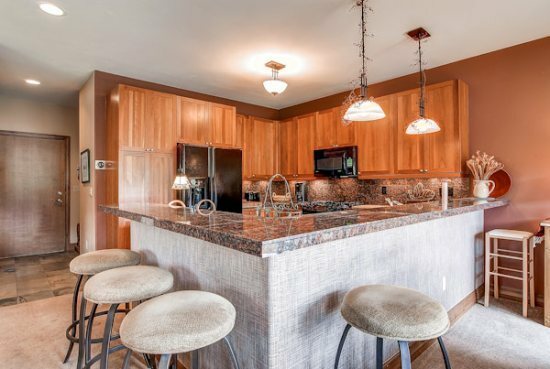 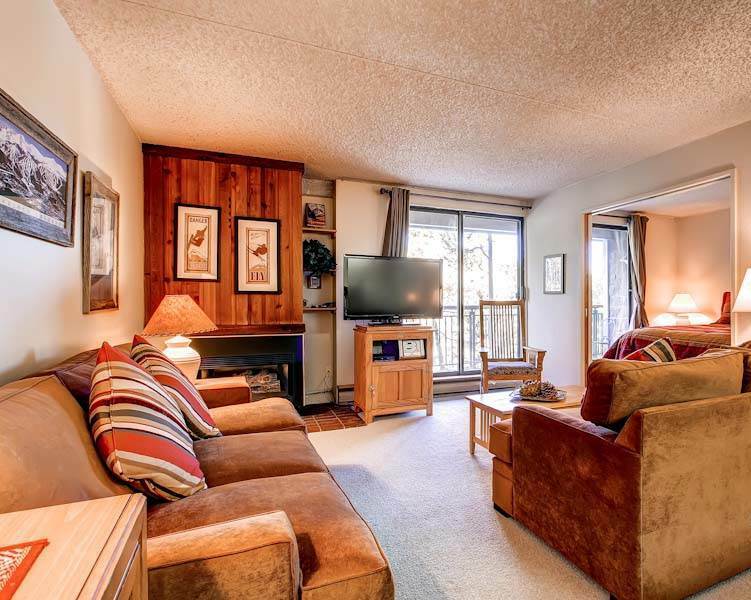 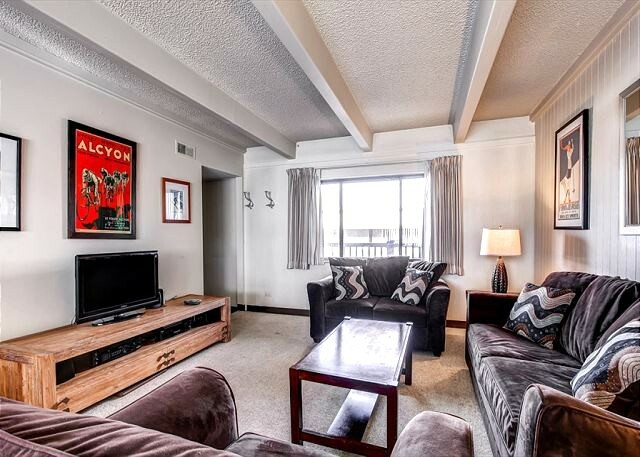 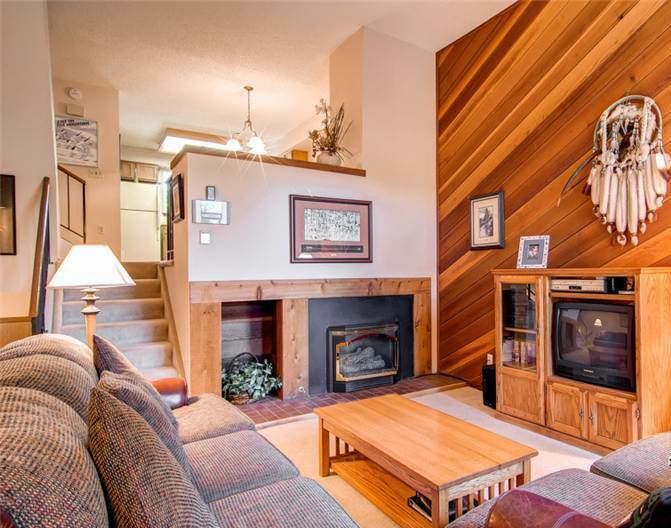 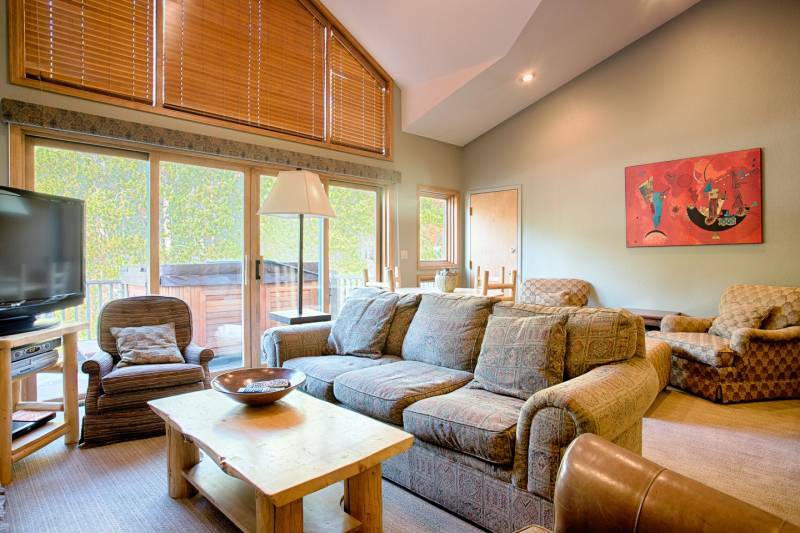 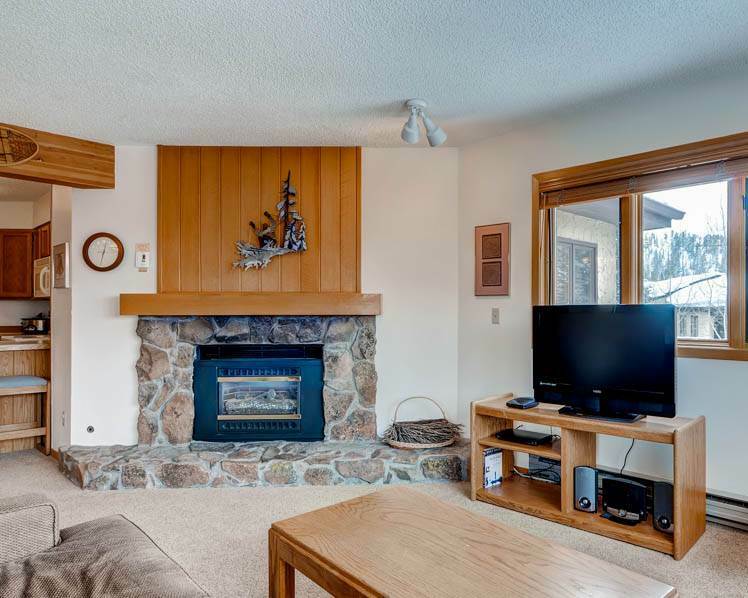 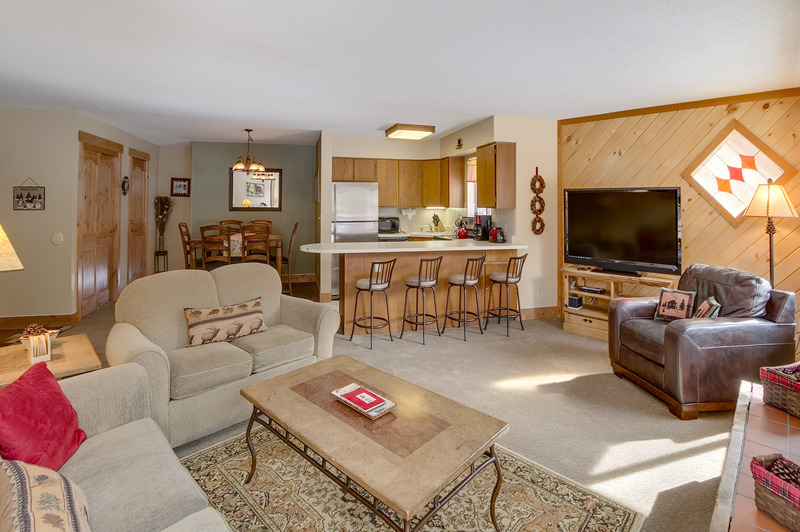 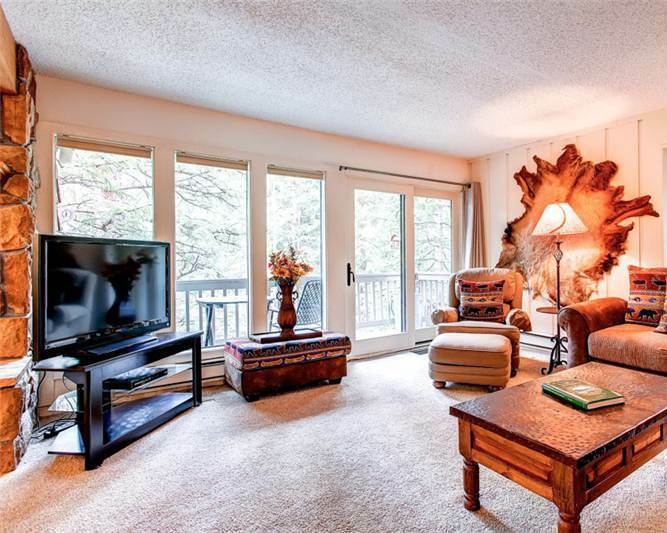 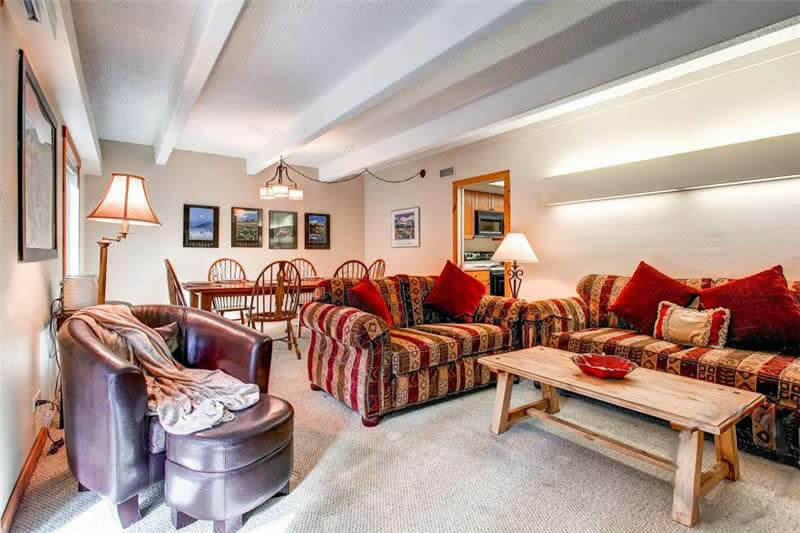 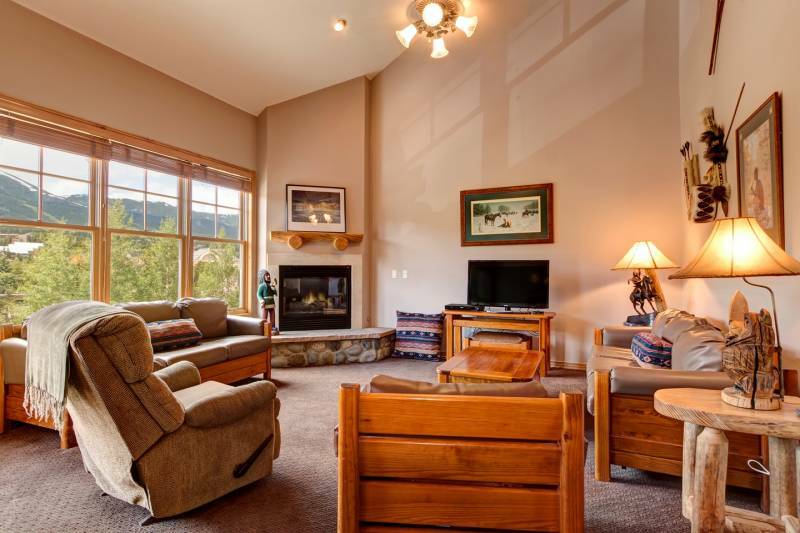 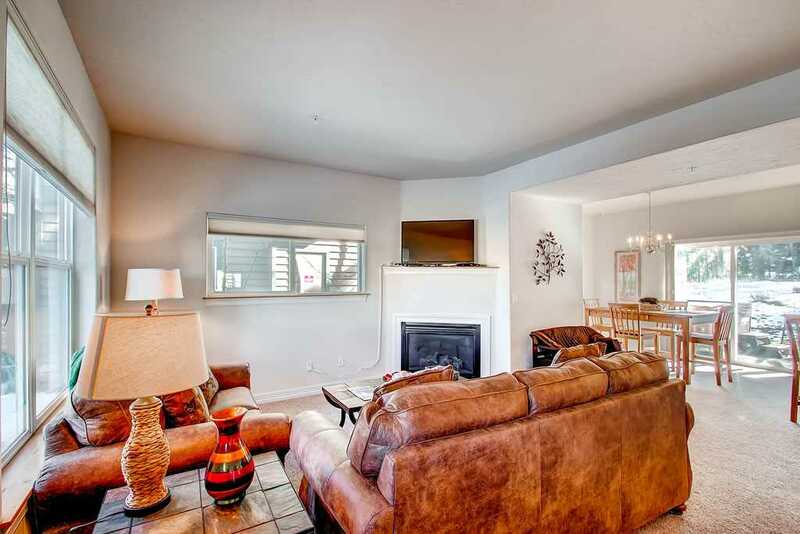 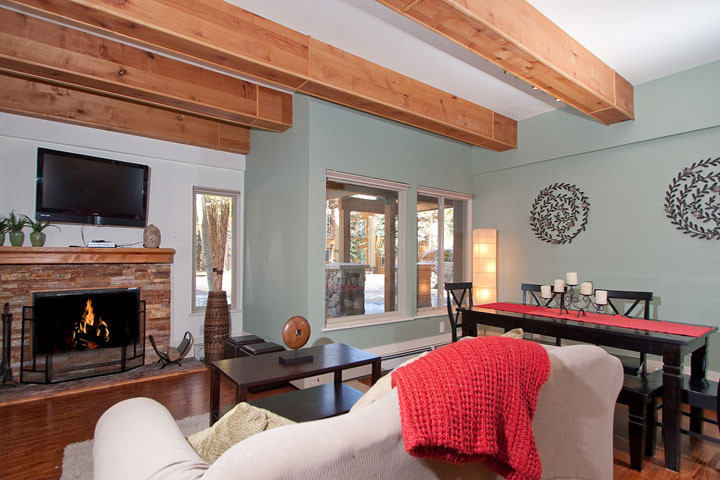 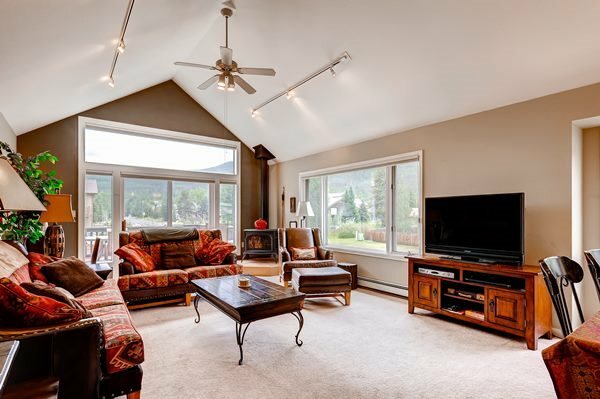 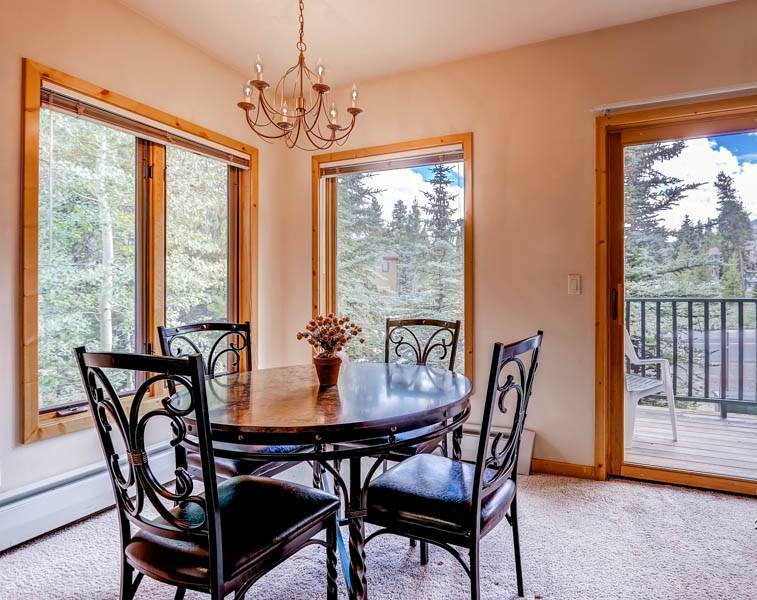 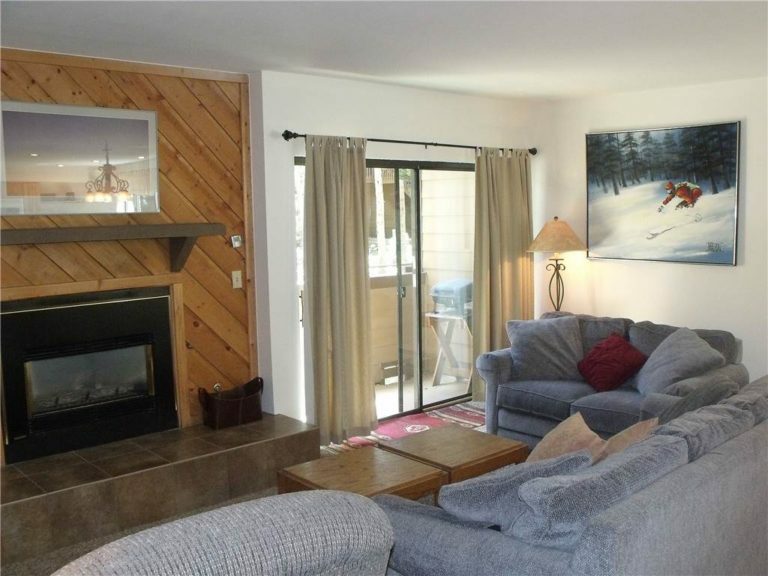 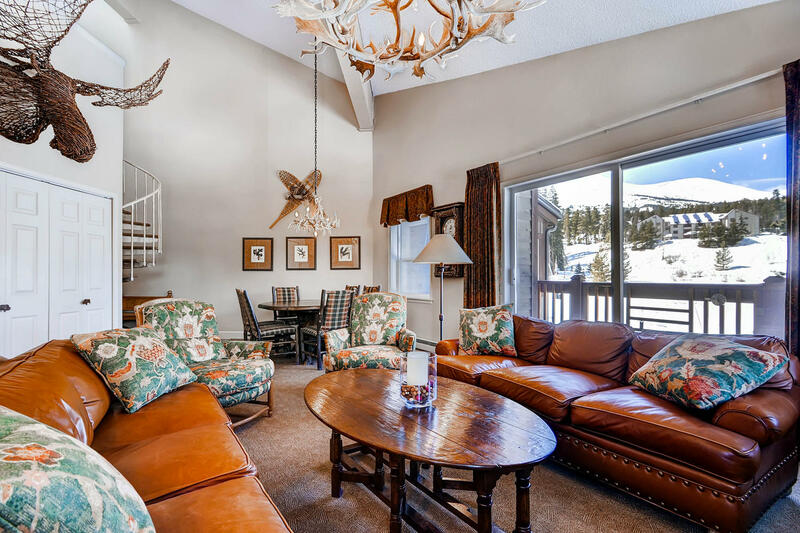 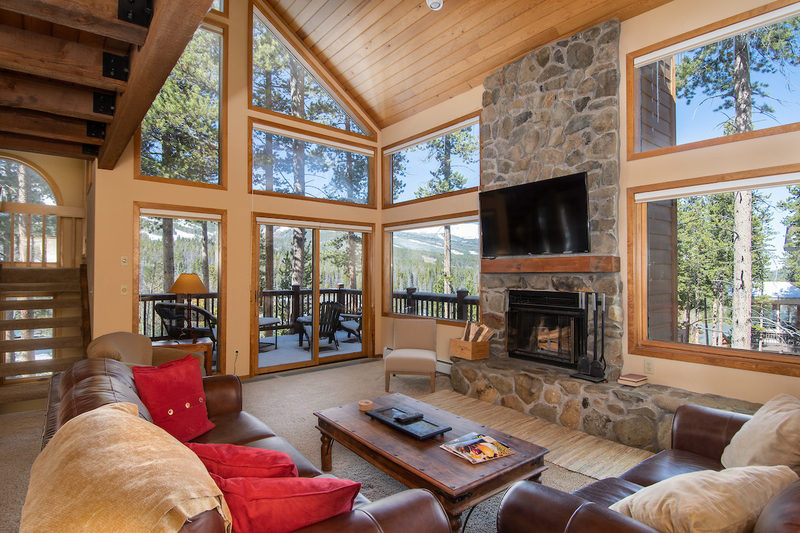 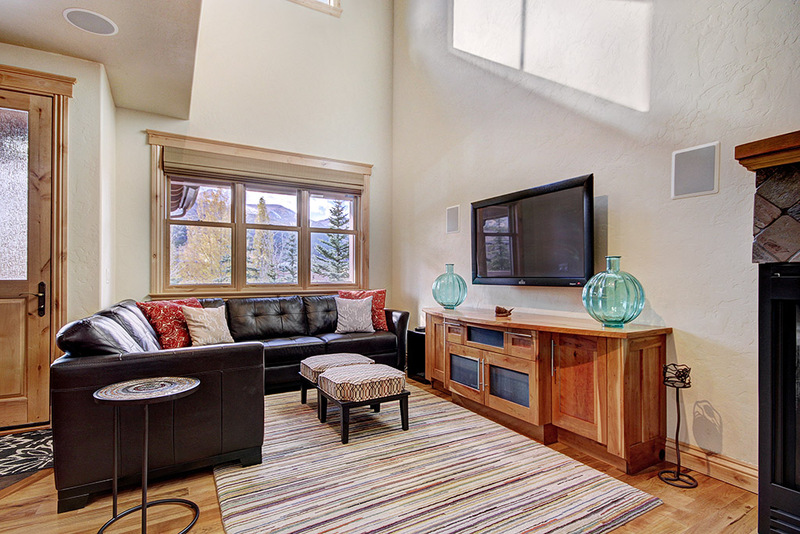 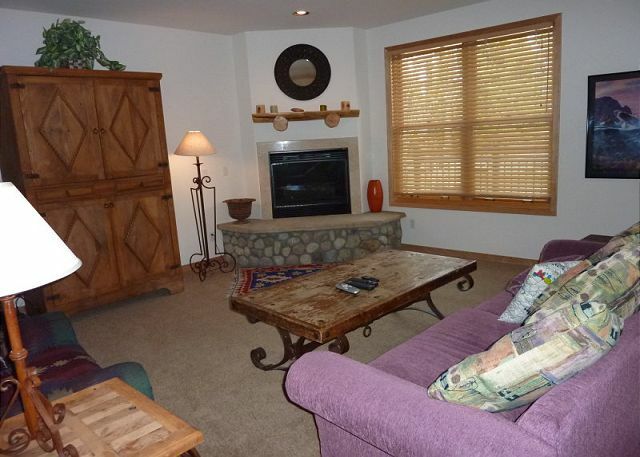 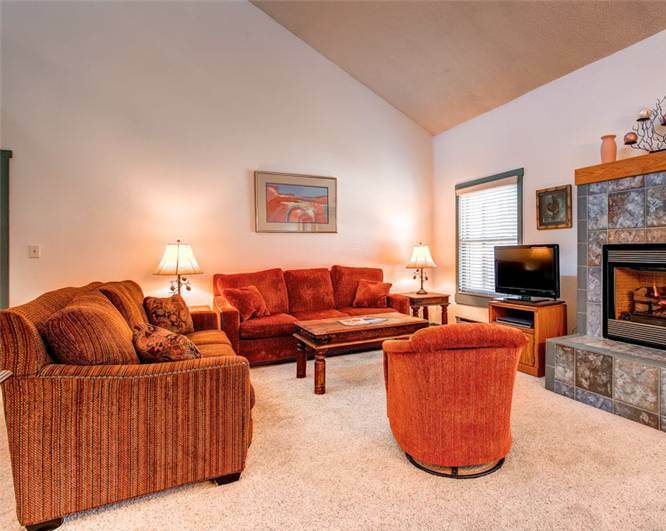 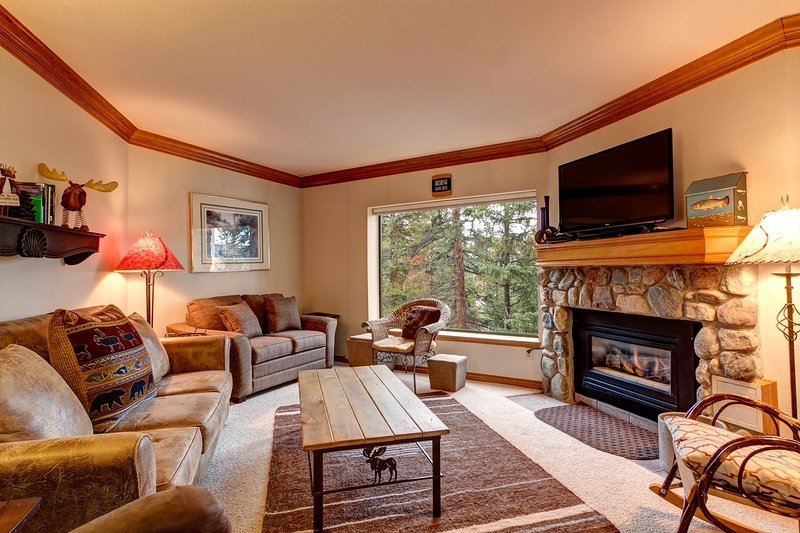 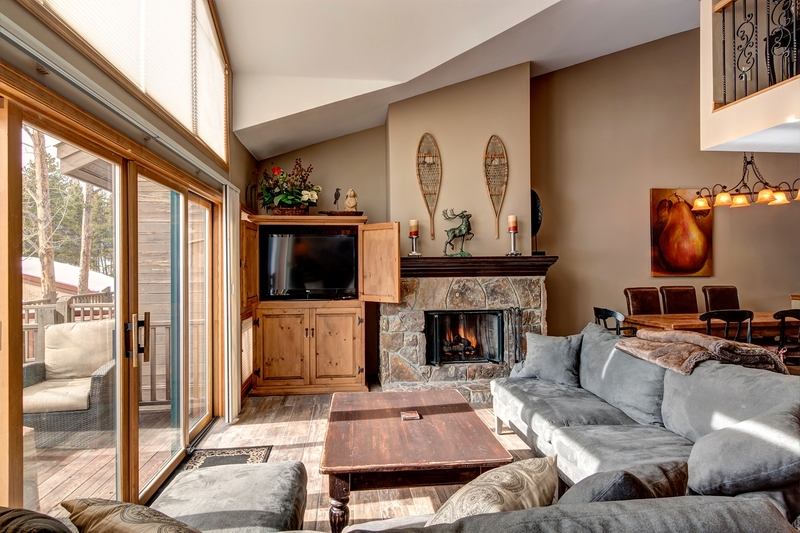 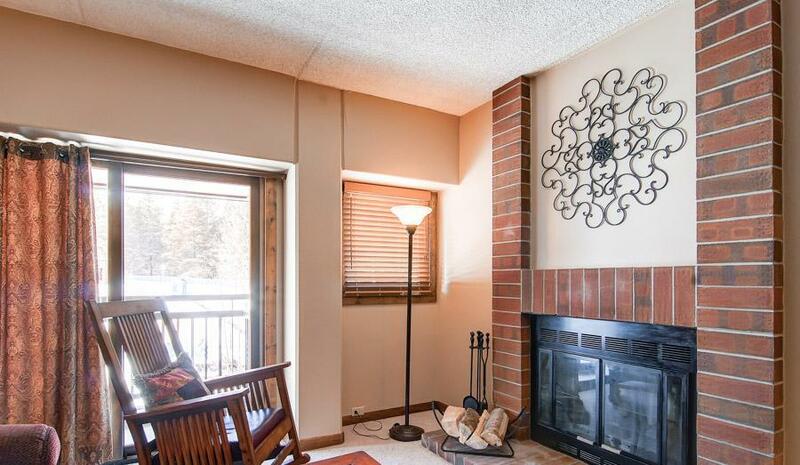 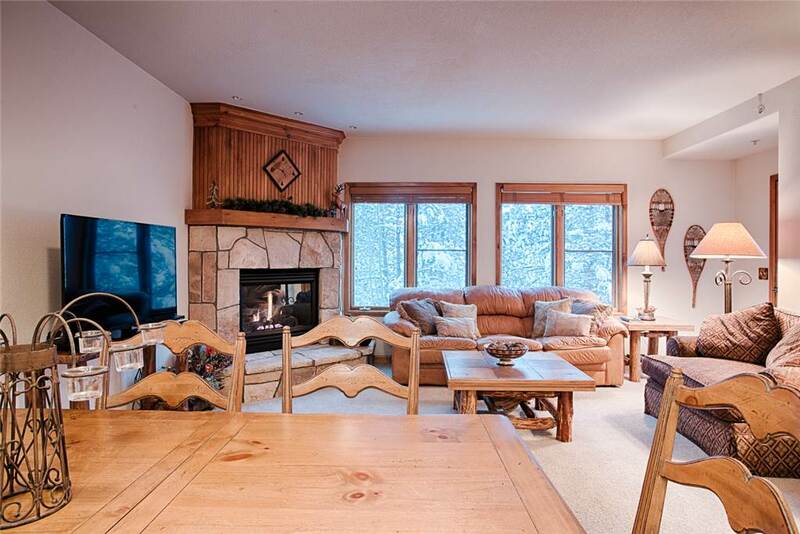 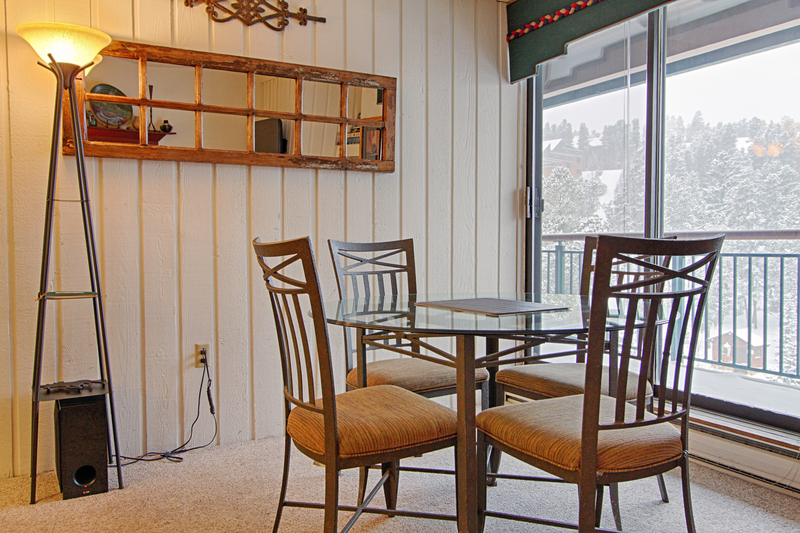 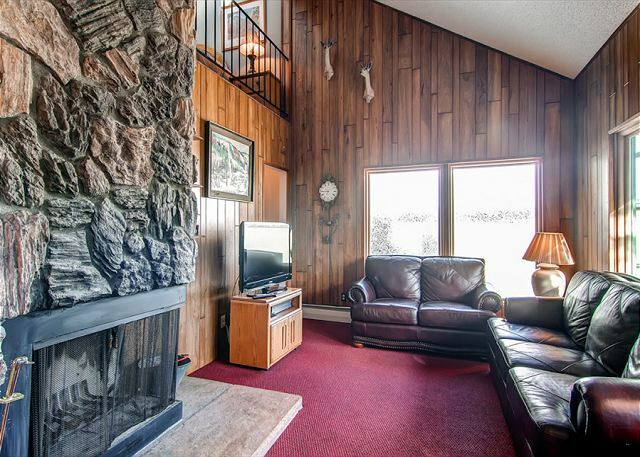 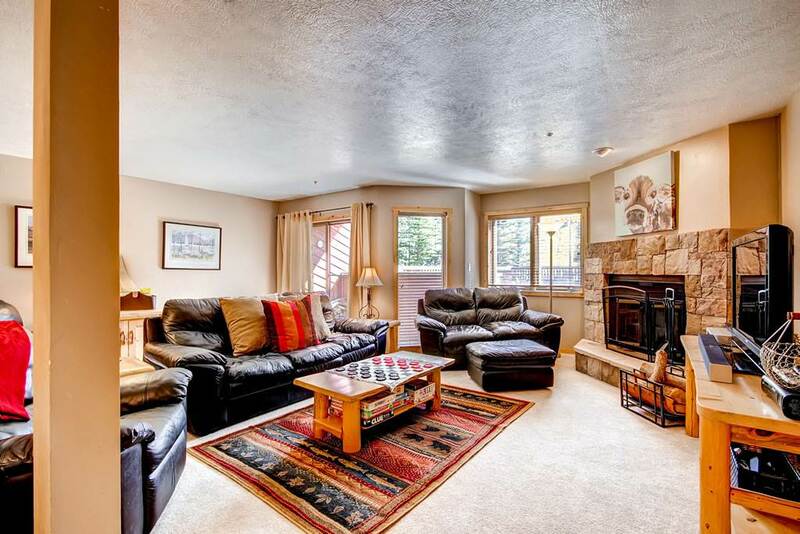 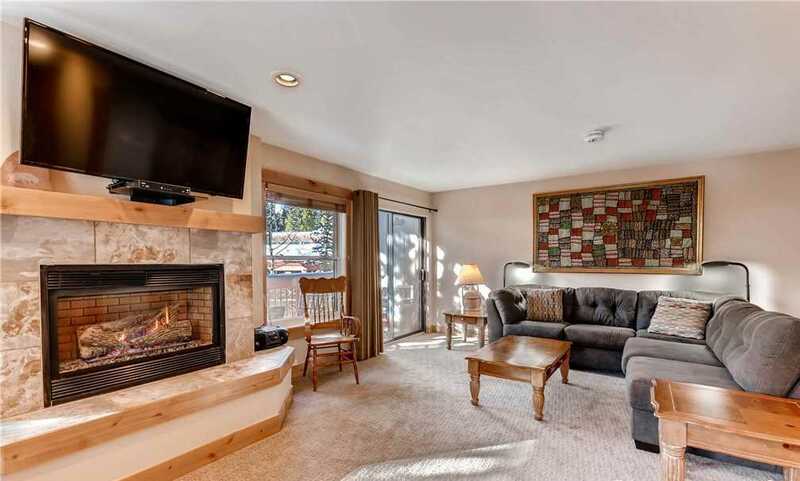 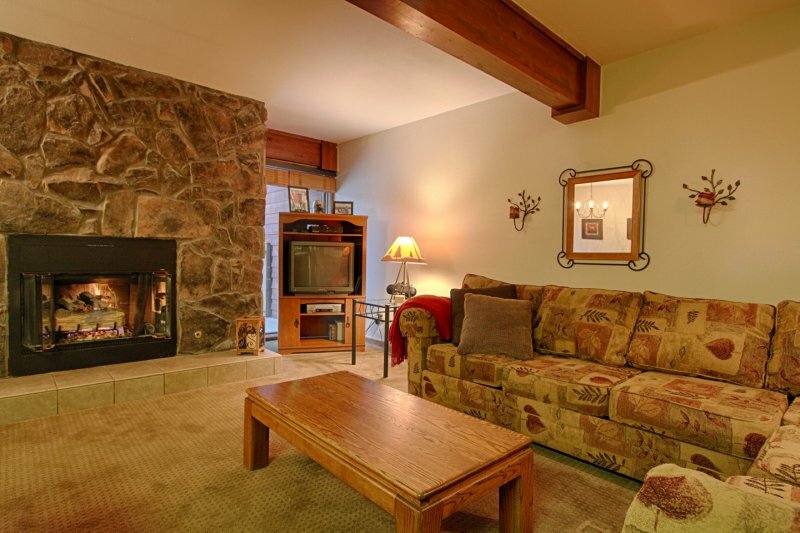 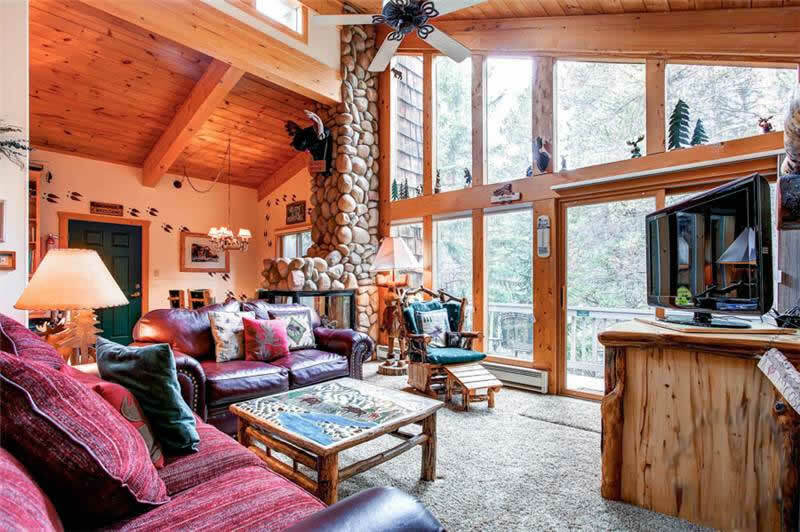 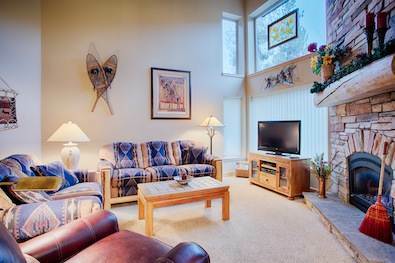 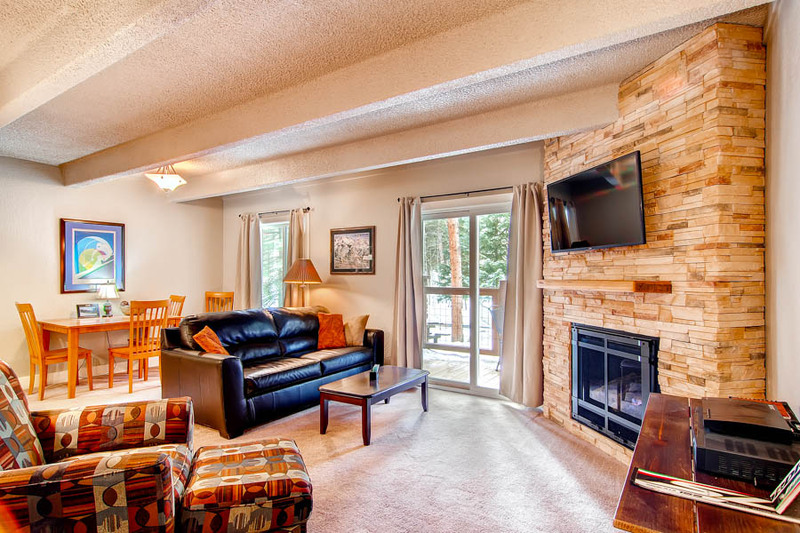 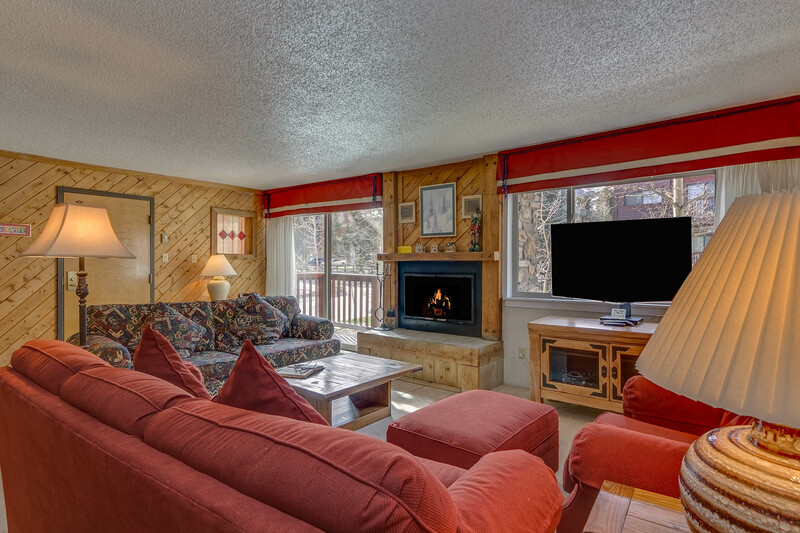 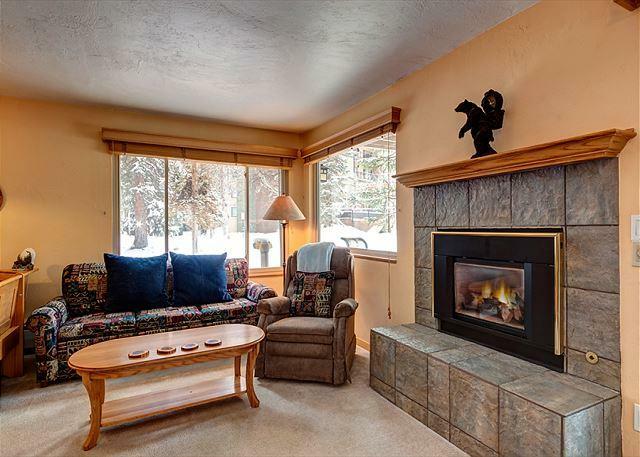 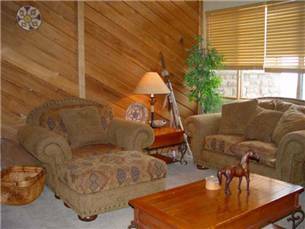 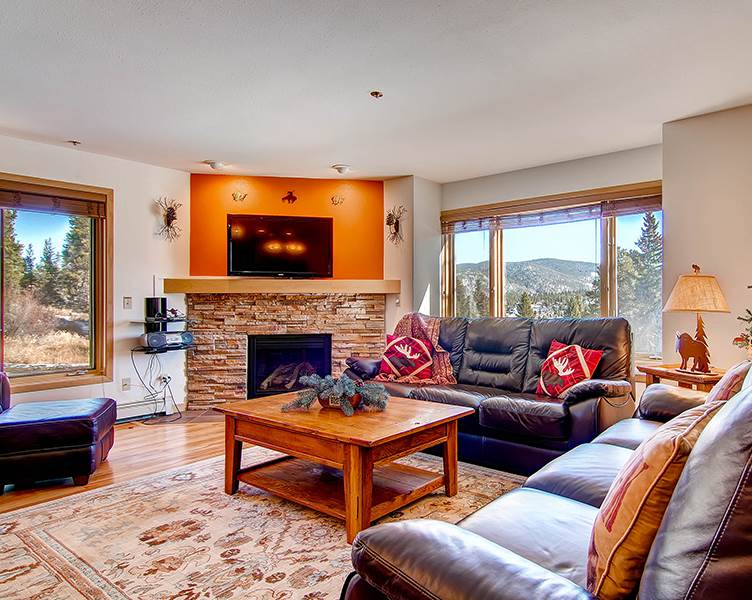 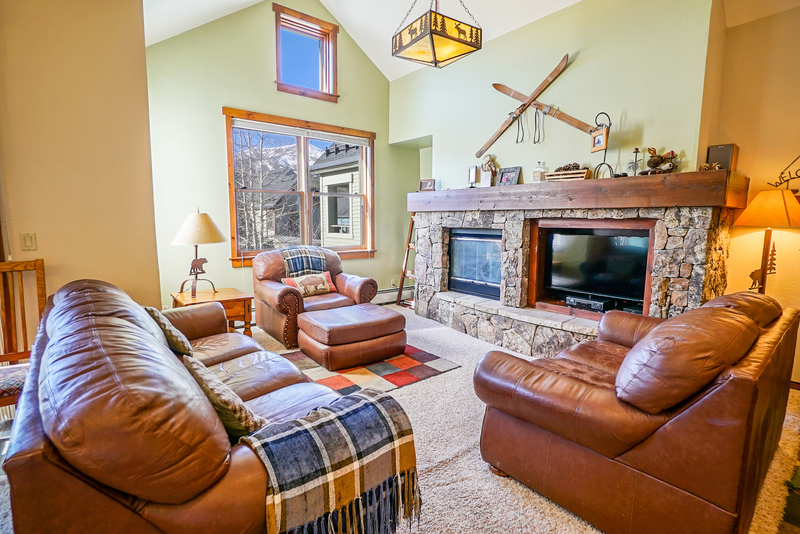 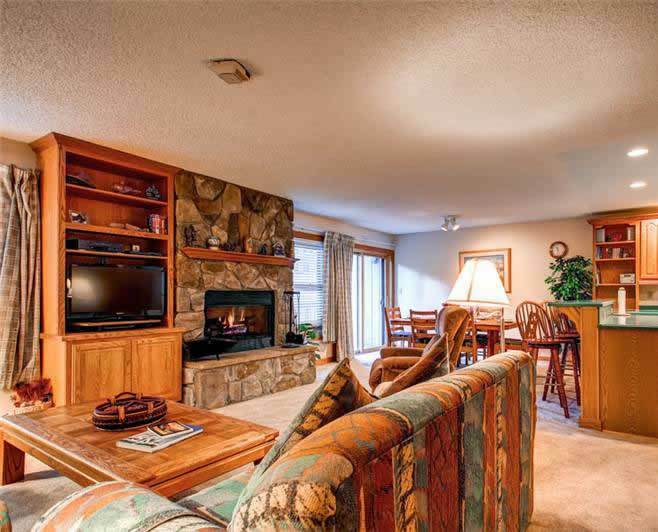 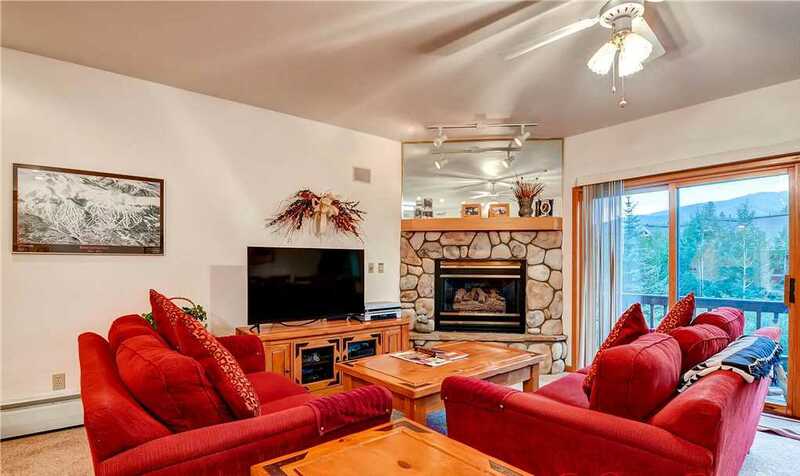 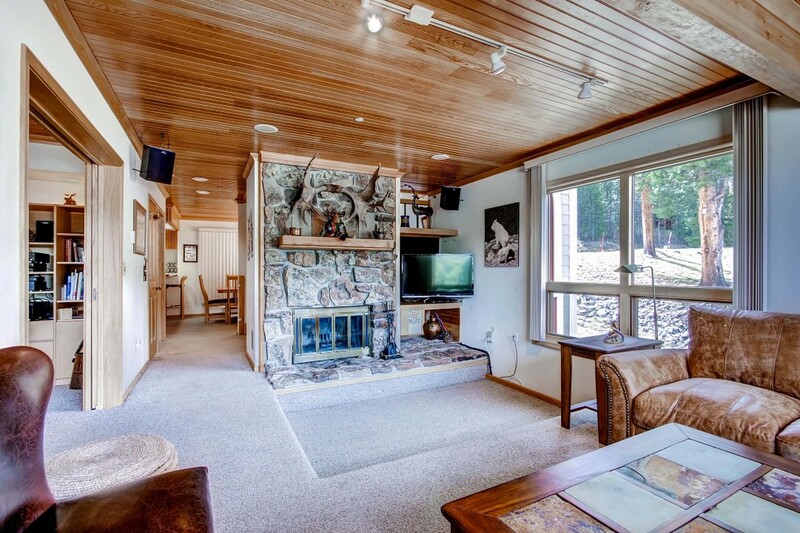 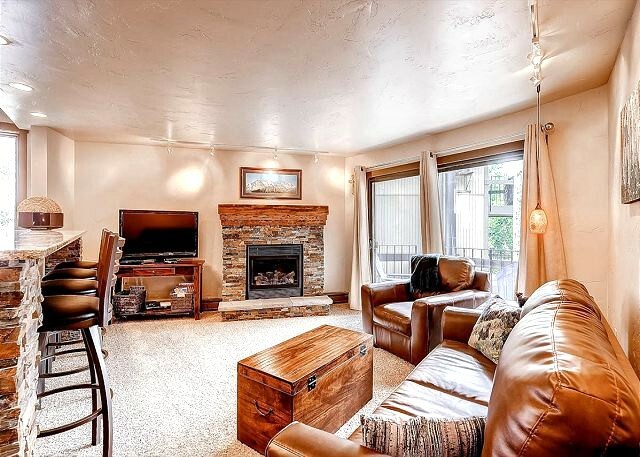 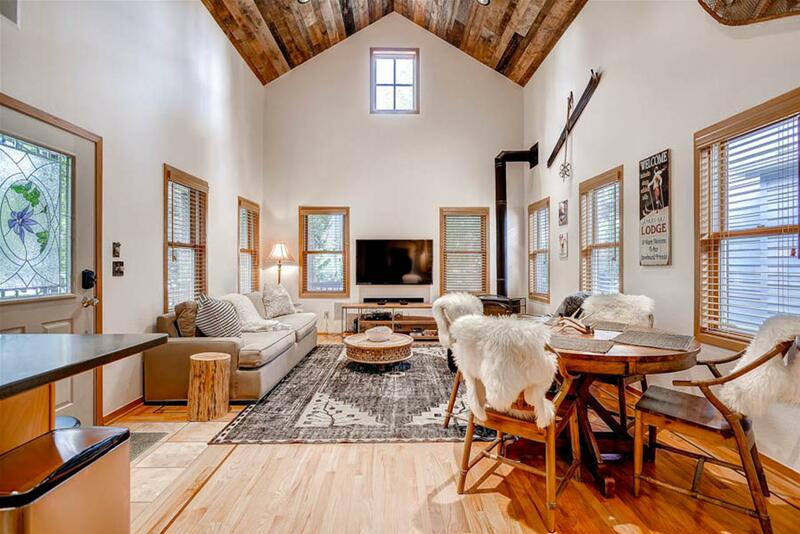 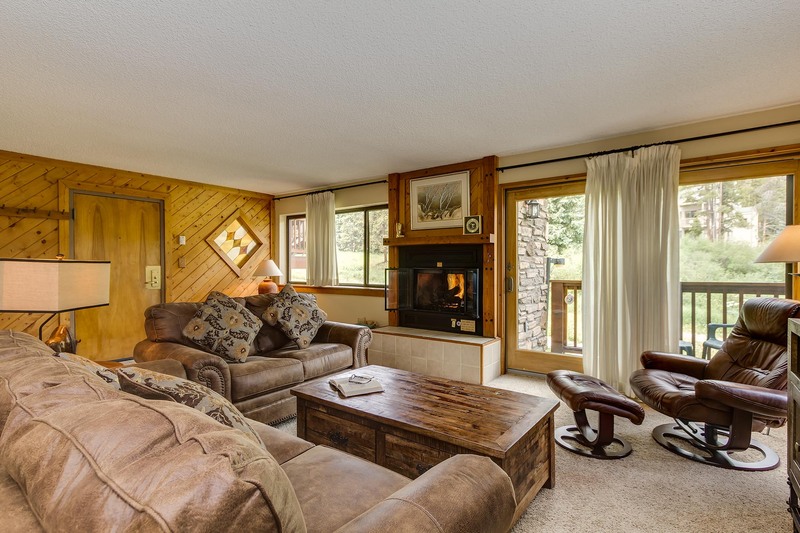 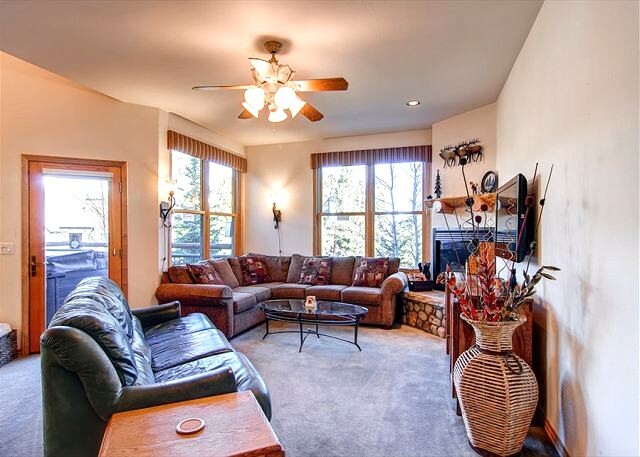 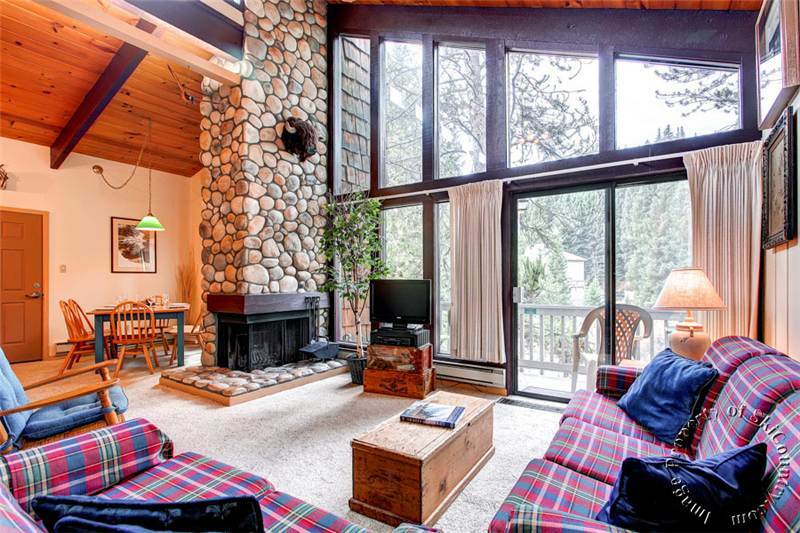 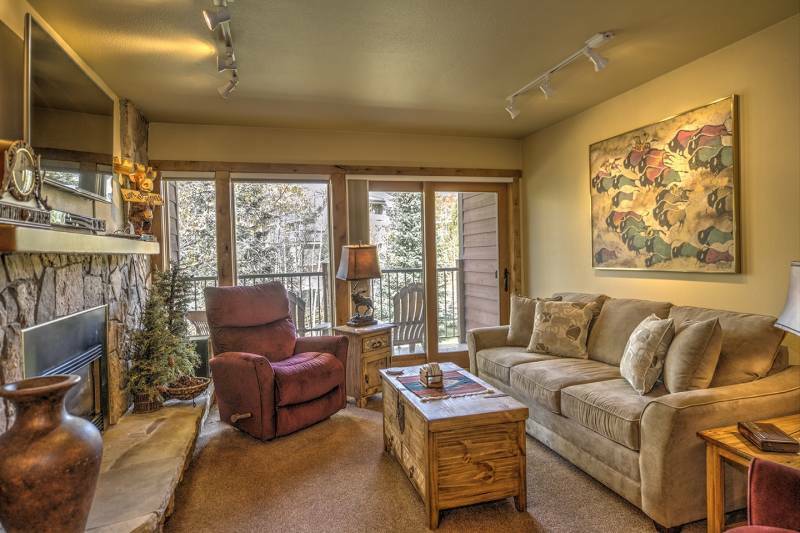 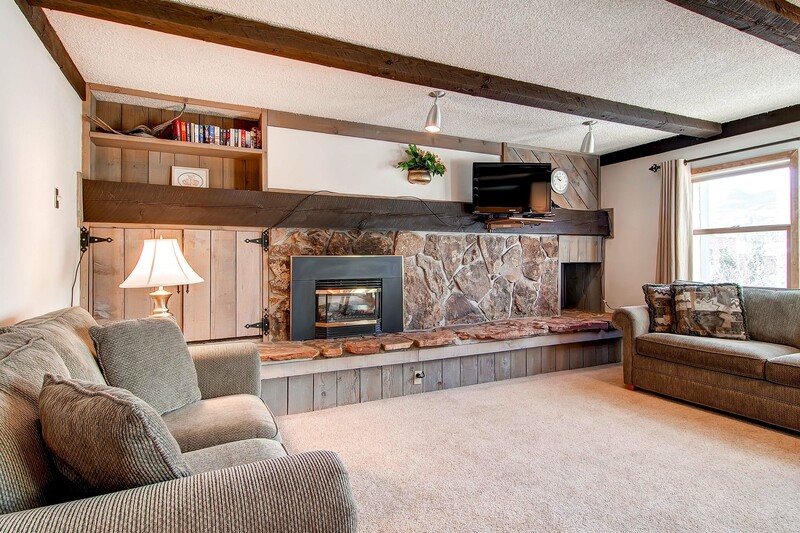 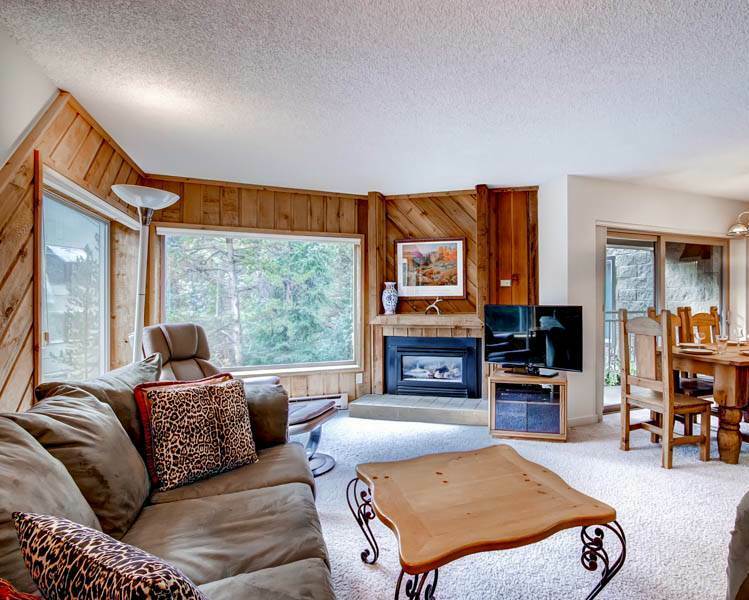 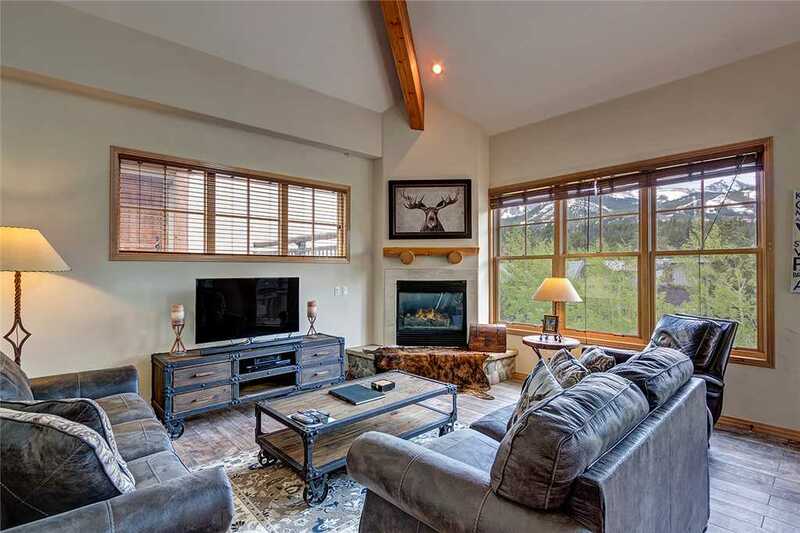 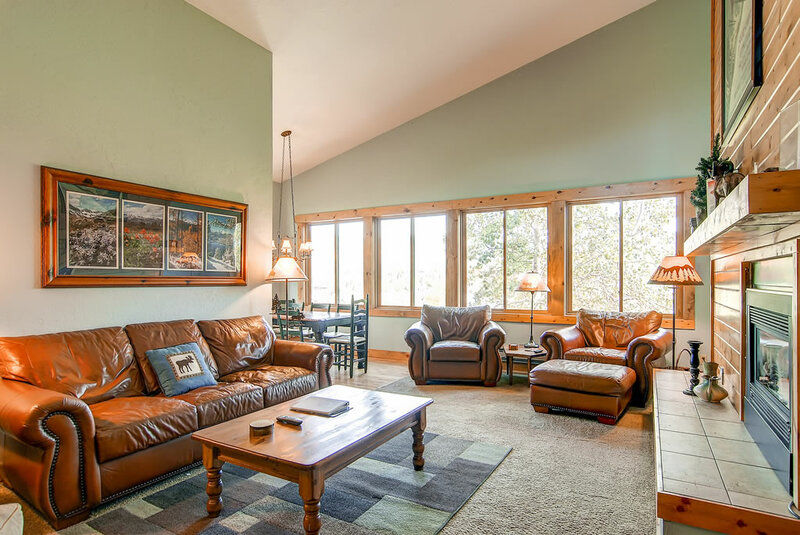 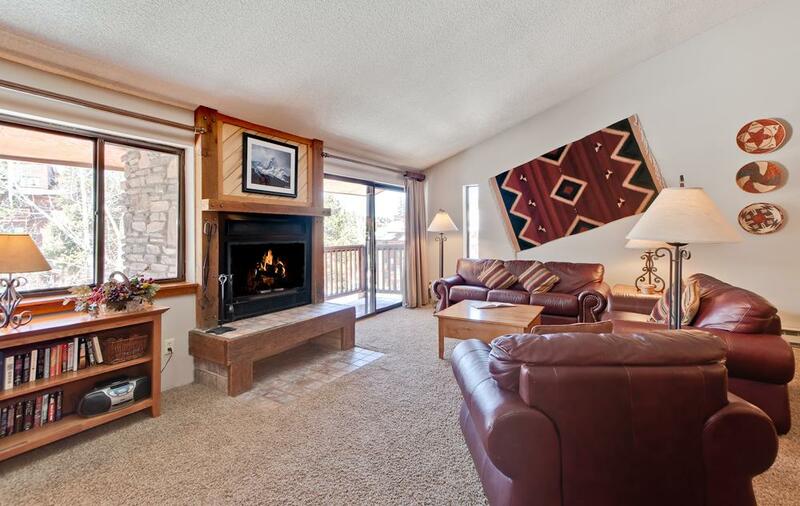 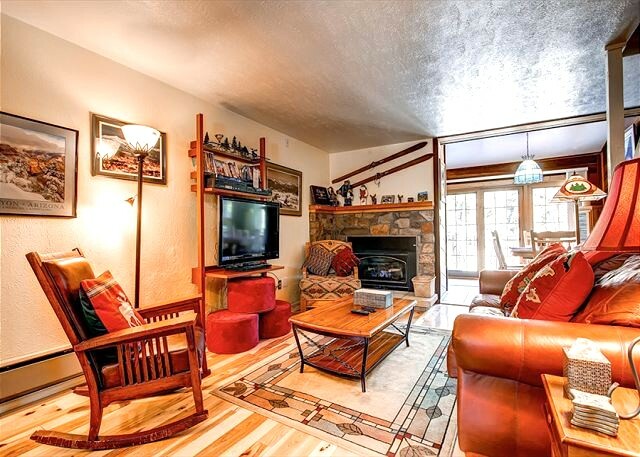 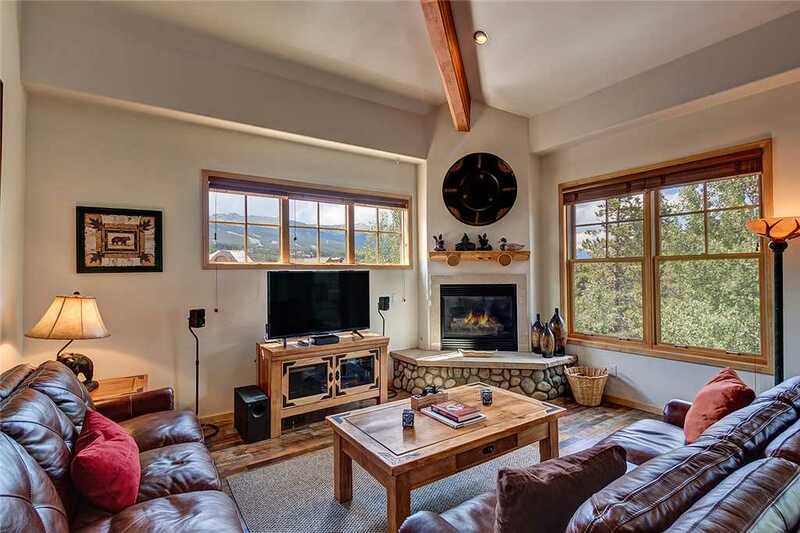 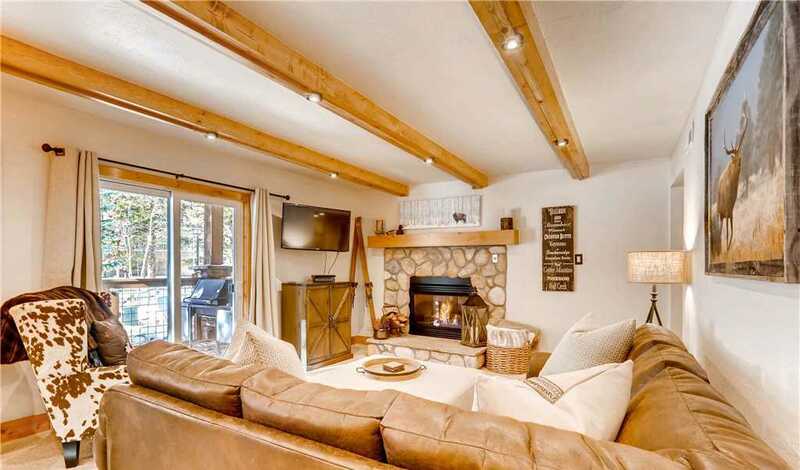 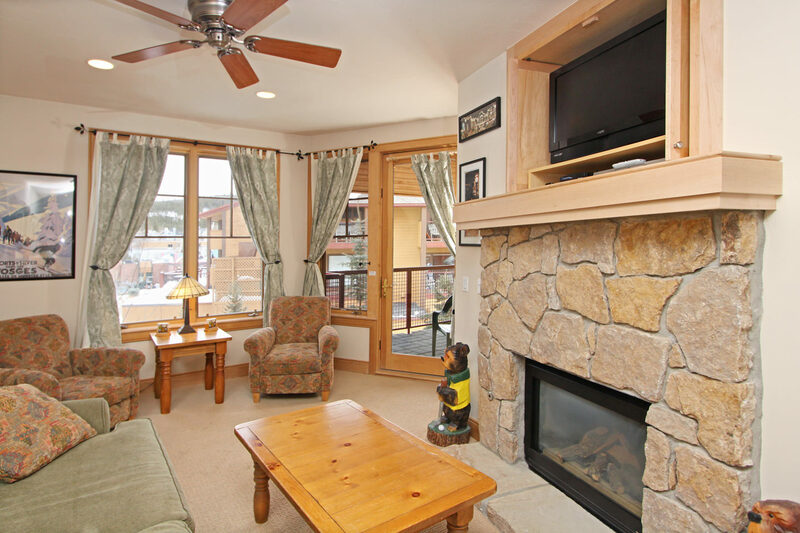 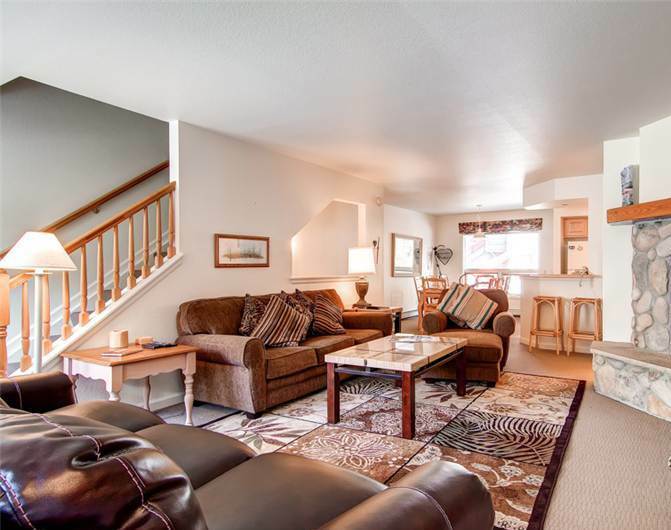 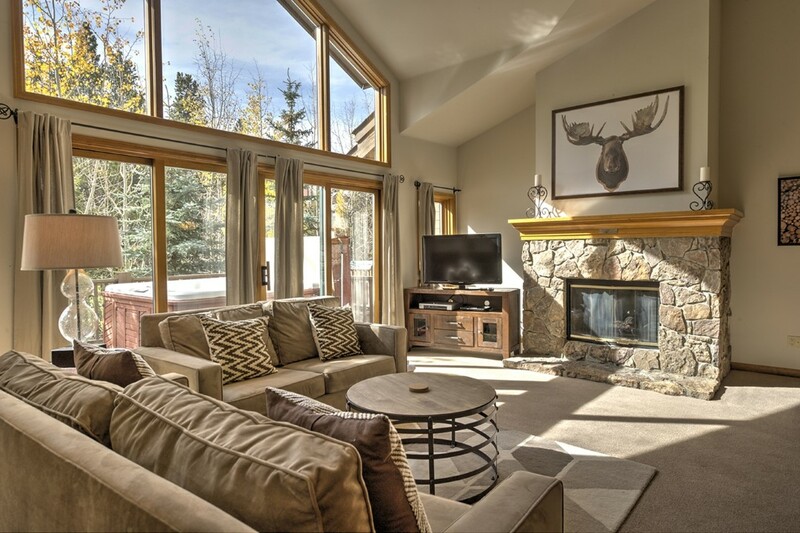 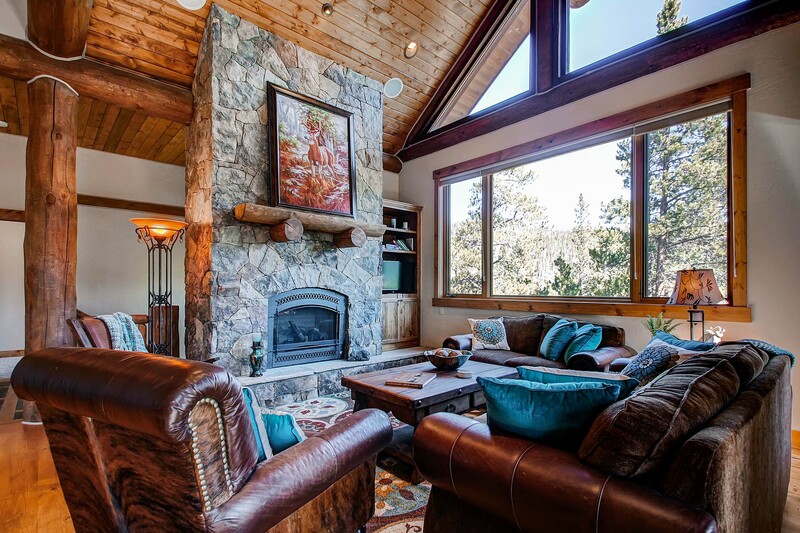 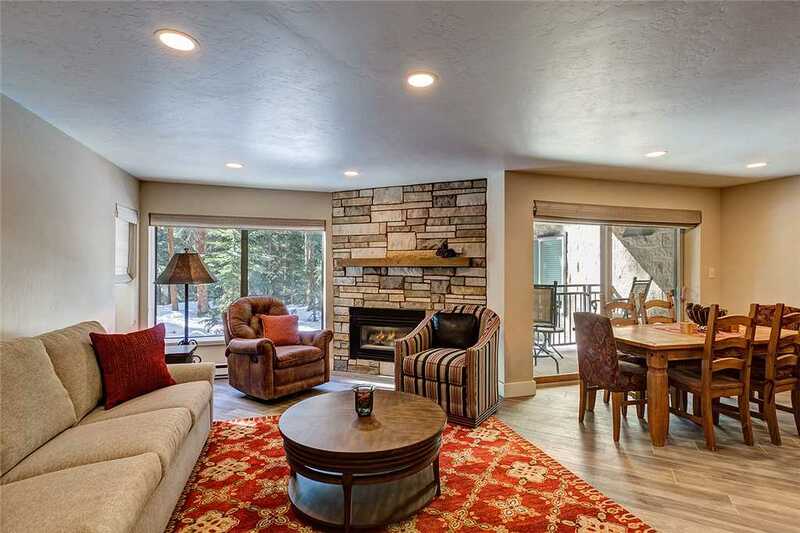 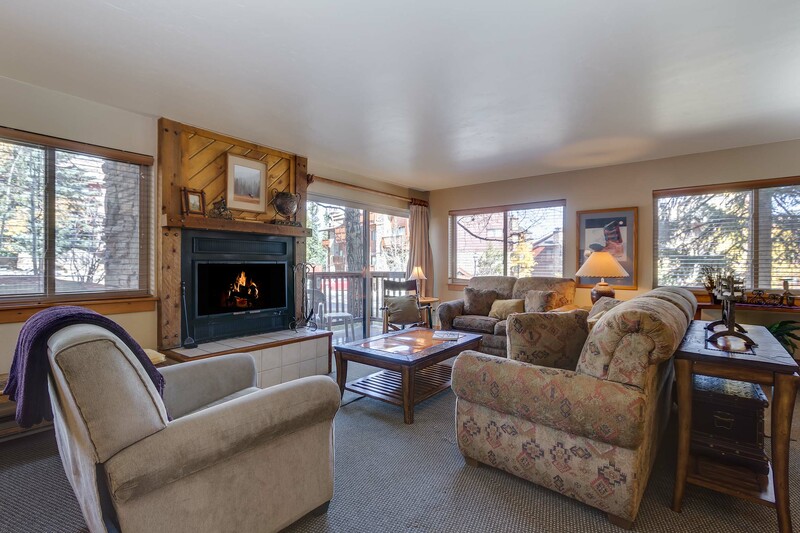 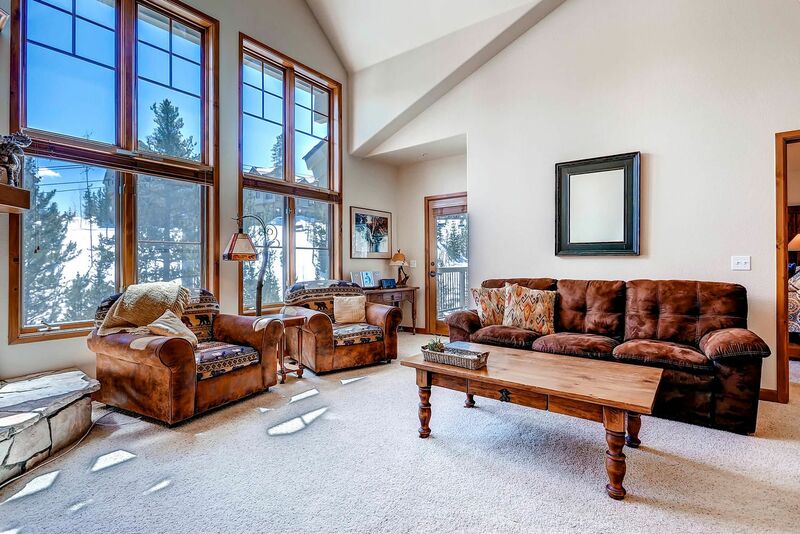 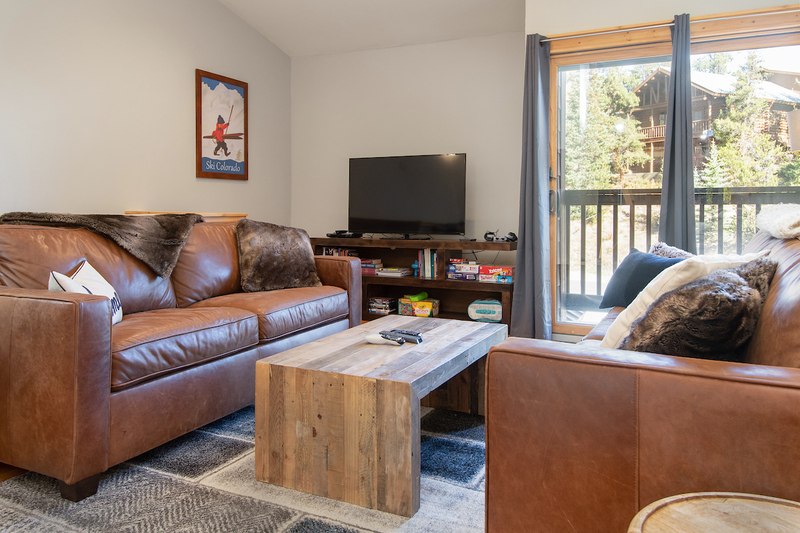 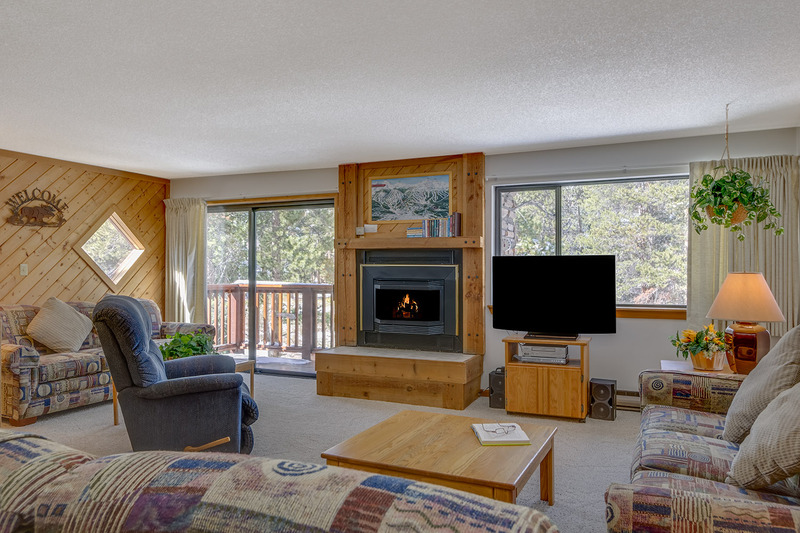 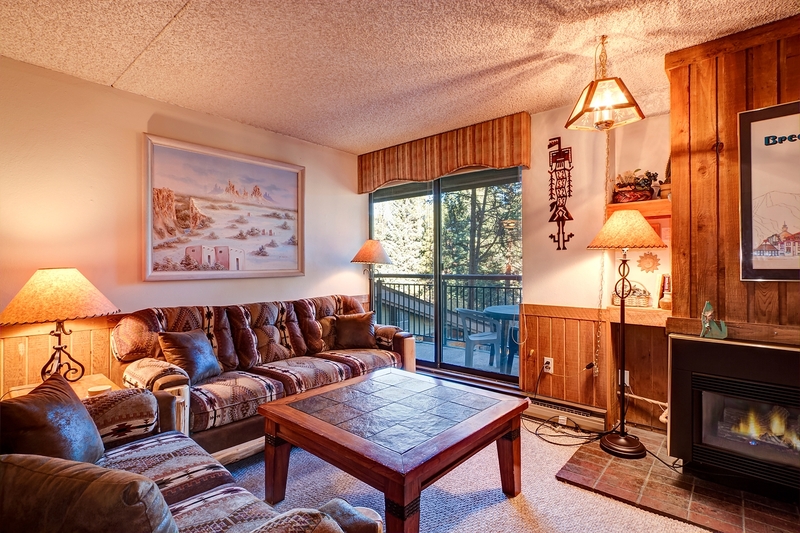 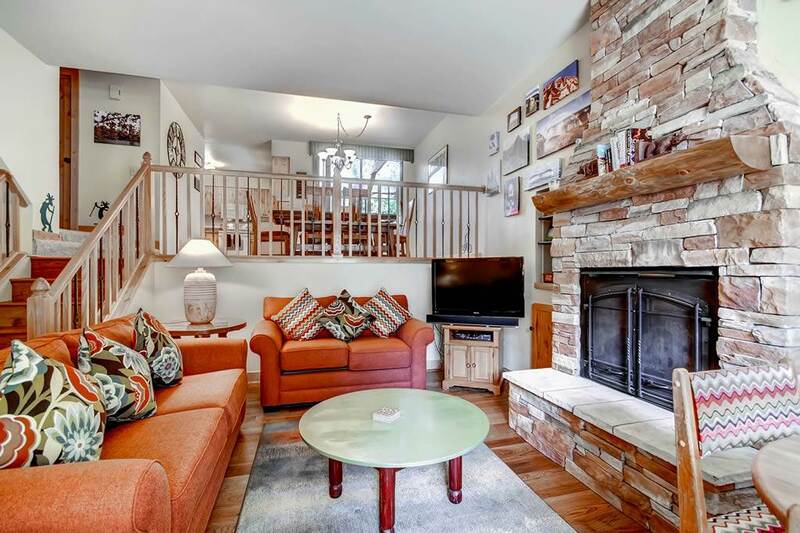 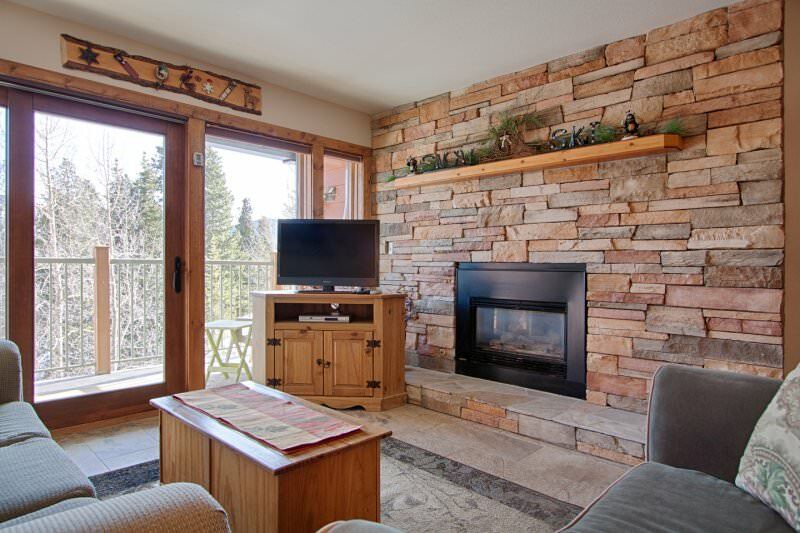 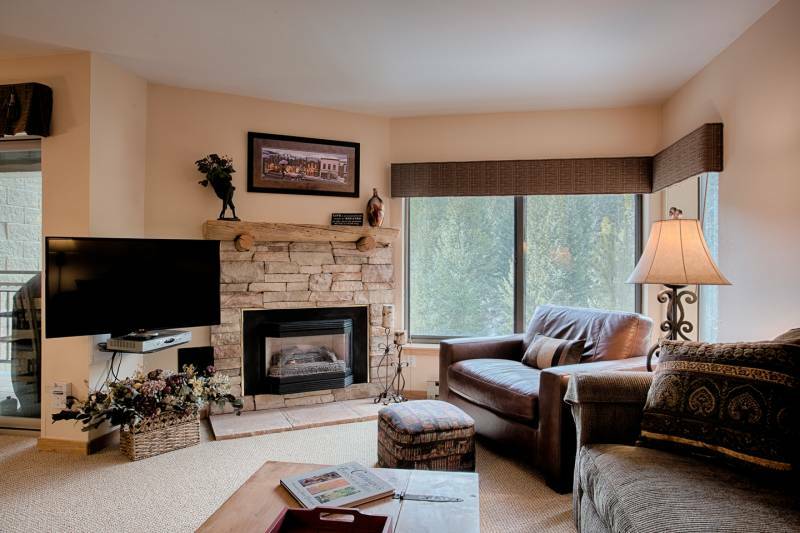 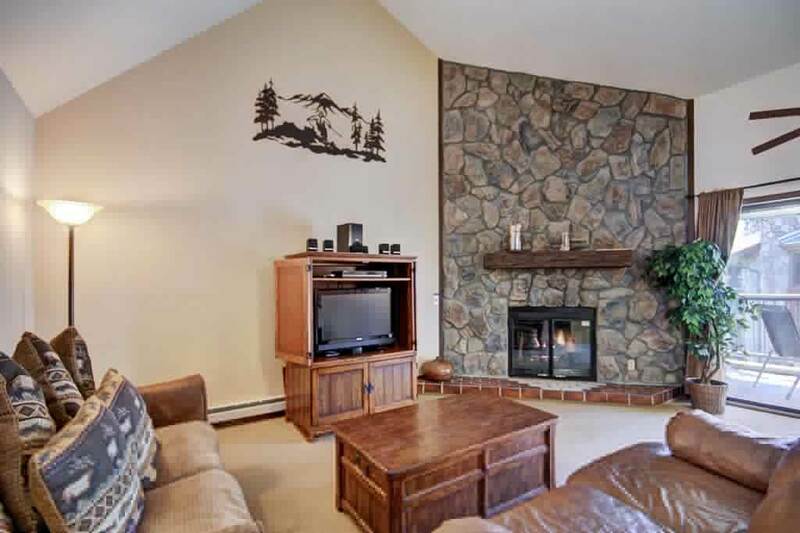 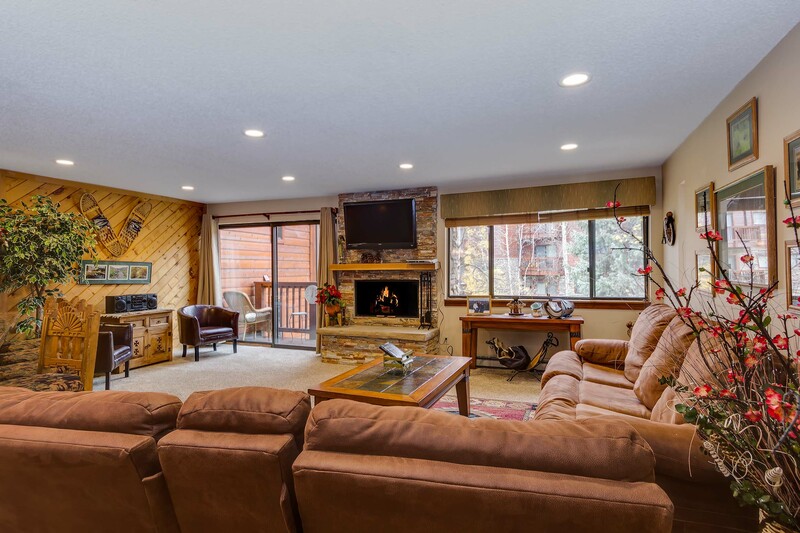 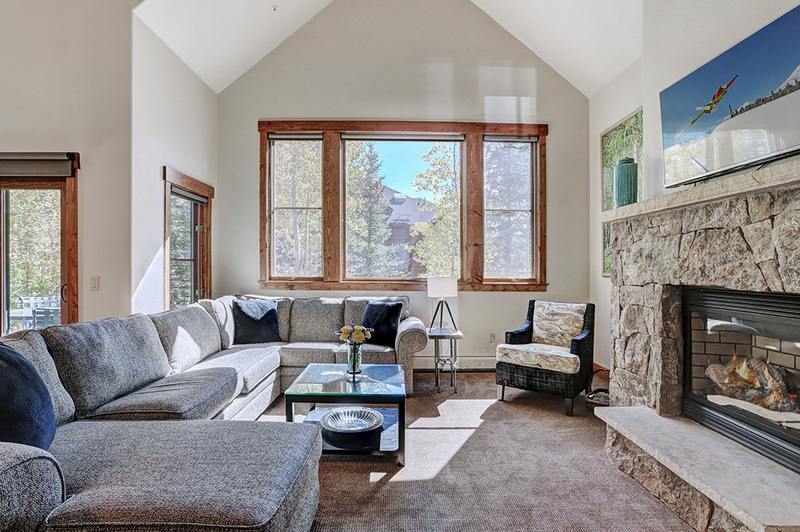 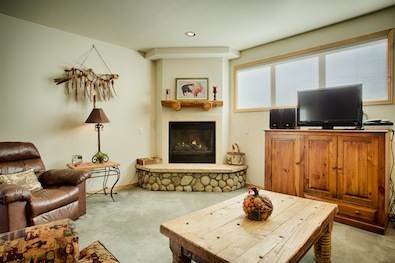 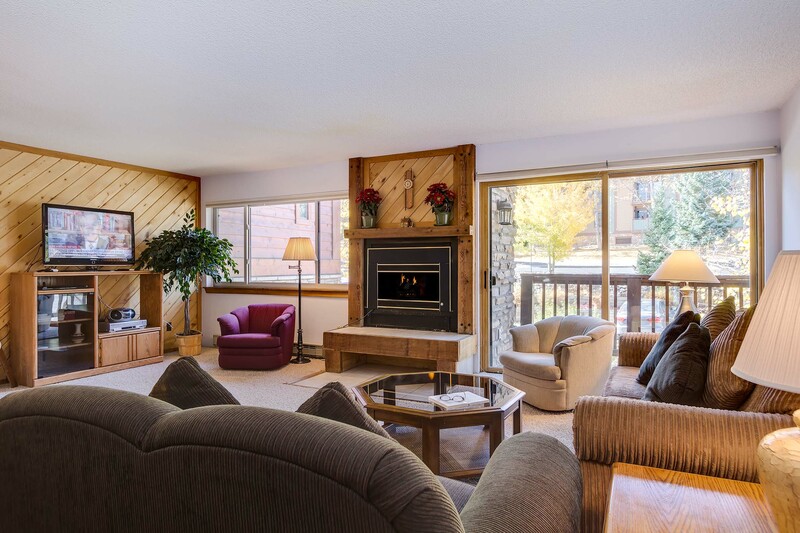 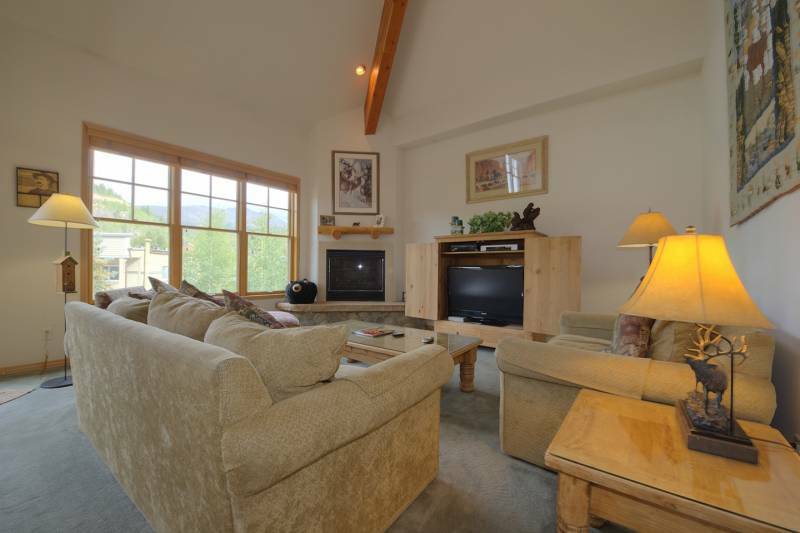 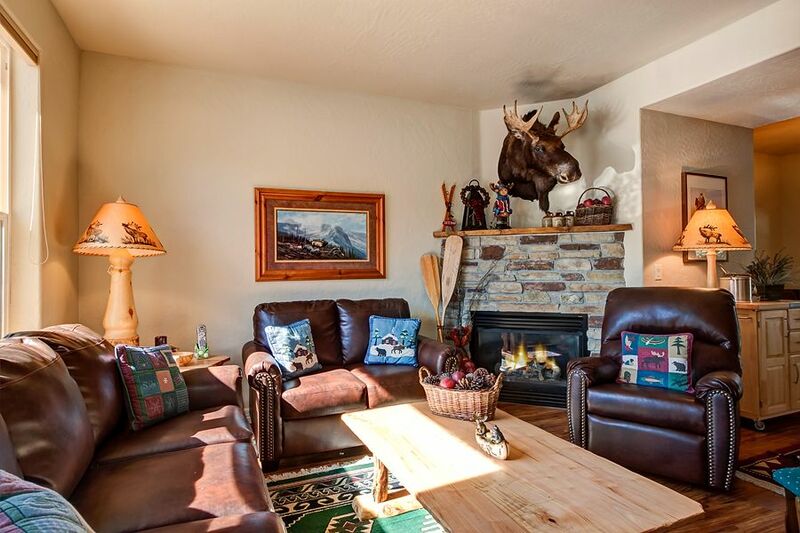 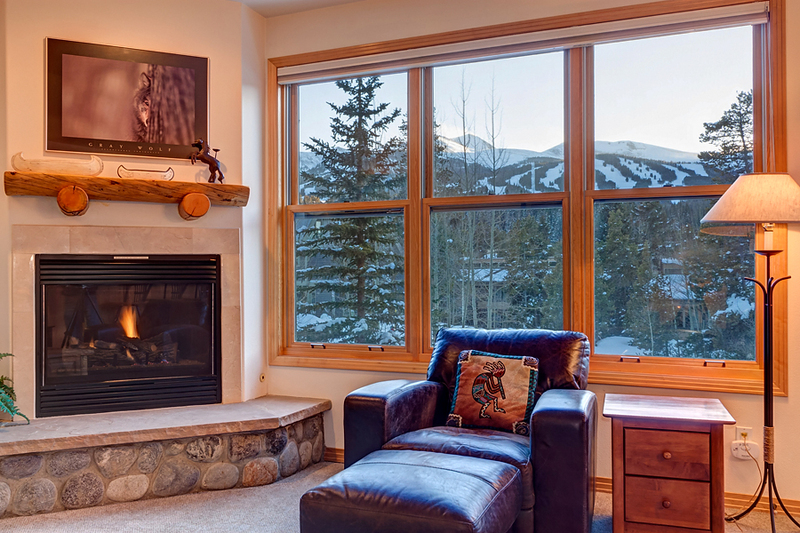 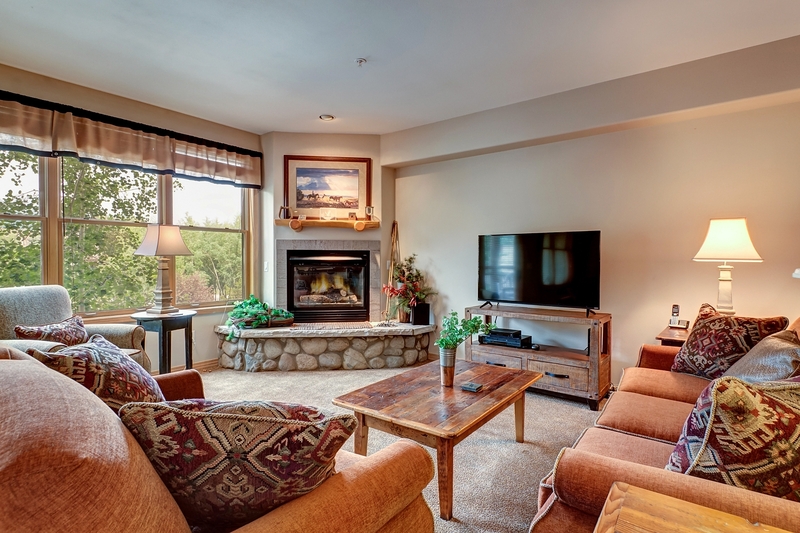 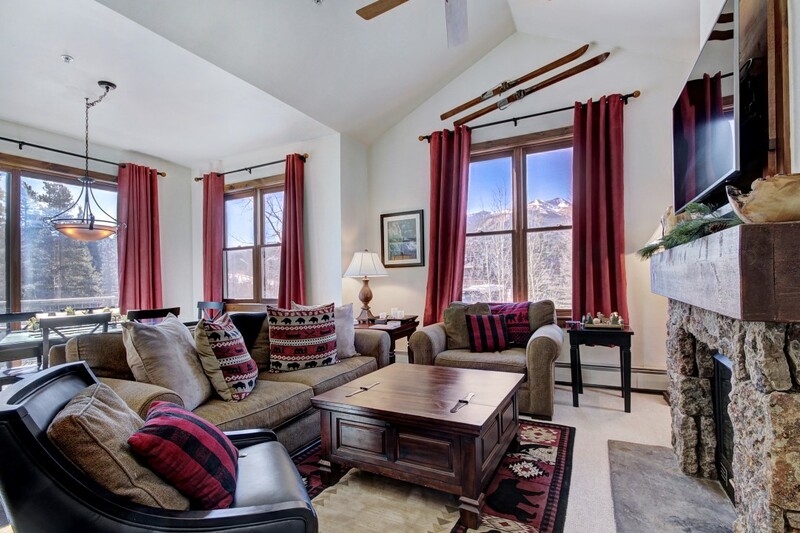 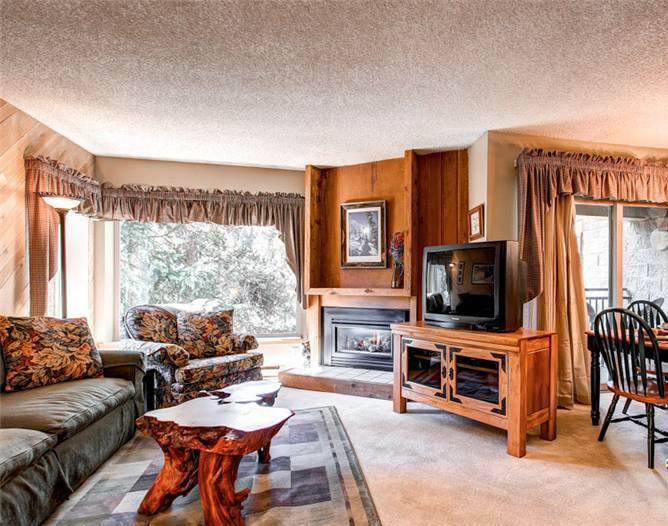 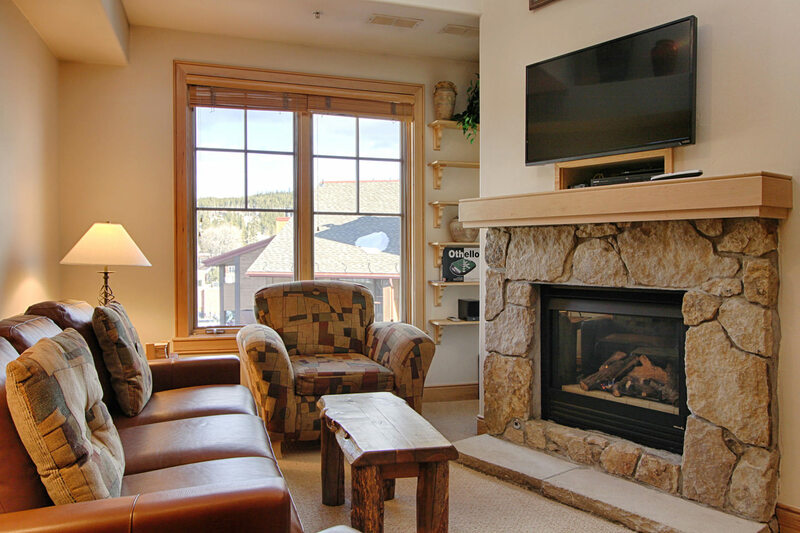 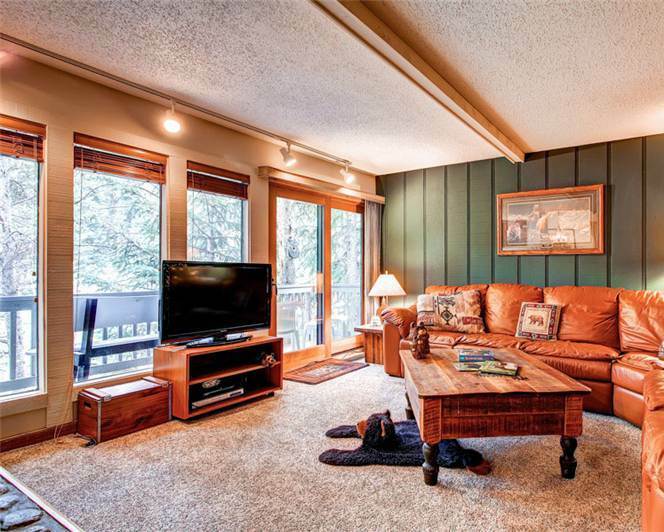 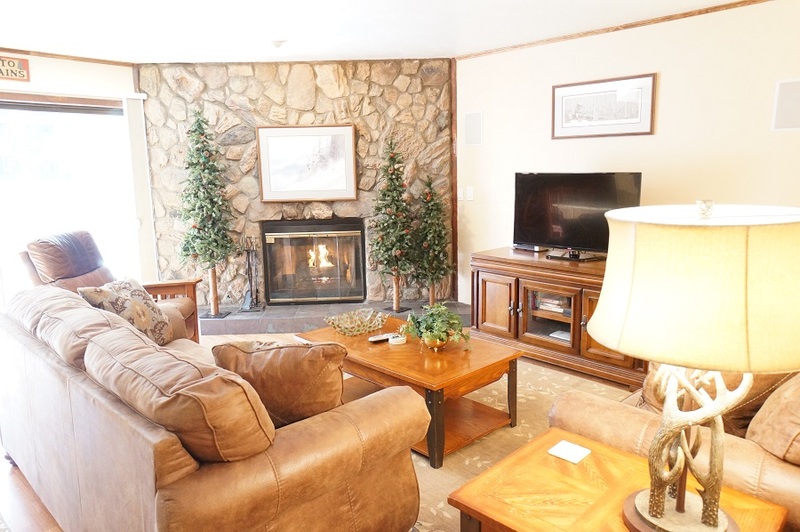 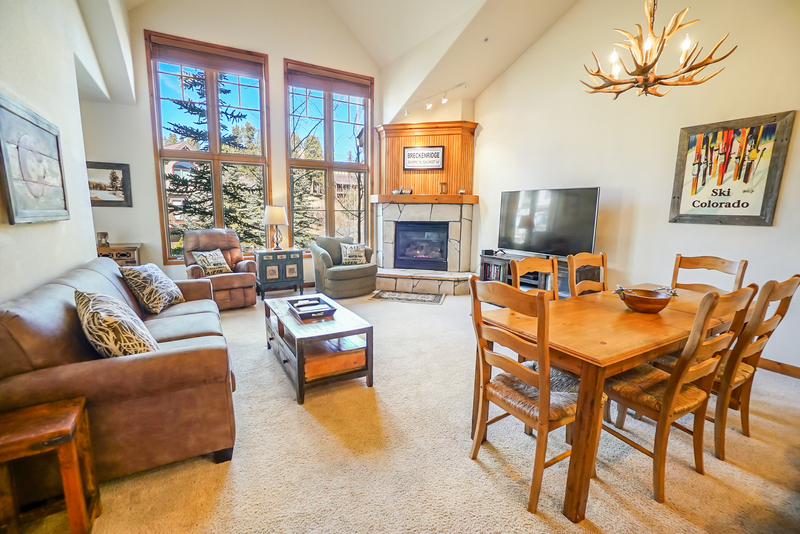 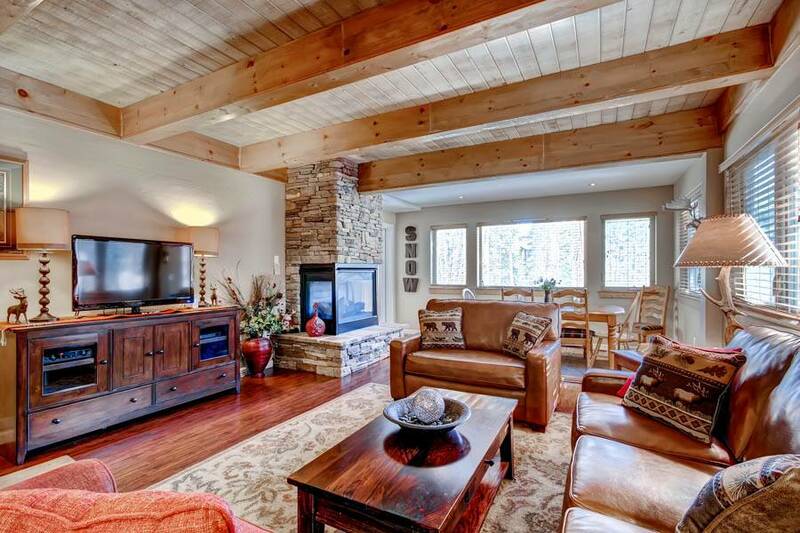 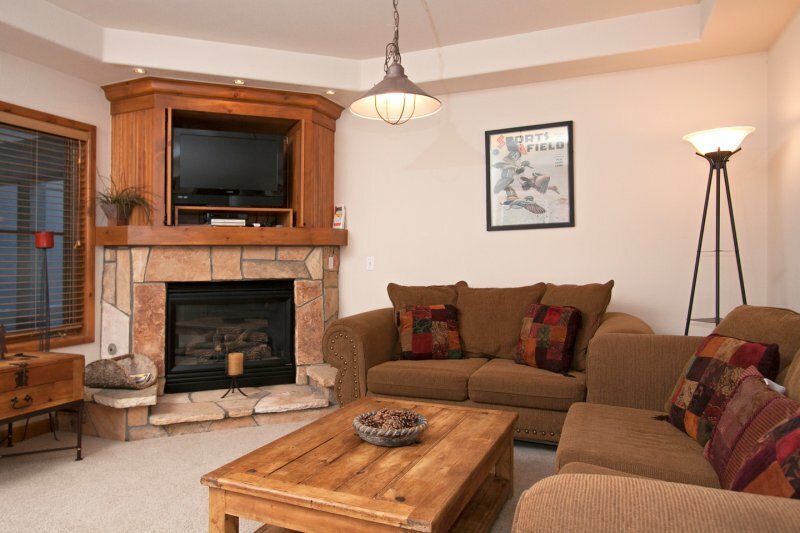 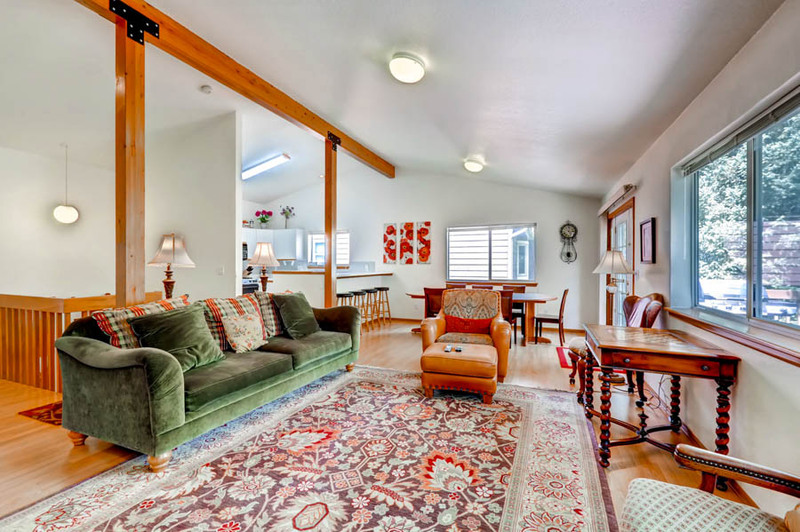 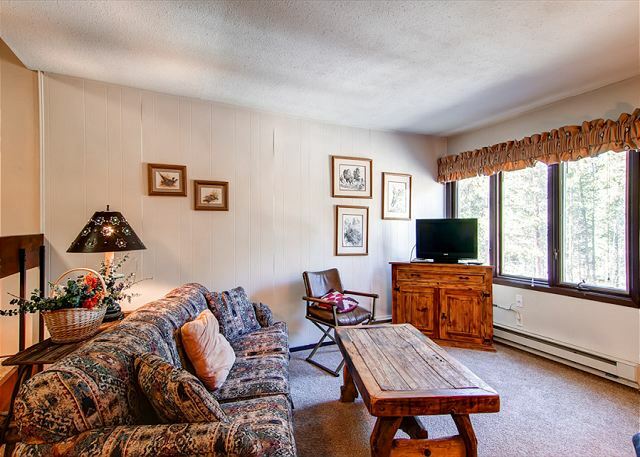 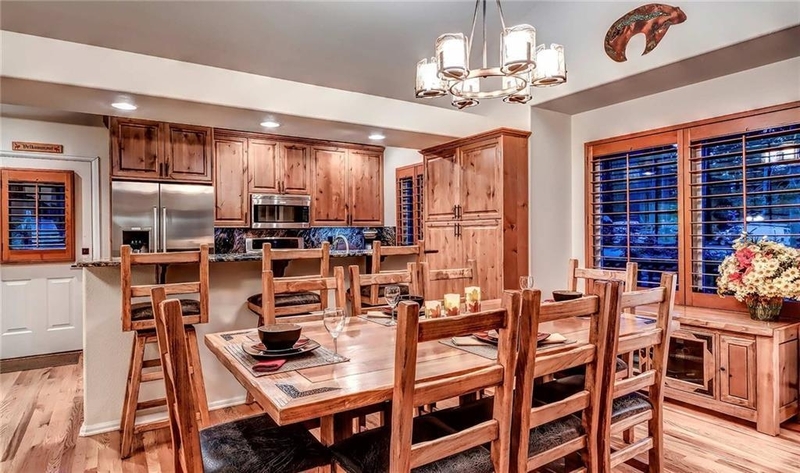 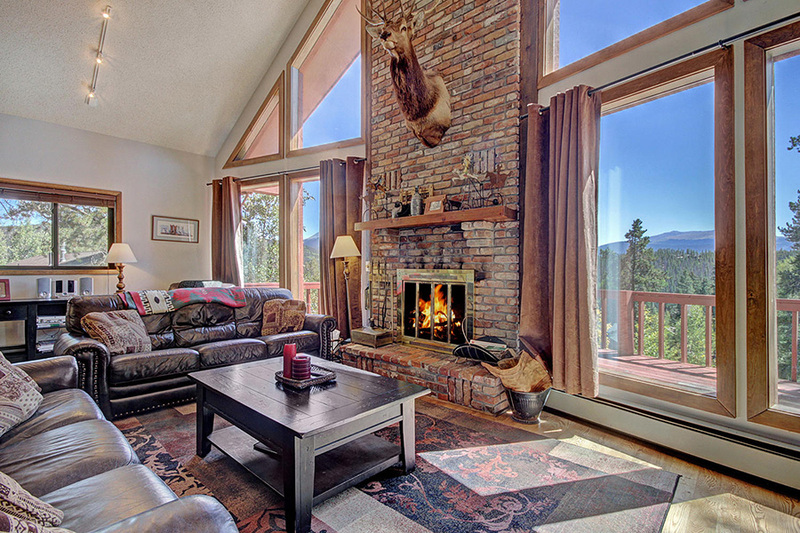 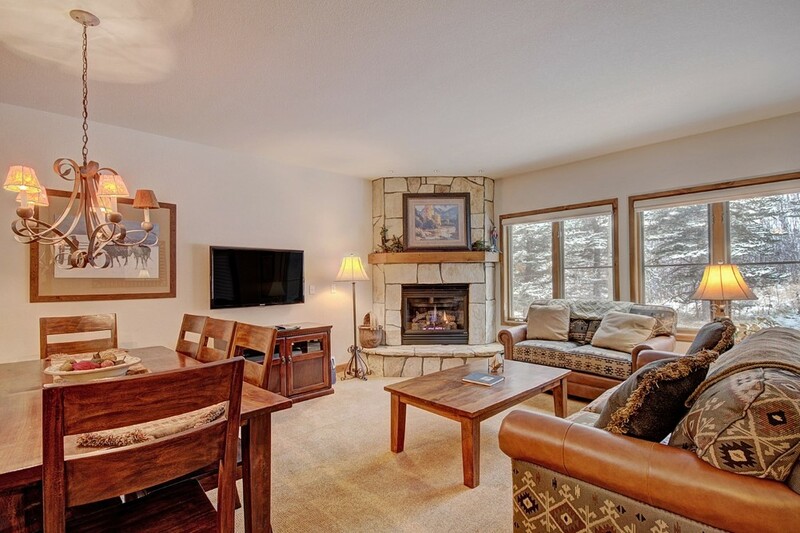 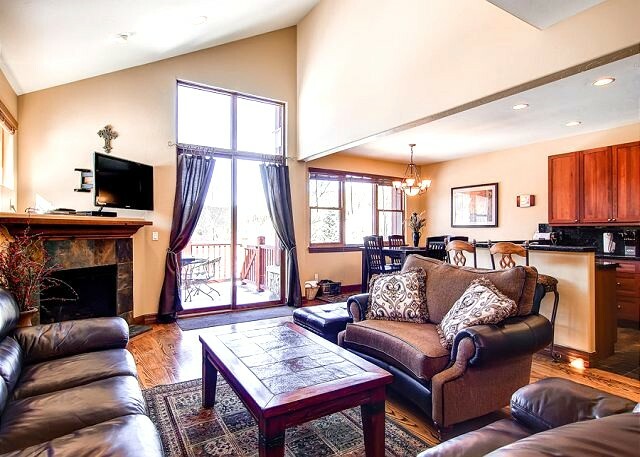 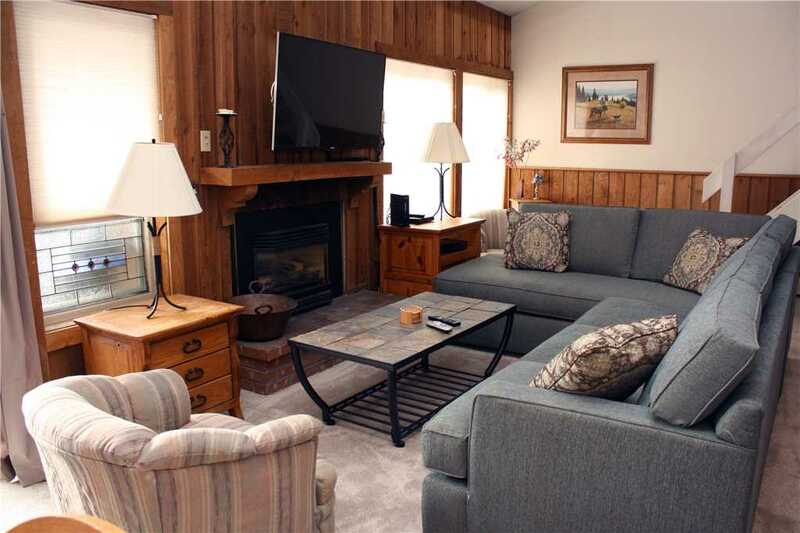 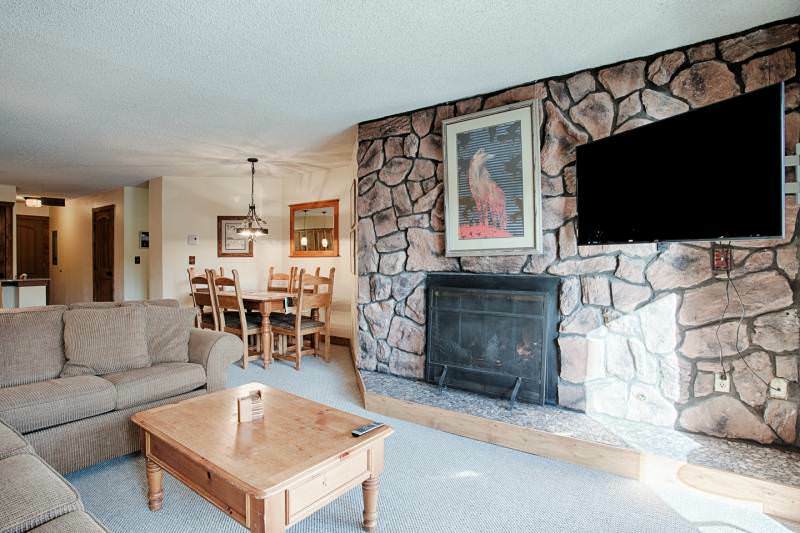 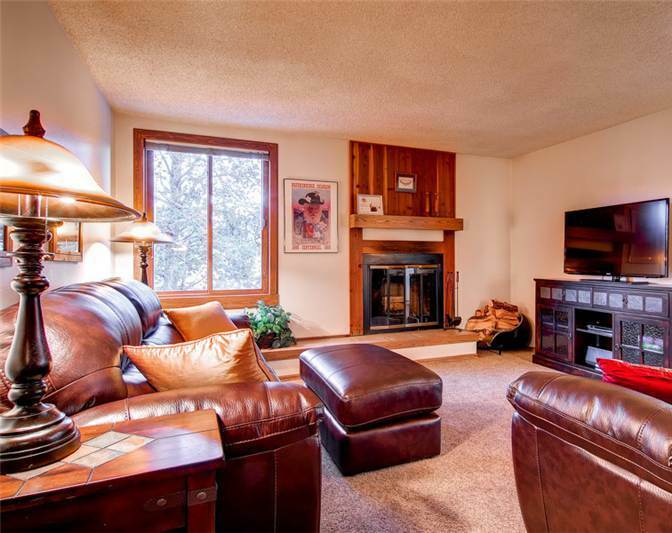 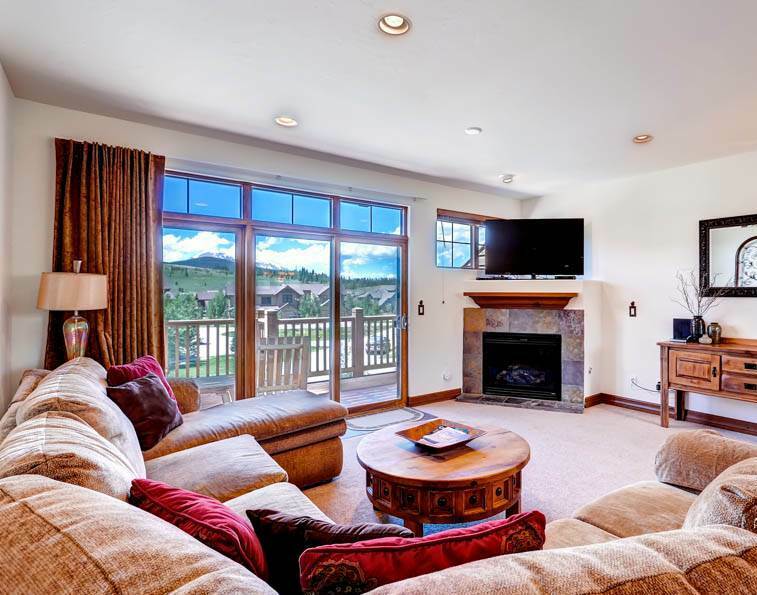 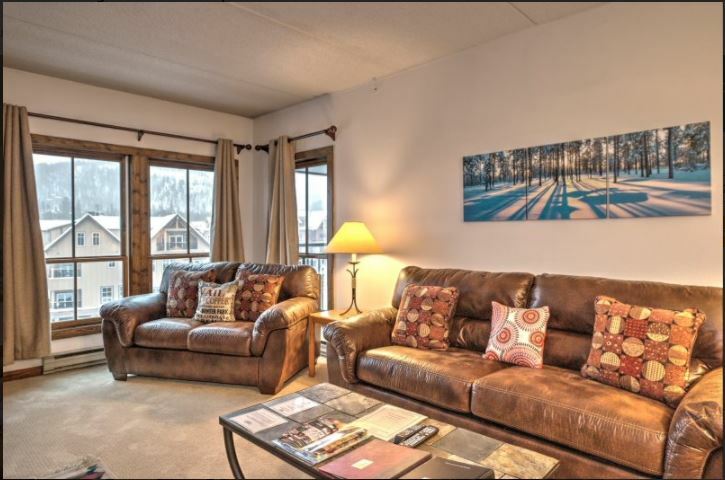 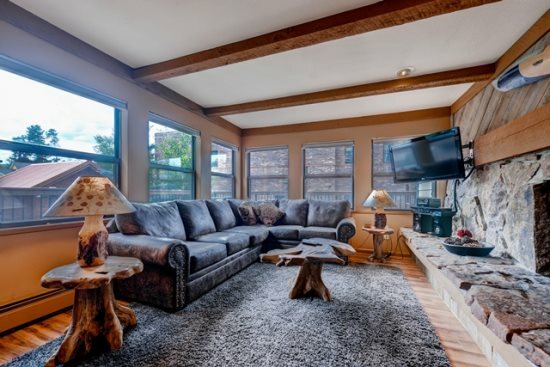 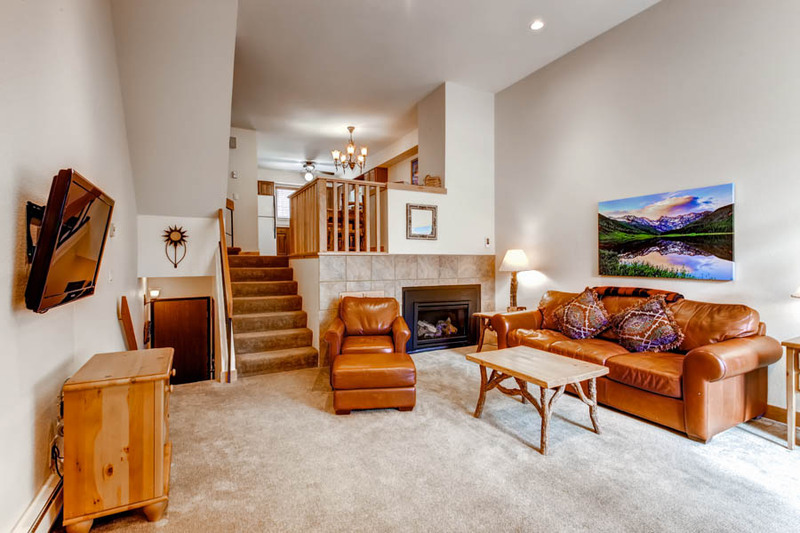 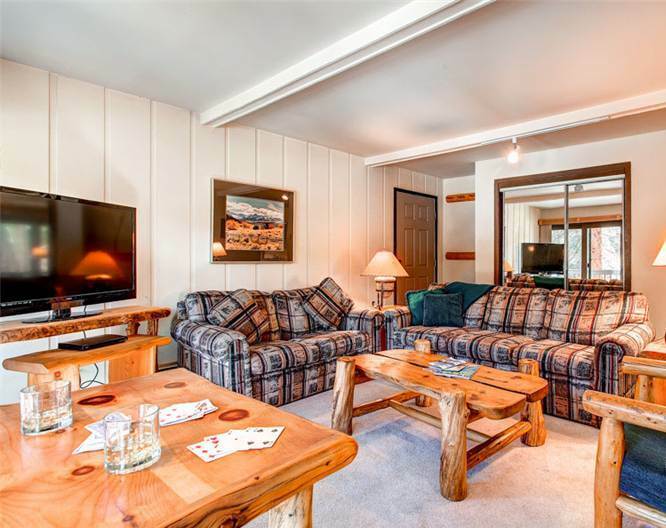 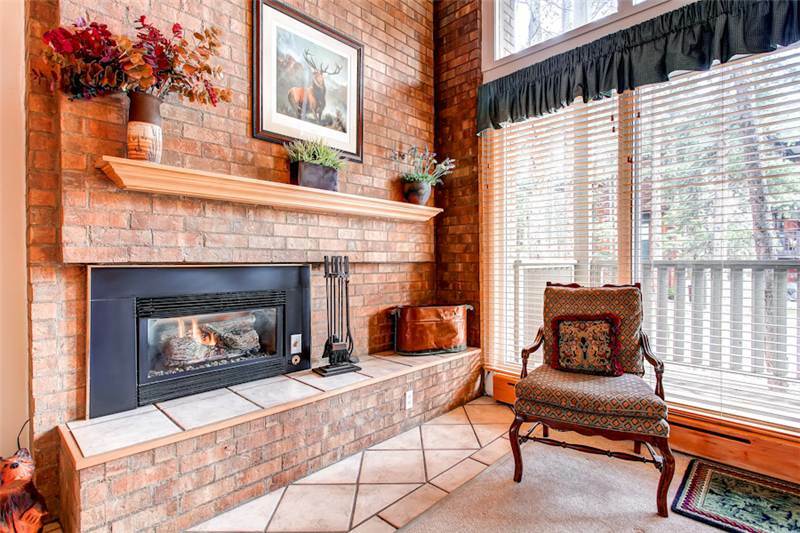 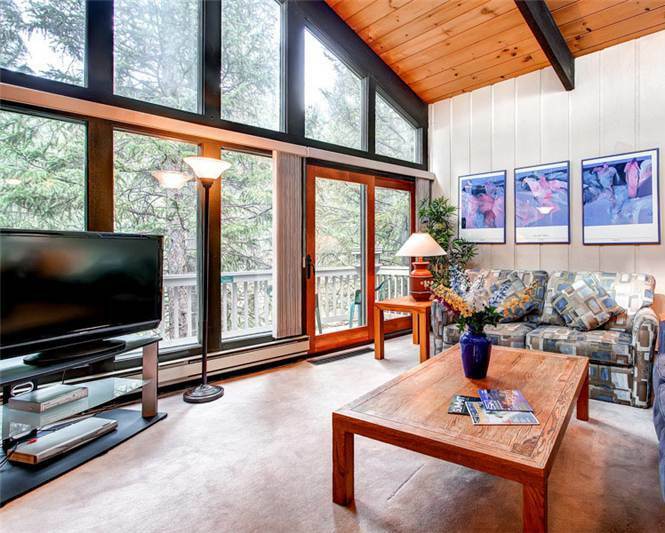 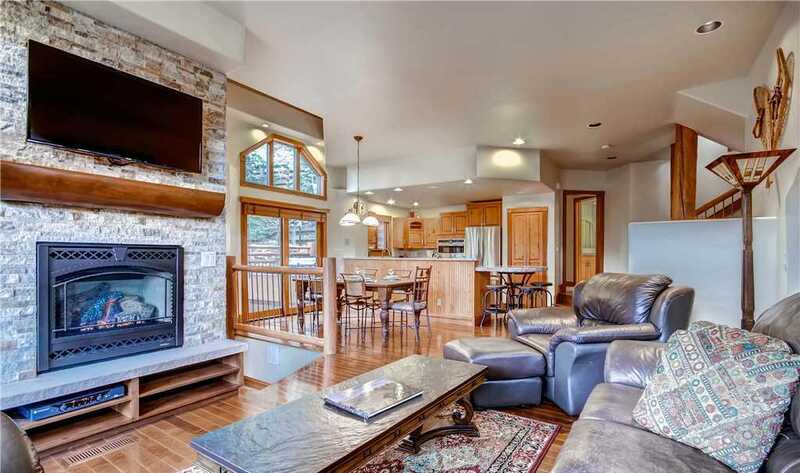 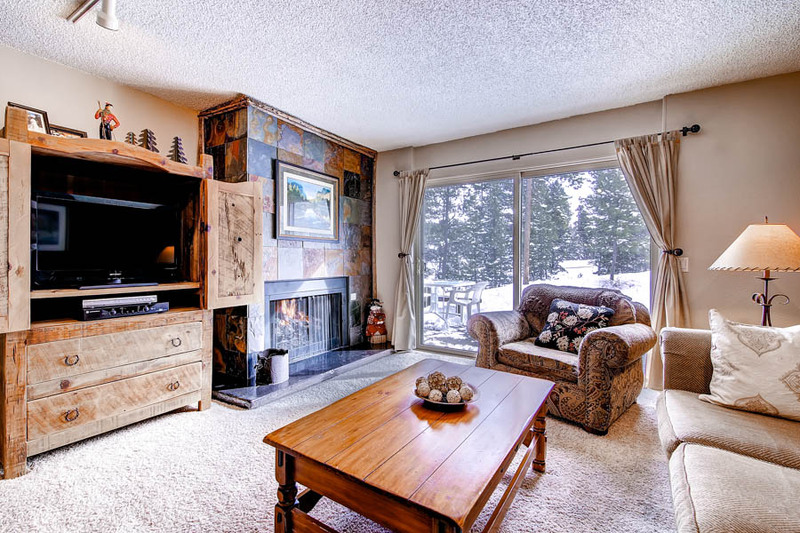 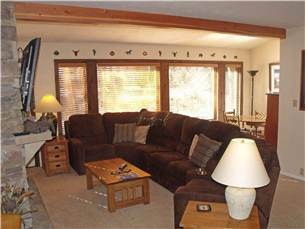 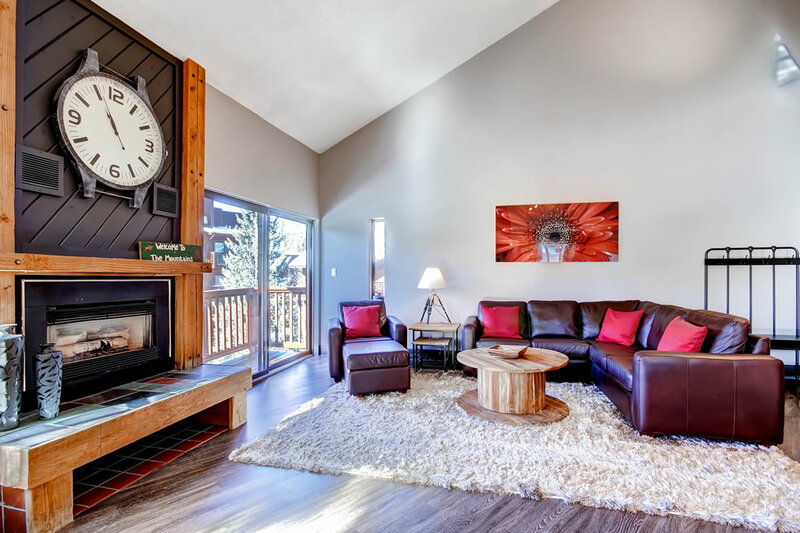 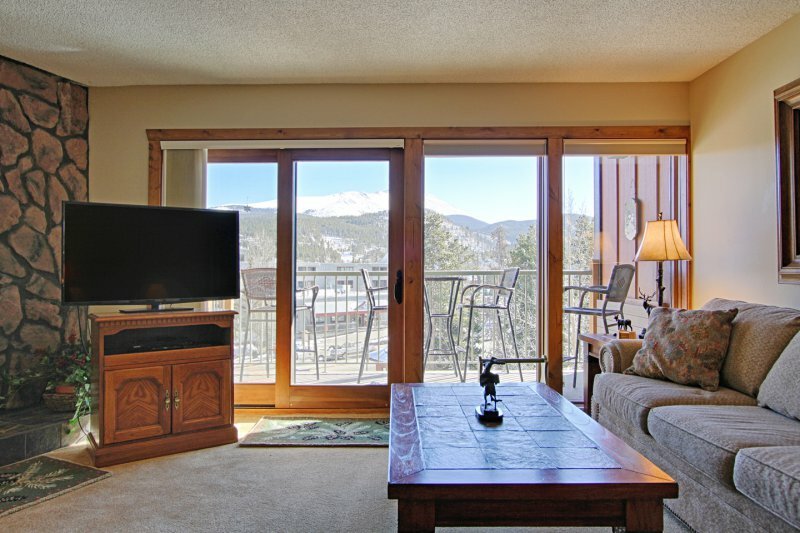 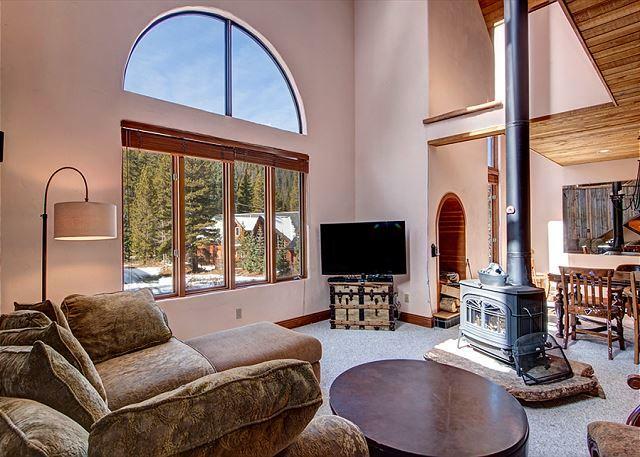 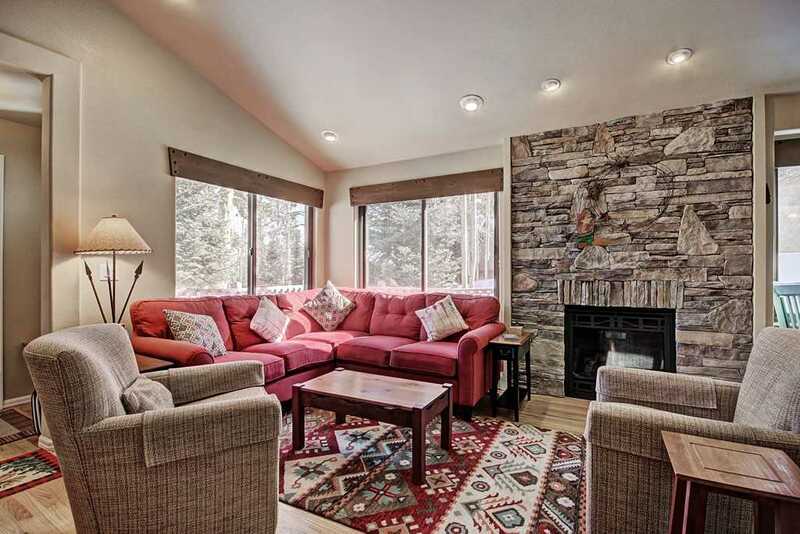 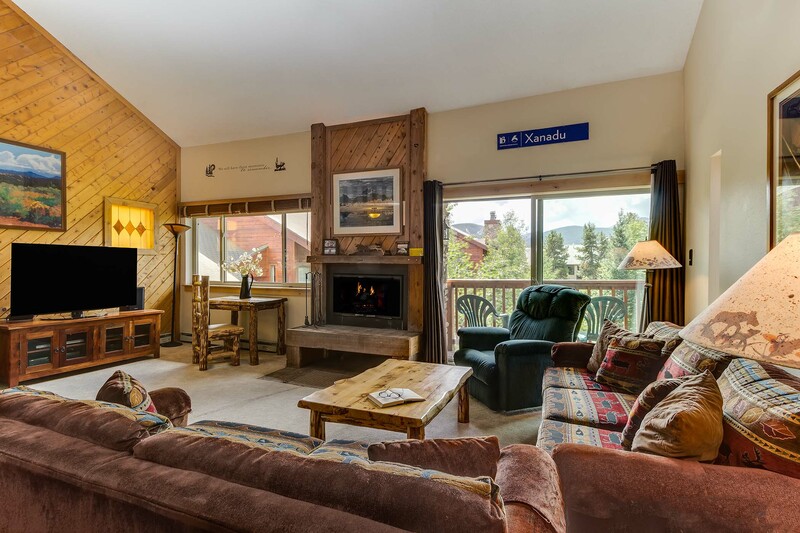 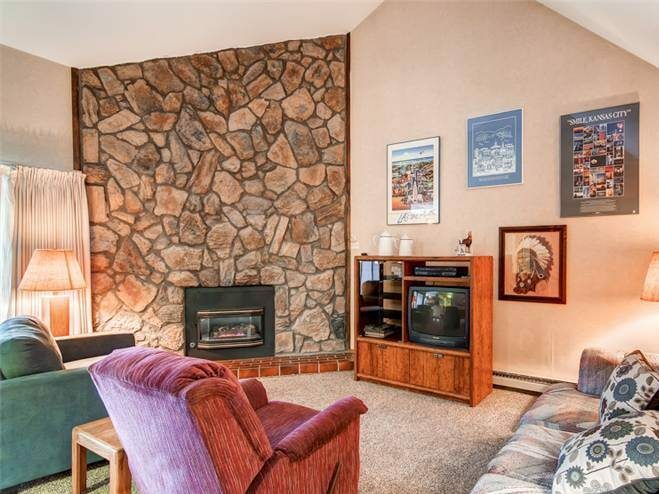 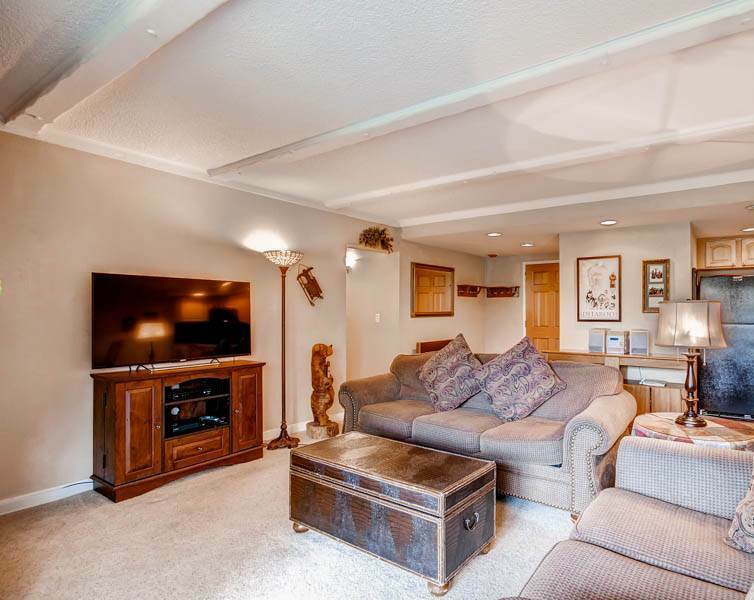 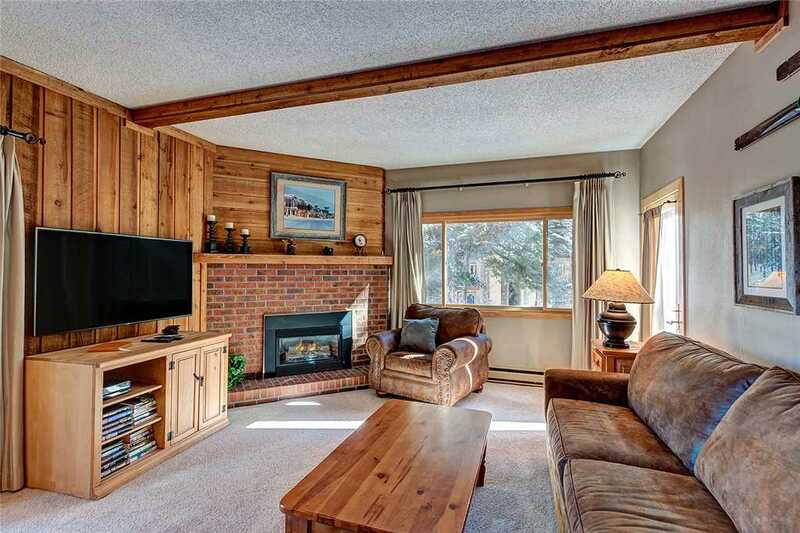 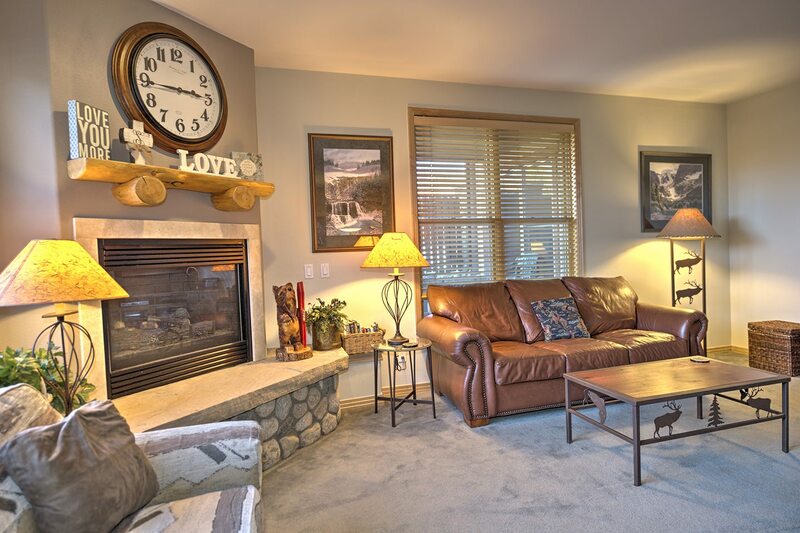 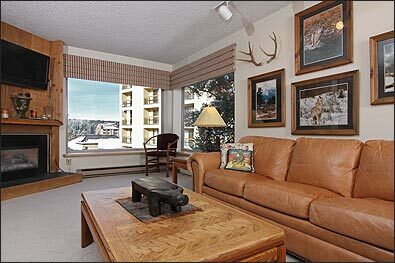 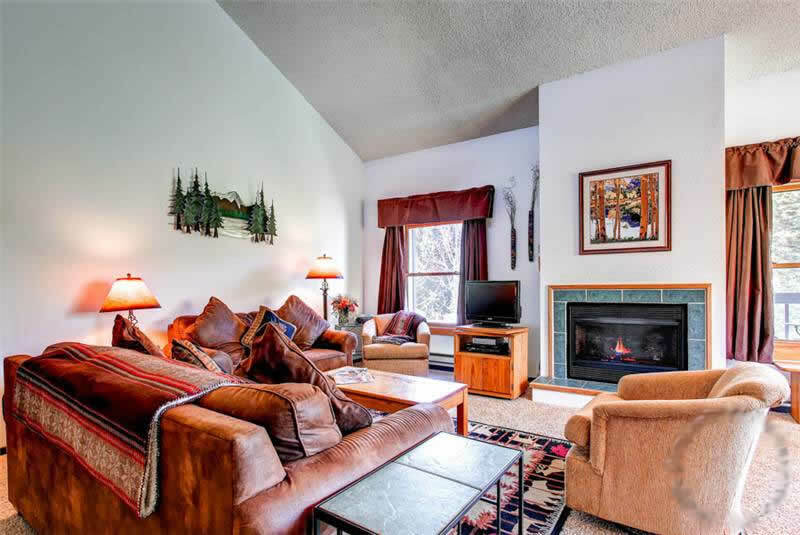 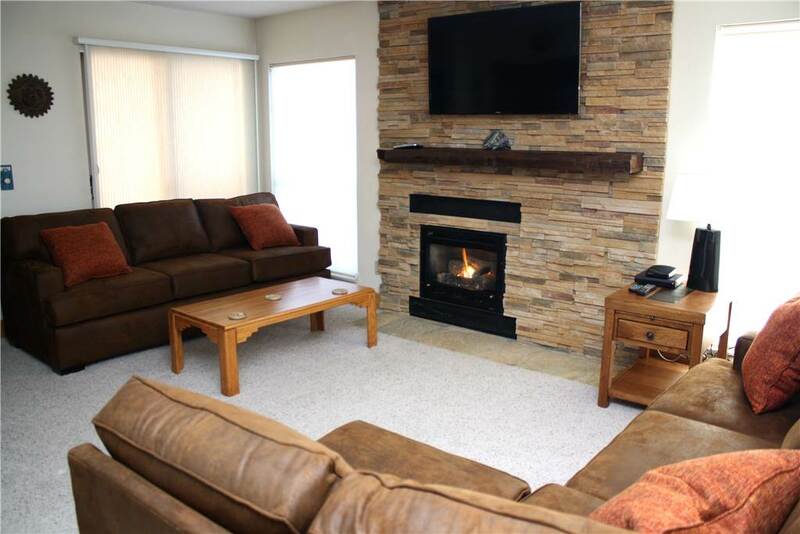 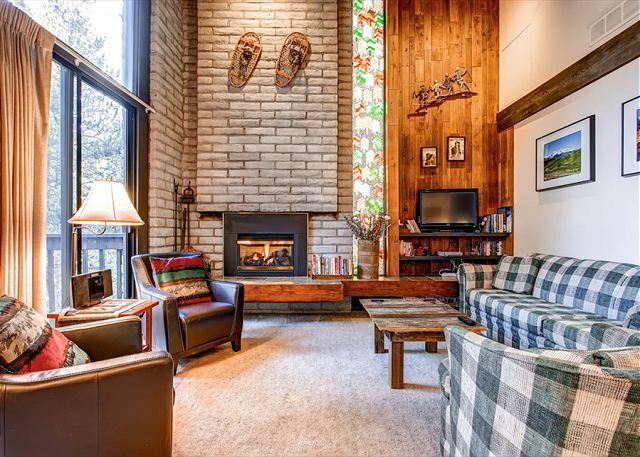 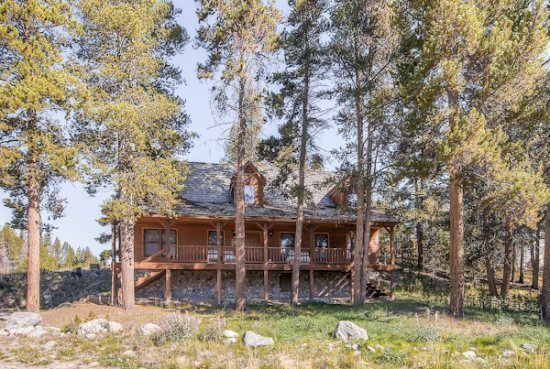 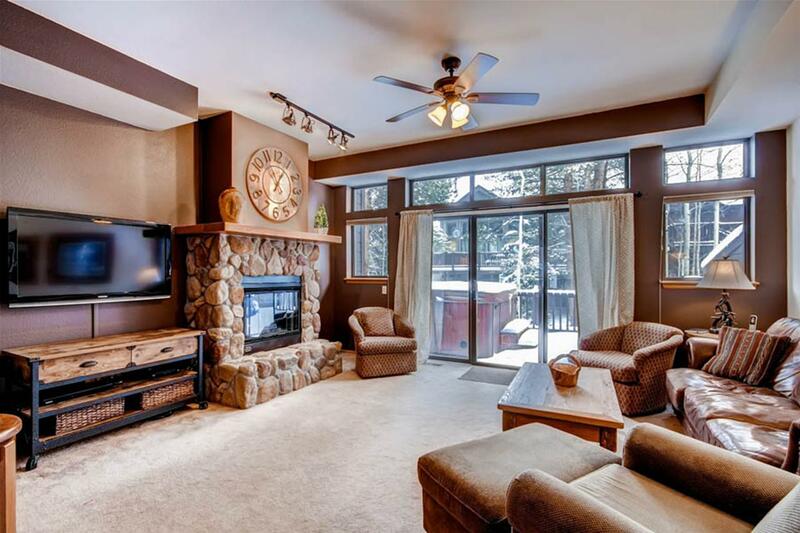 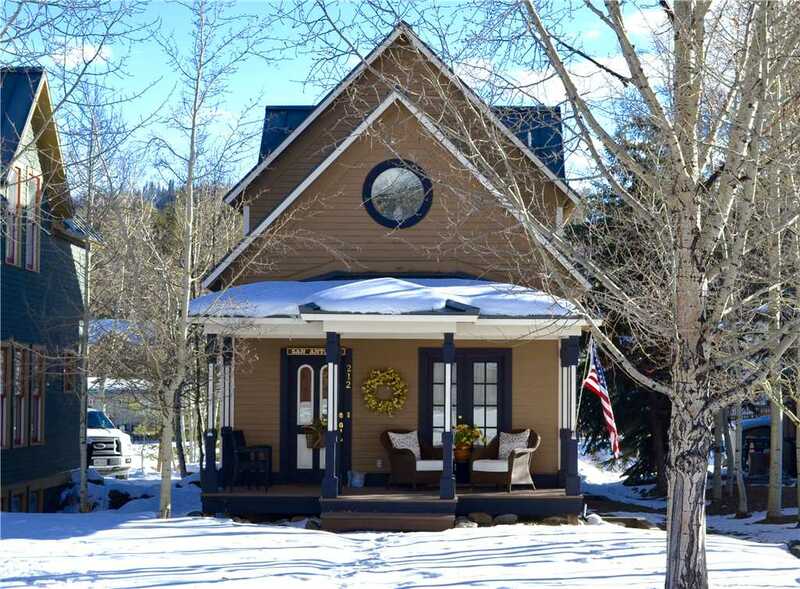 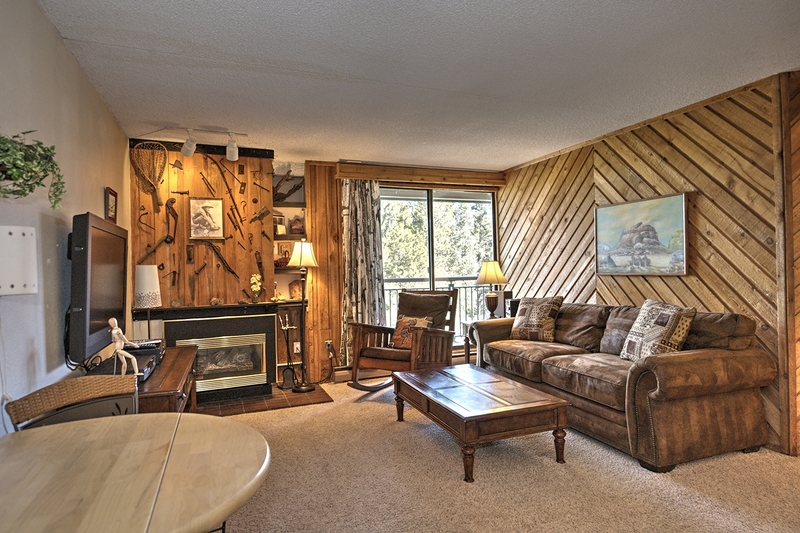 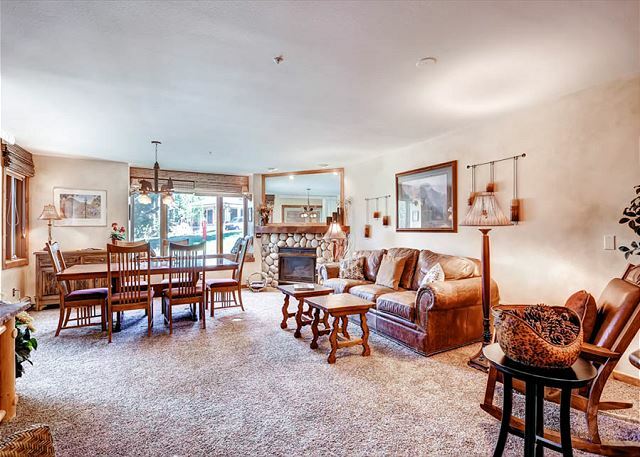 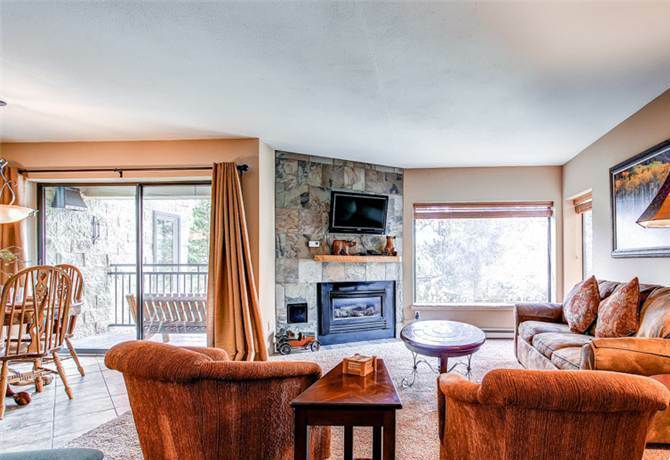 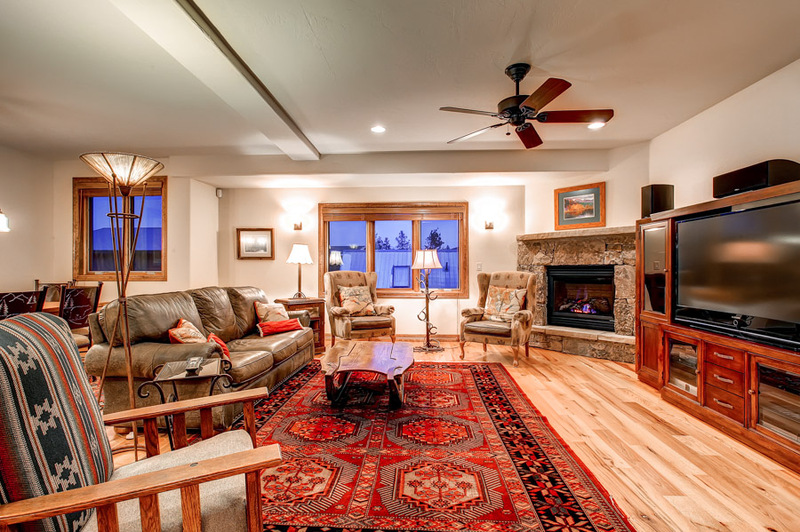 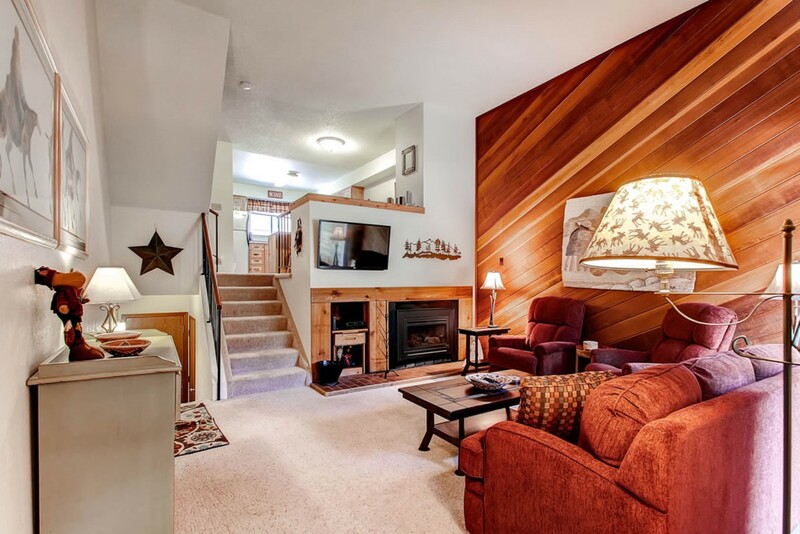 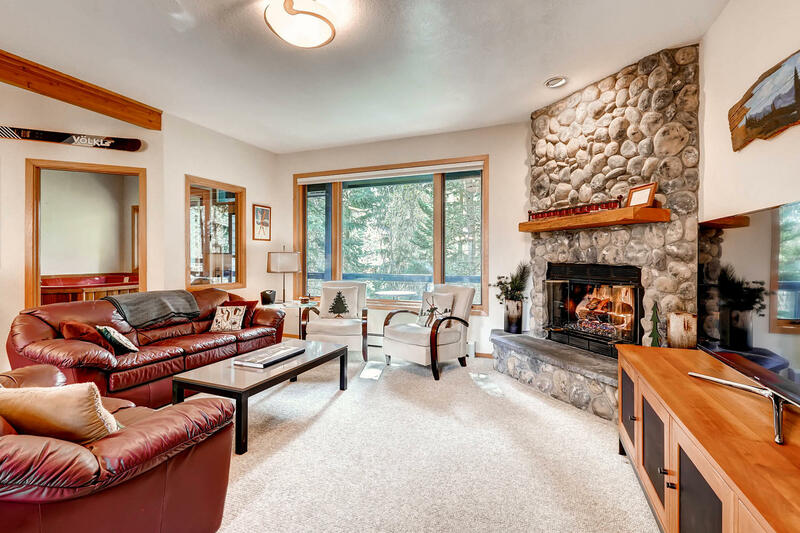 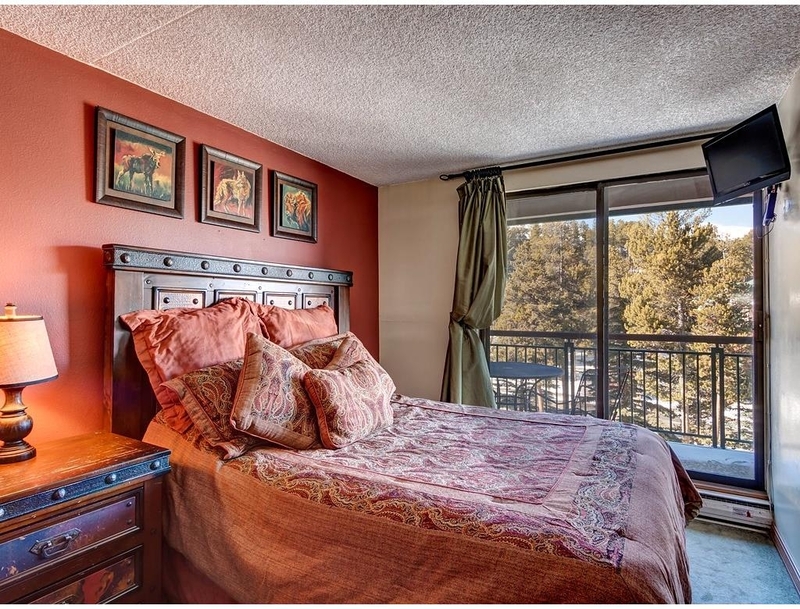 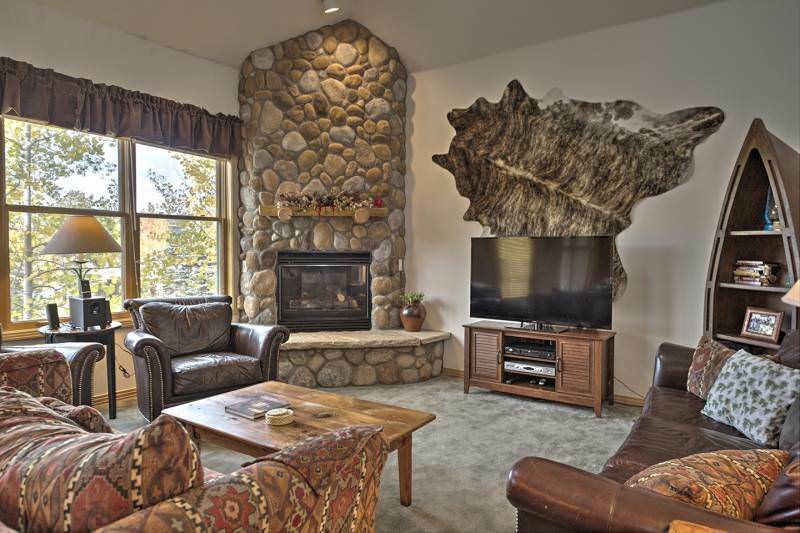 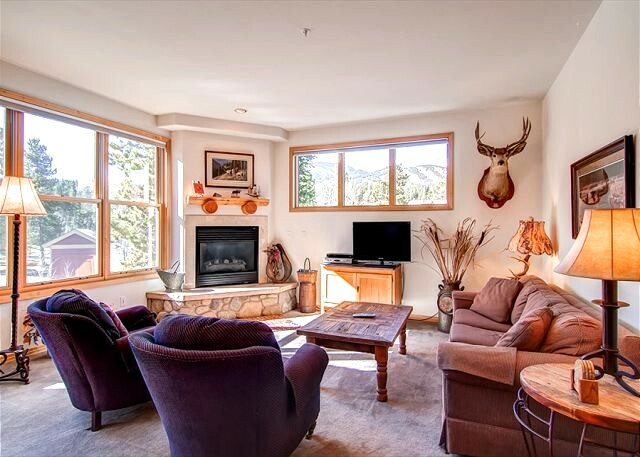 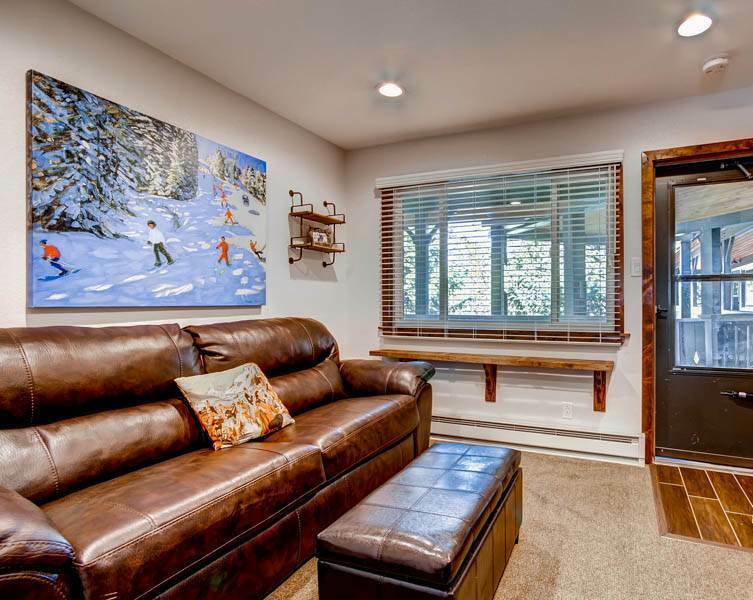 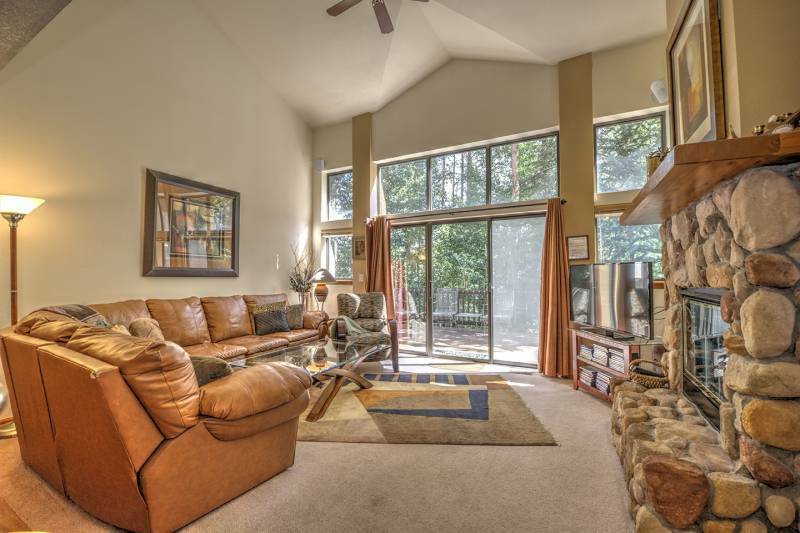 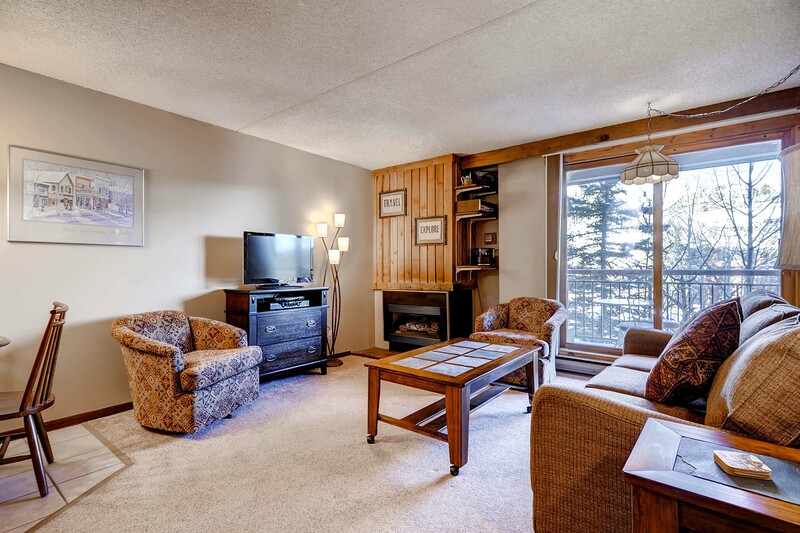 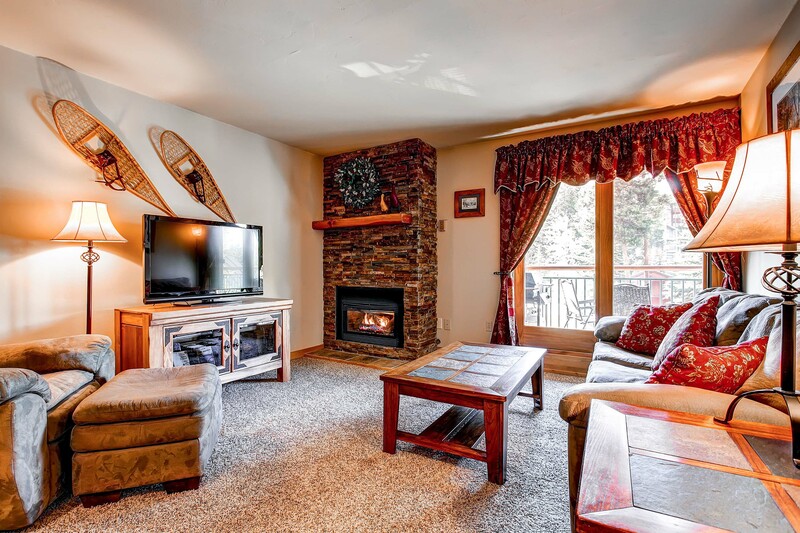 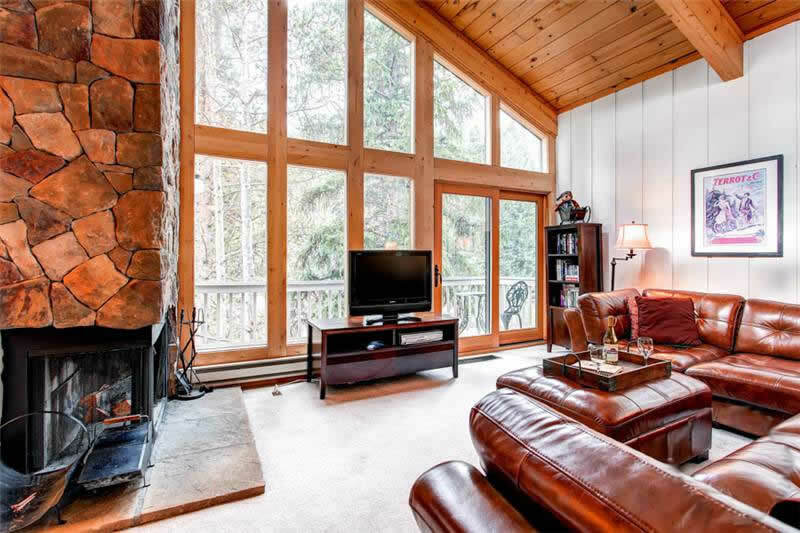 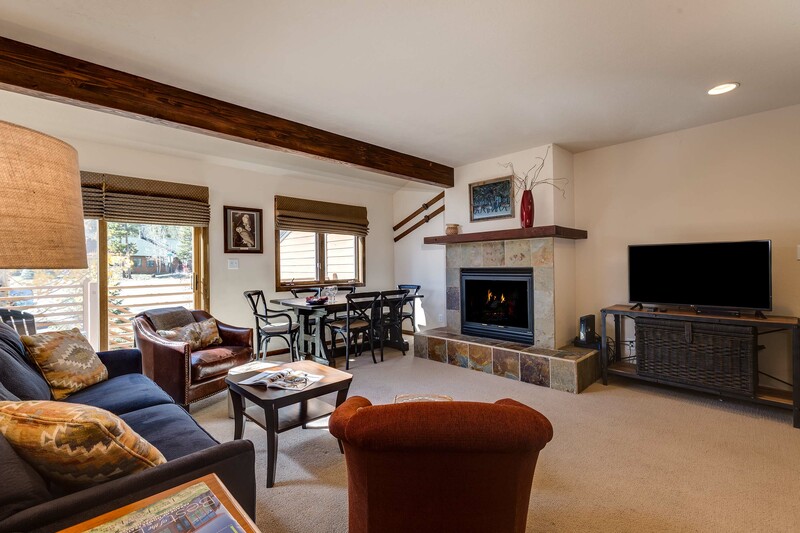 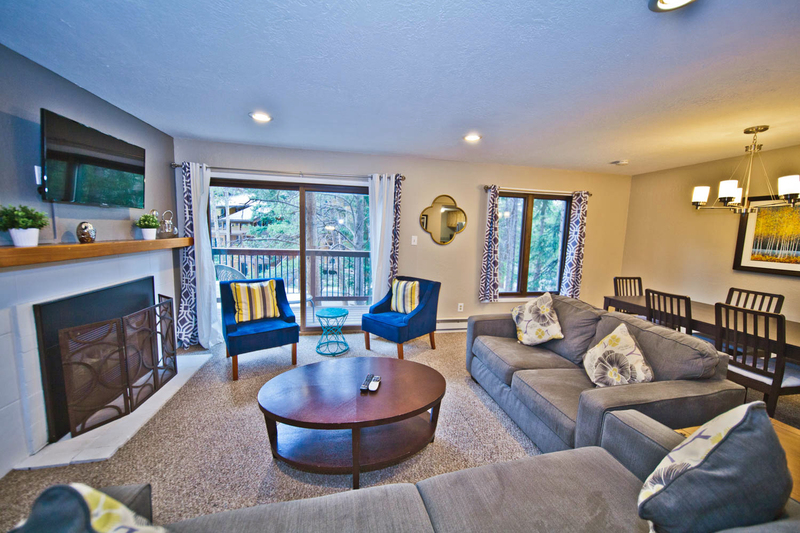 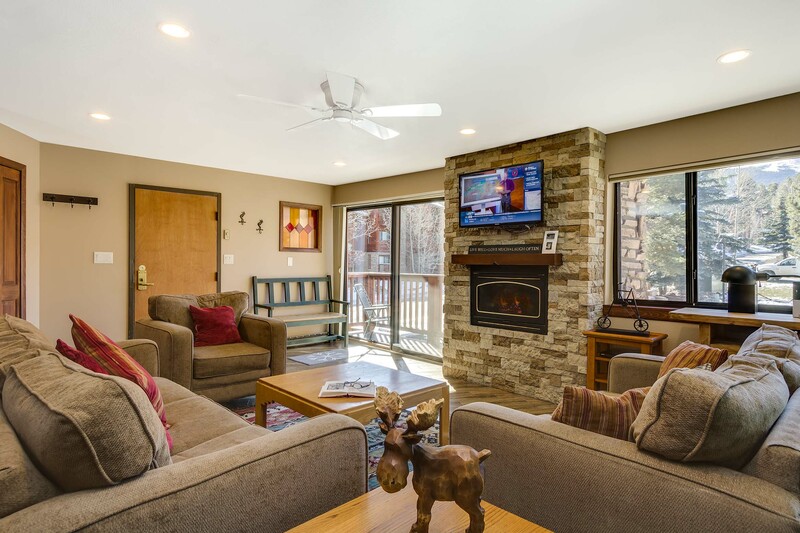 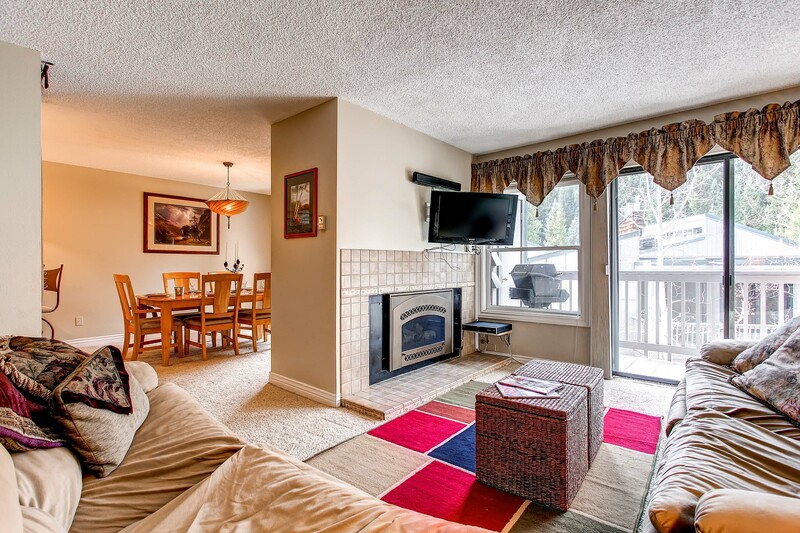 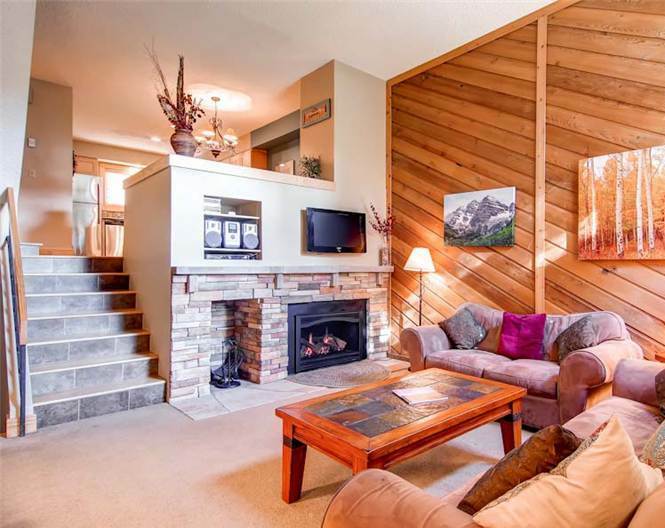 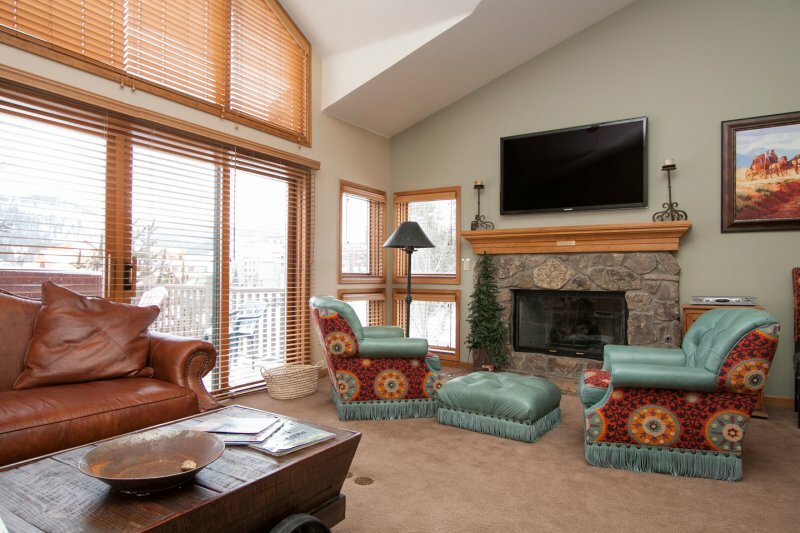 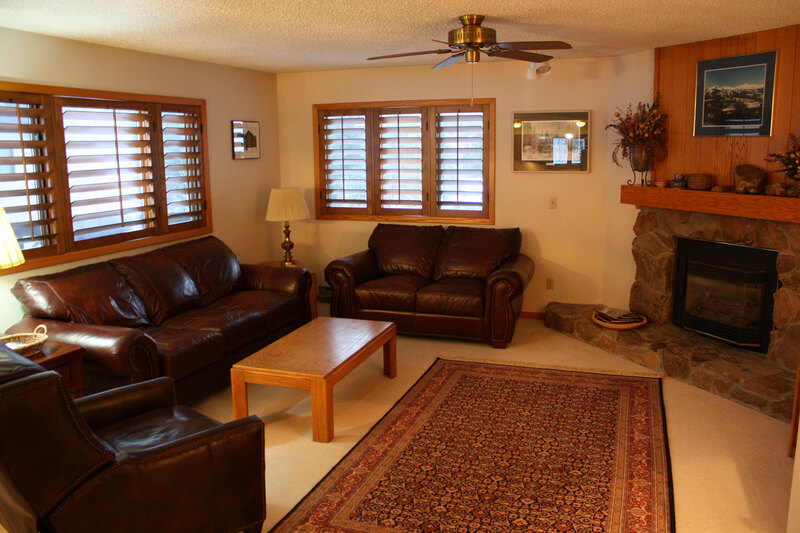 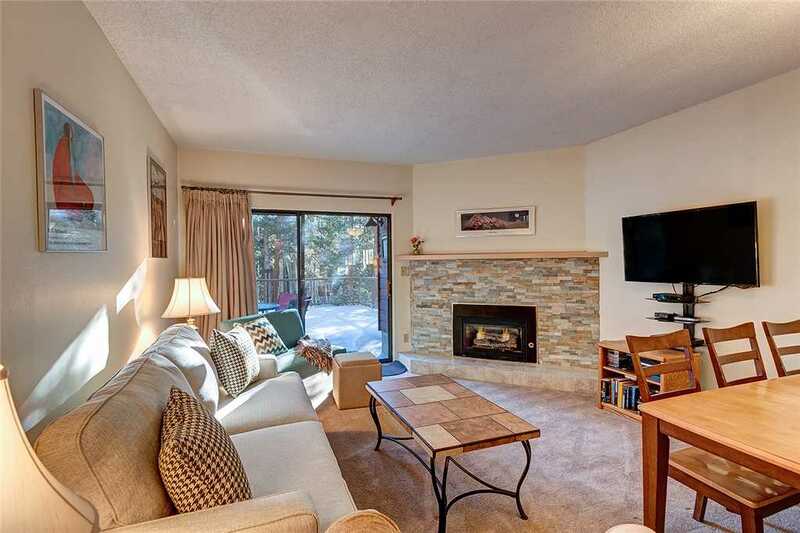 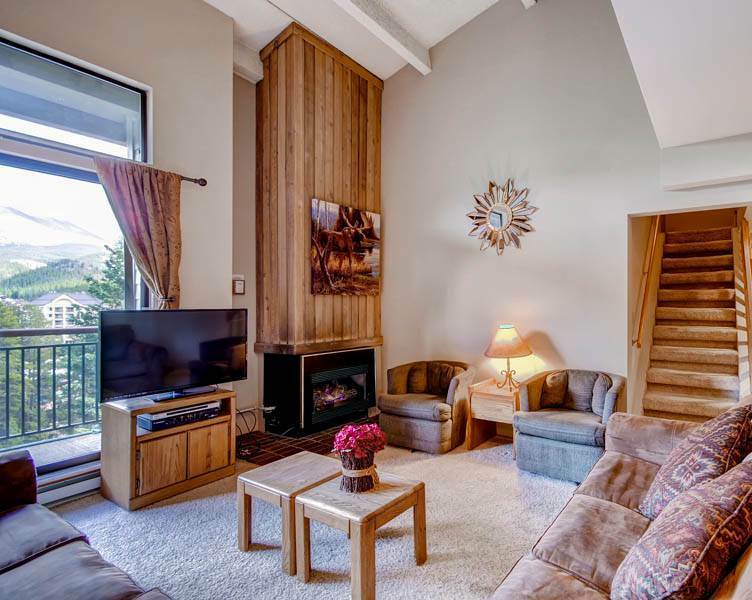 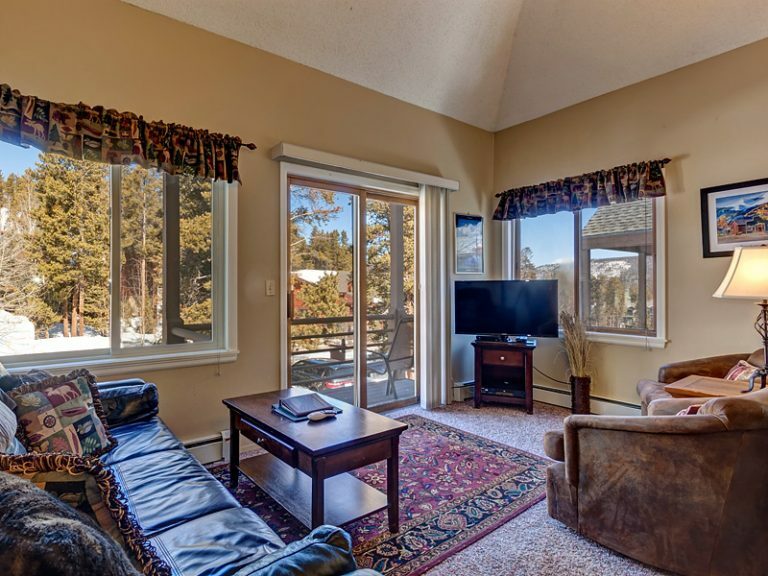 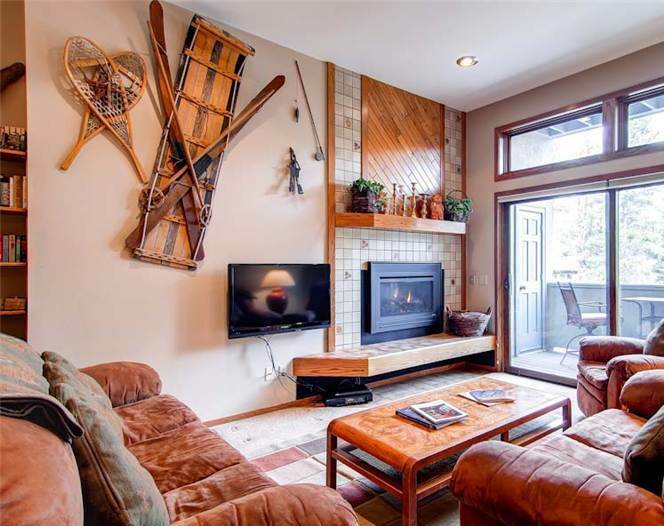 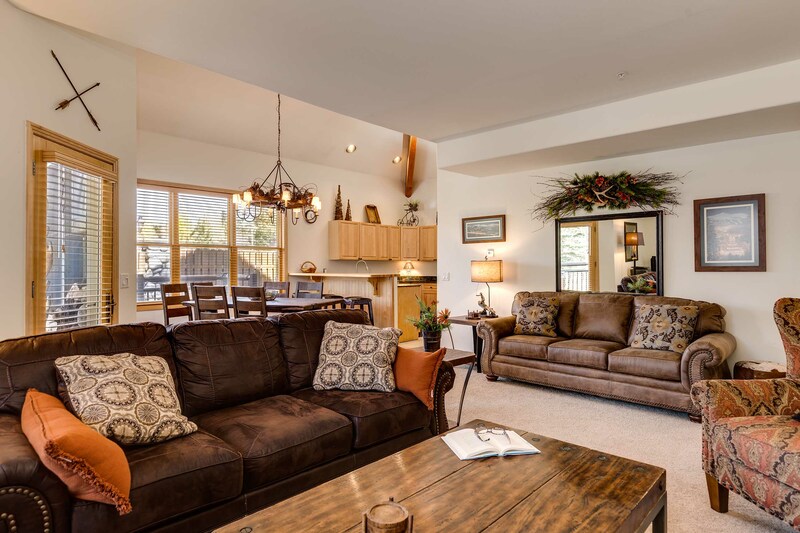 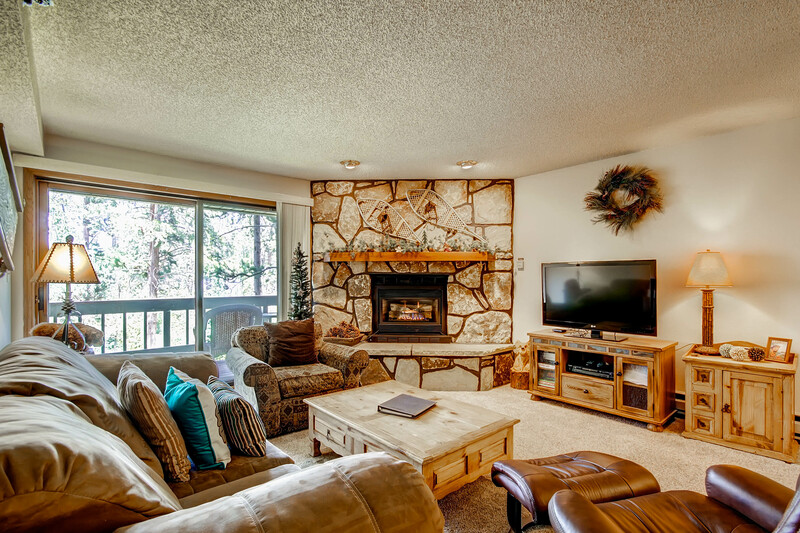 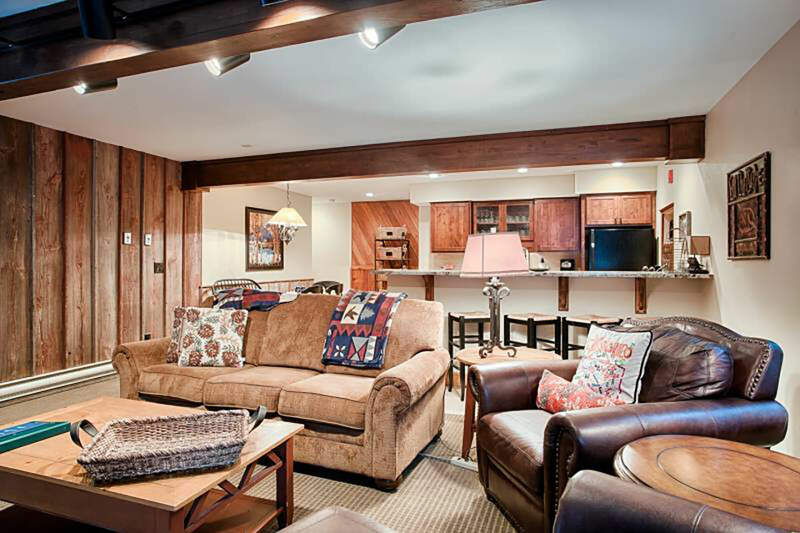 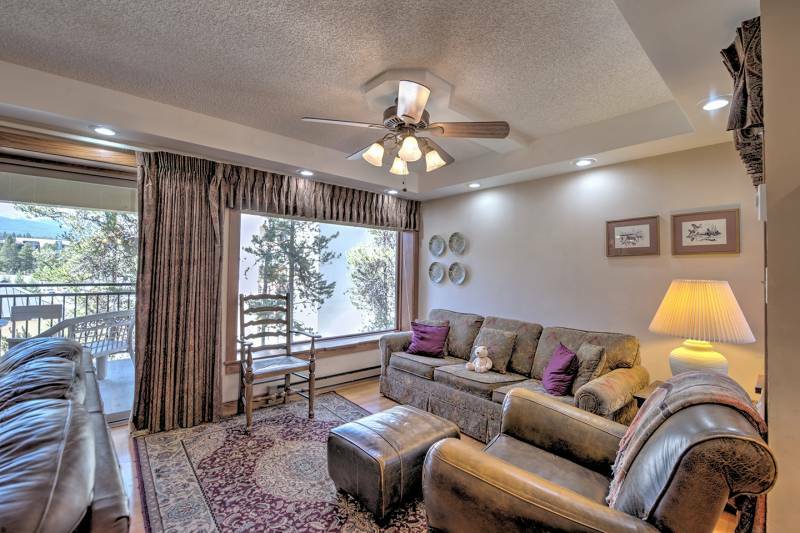 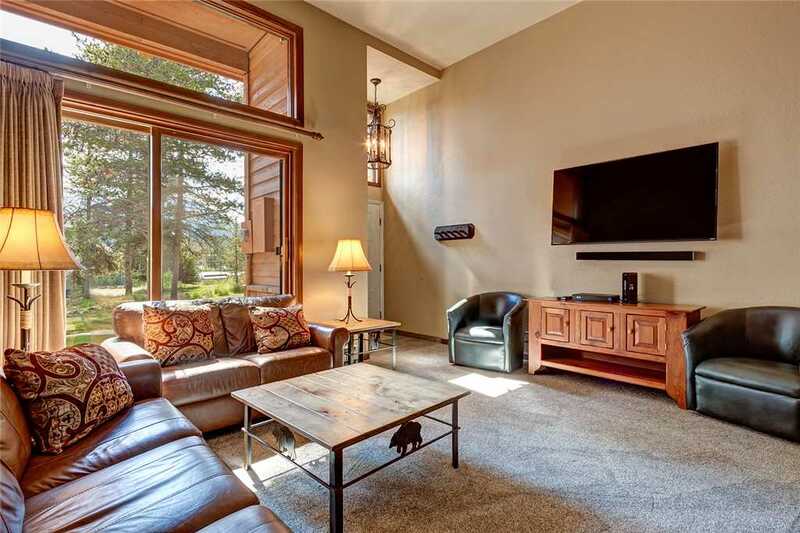 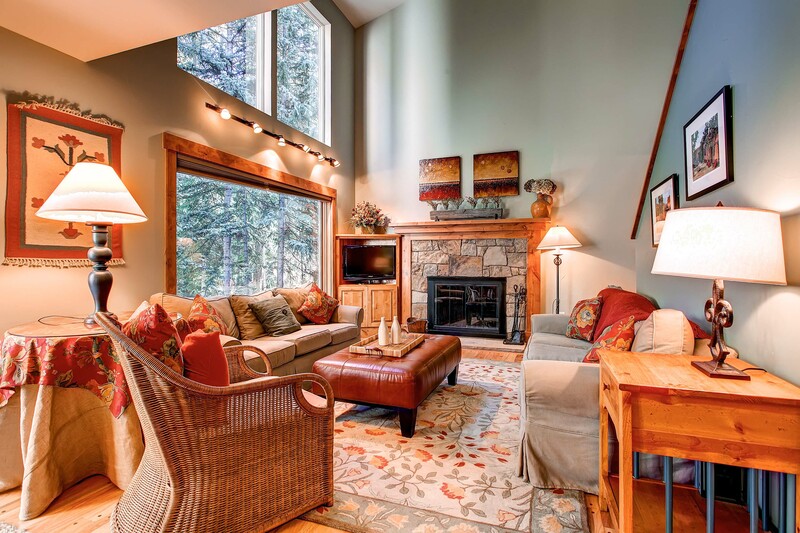 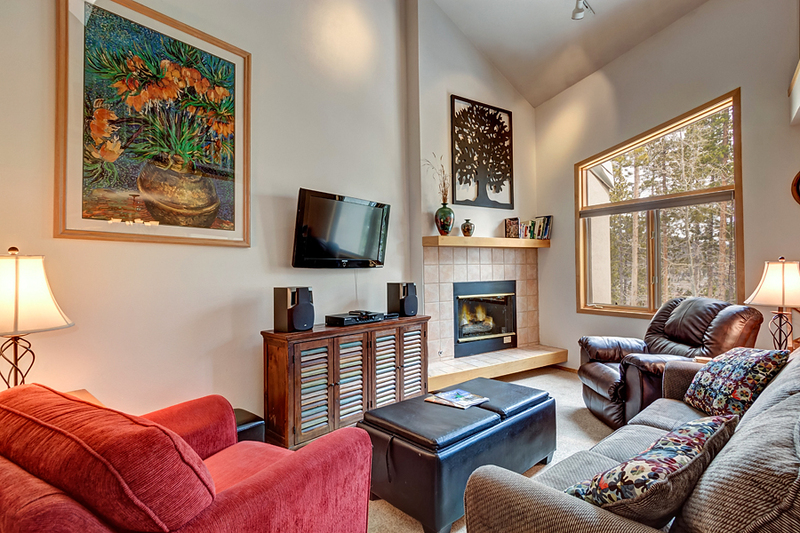 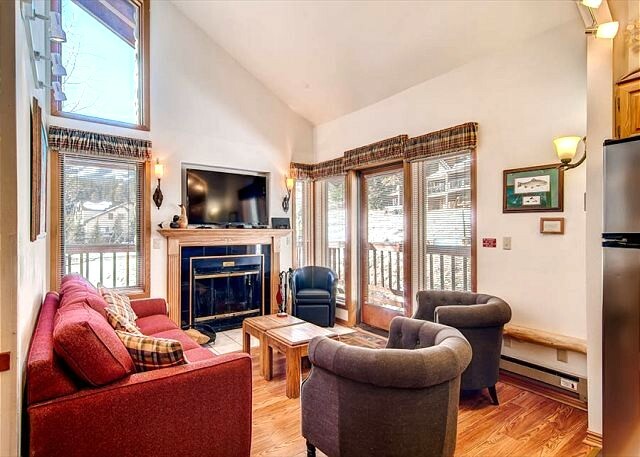 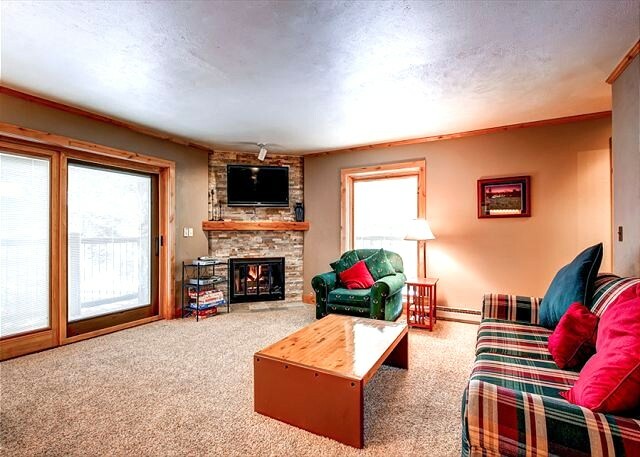 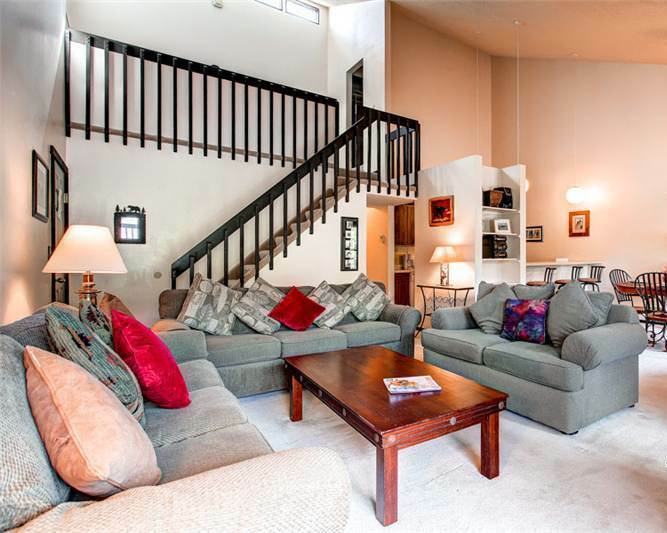 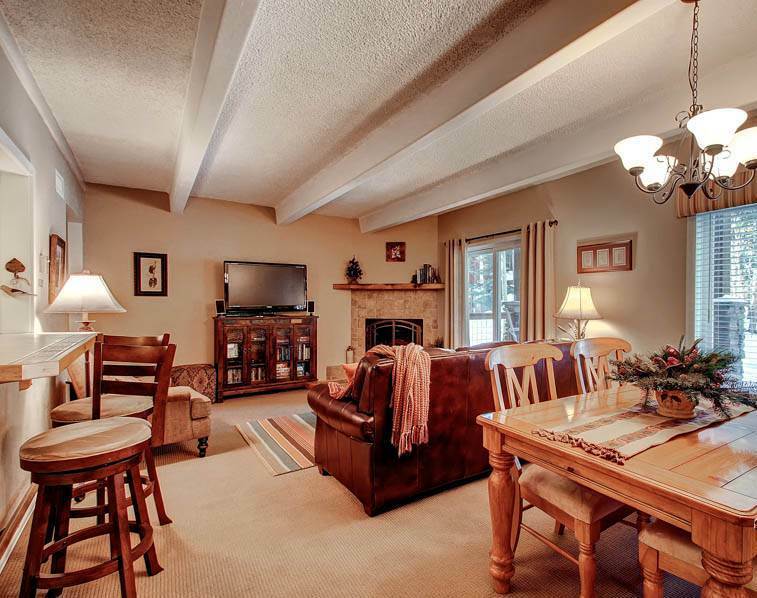 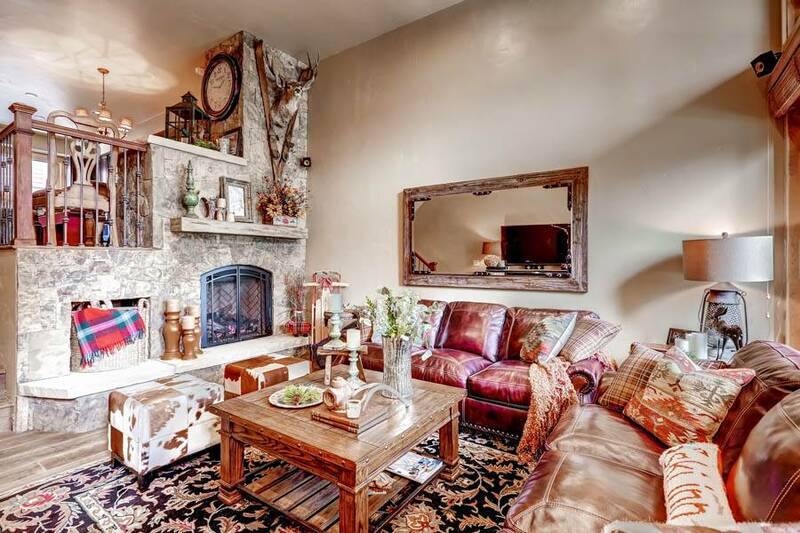 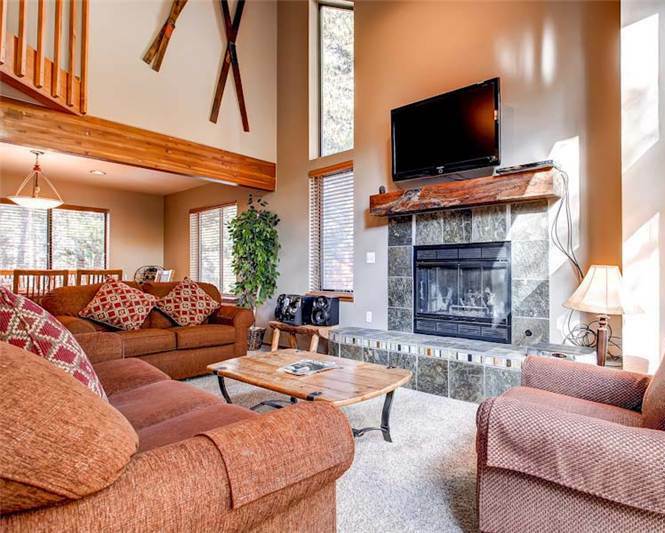 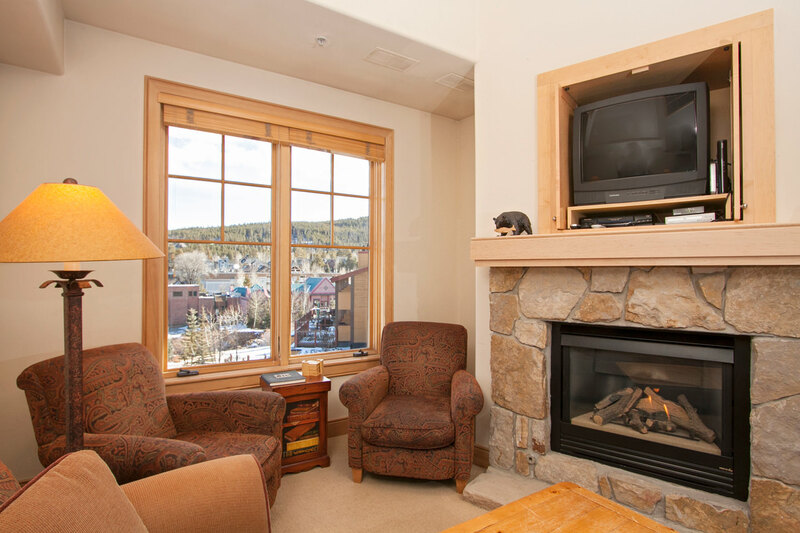 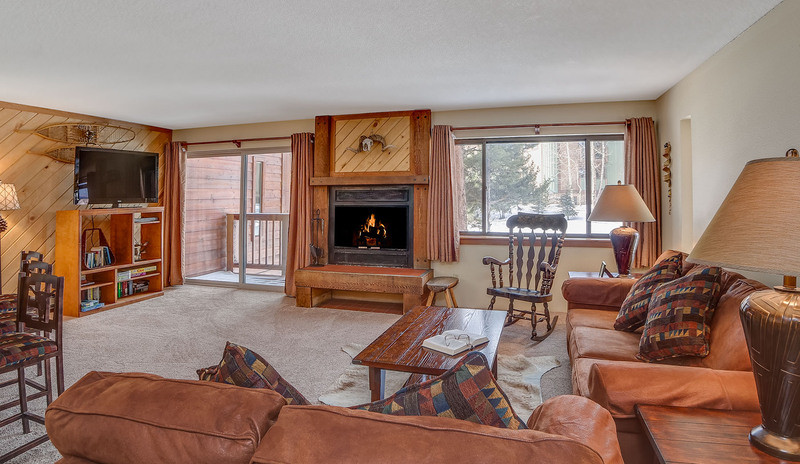 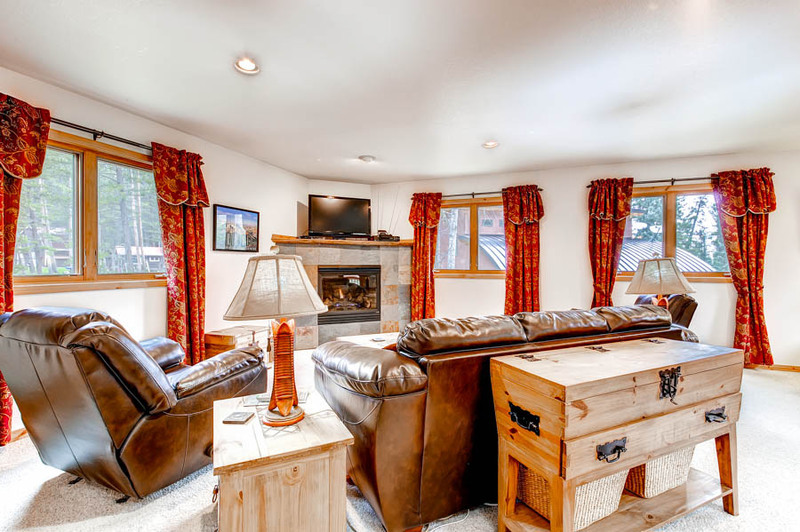 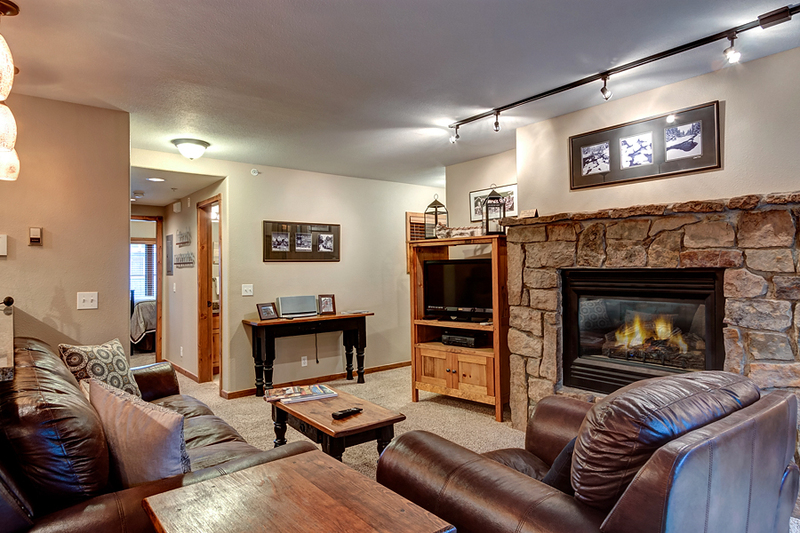 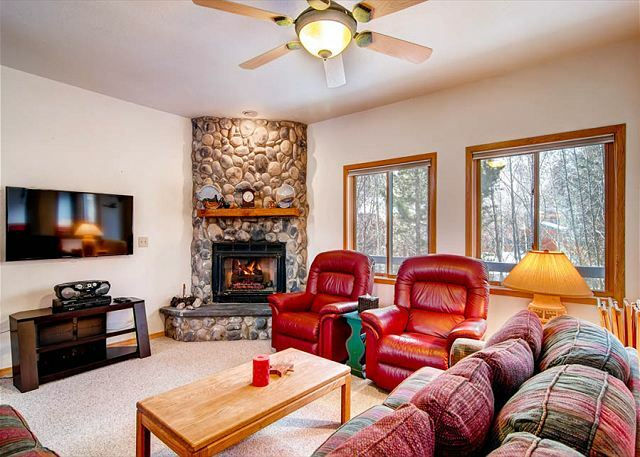 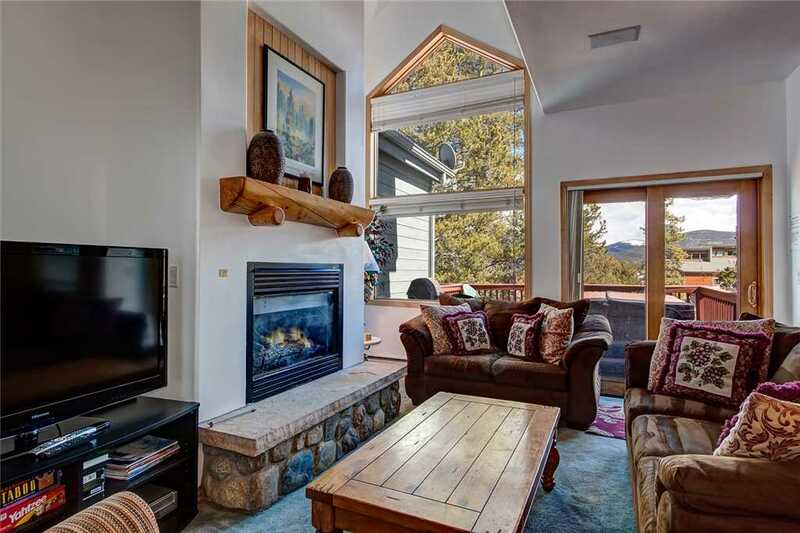 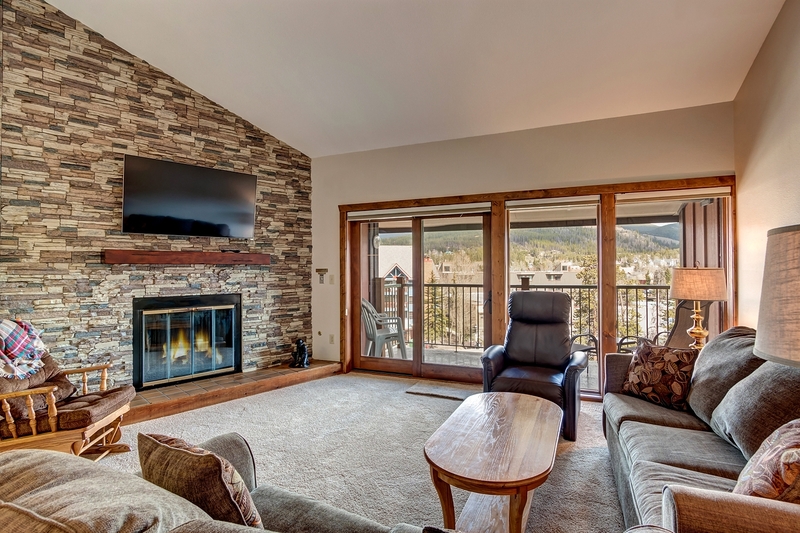 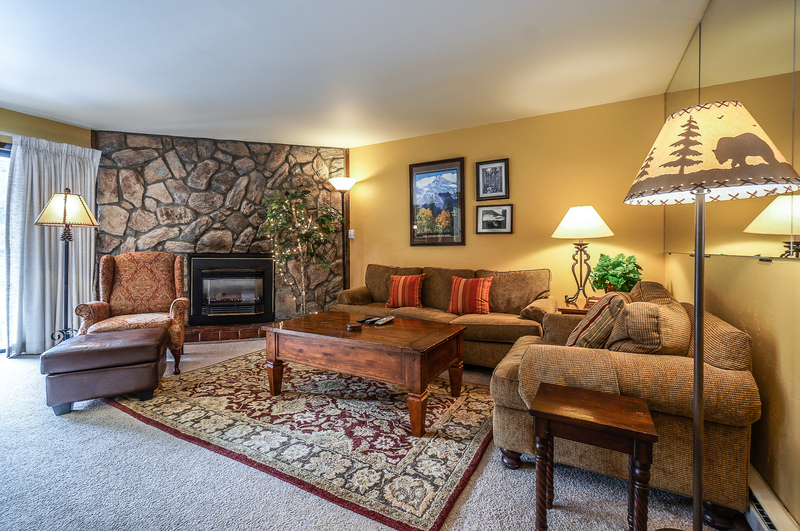 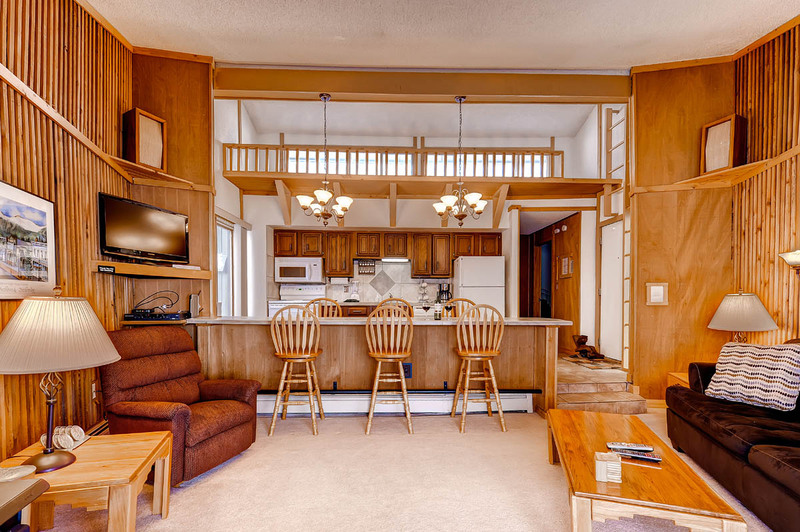 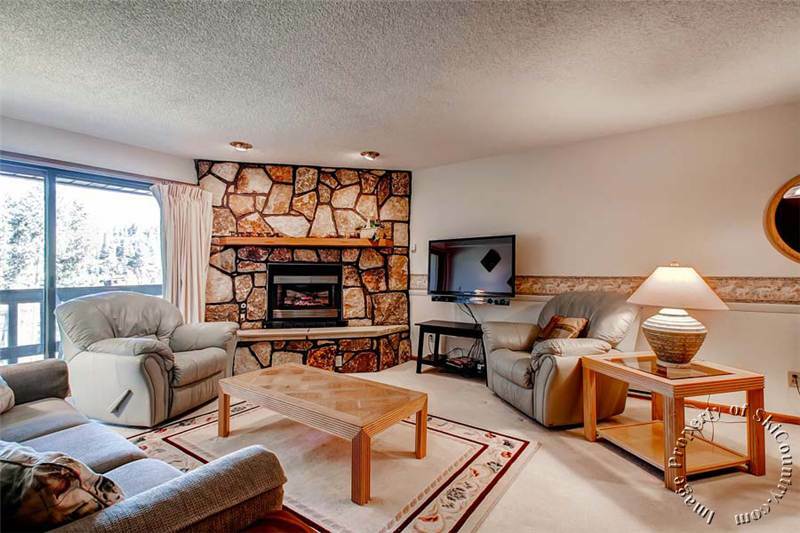 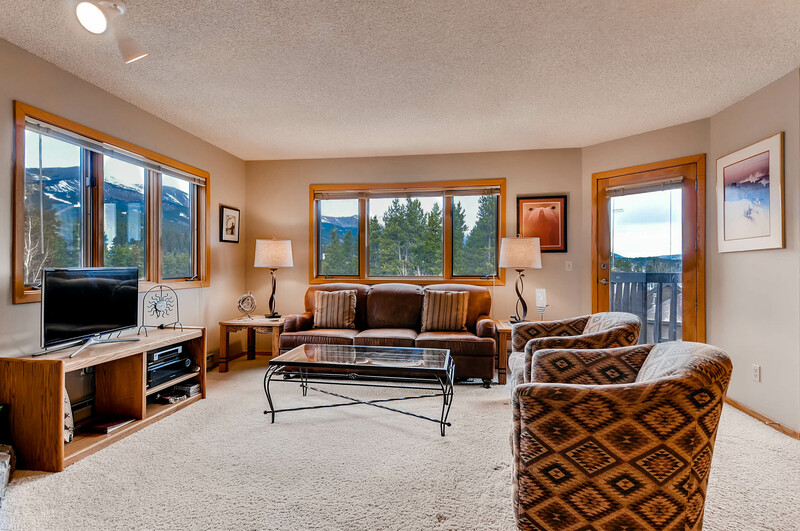 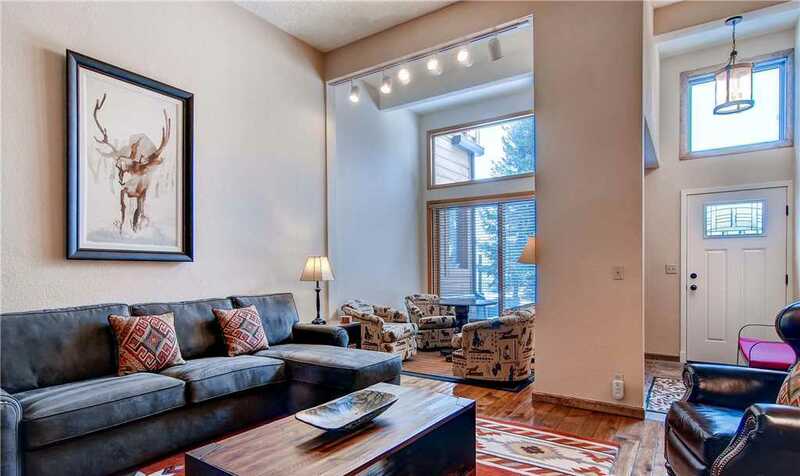 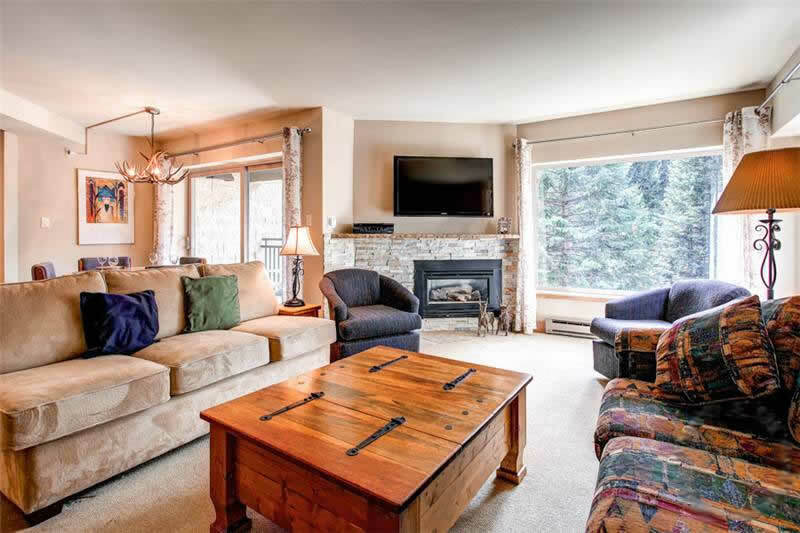 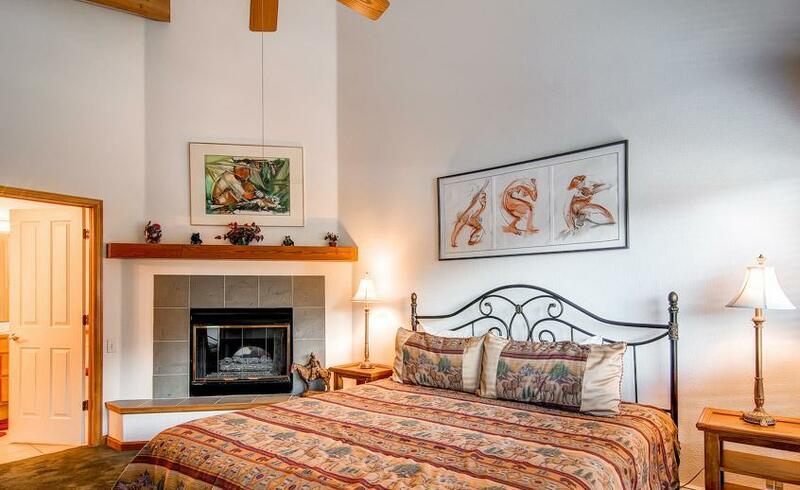 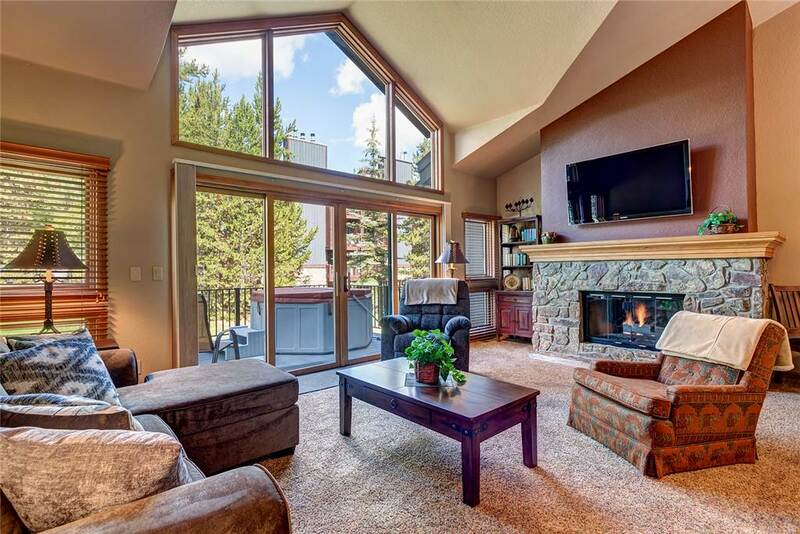 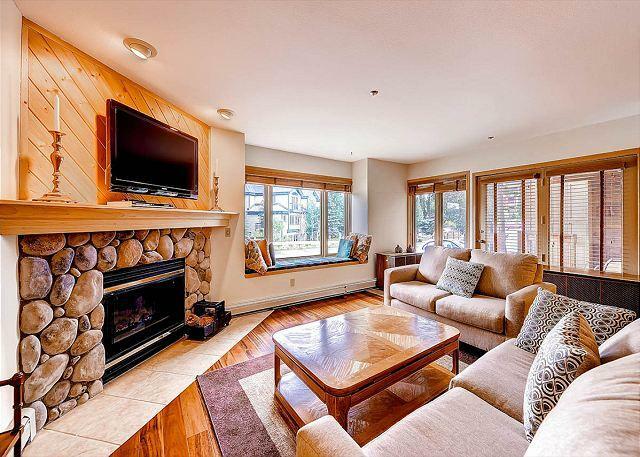 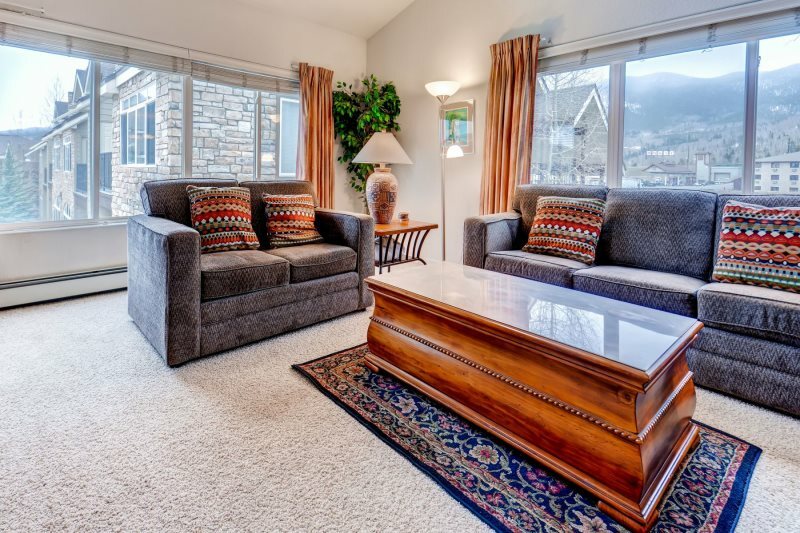 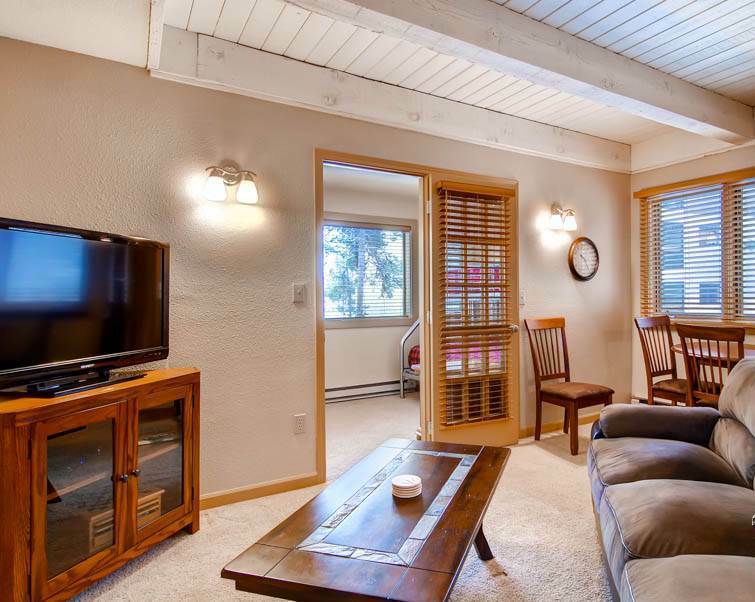 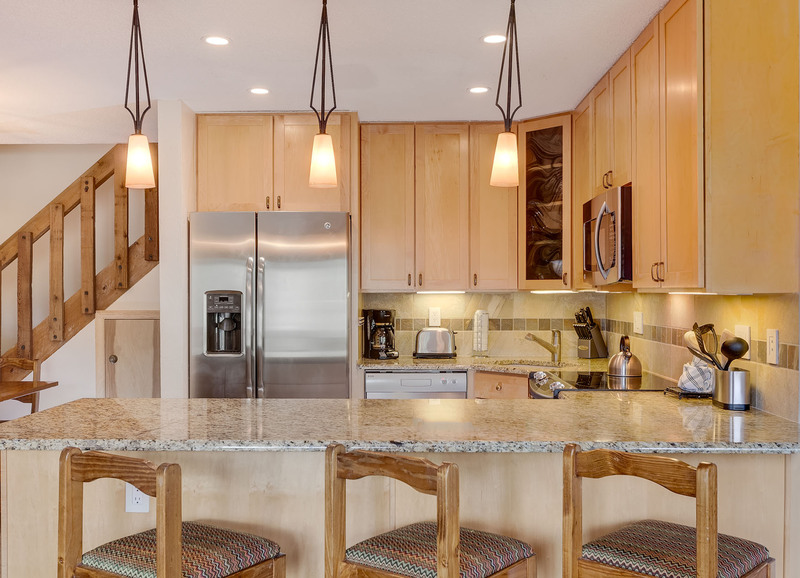 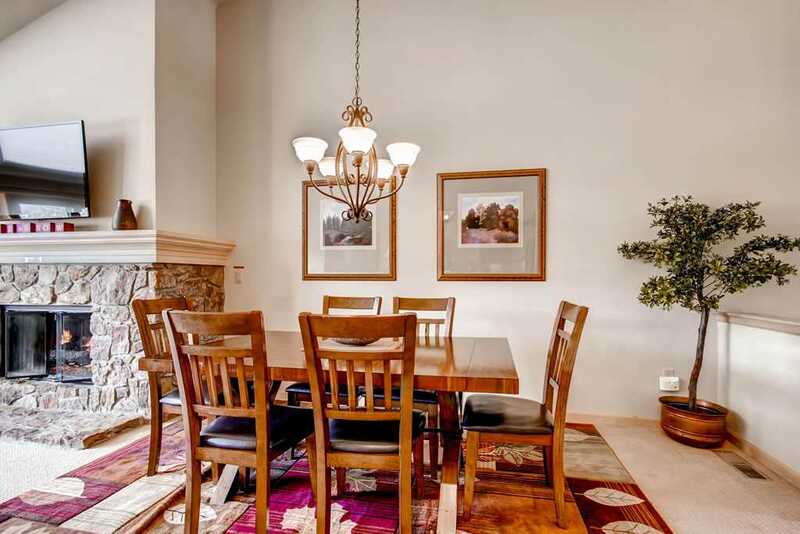 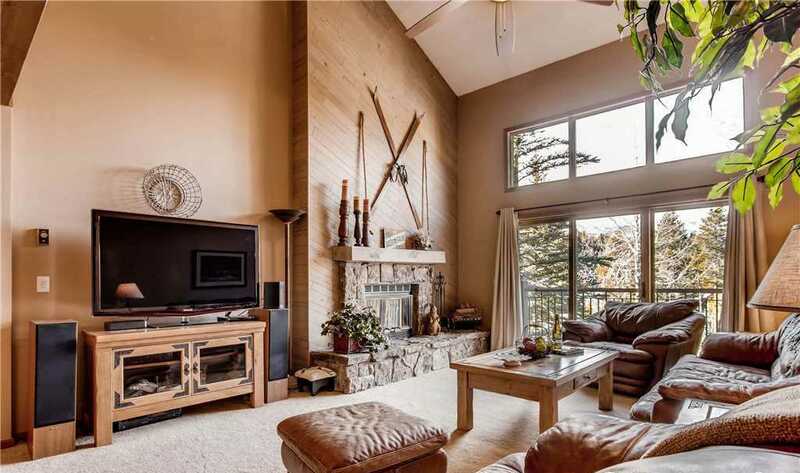 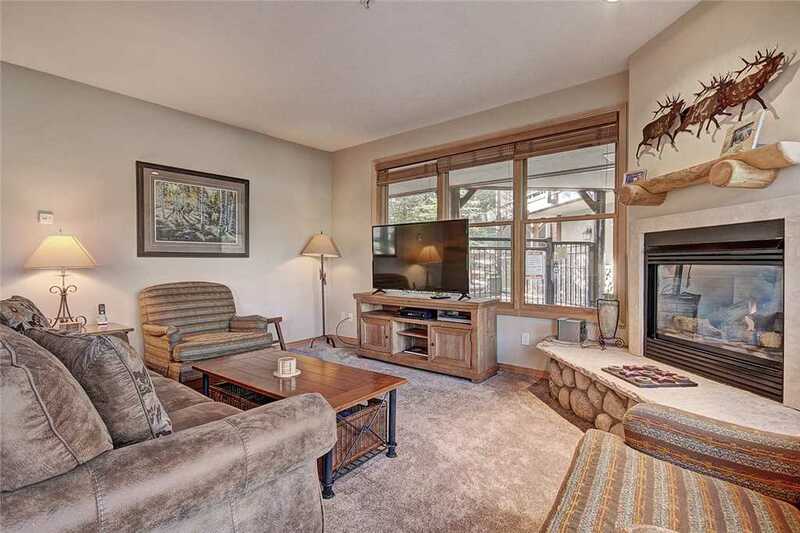 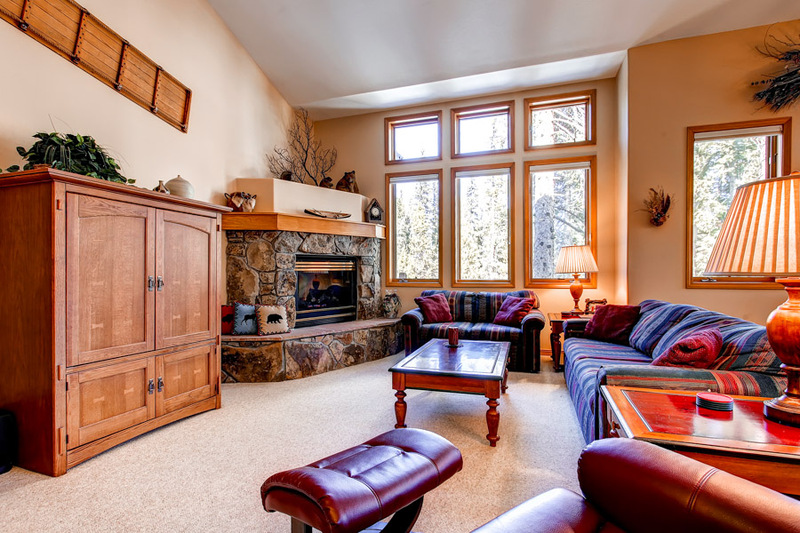 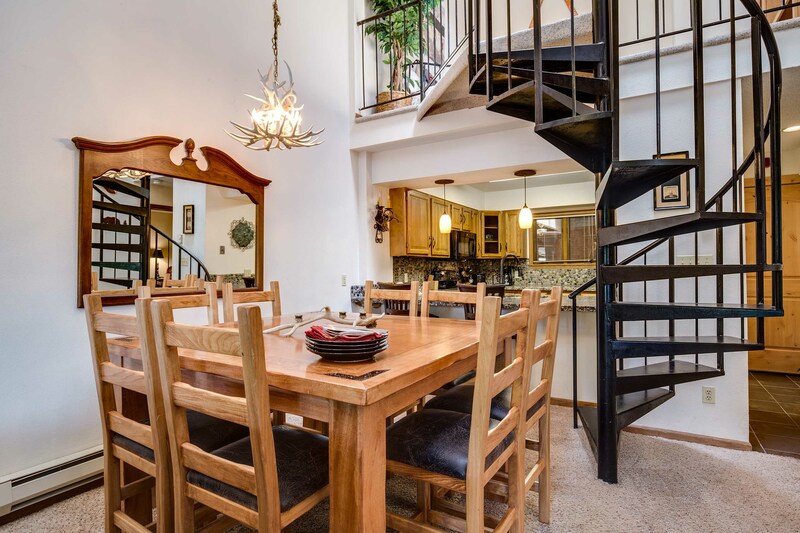 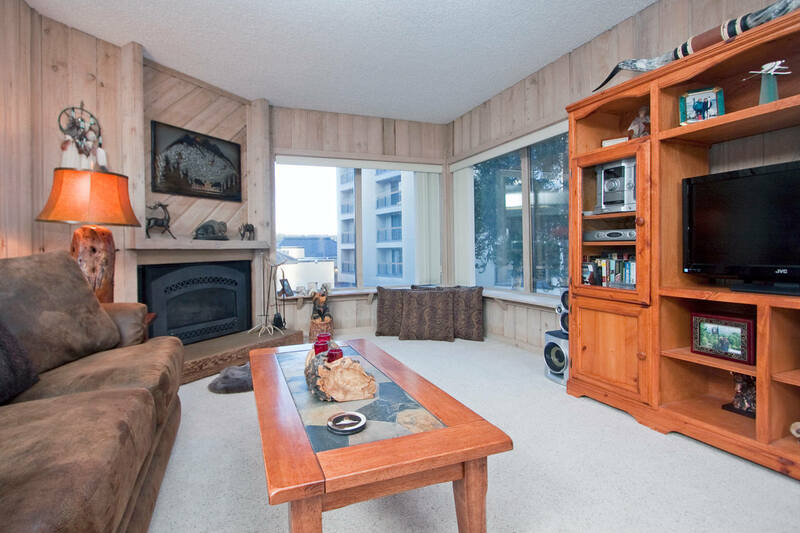 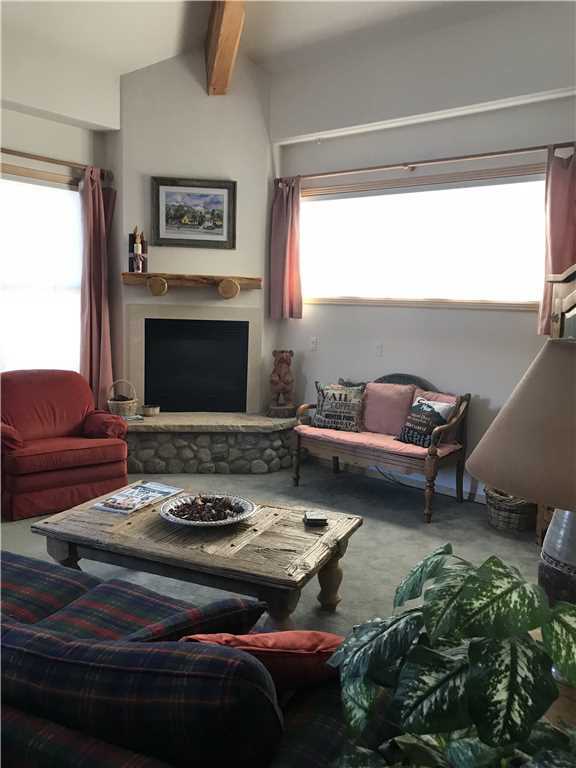 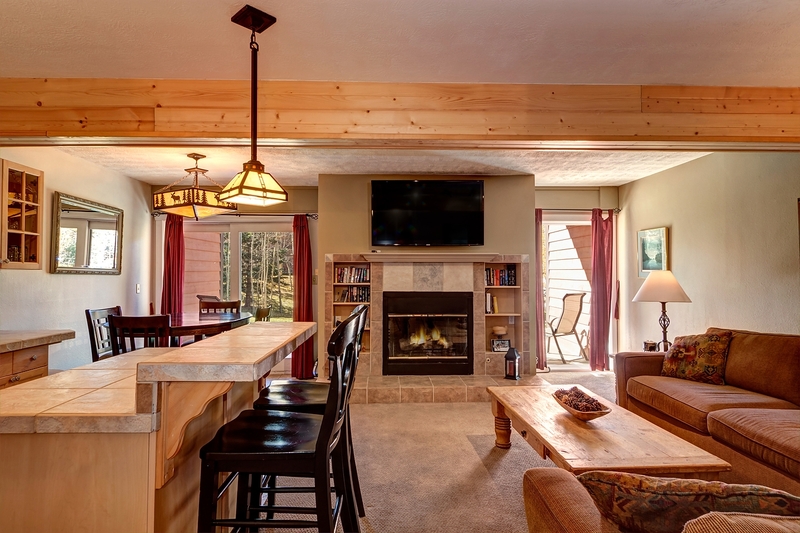 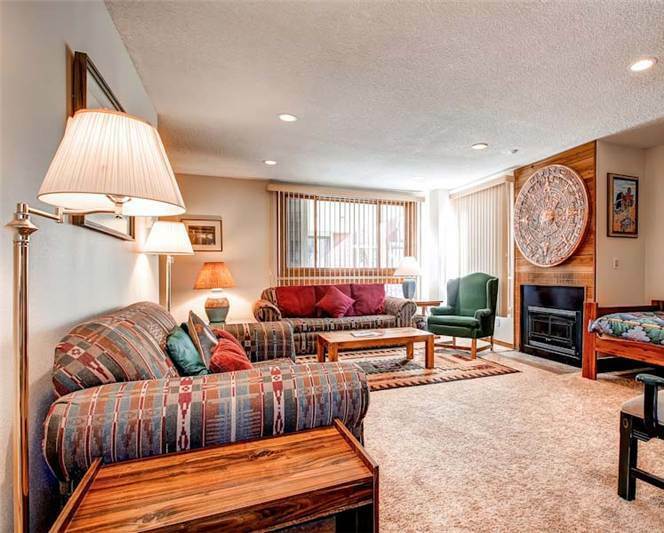 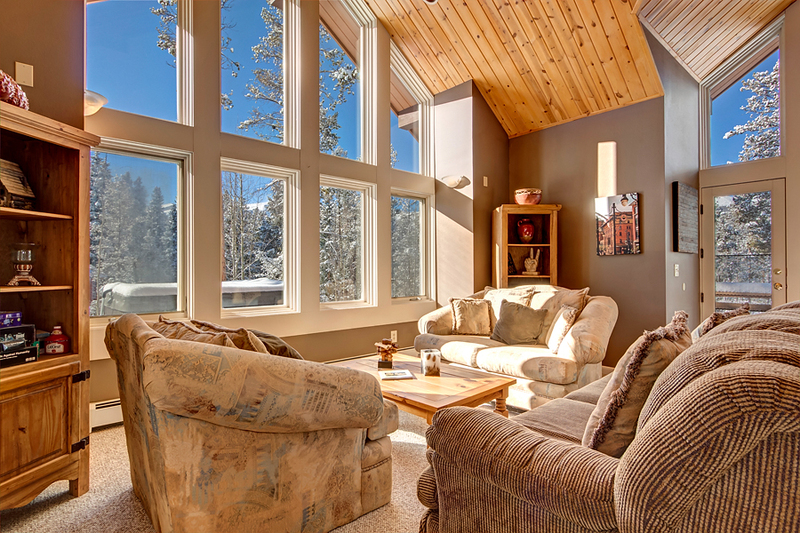 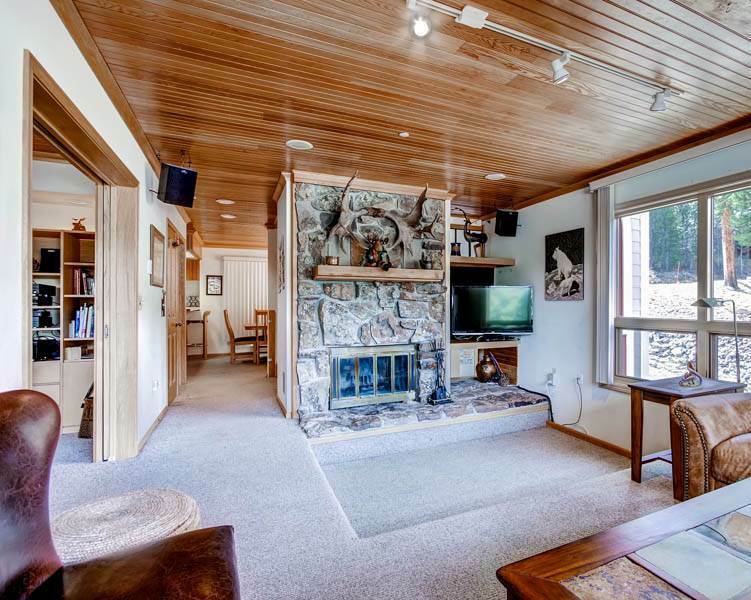 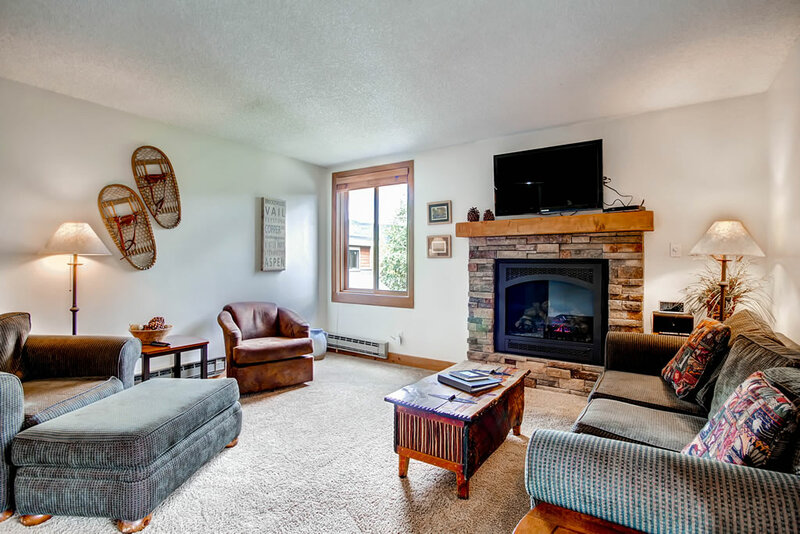 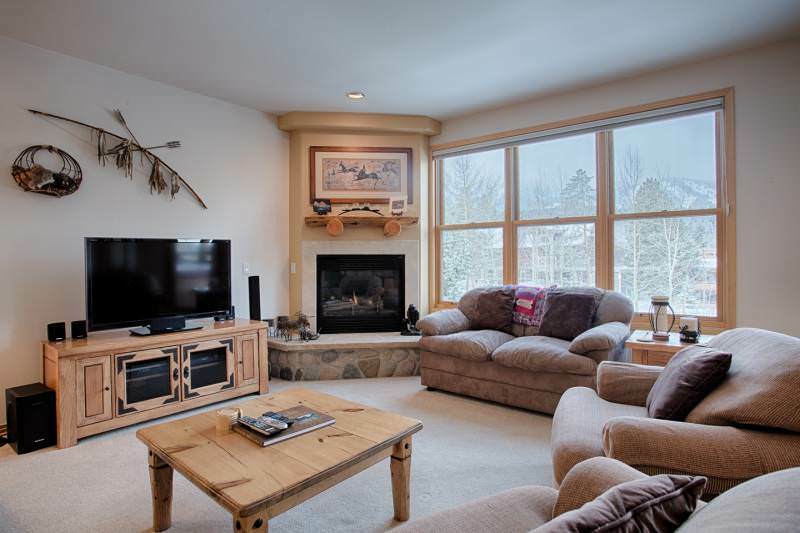 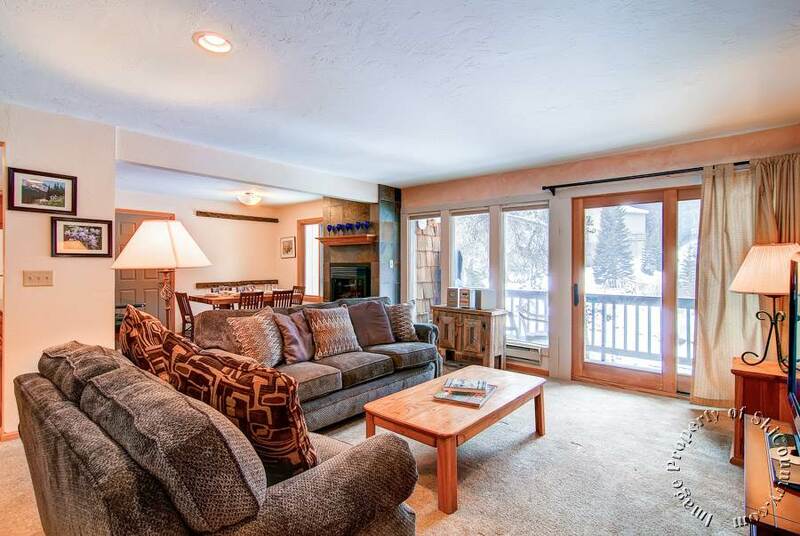 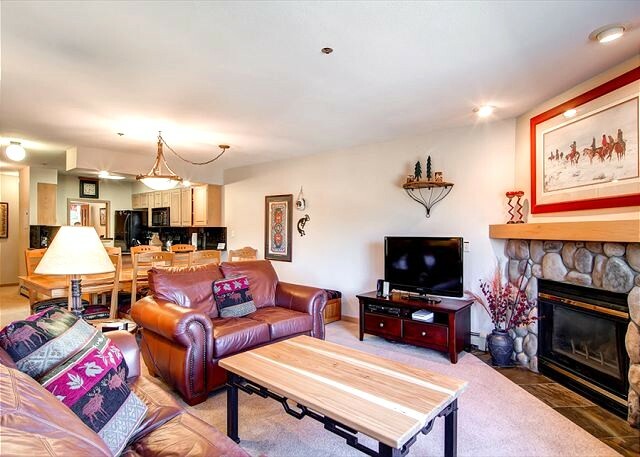 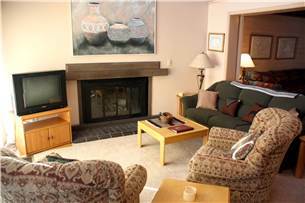 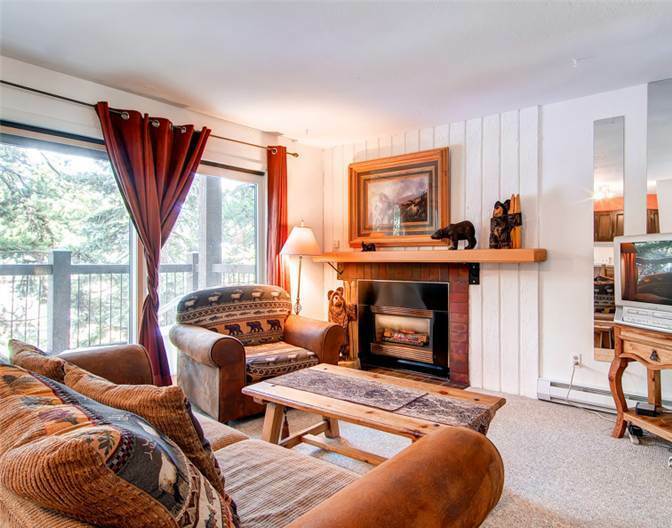 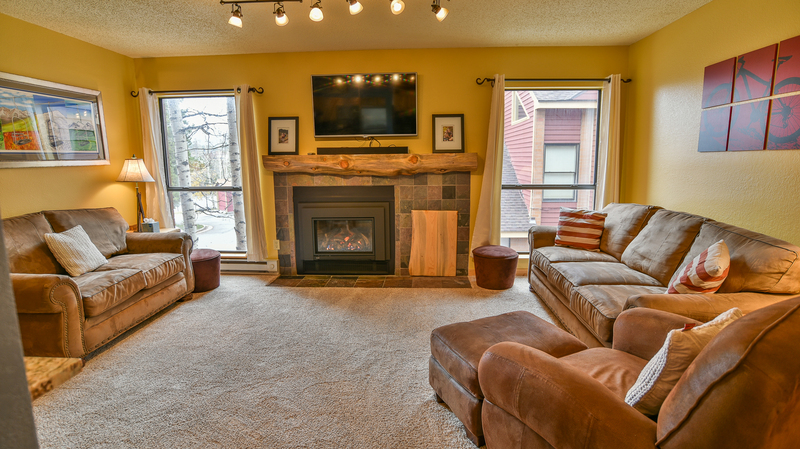 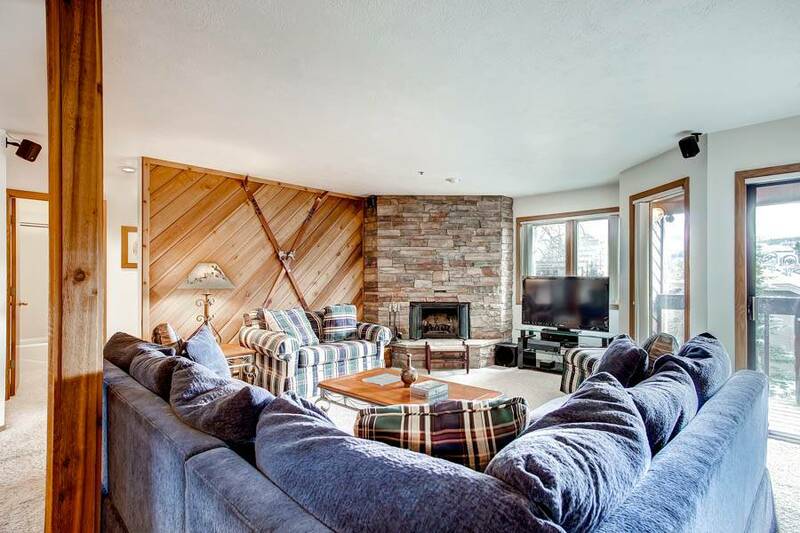 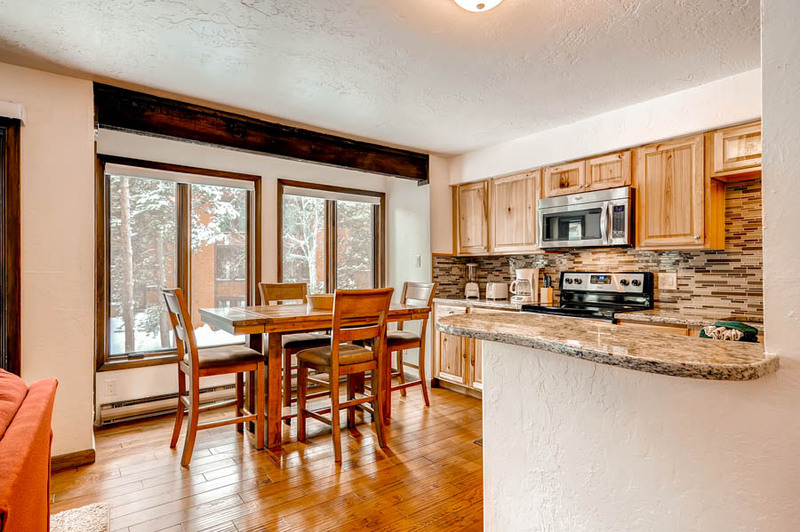 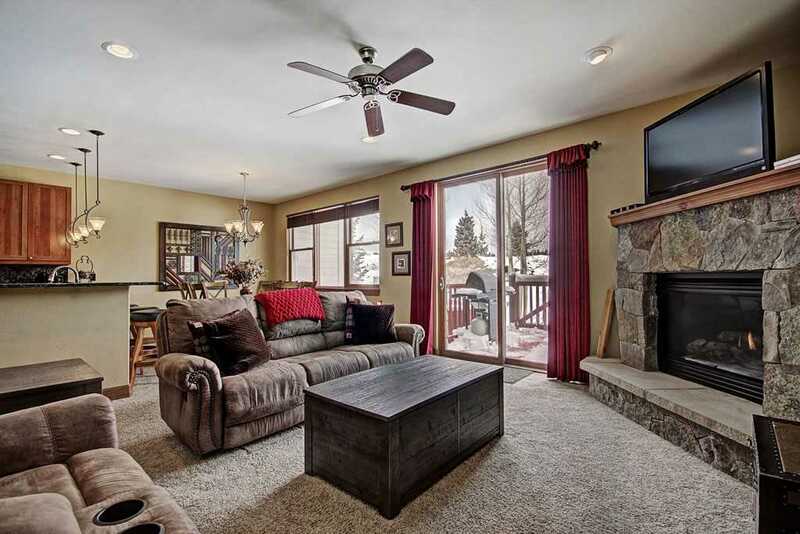 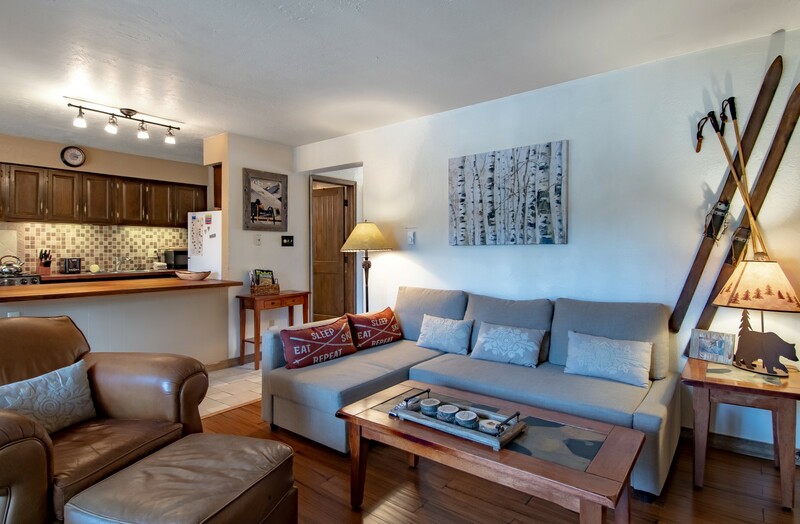 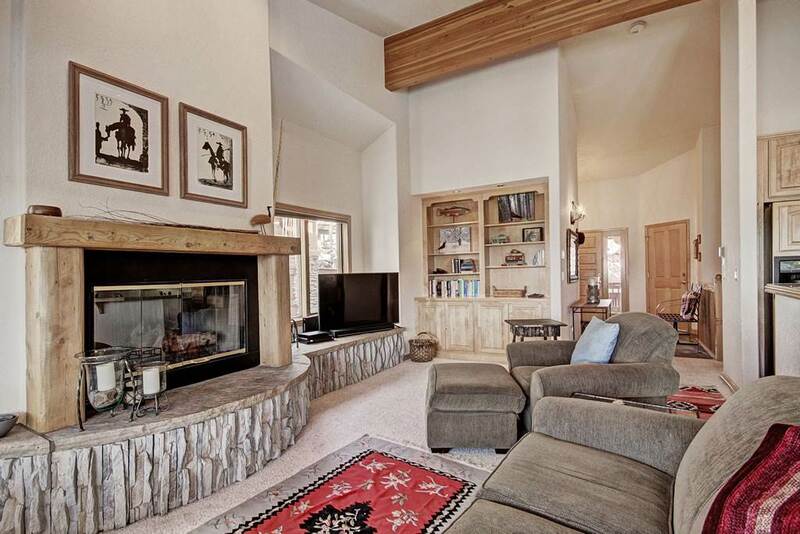 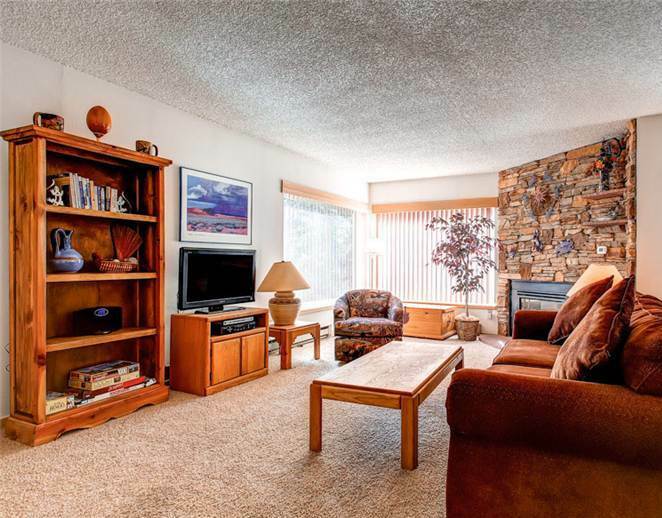 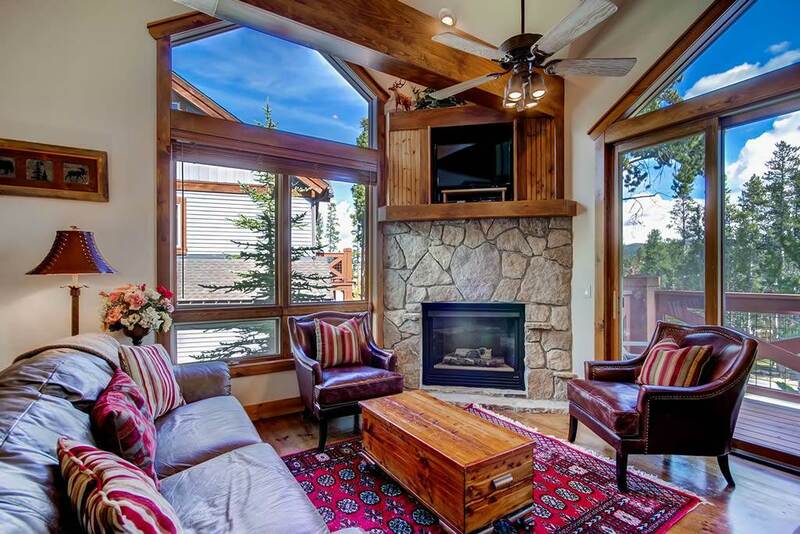 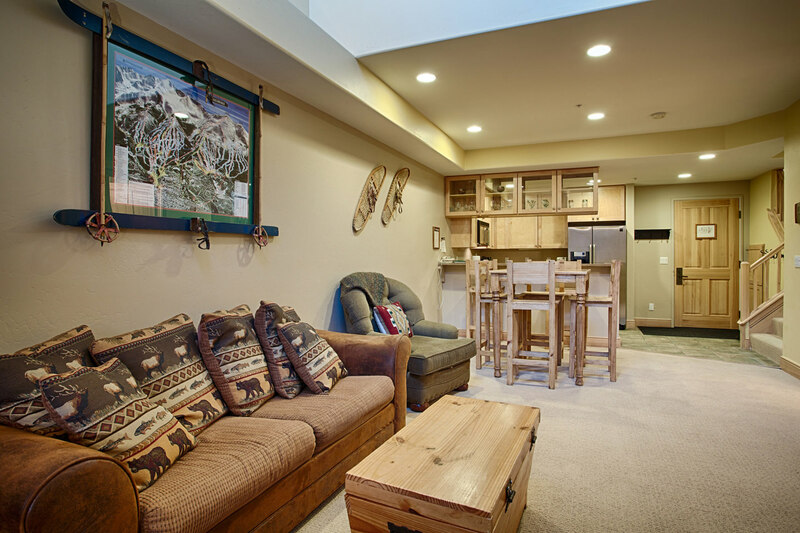 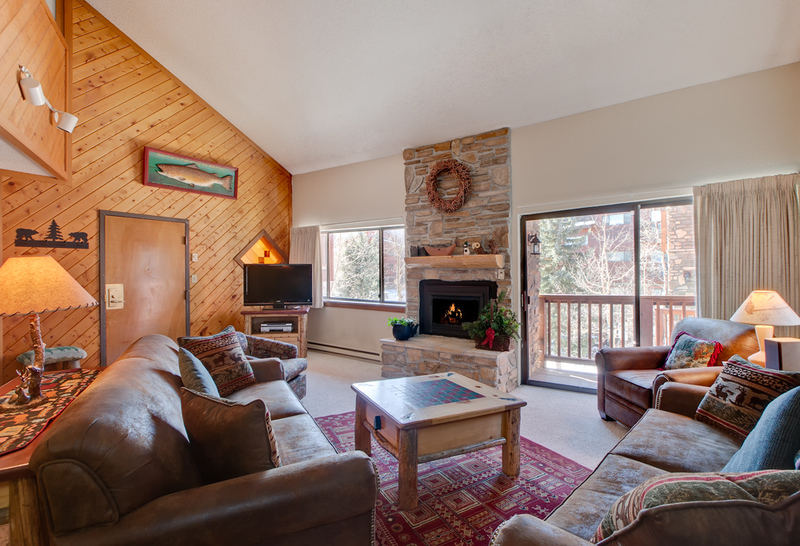 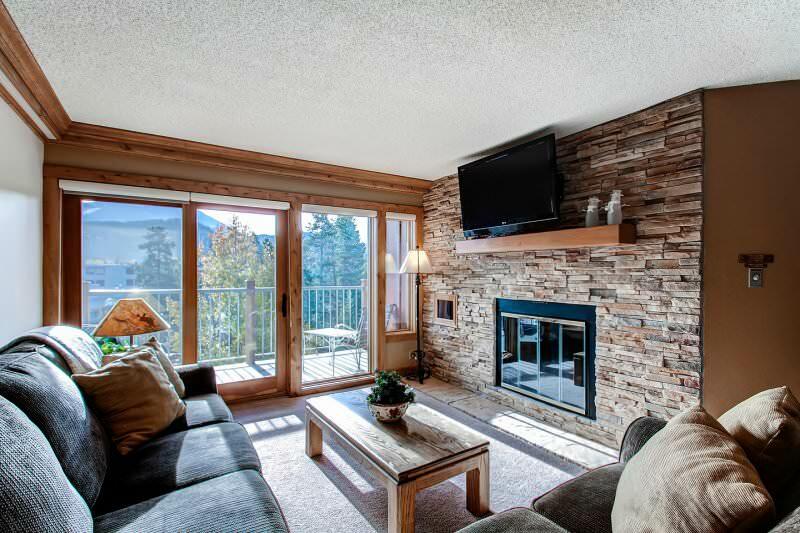 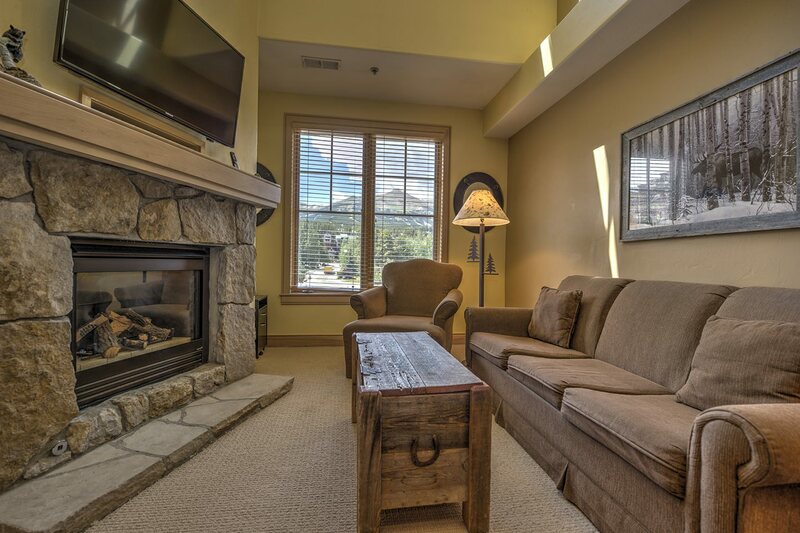 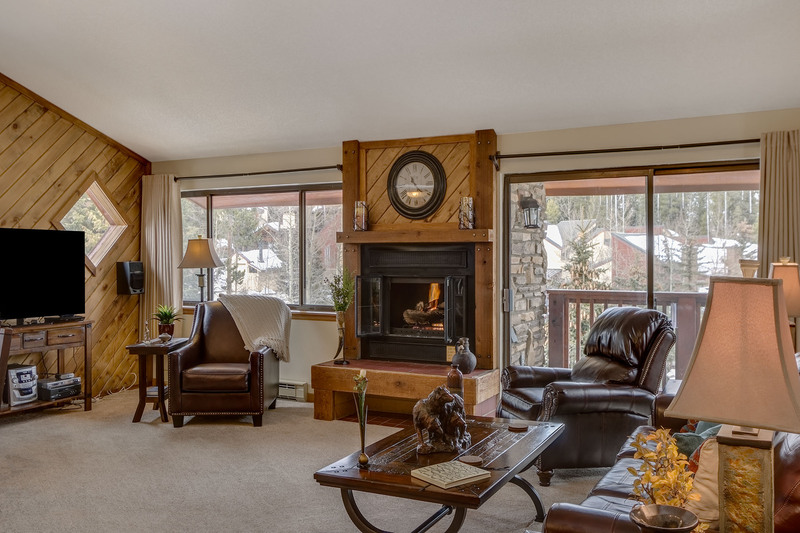 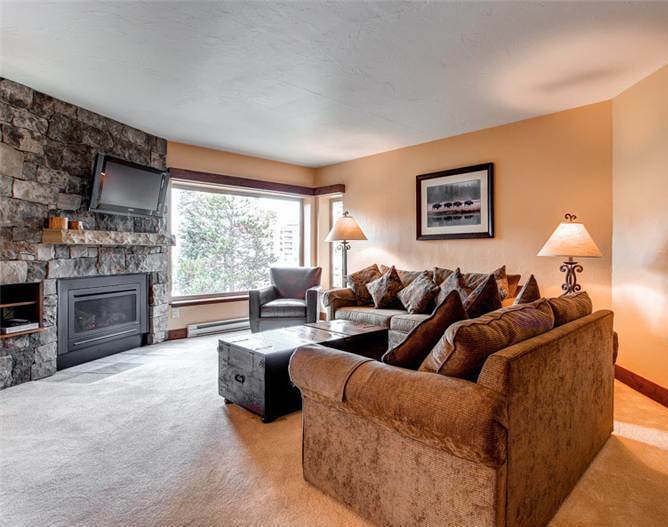 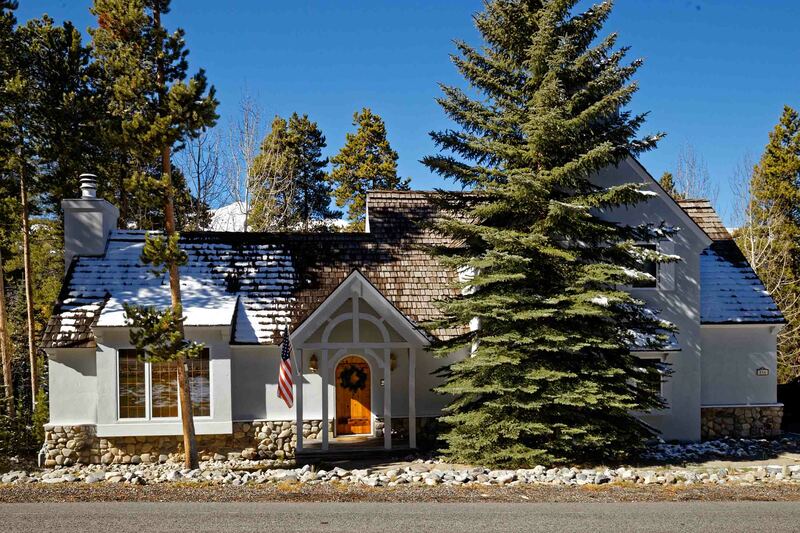 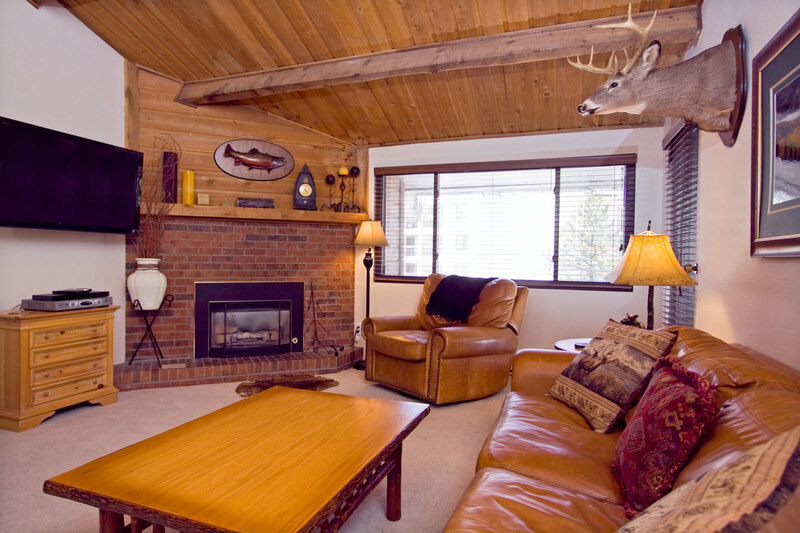 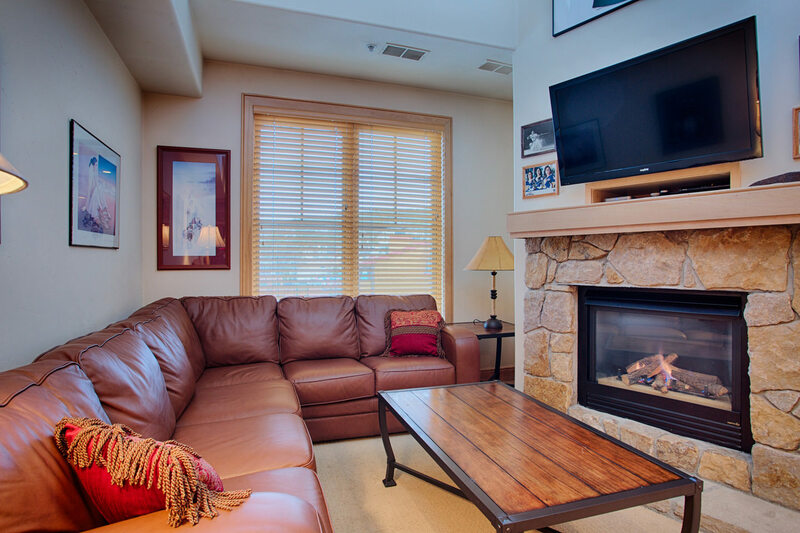 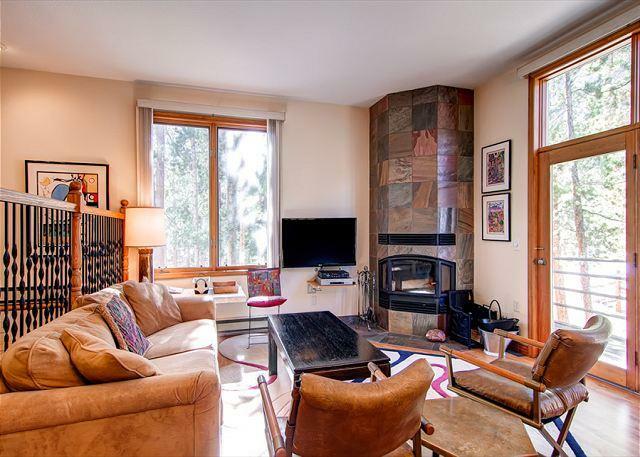 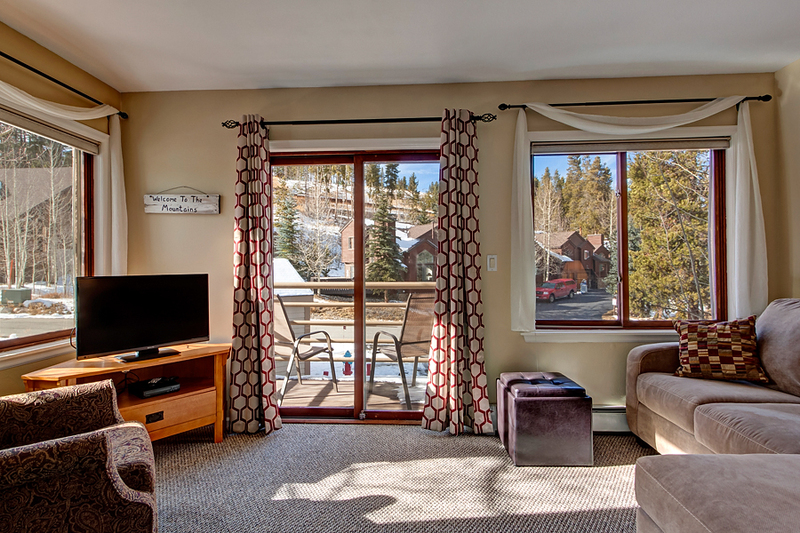 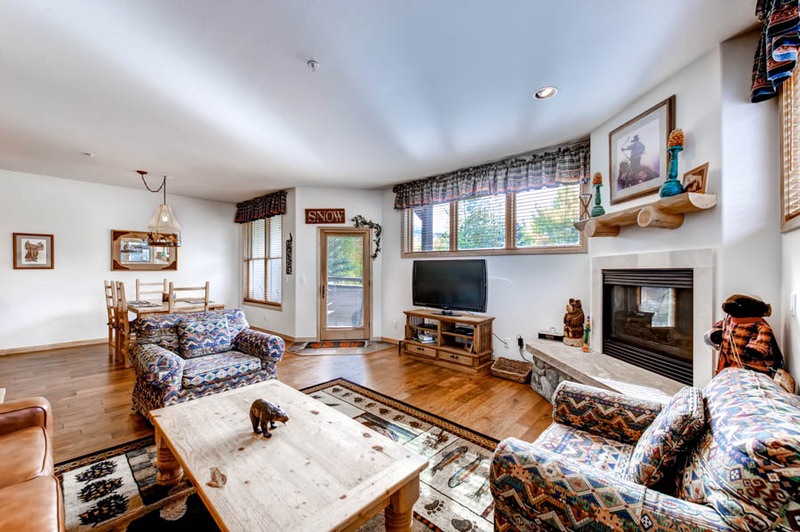 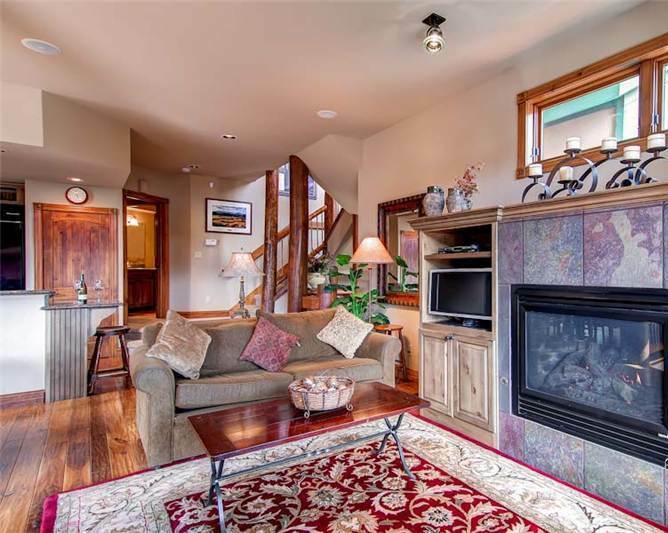 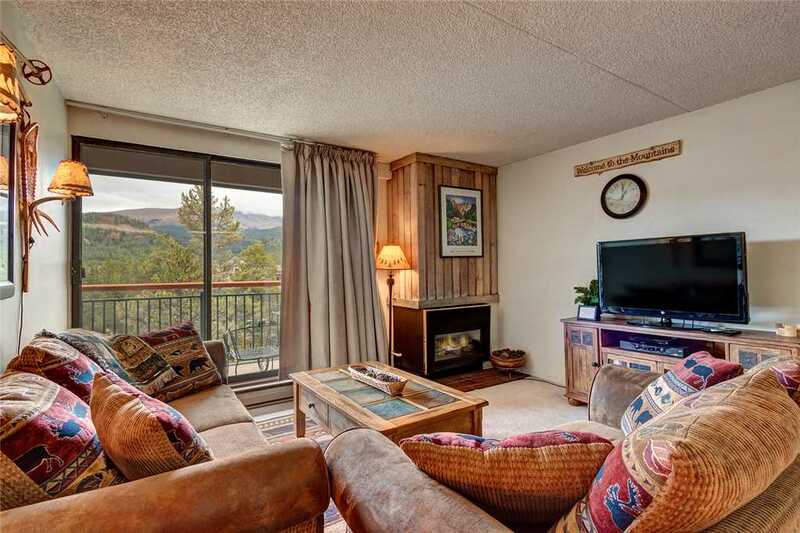 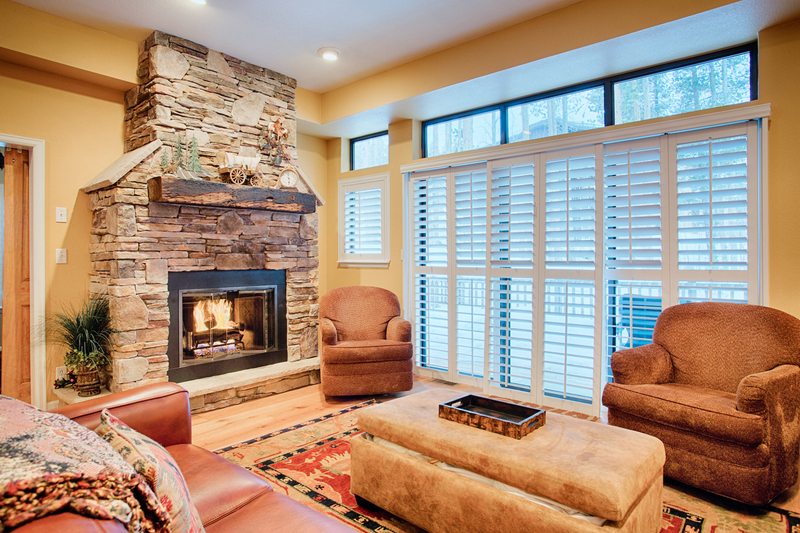 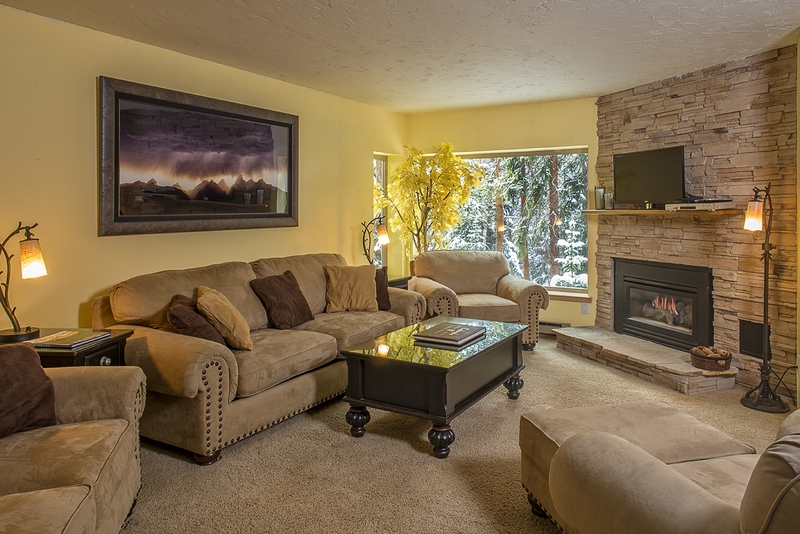 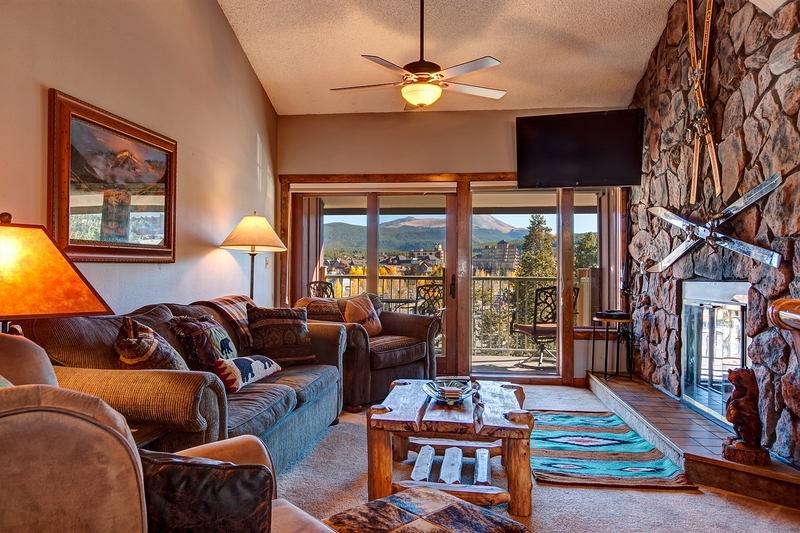 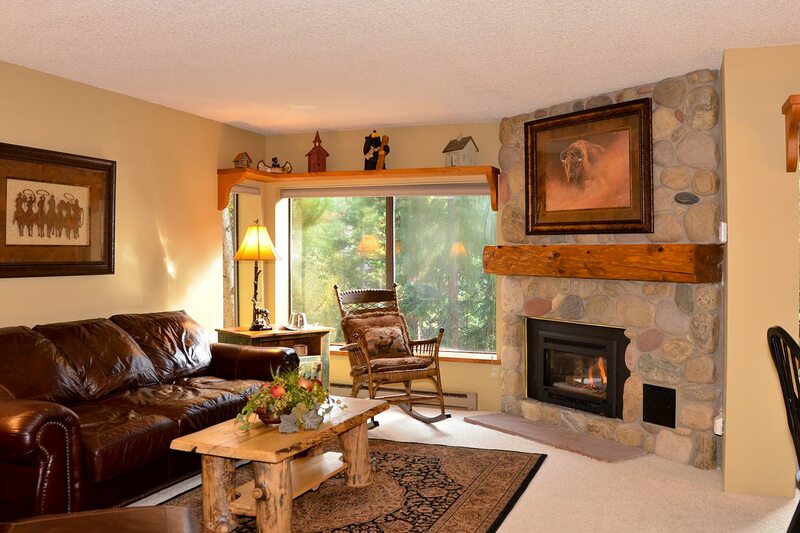 Enjoy the magnificent views of Lake Dillon — as well as Grays and Torreys Peaks — from the condo’s living room, or sit on the balcony and enjoy your beverage of choice. 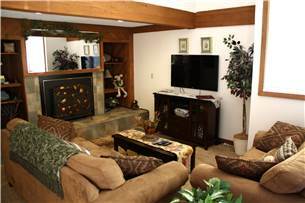 The living area is located on the main level. 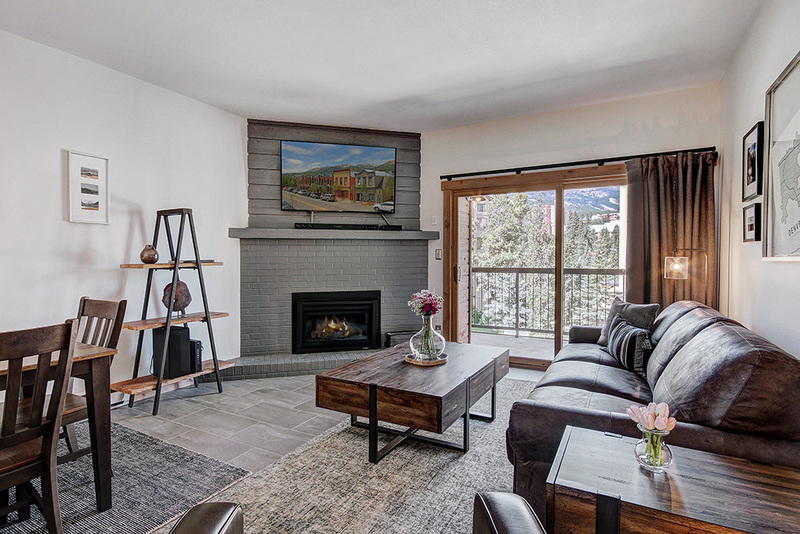 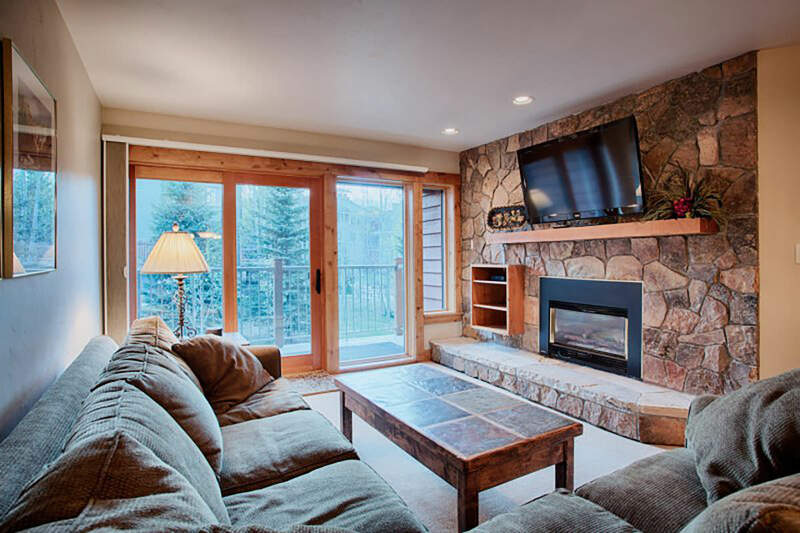 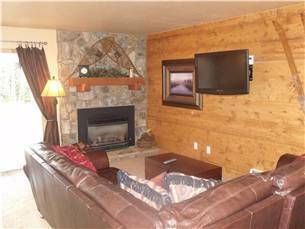 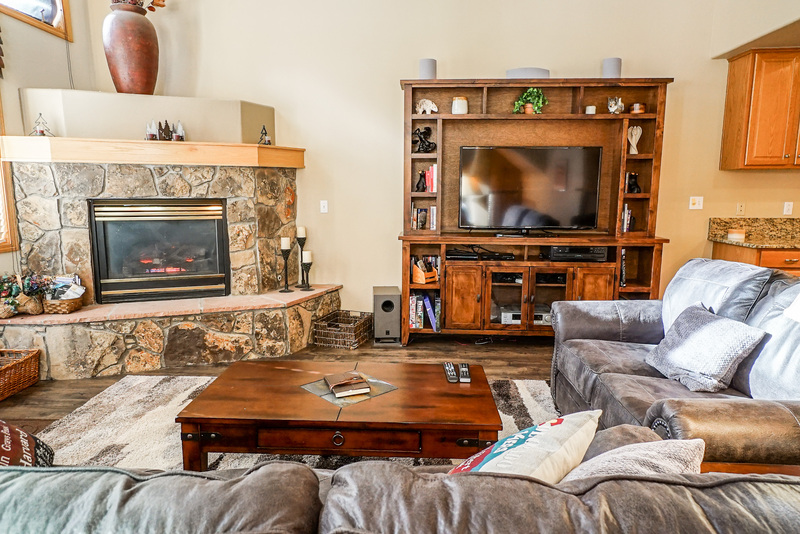 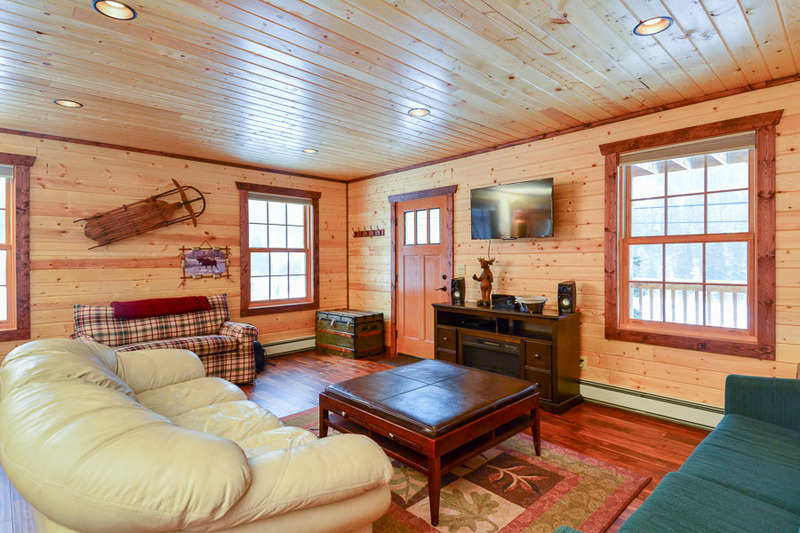 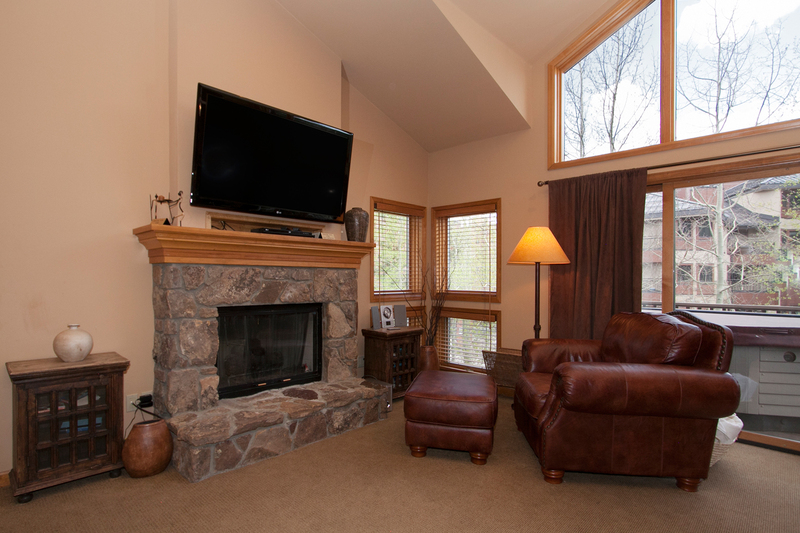 Watch a Blu-ray movie or cable TV (with HBO and Showtime) on the huge 69-inch LCD-TV, snuggle up next to the gas fireplace with your favorite book, or step out to the balcony. 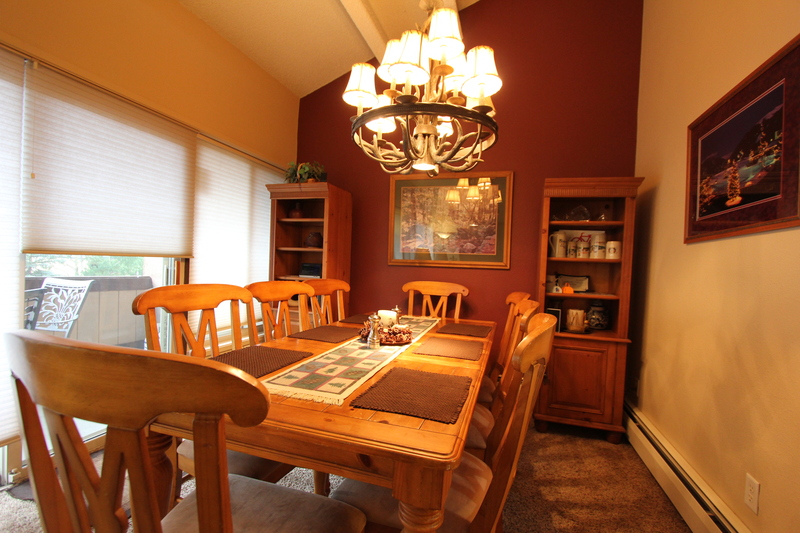 The dining room is adjacent to the living room, where there is table seating for eight people and two additional seats at the bar. 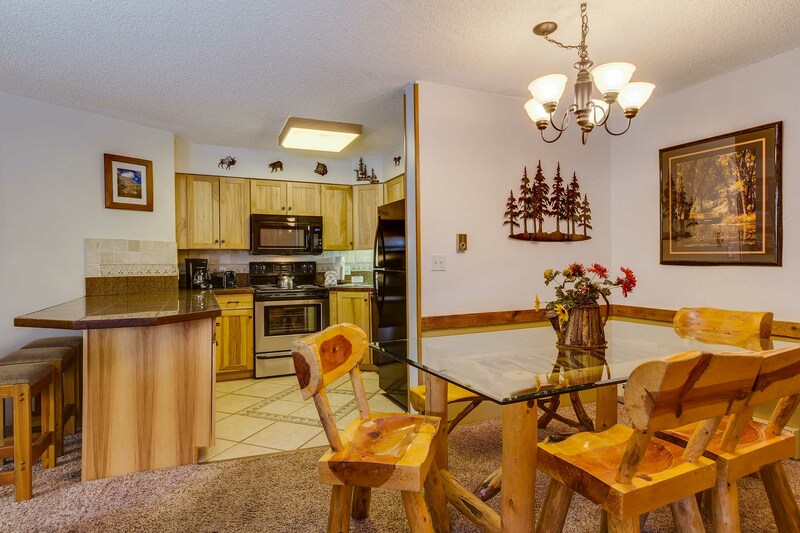 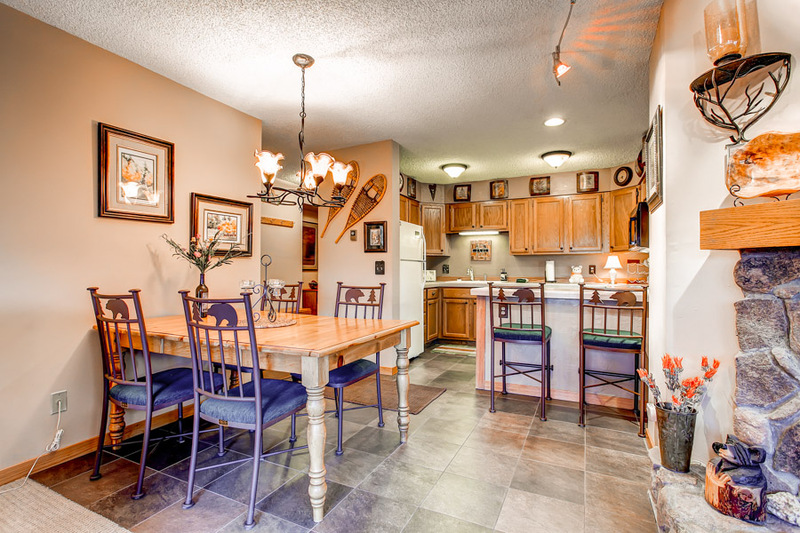 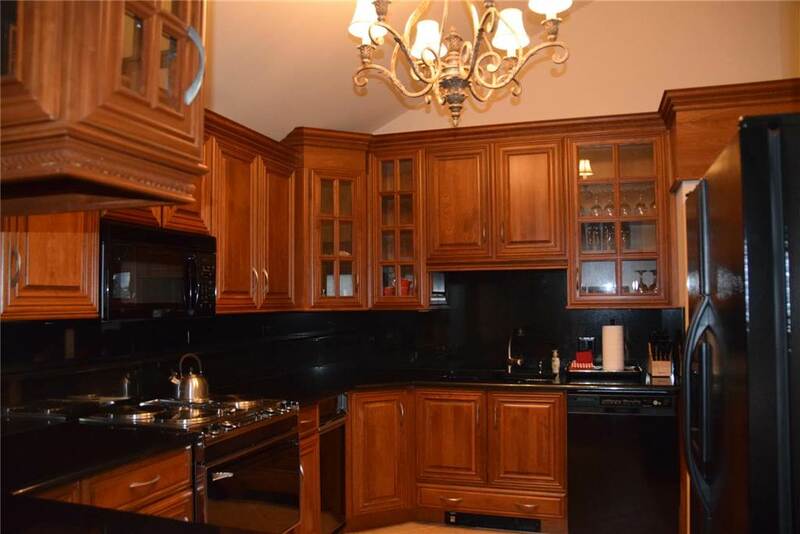 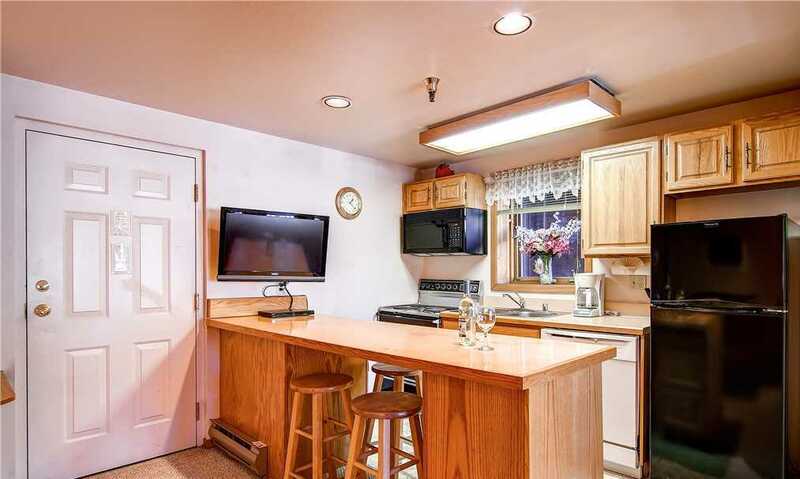 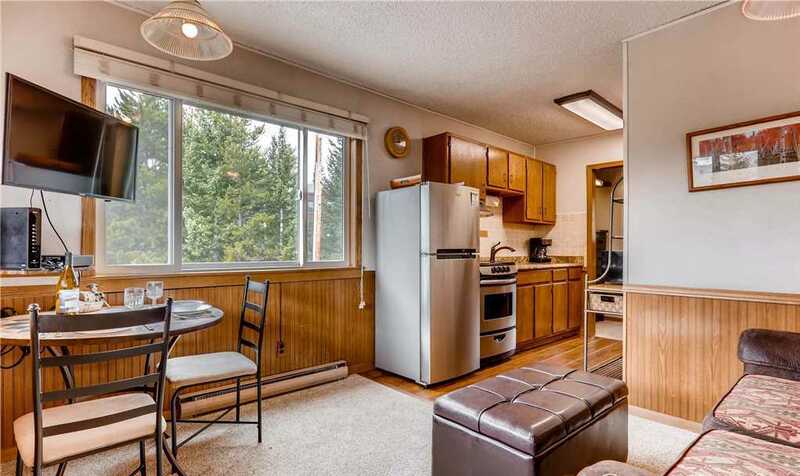 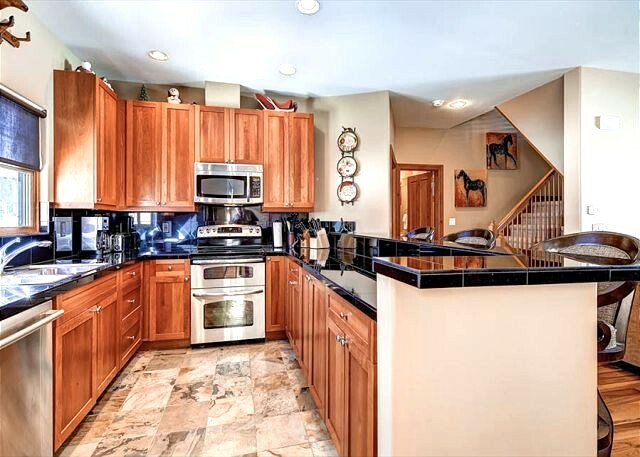 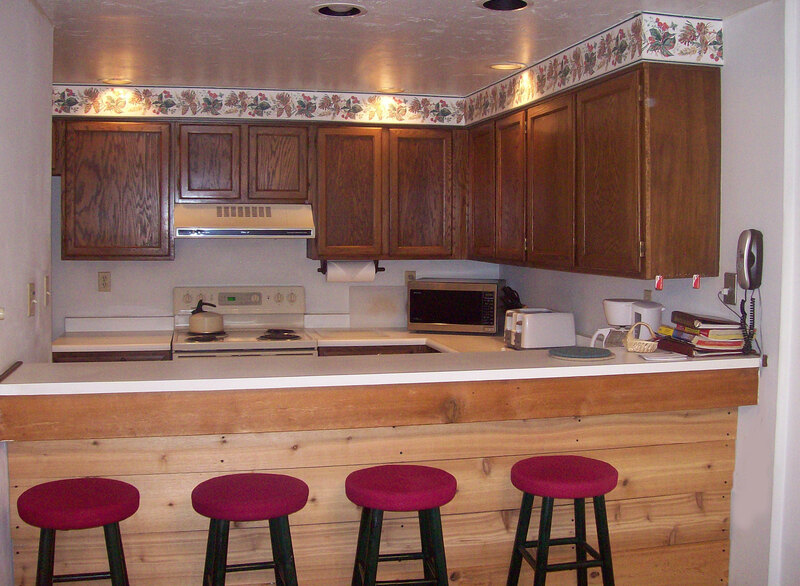 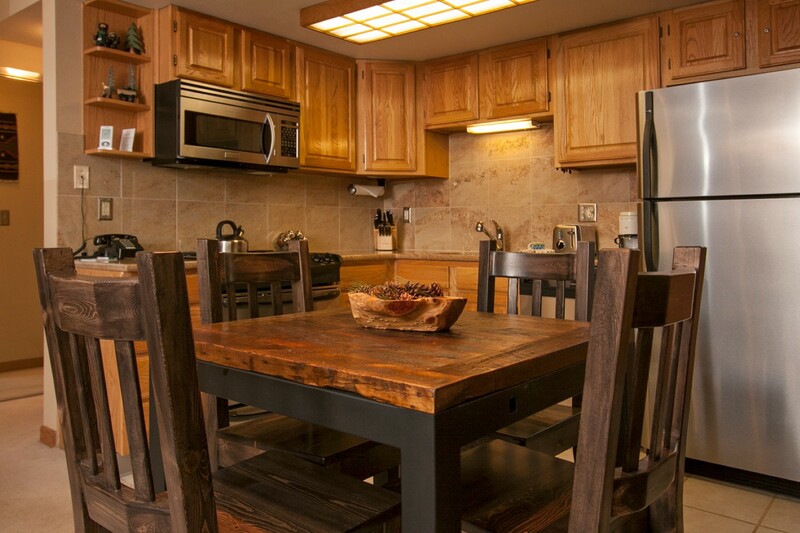 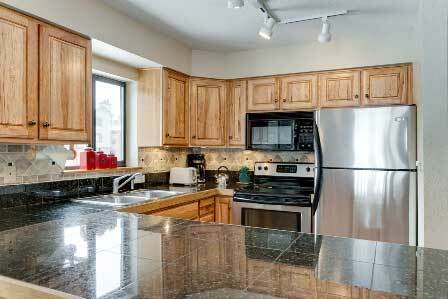 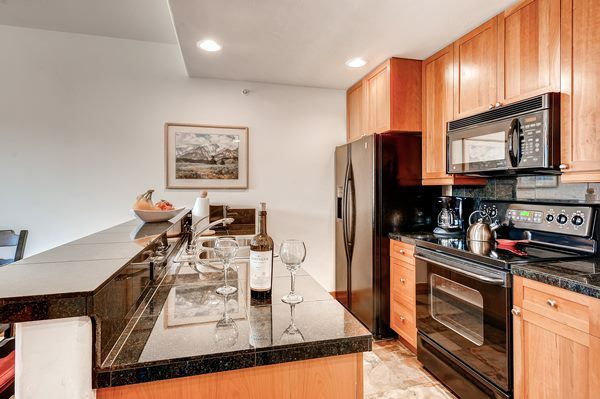 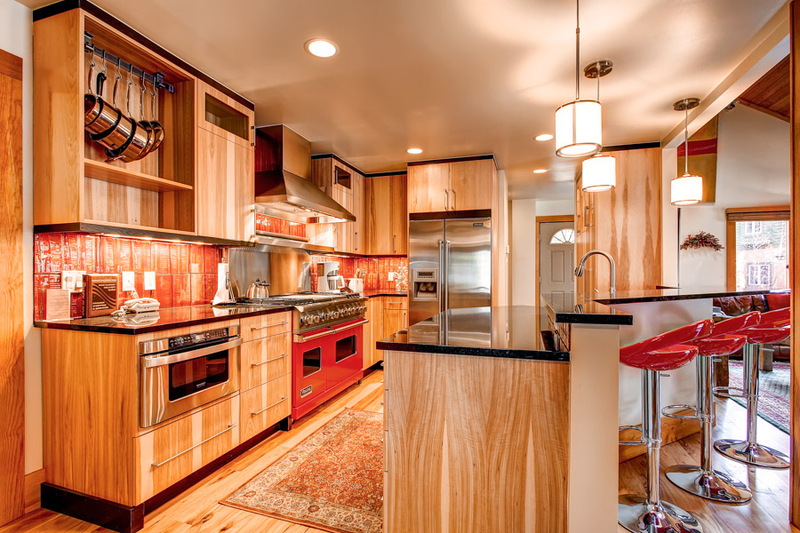 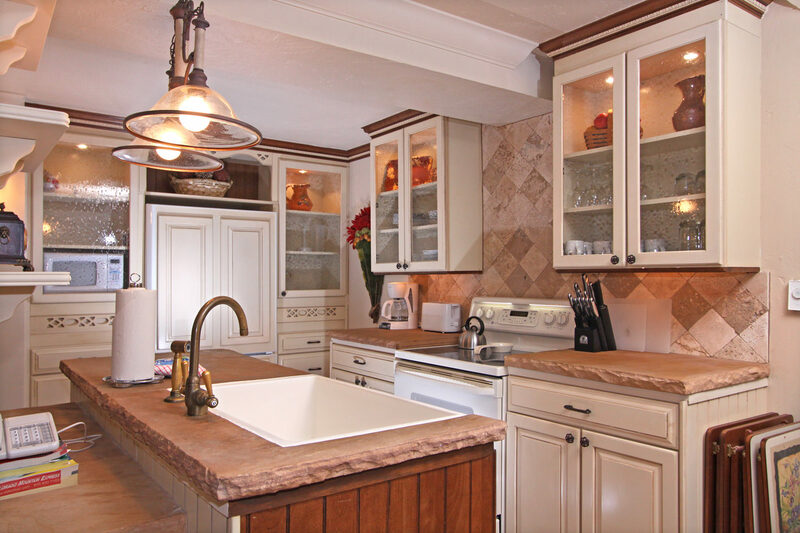 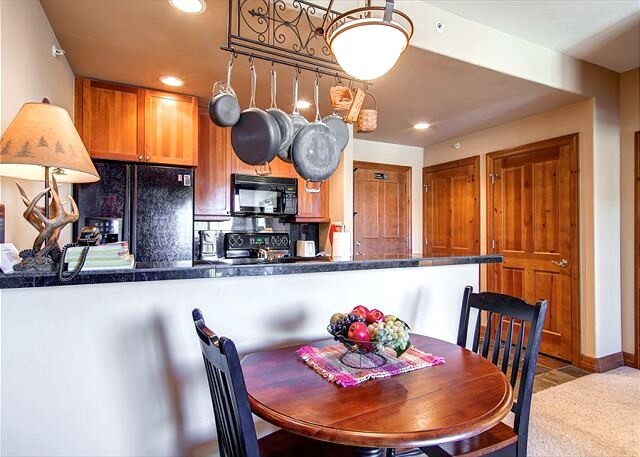 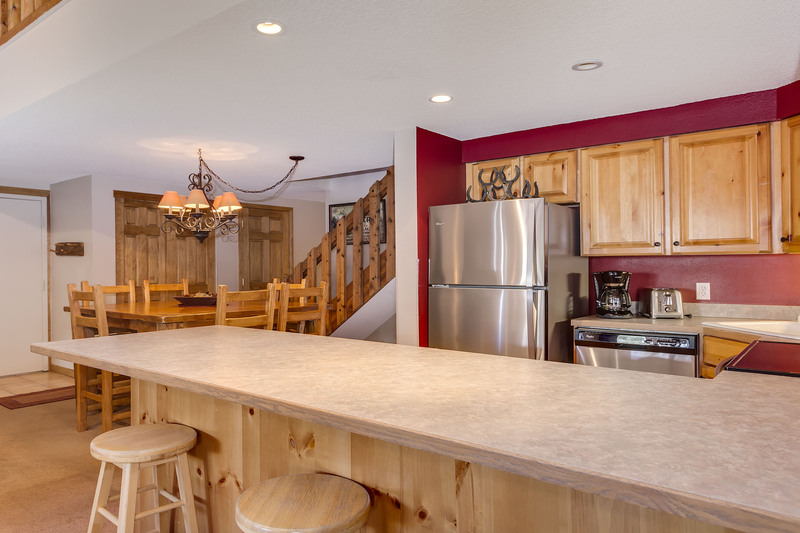 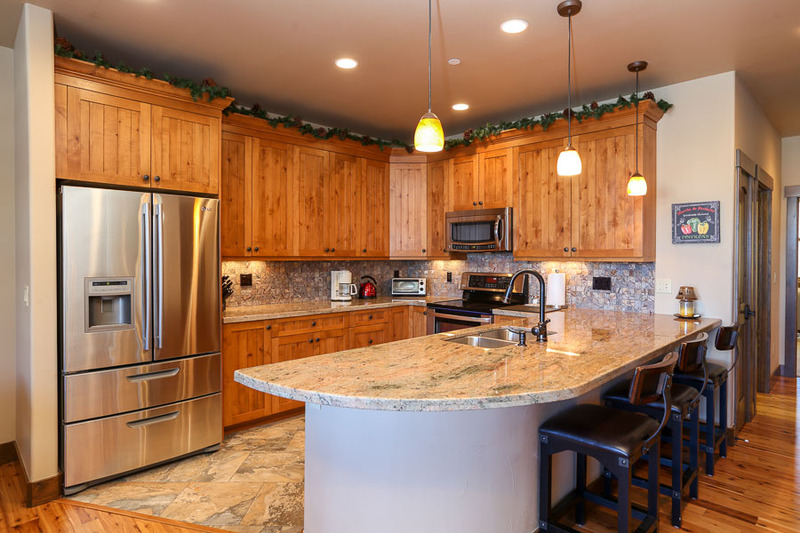 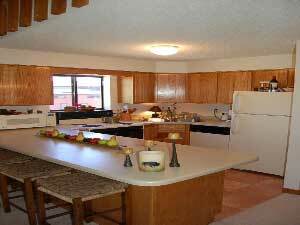 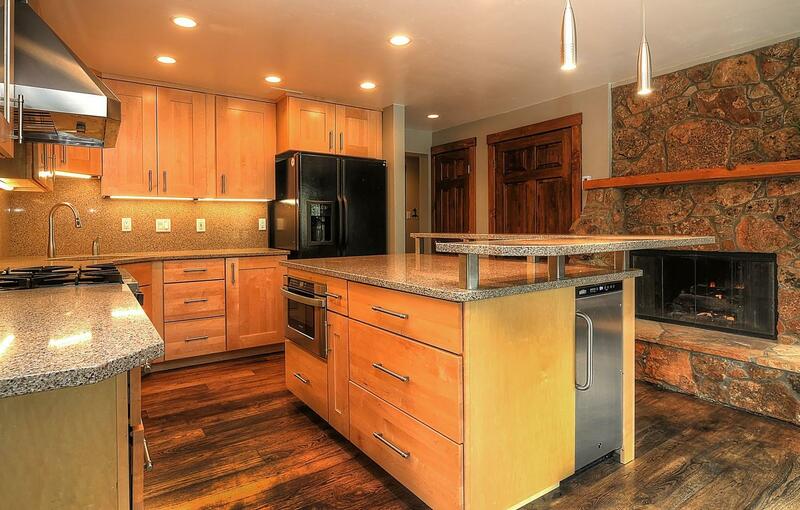 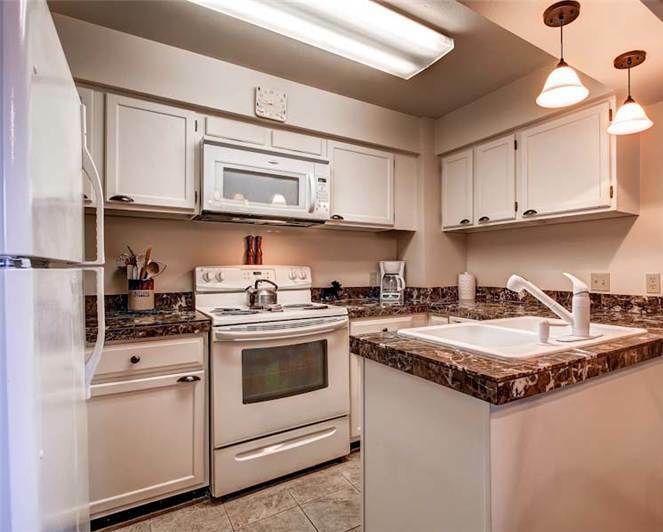 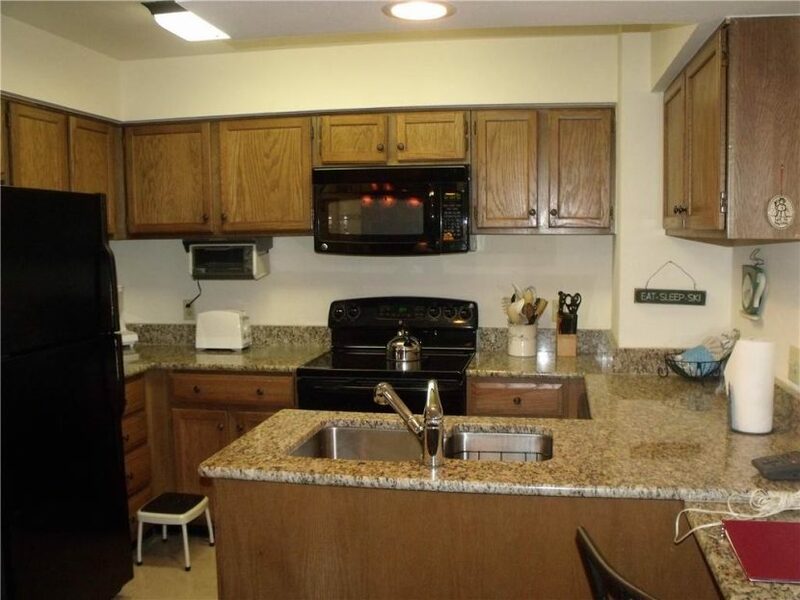 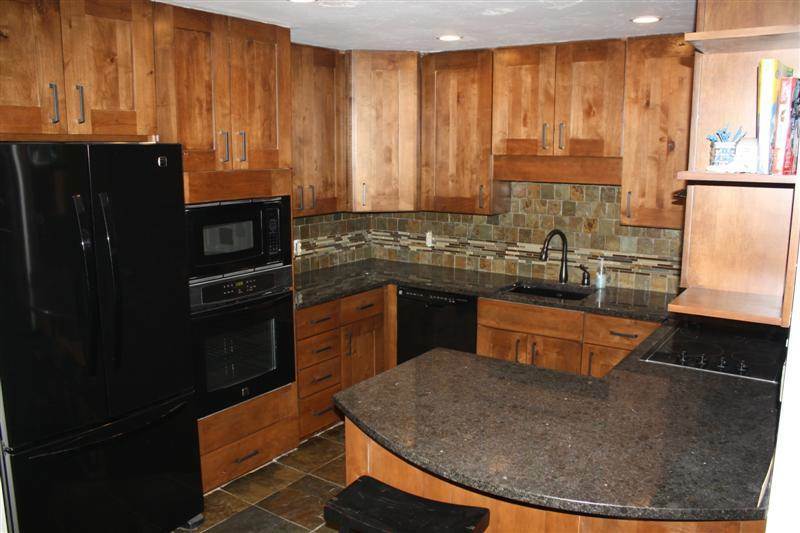 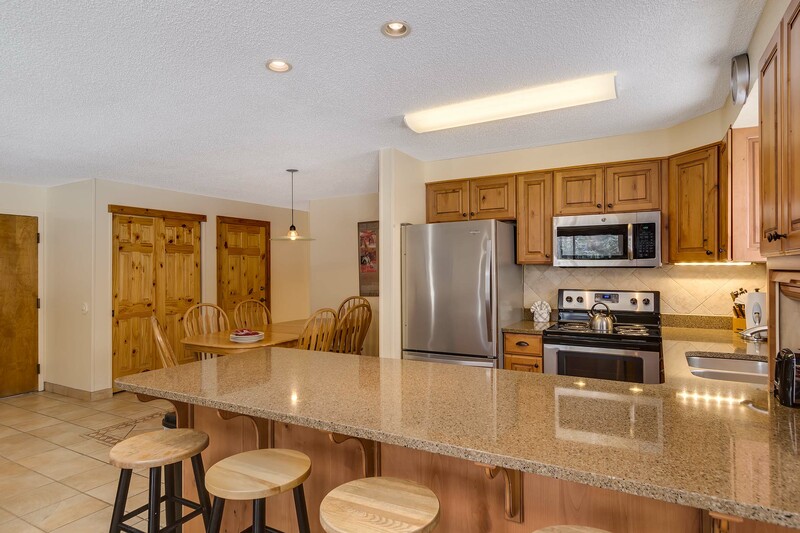 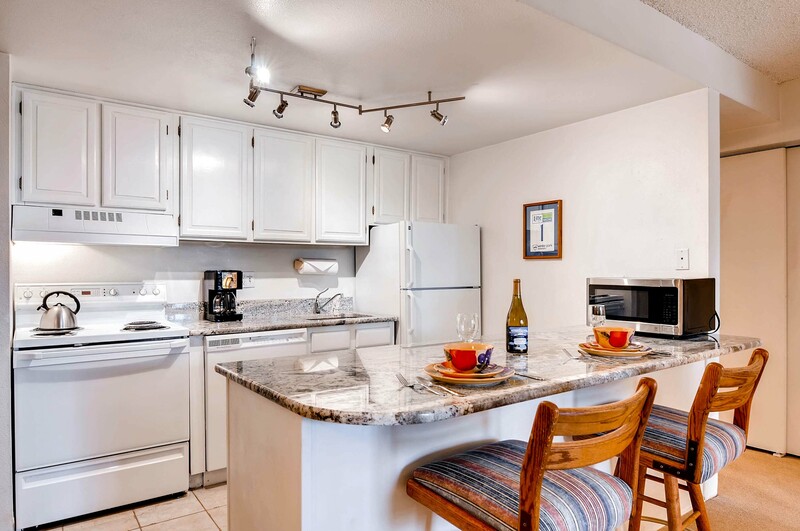 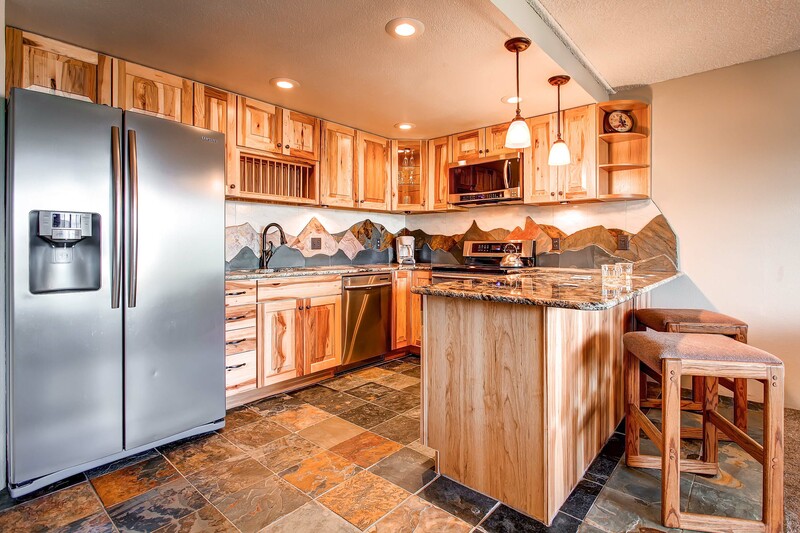 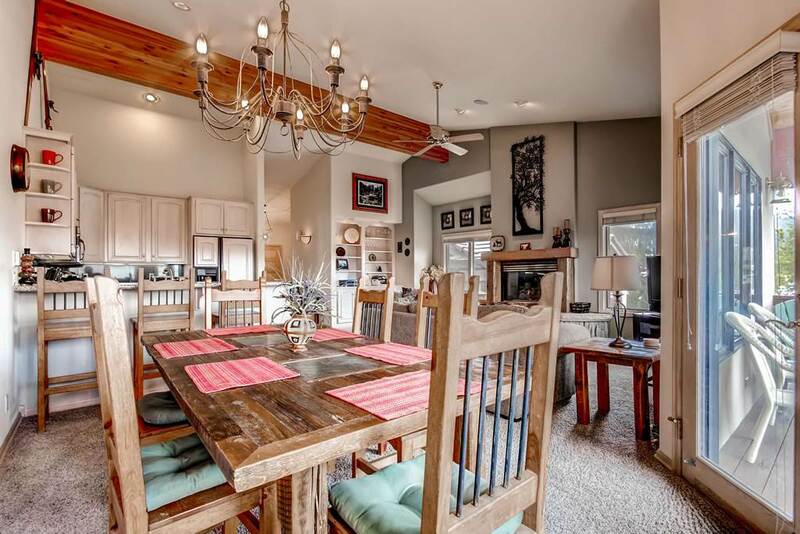 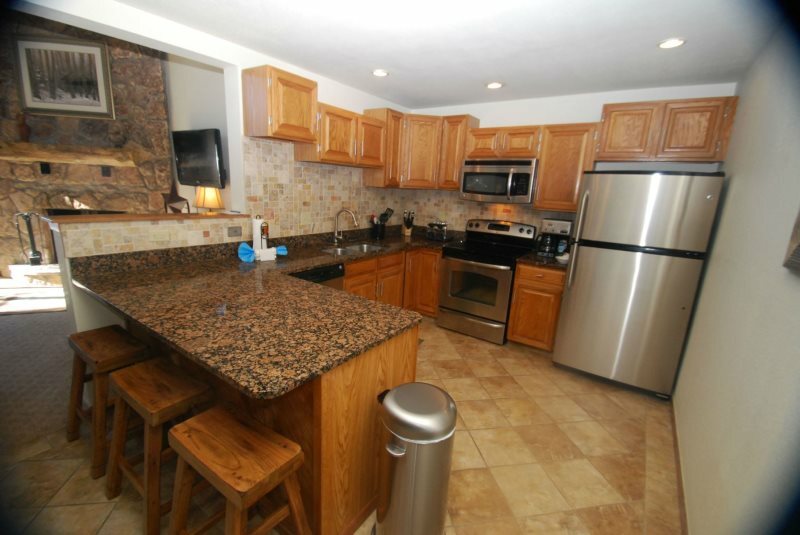 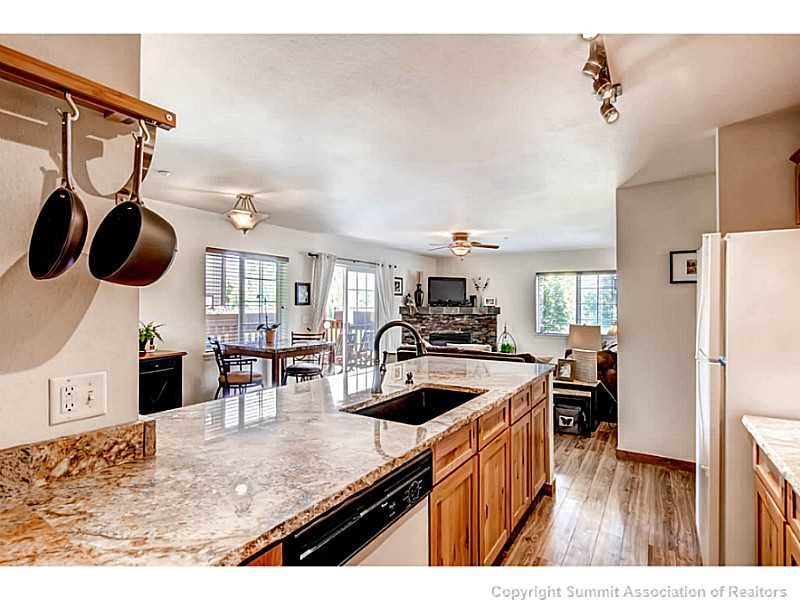 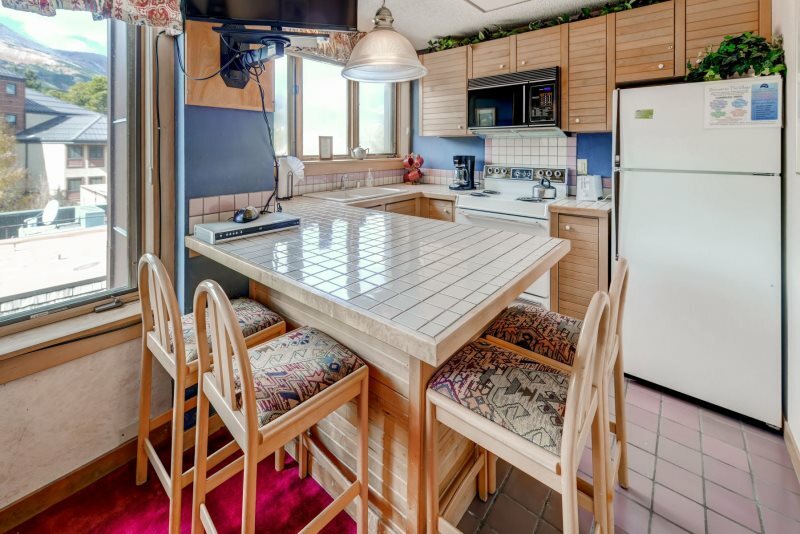 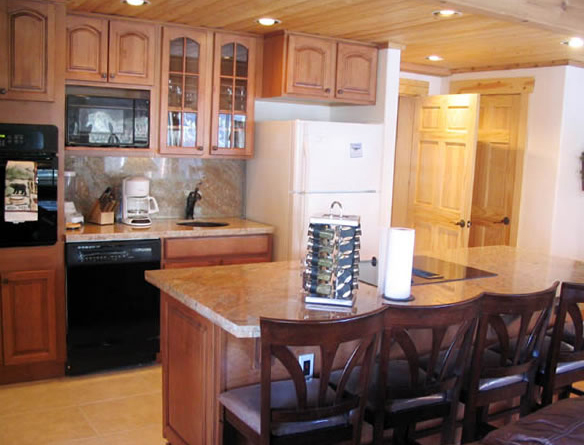 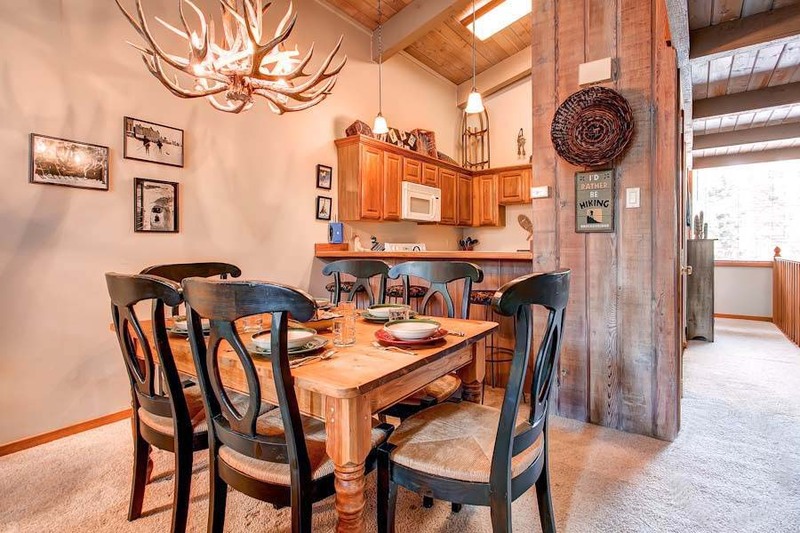 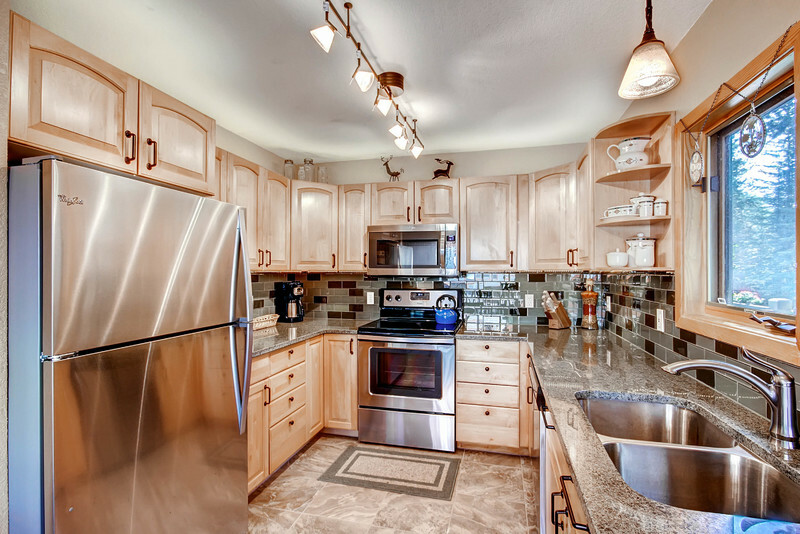 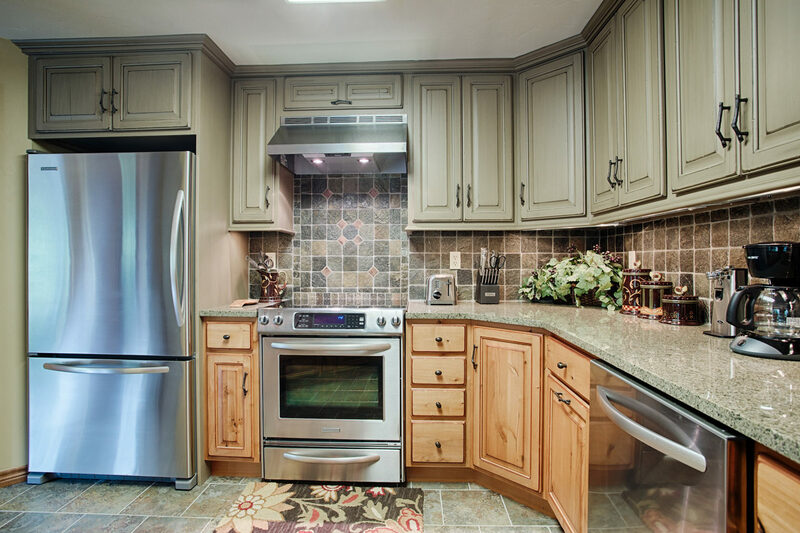 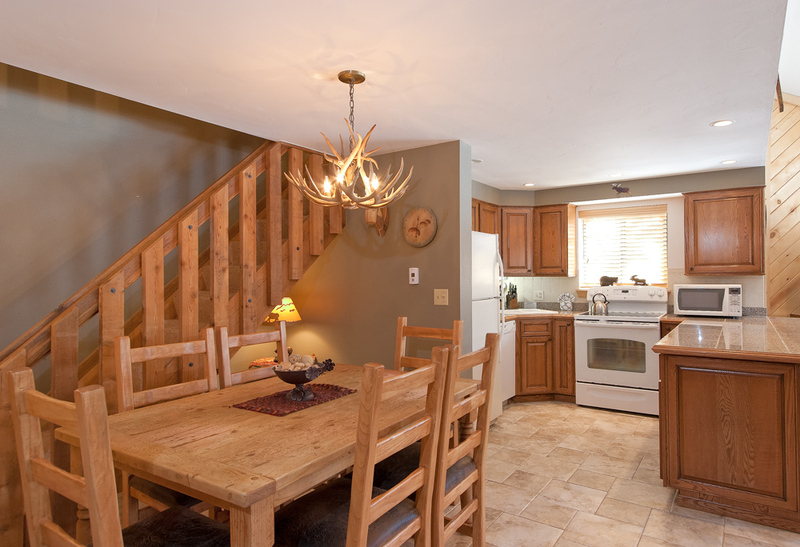 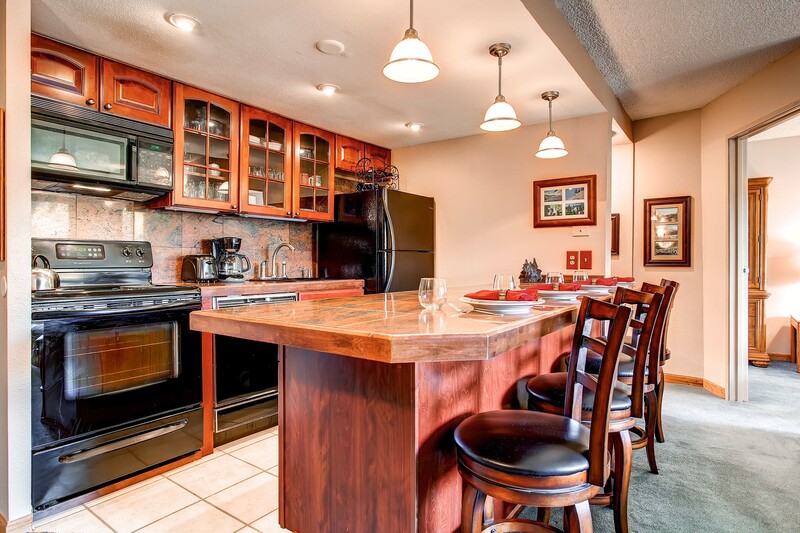 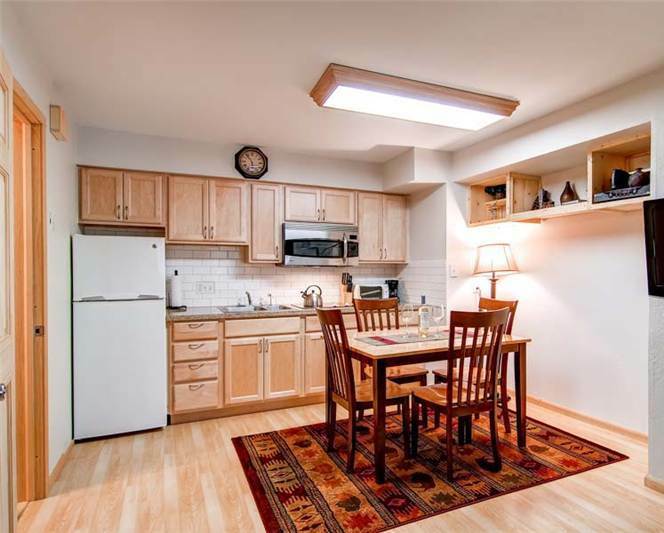 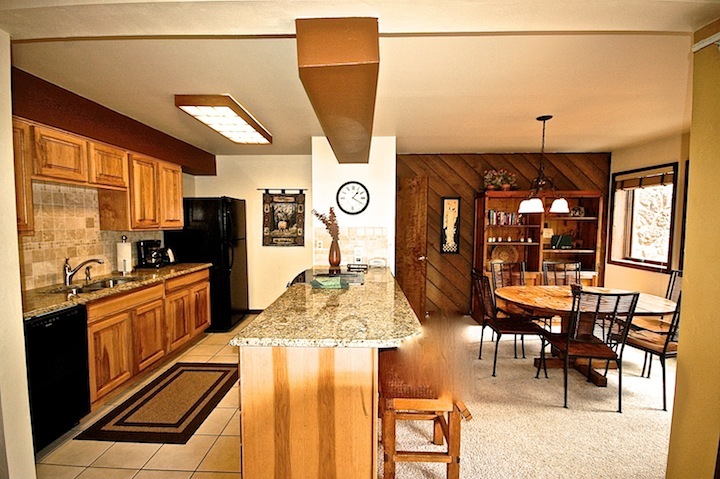 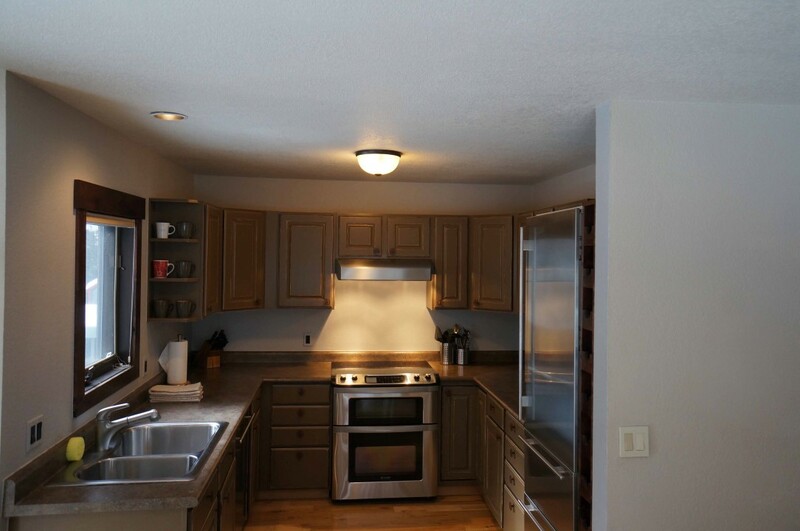 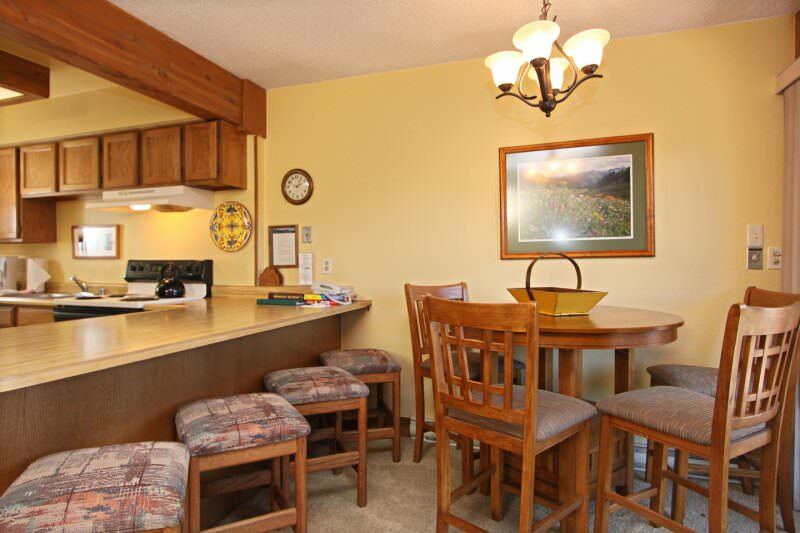 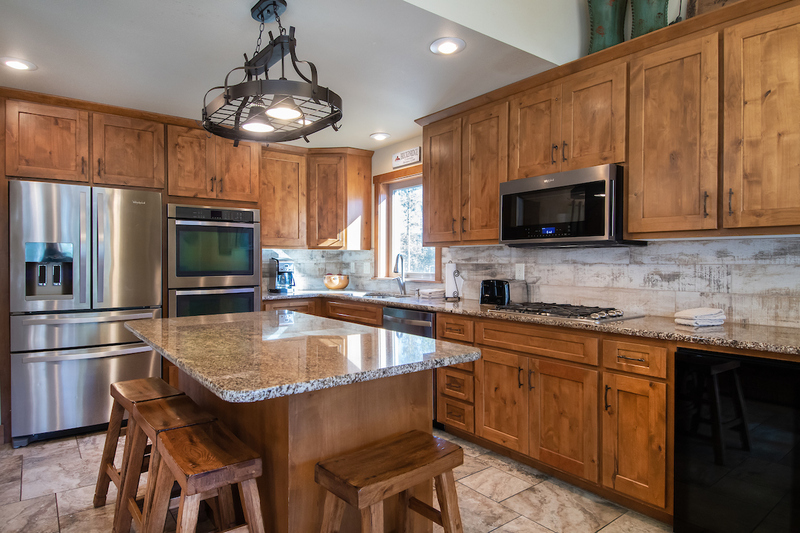 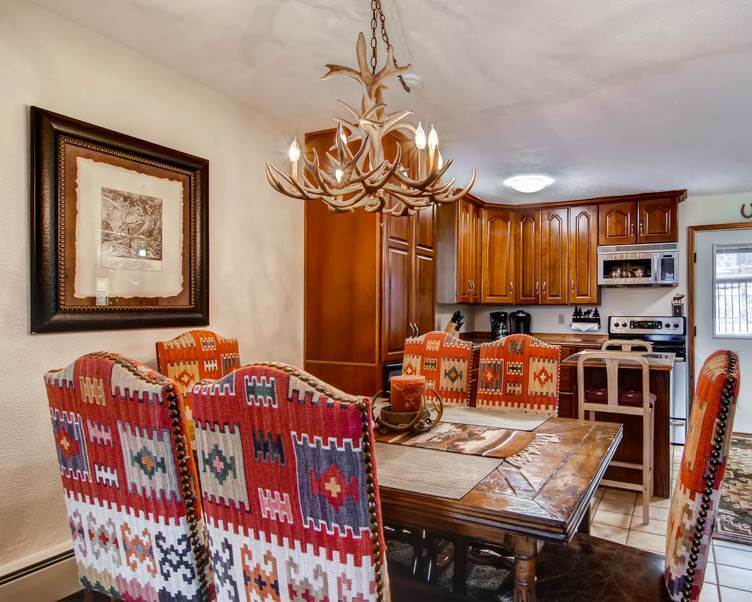 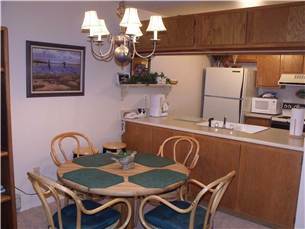 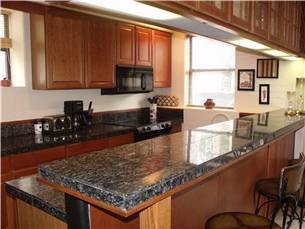 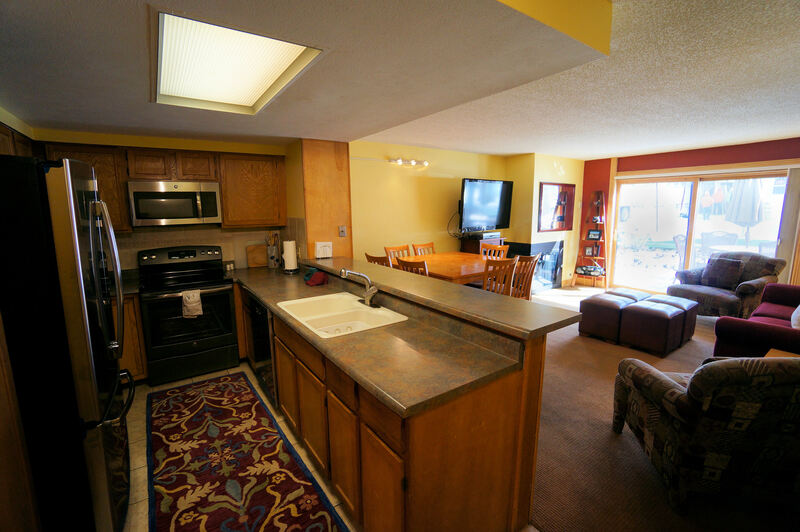 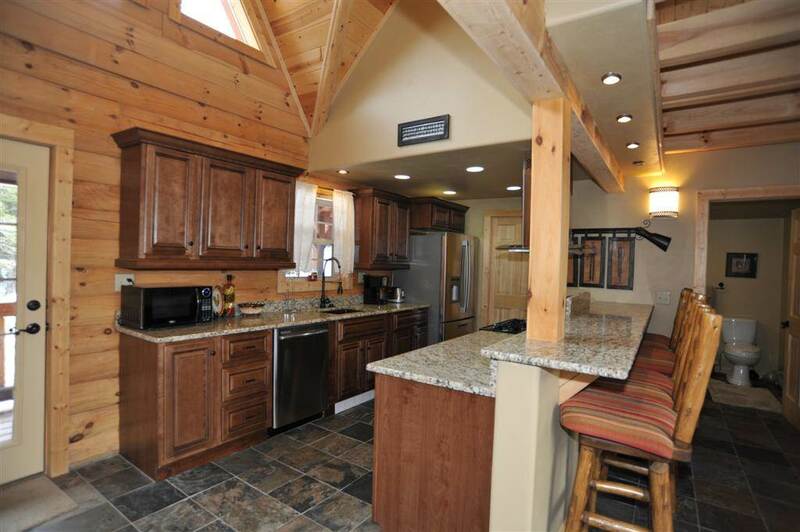 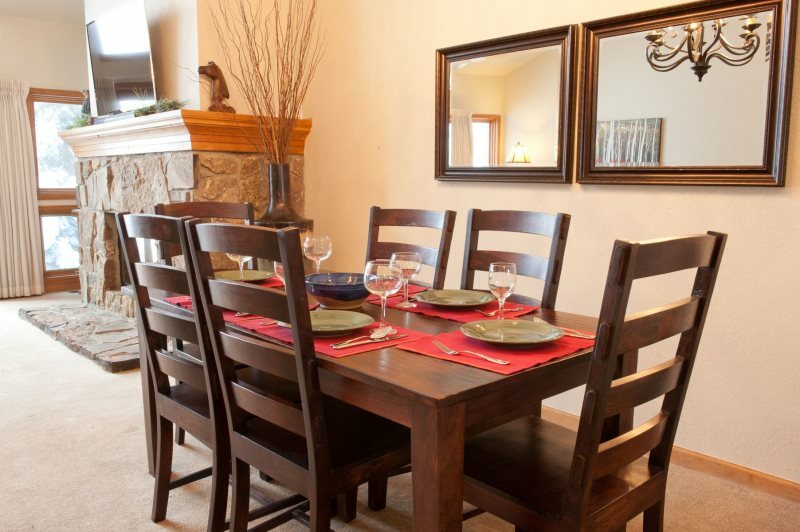 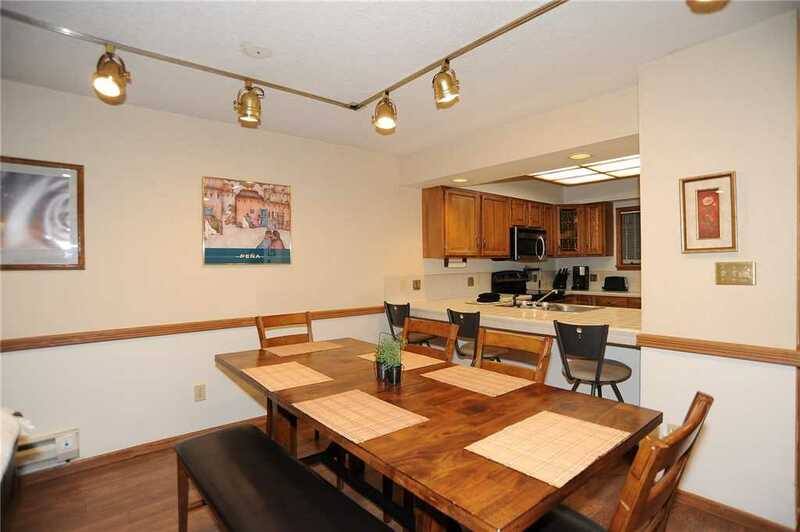 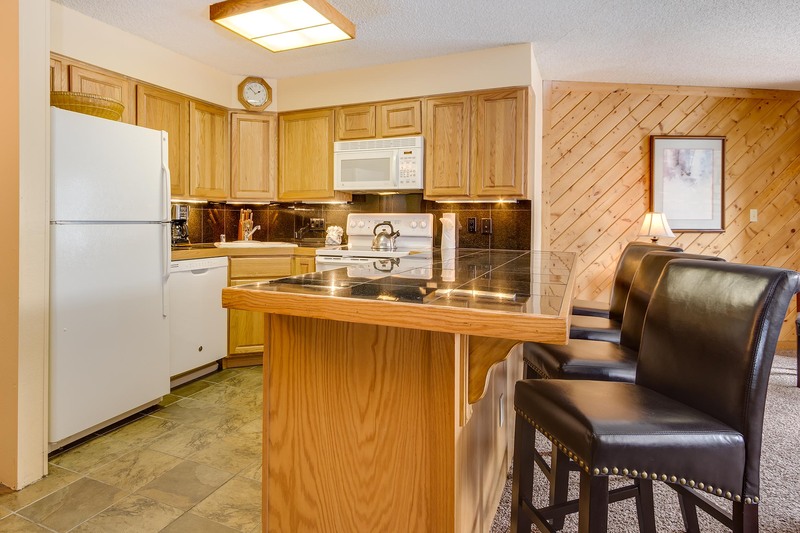 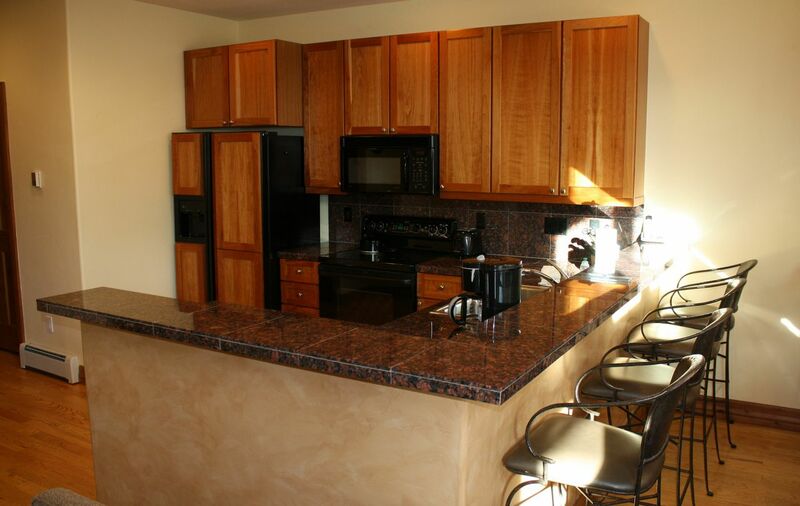 You’ll enjoy cooking a big meal in the fully-equipped kitchen. 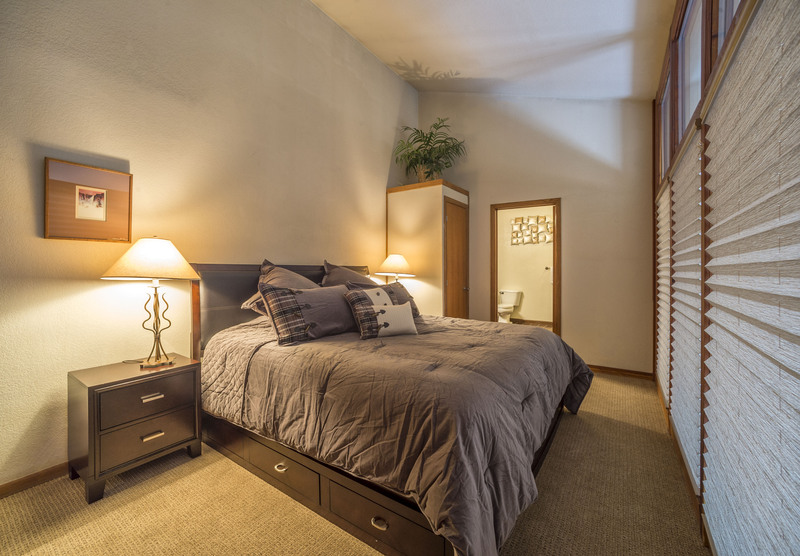 On this level, you’ll find two bedrooms: a master bedroom with a queen bed and in-suite bathroom, the other with two twin beds. 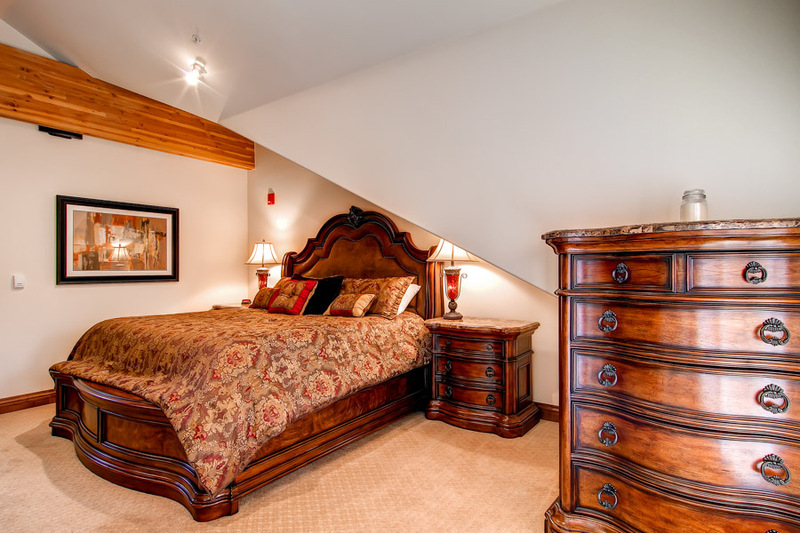 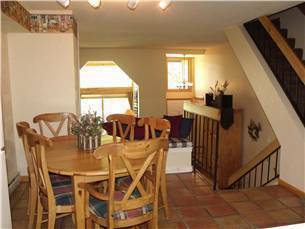 The third bedroom and loft are upstairs. 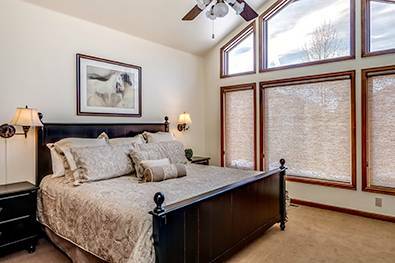 The third bedroom is actually a second master bedroom with an in-suite bathroom and views that will knock your socks off, even from bed! 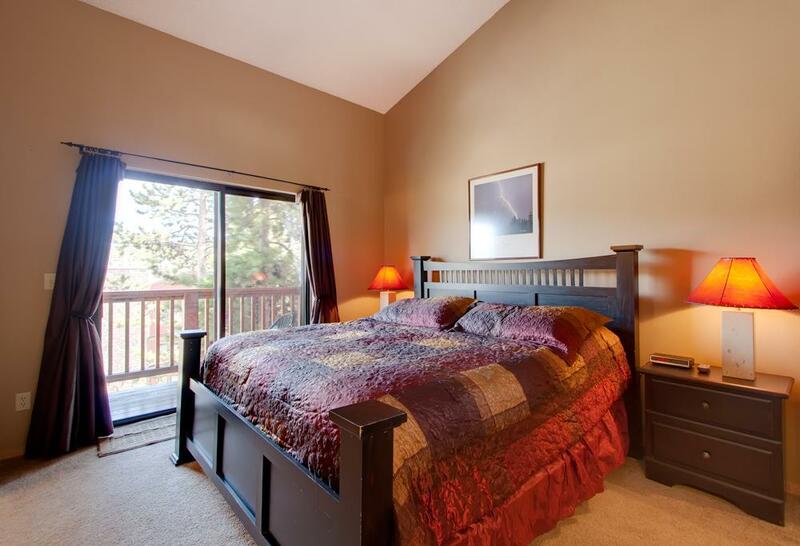 The loft has a twin trundle bed. 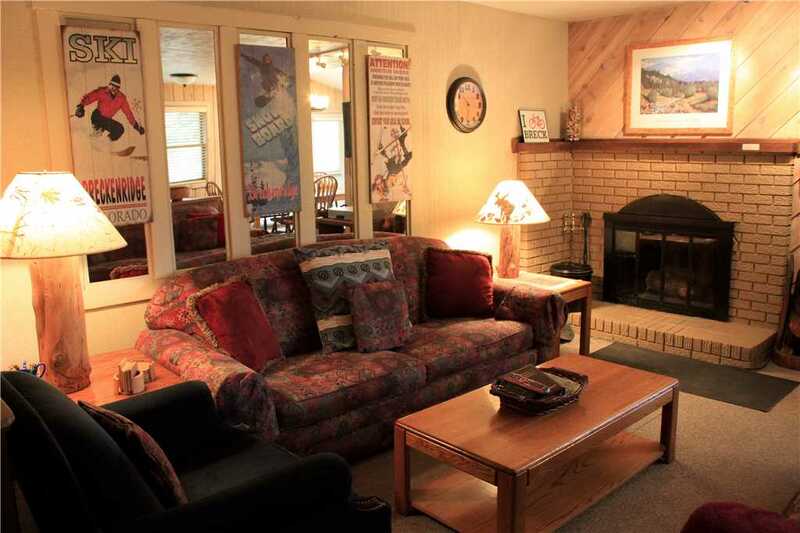 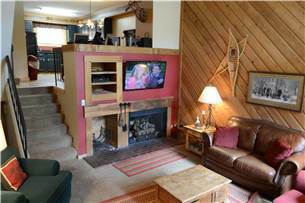 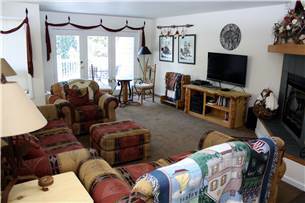 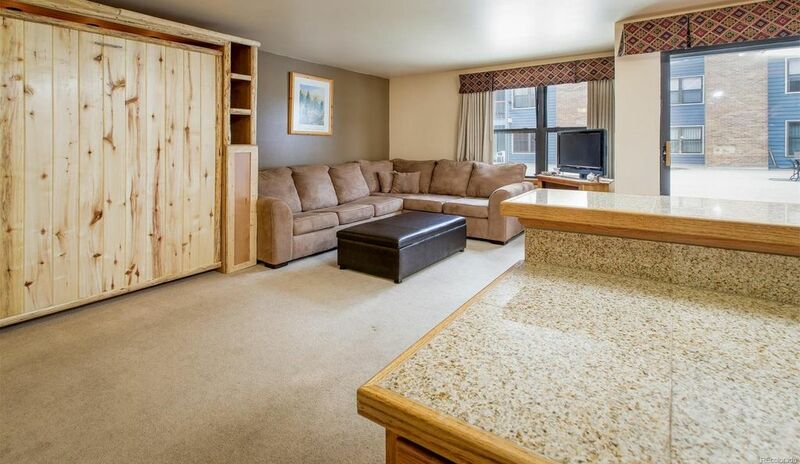 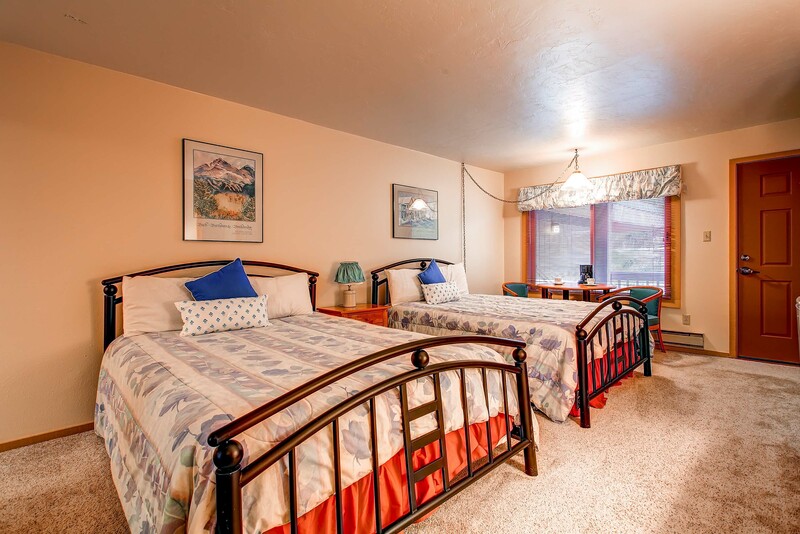 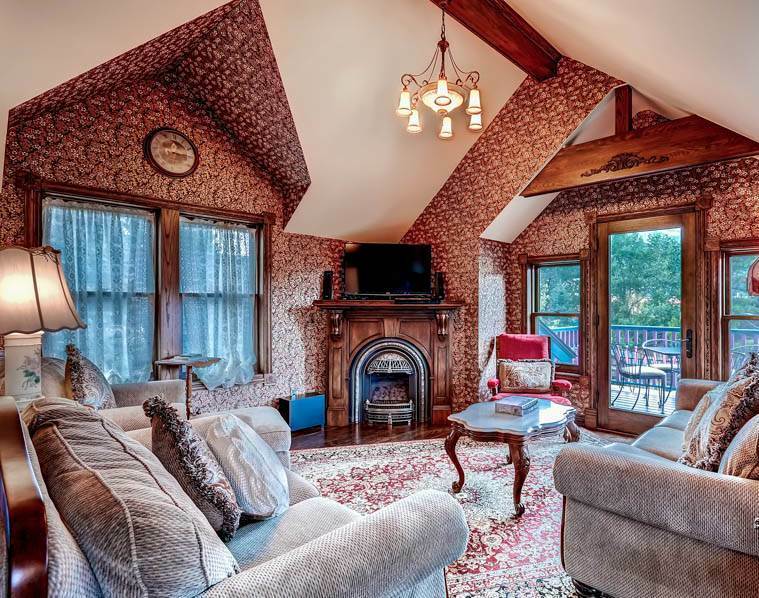 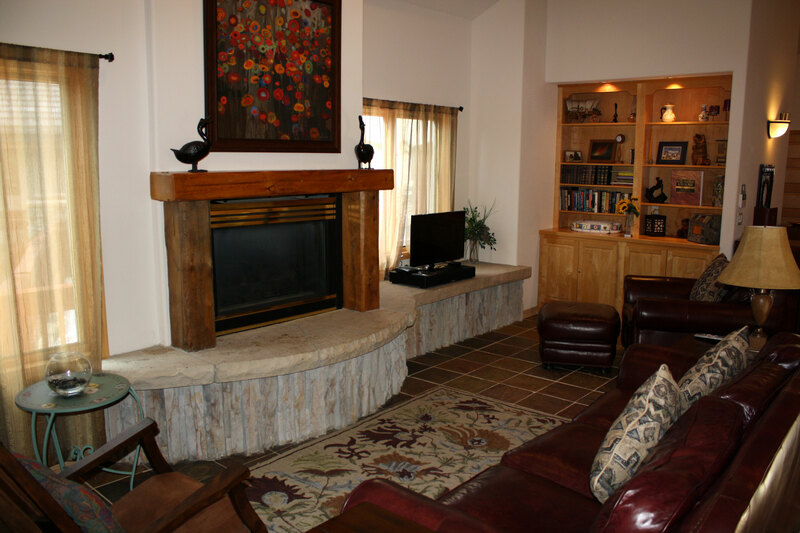 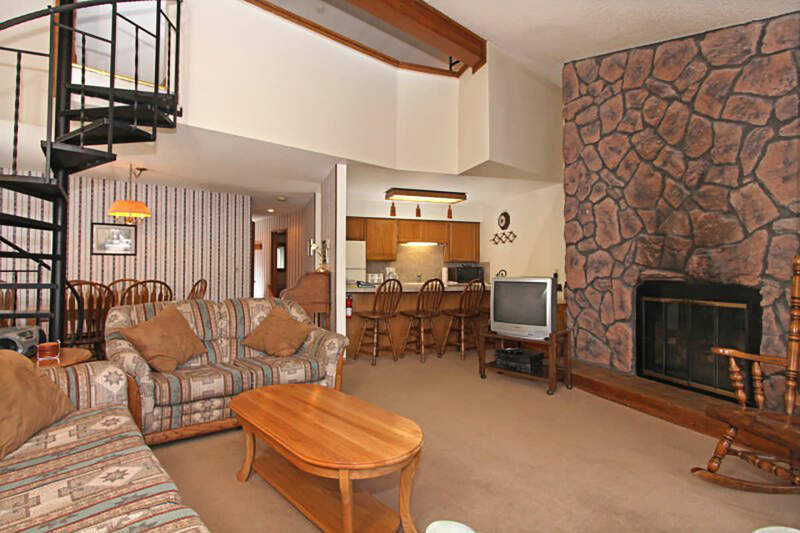 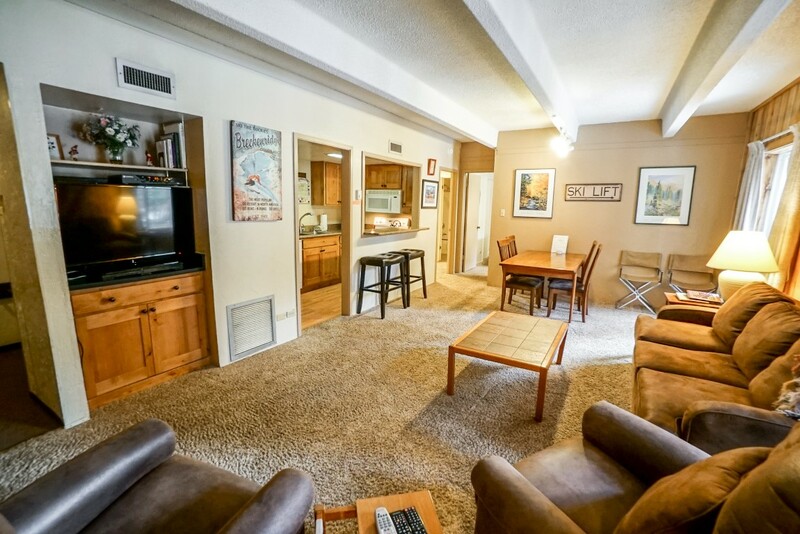 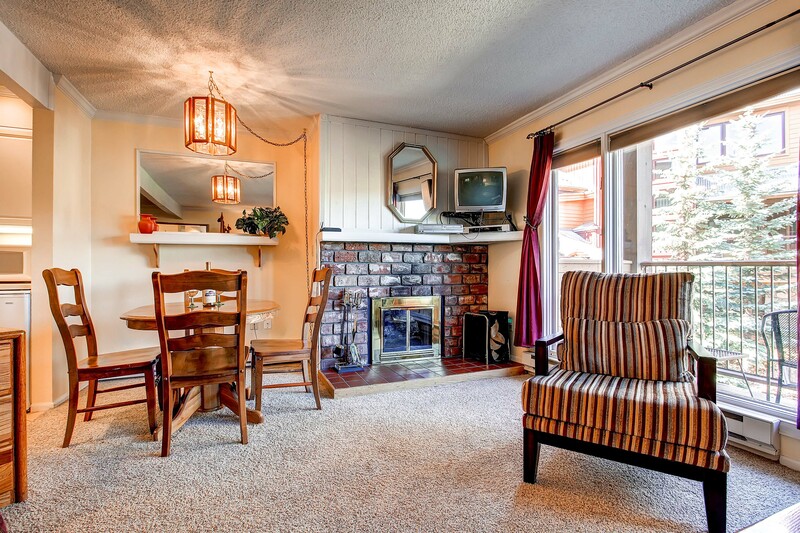 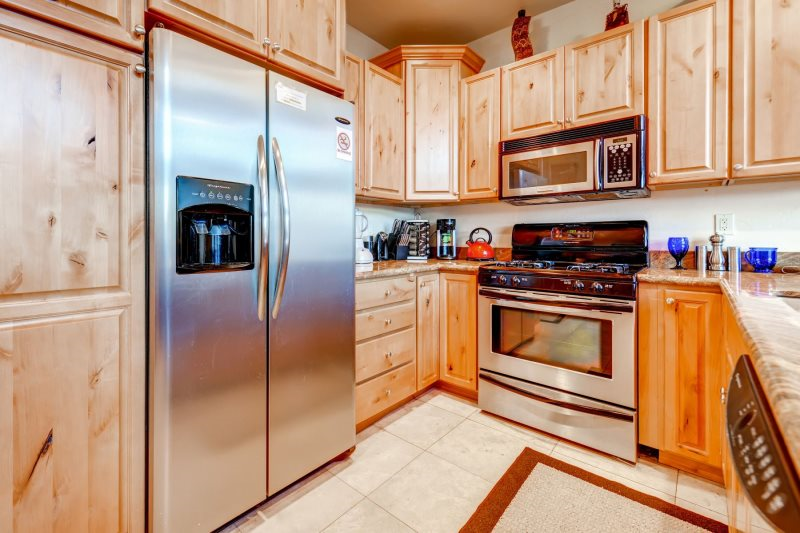 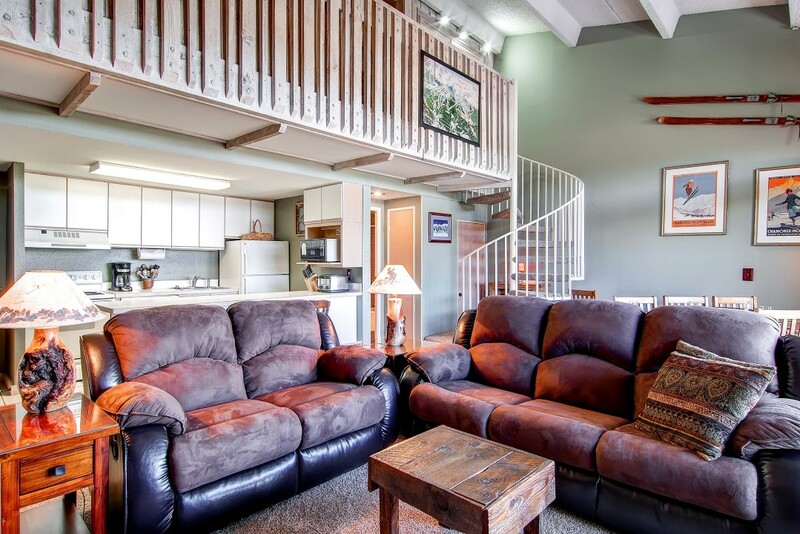 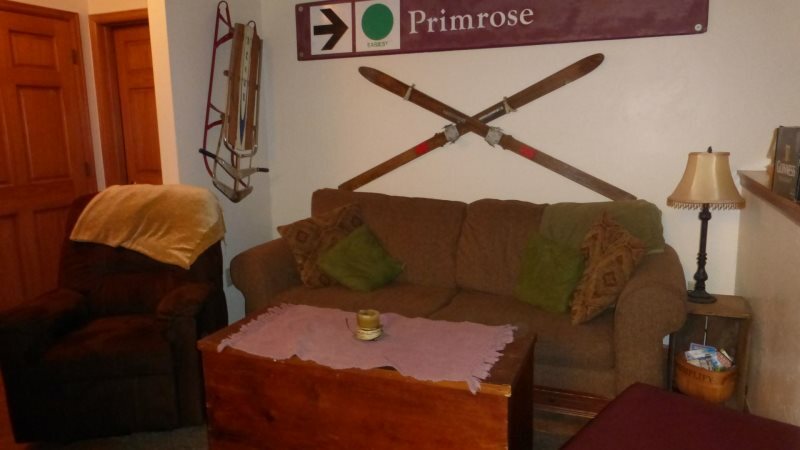 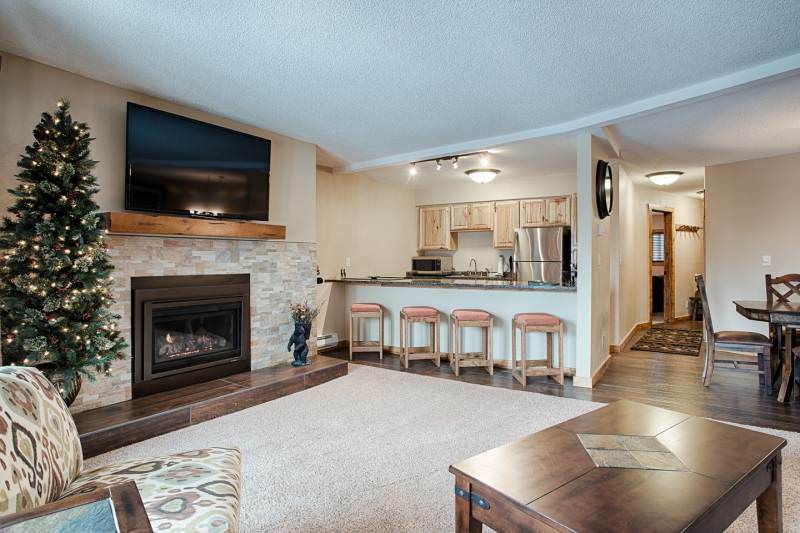 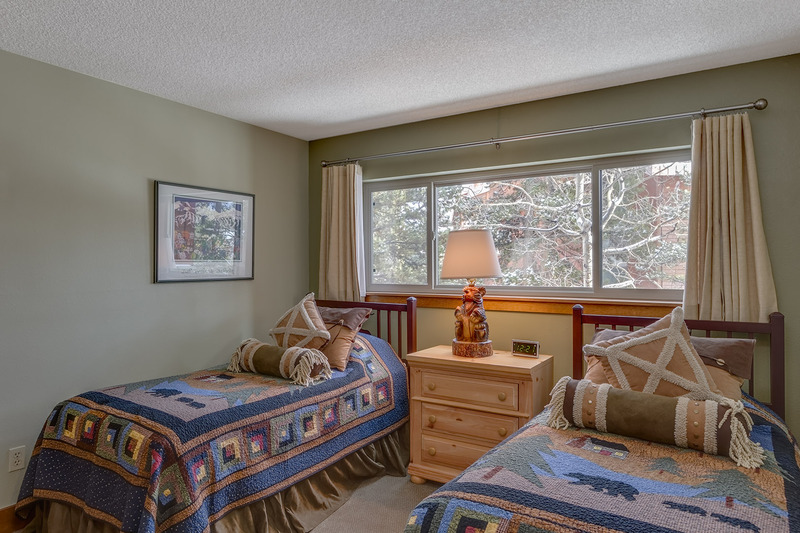 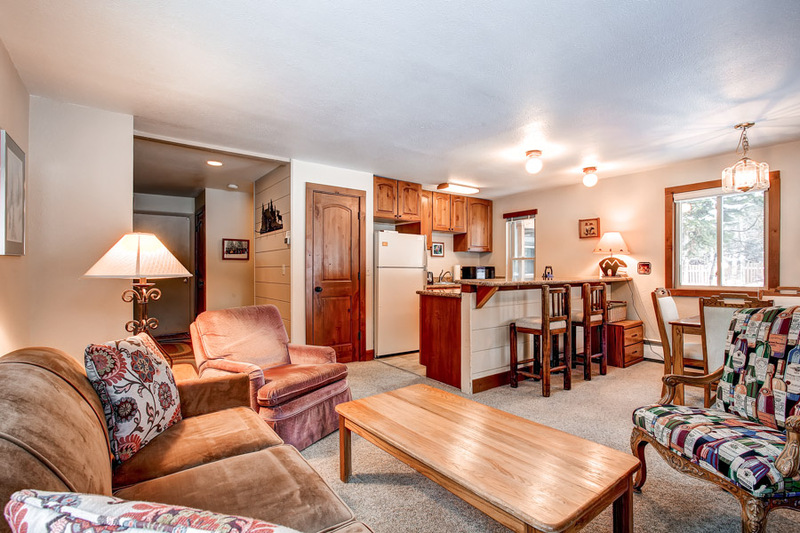 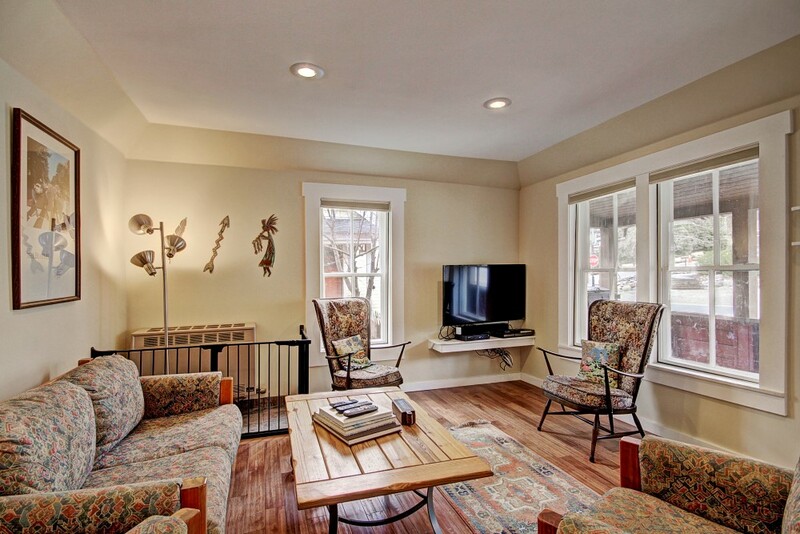 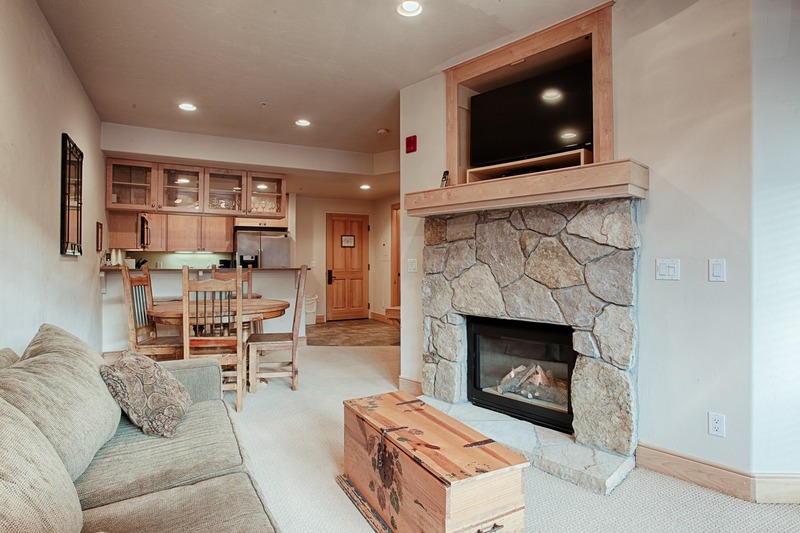 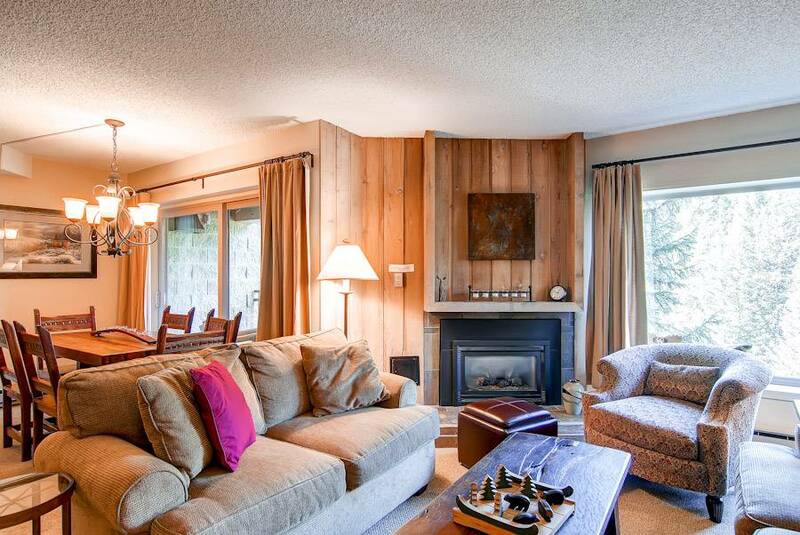 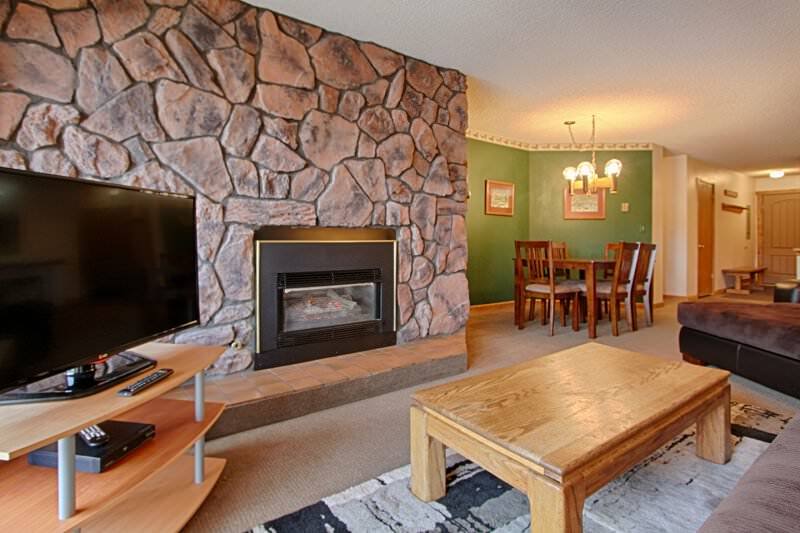 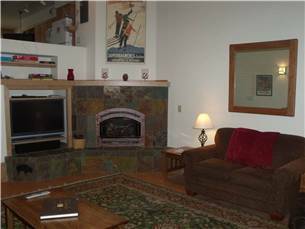 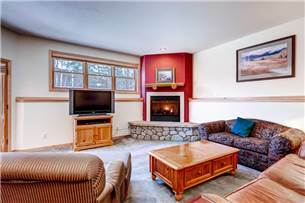 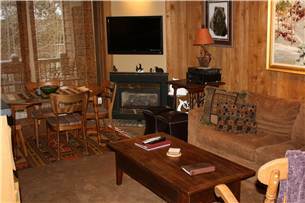 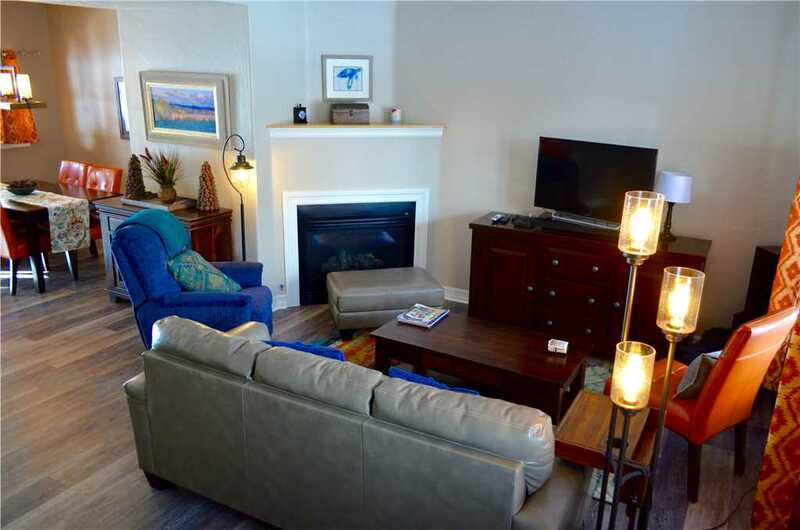 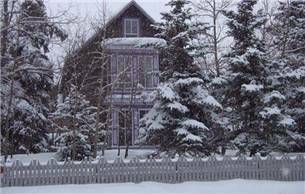 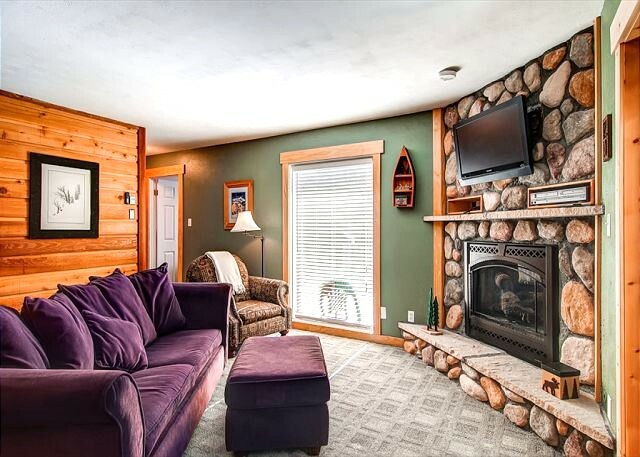 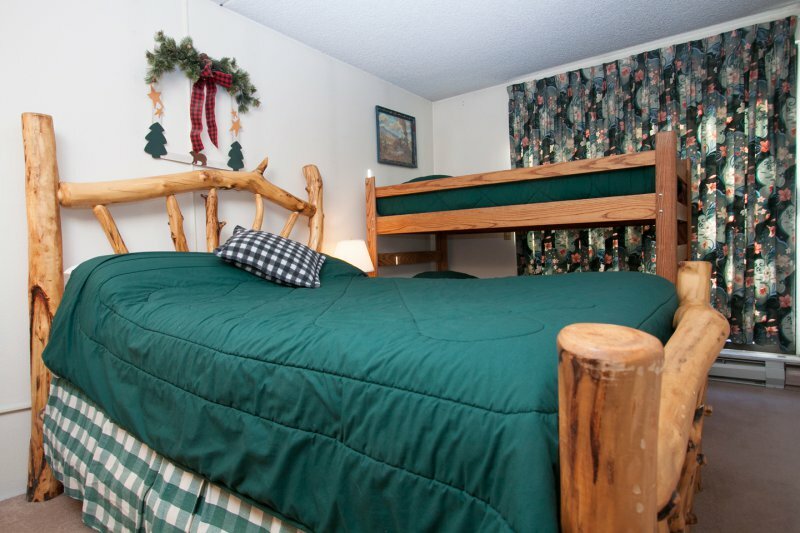 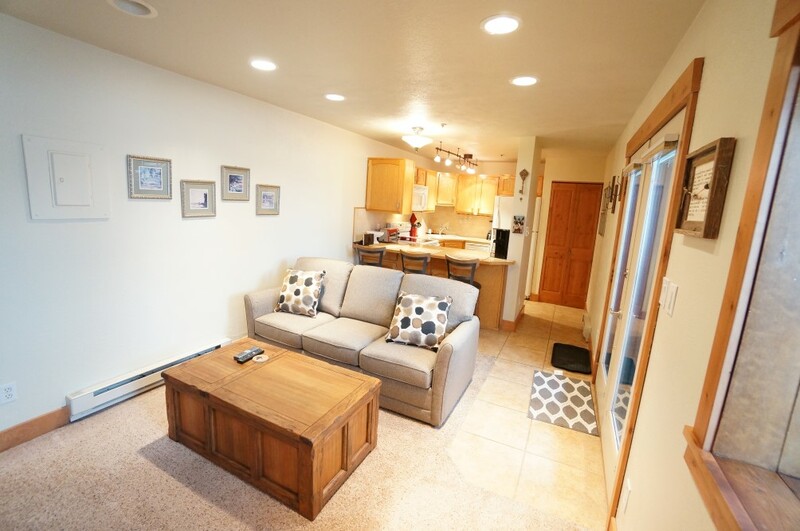 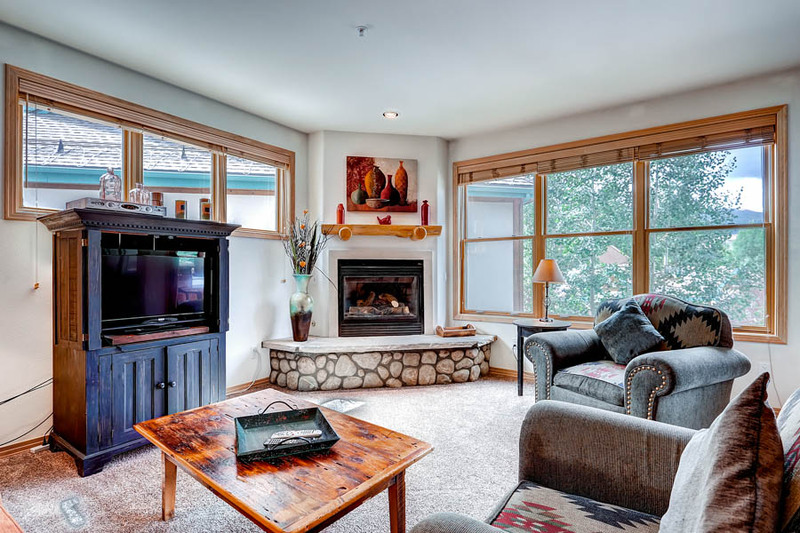 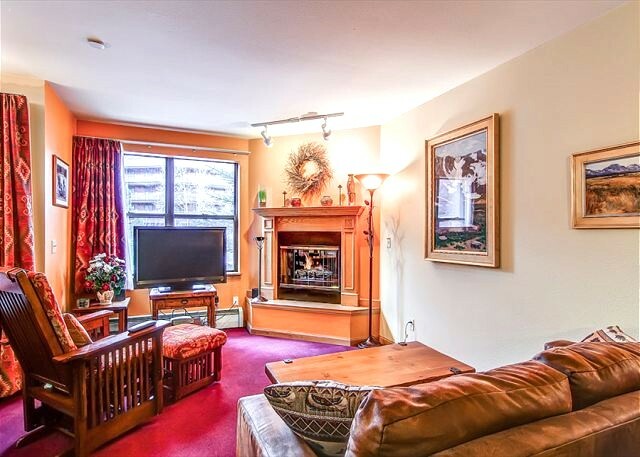 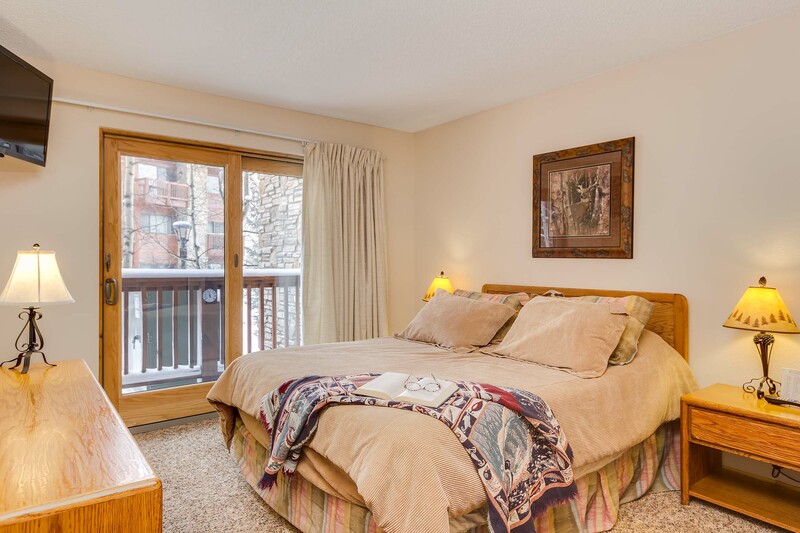 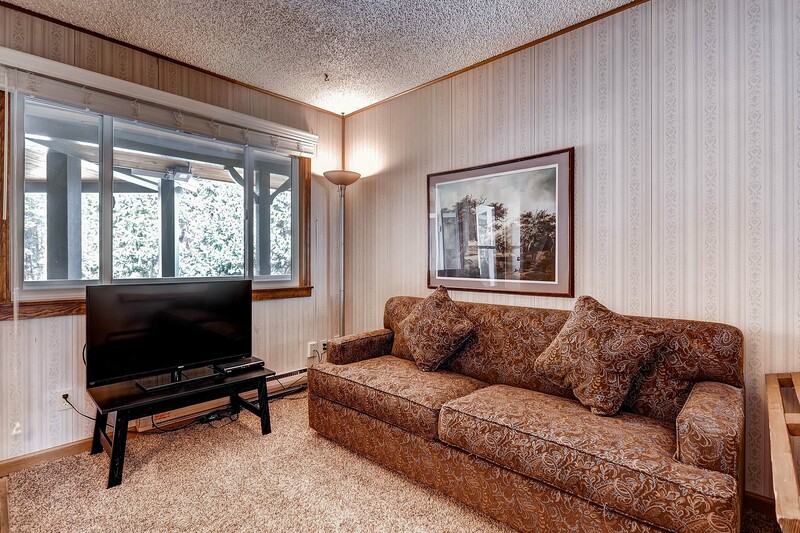 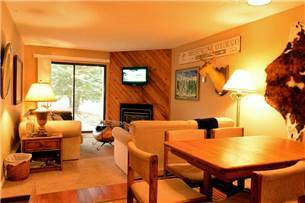 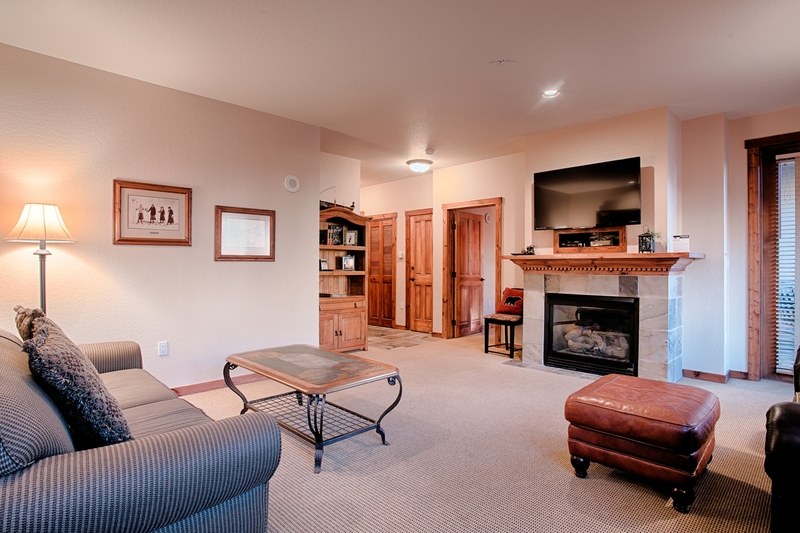 Amenities include elevators, in-unit washer and dryer, large shared hot tub with views, shared gas grill and parking for two cars (1 indoor, 1 outdoor). 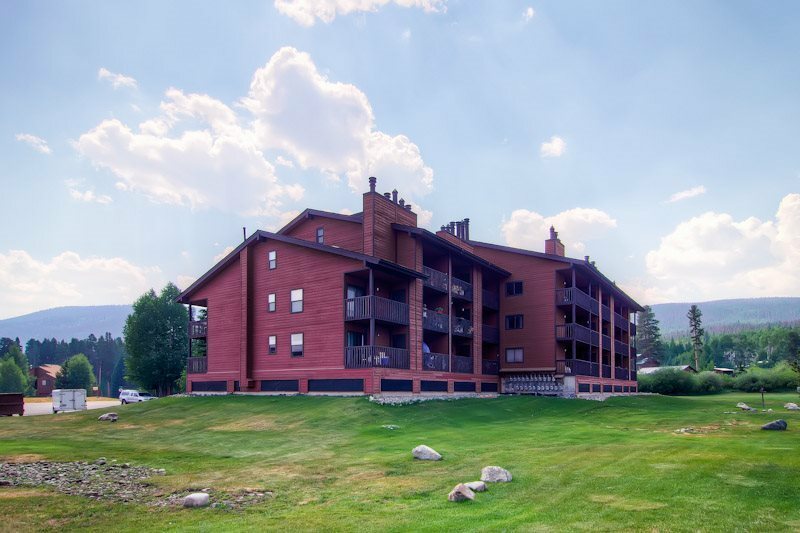 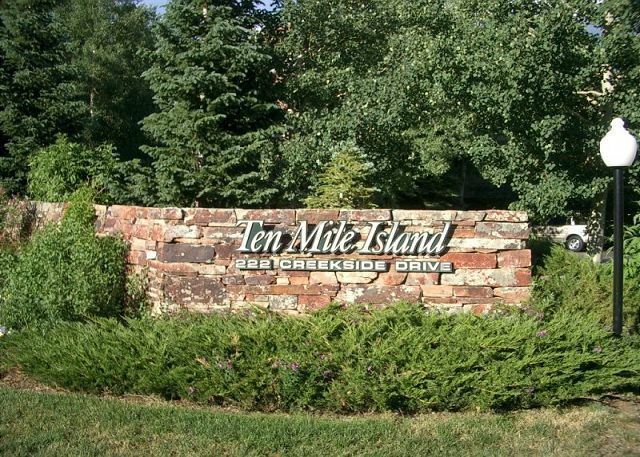 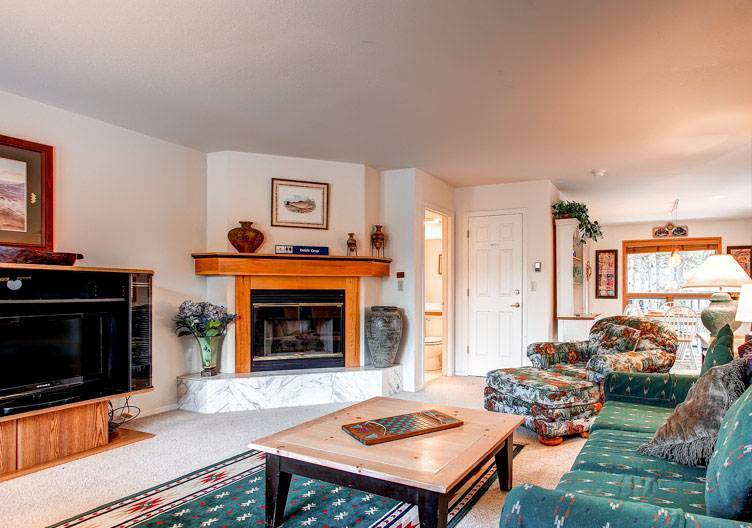 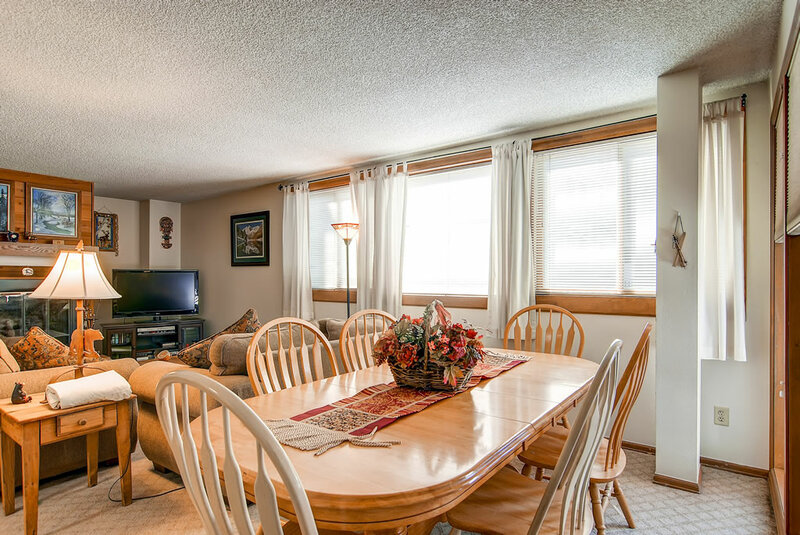 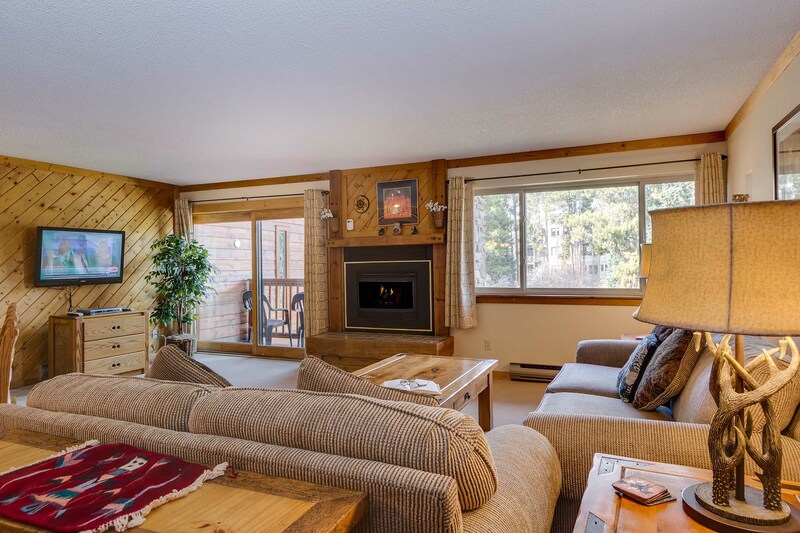 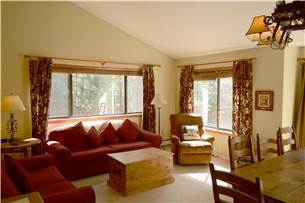 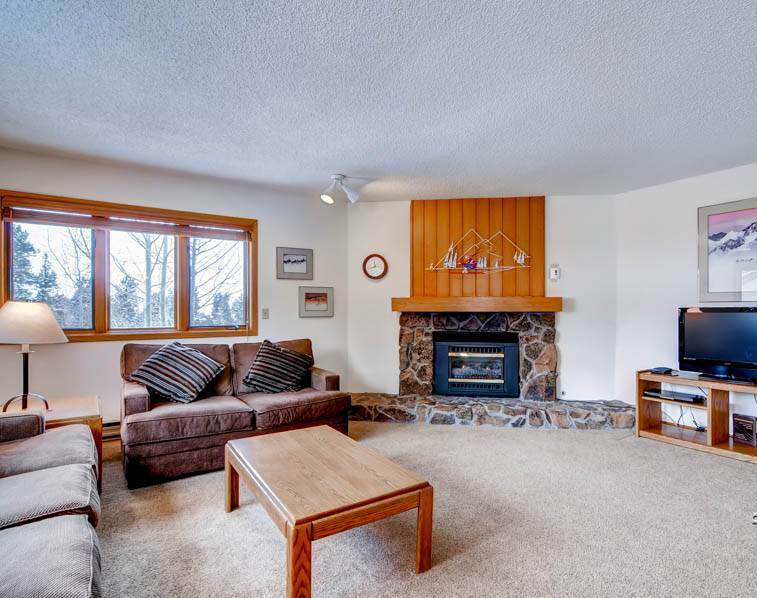 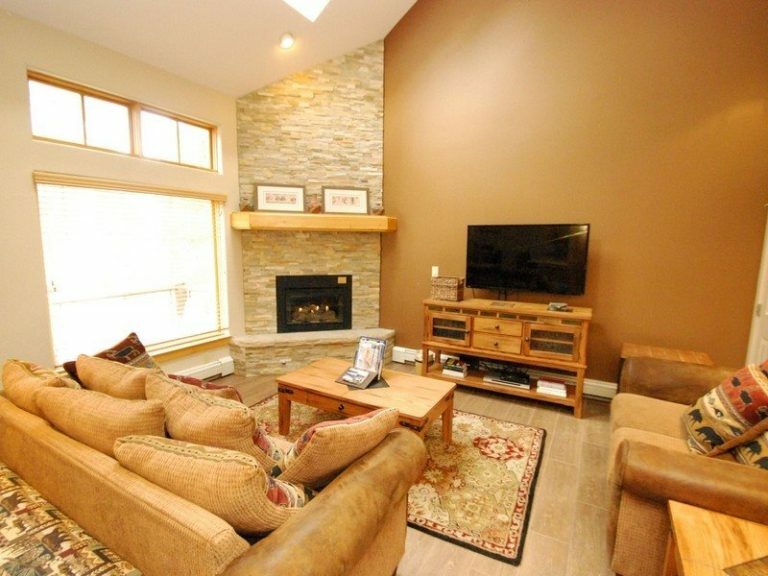 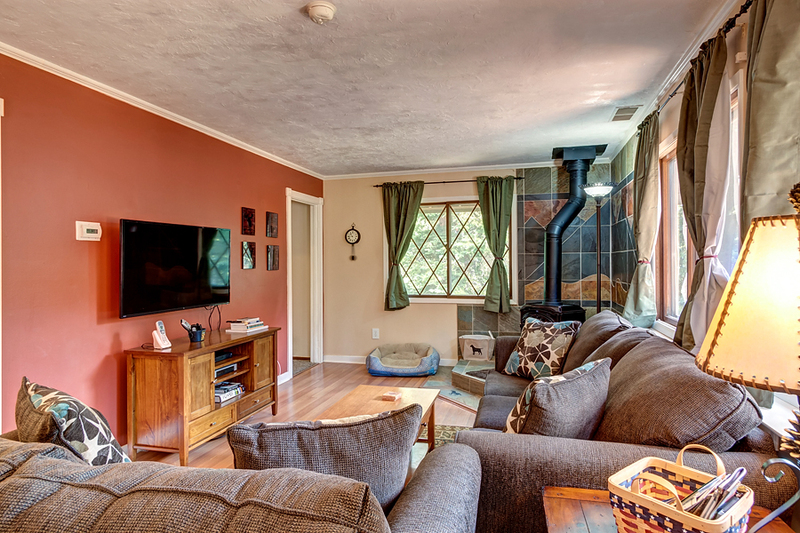 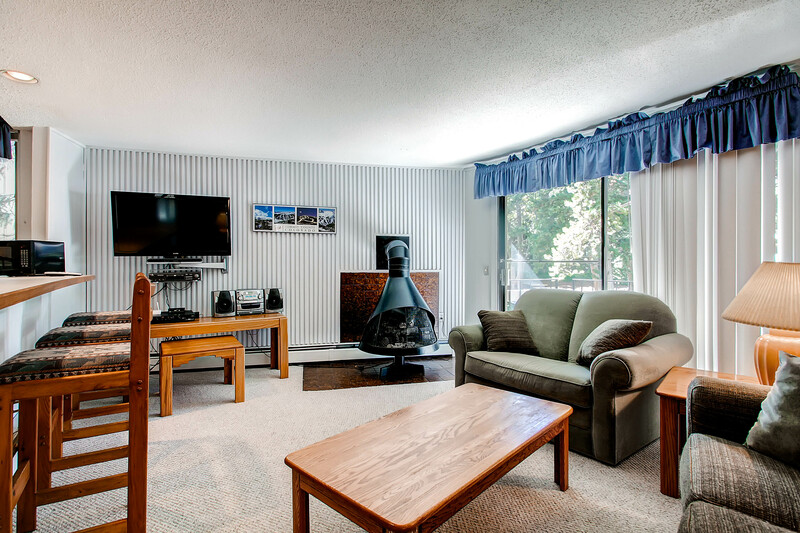 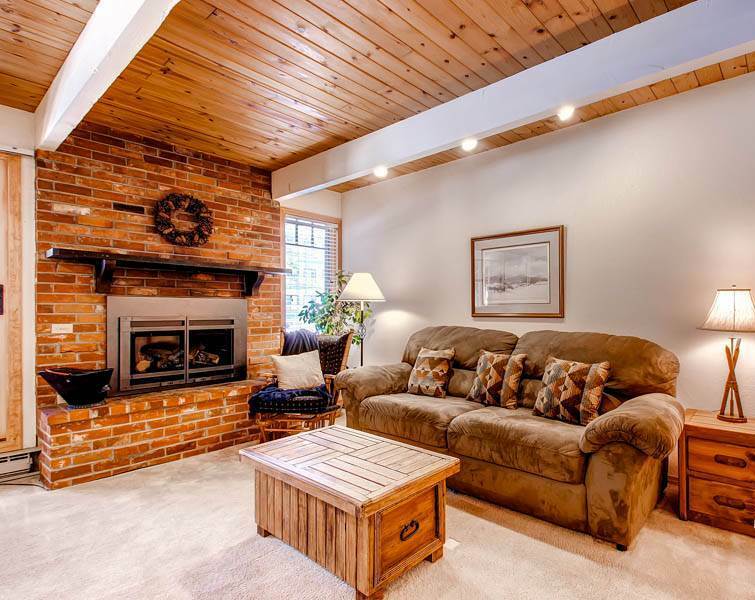 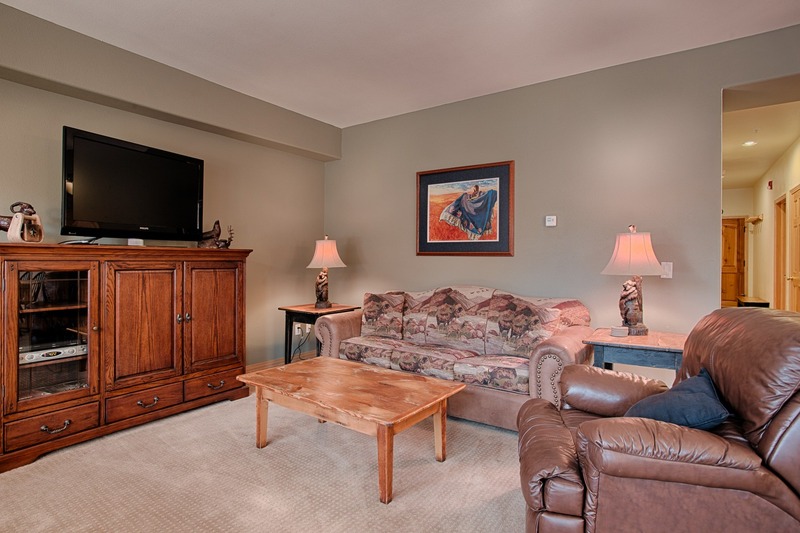 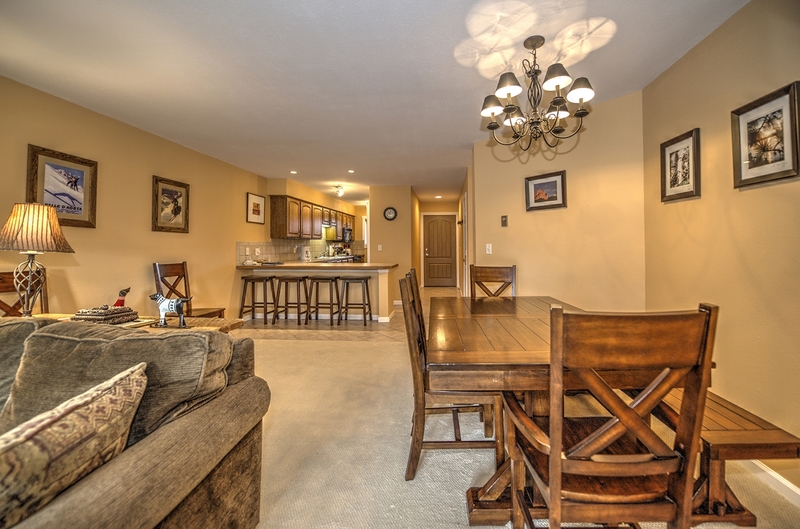 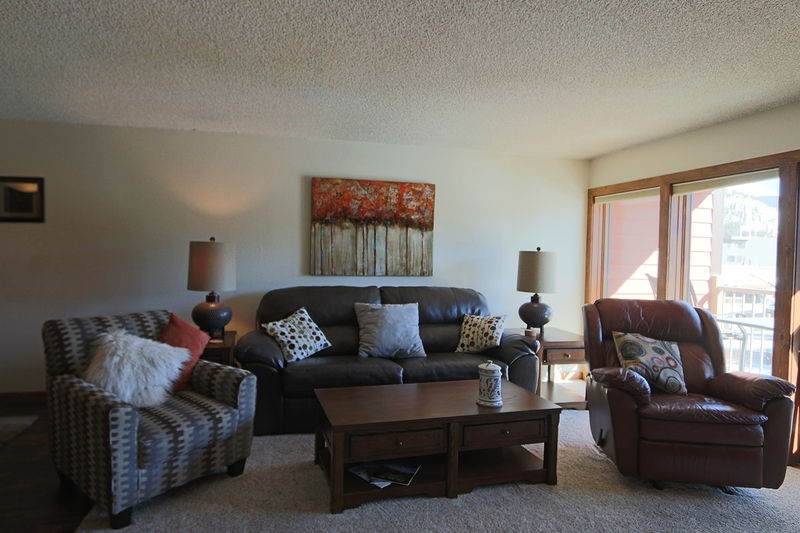 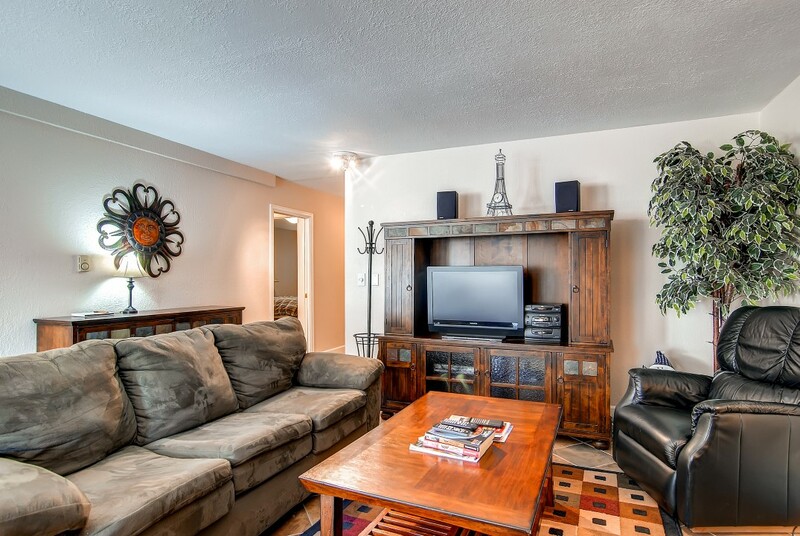 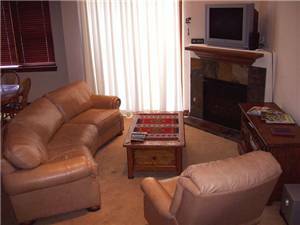 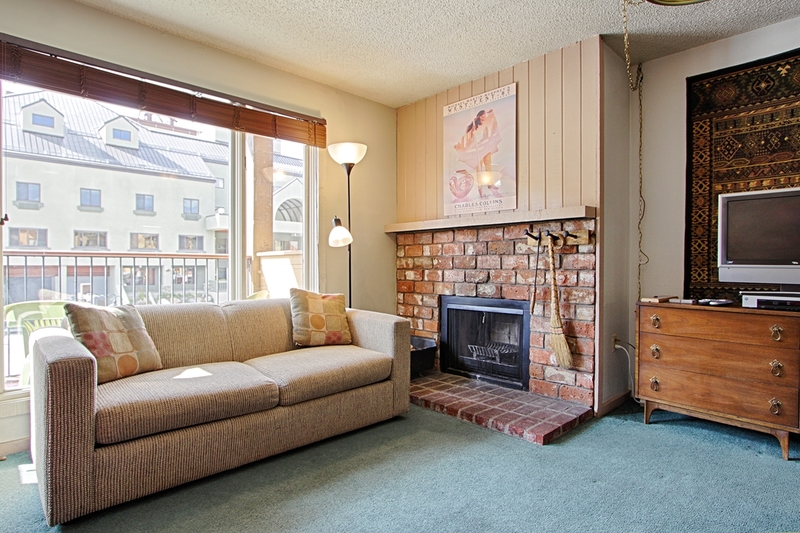 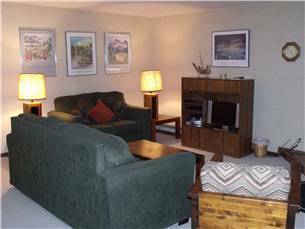 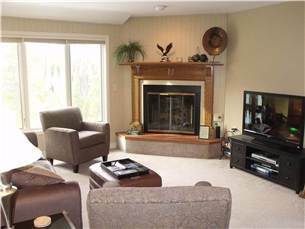 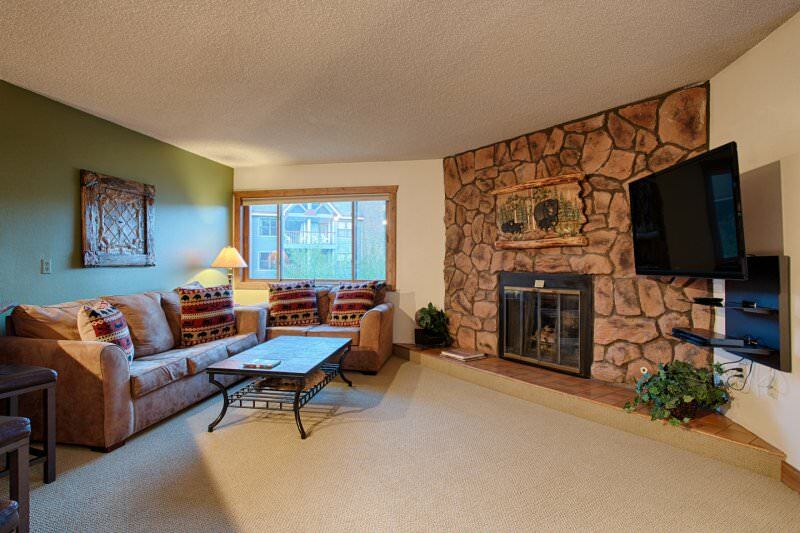 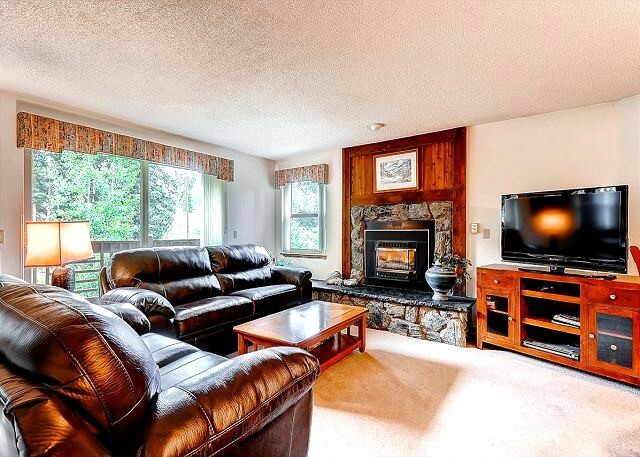 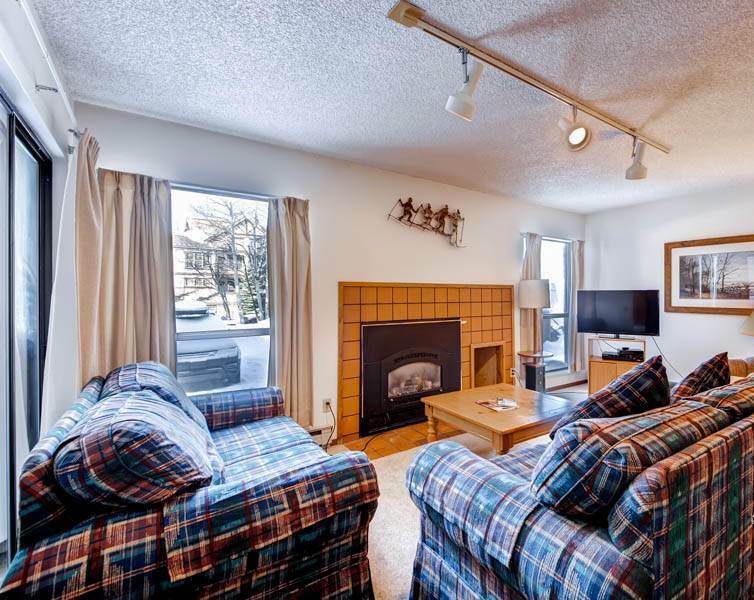 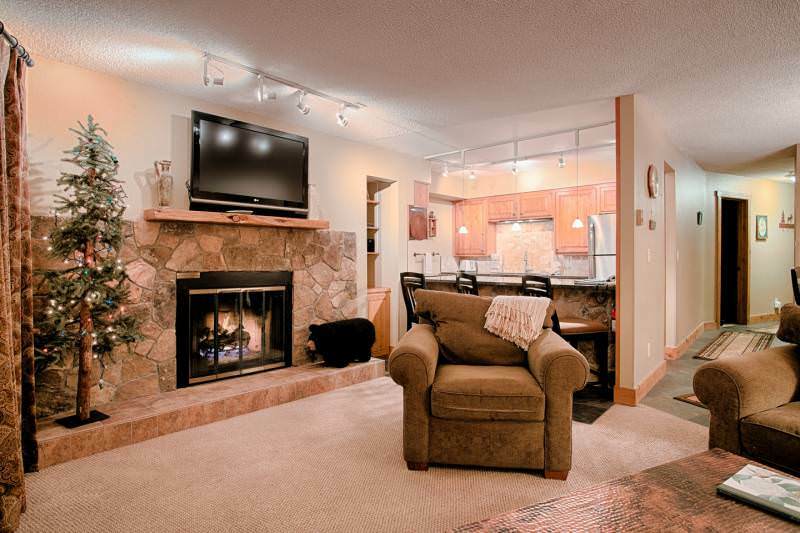 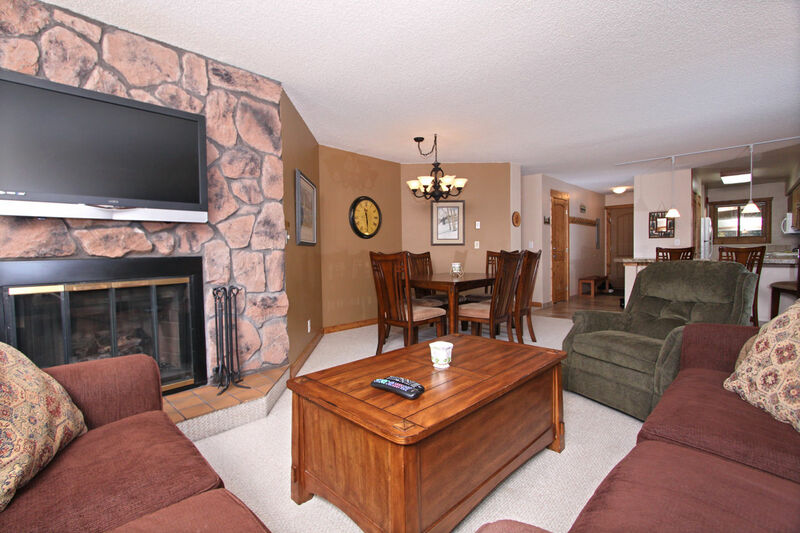 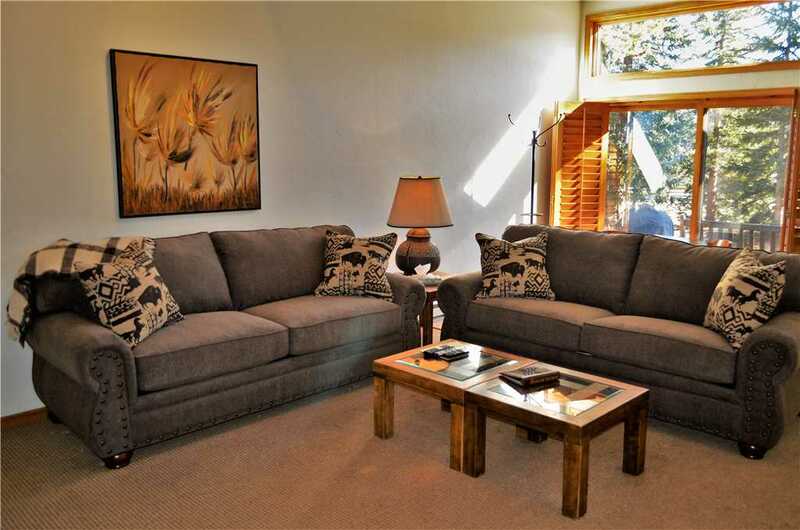 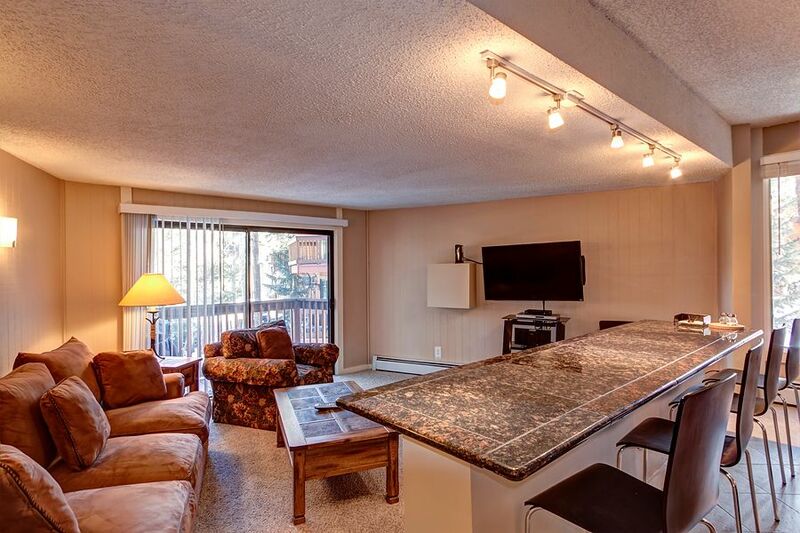 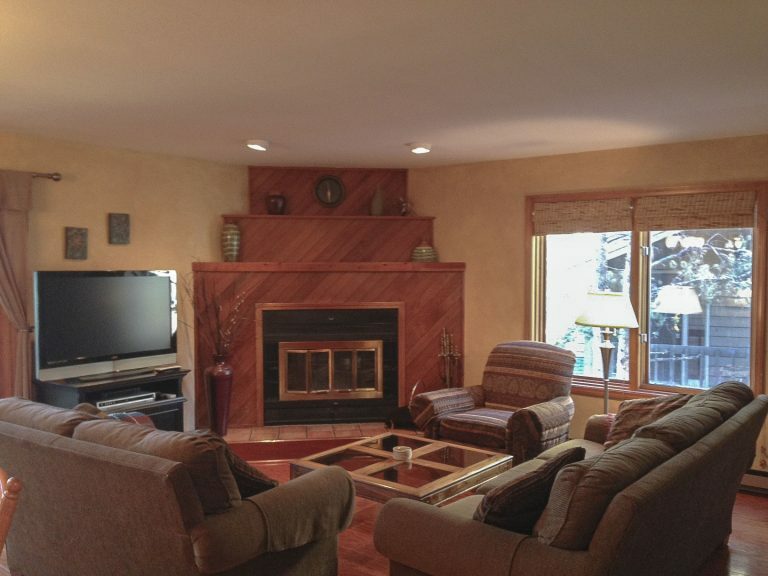 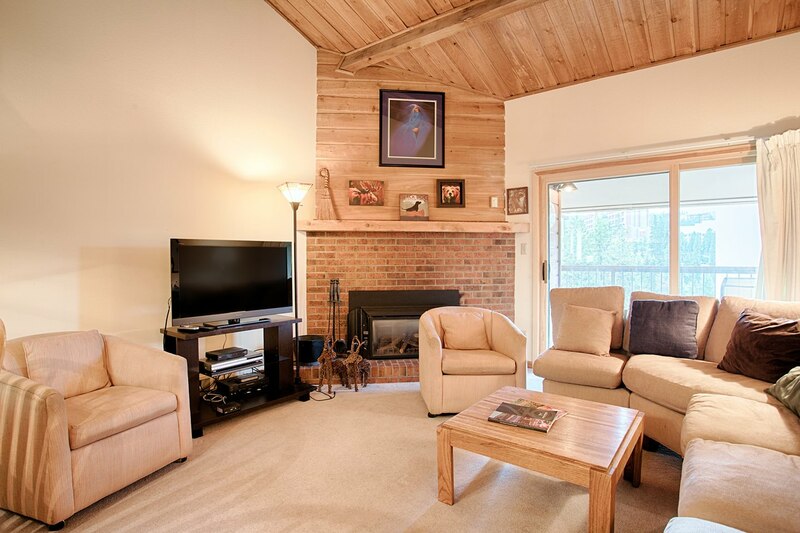 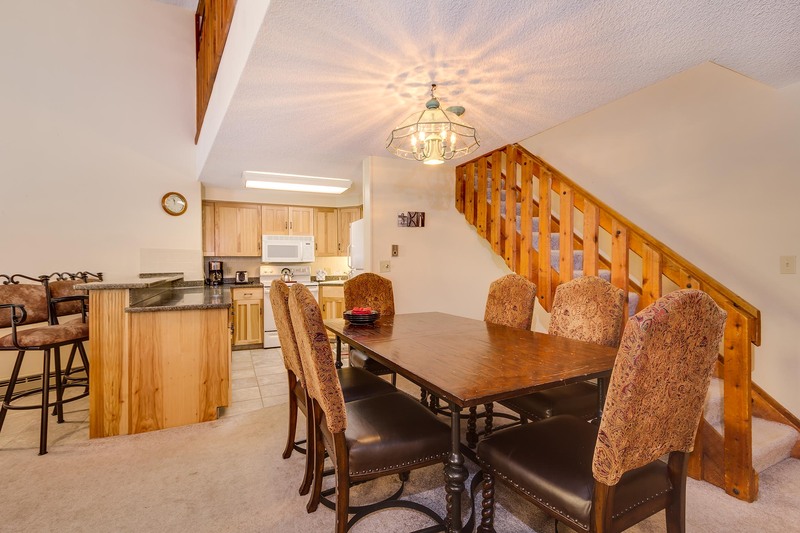 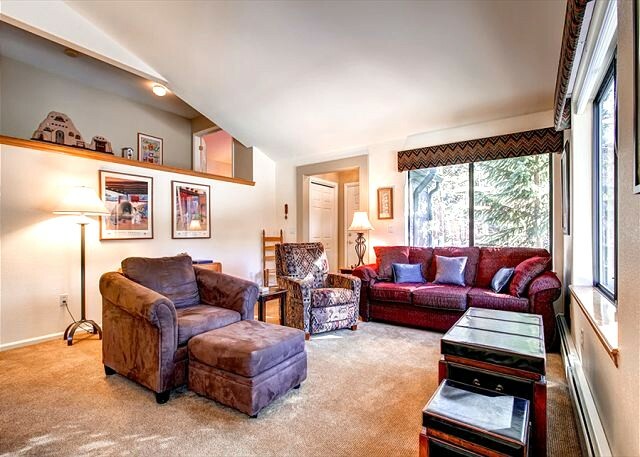 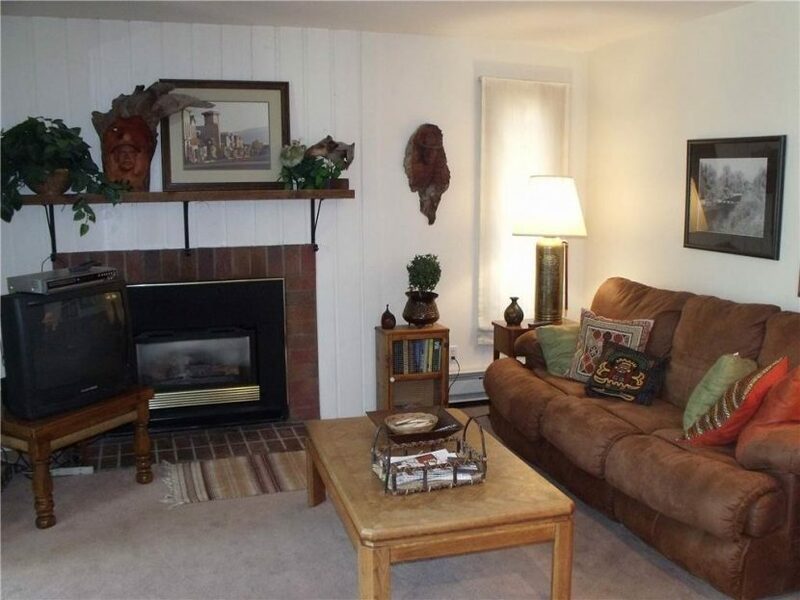 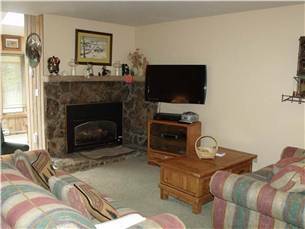 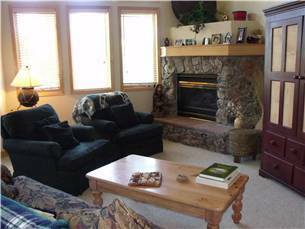 This spacious (sleeps 10) two-level condo is exactly what you and your family or group are looking for, so call us today! 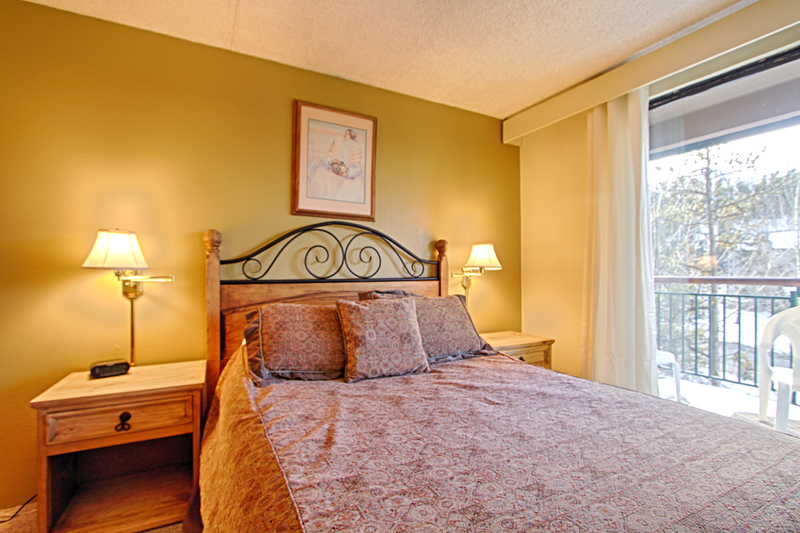 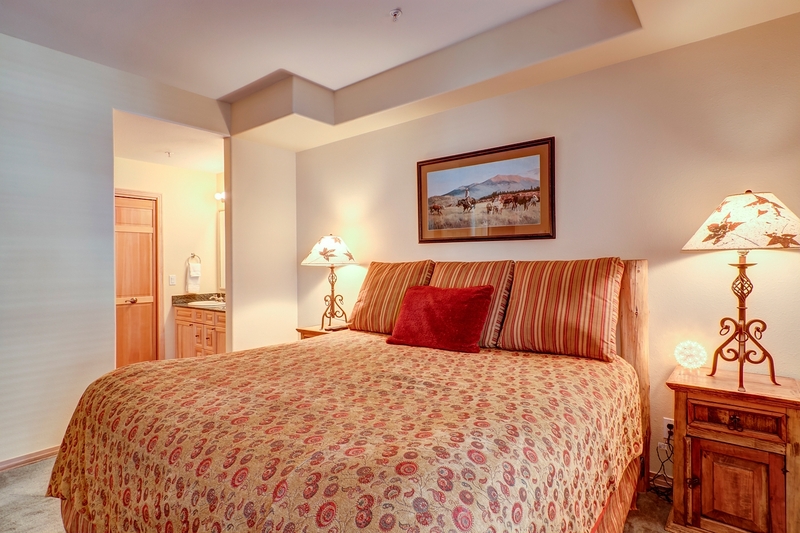 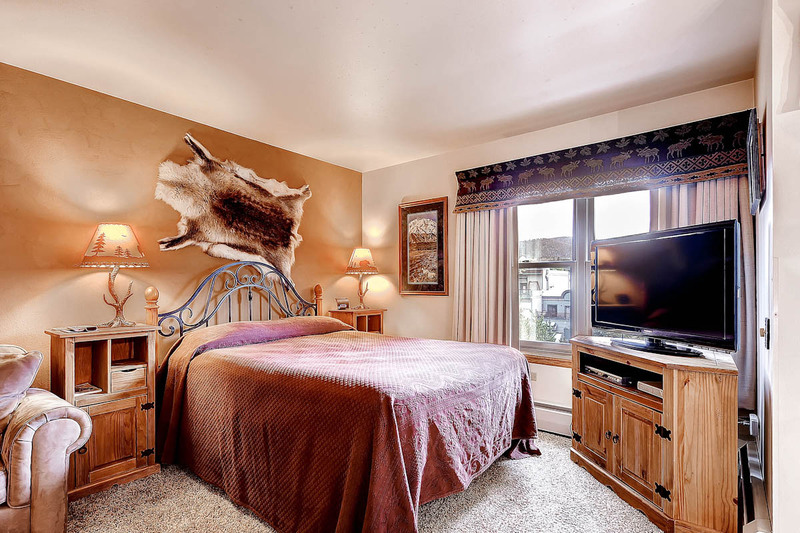 – Master suite 2: king bed, in-suite bathroom with shower, TV, incredible views. 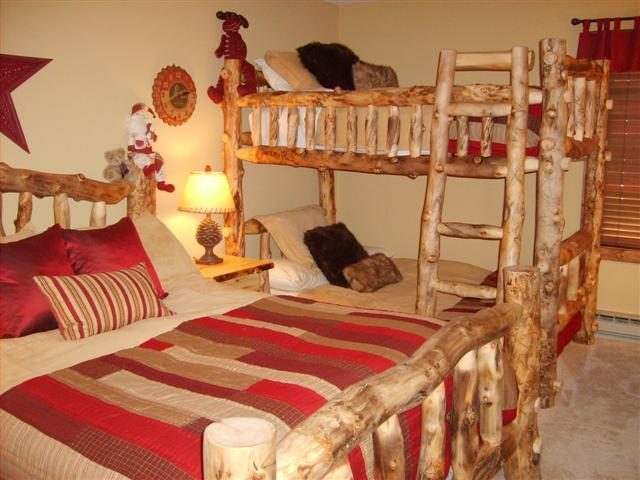 – Loft: twin trundle bed (2 twins). 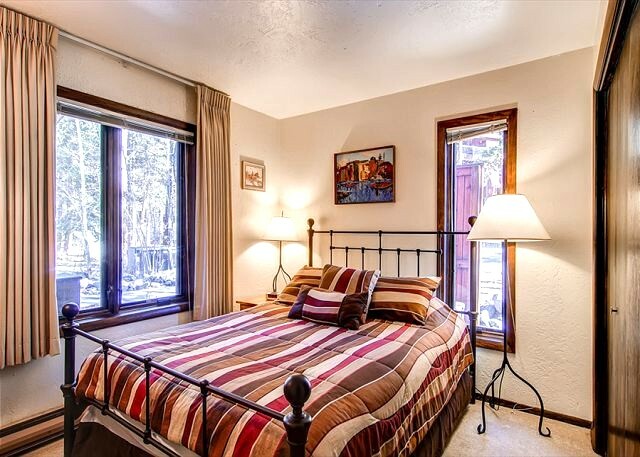 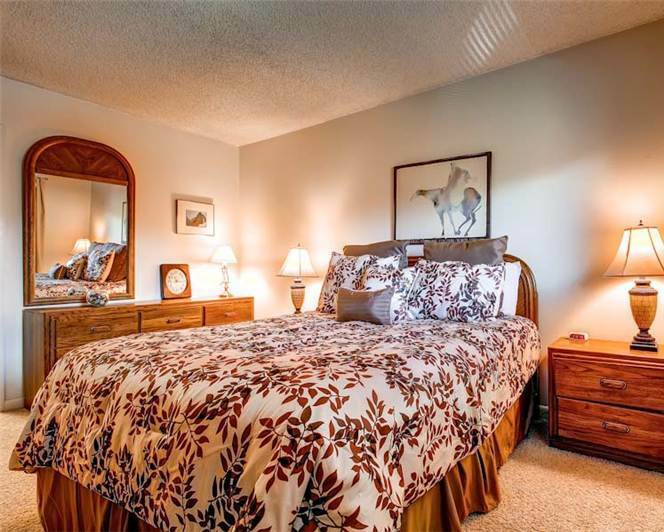 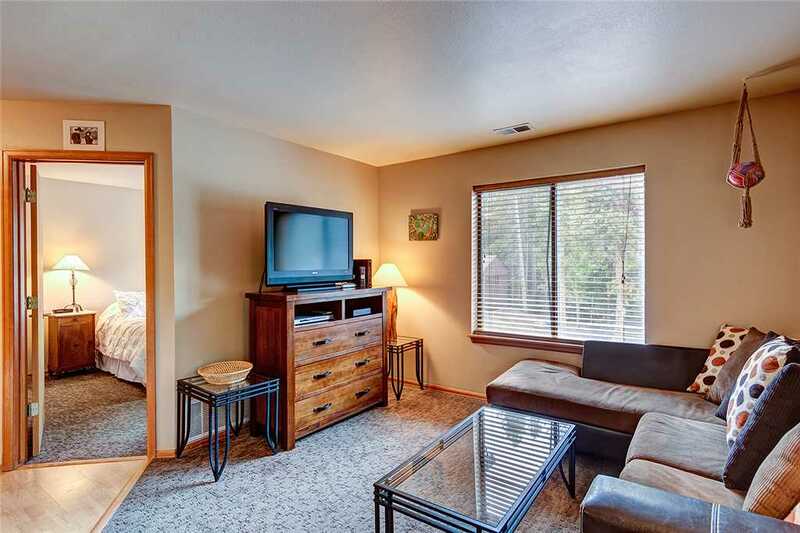 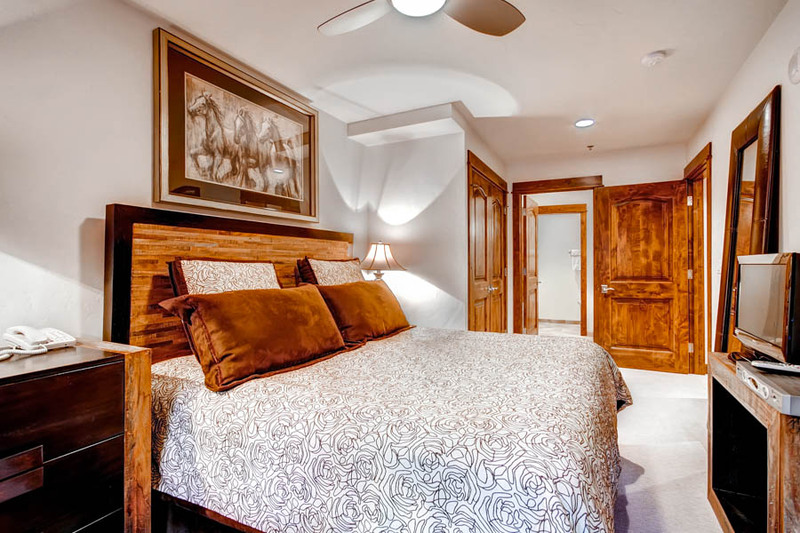 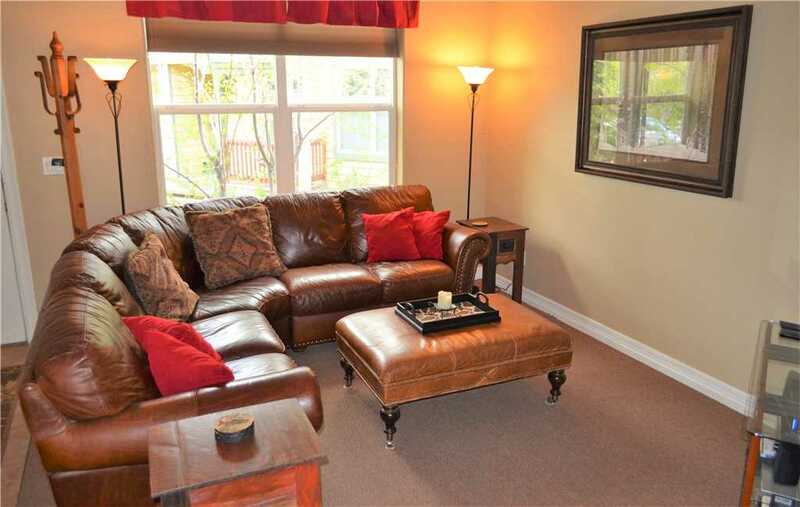 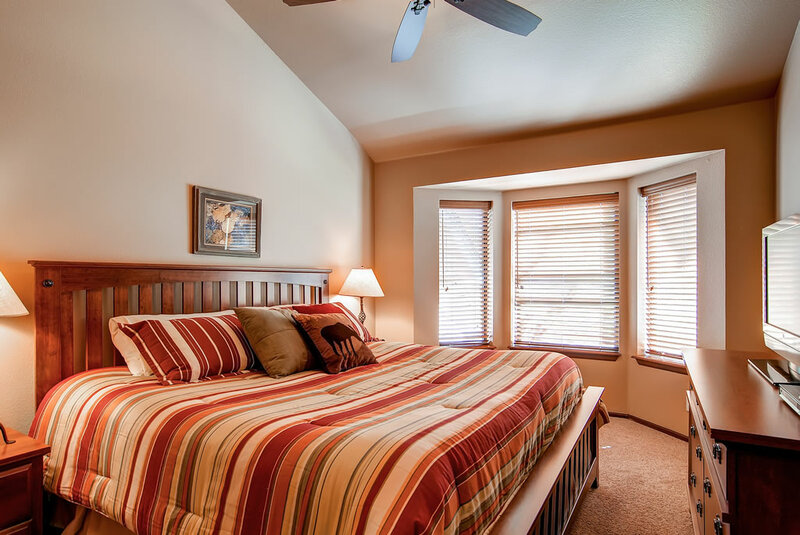 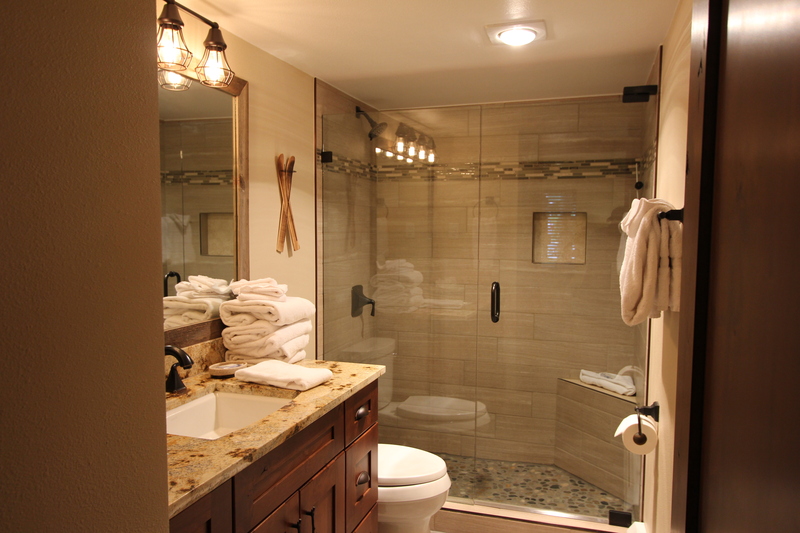 – Master suite: queen bed, in-suite bathroom with tub/shower, TV. 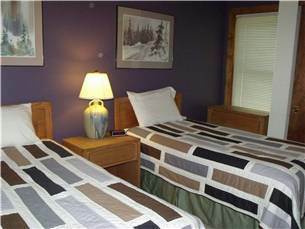 – Bedroom 2: Two twin beds.